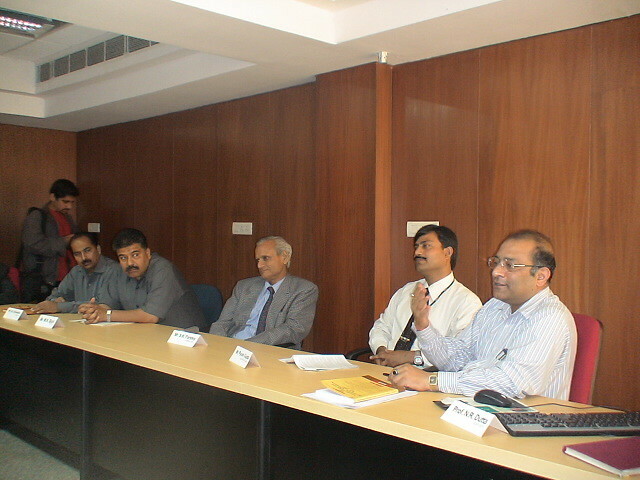 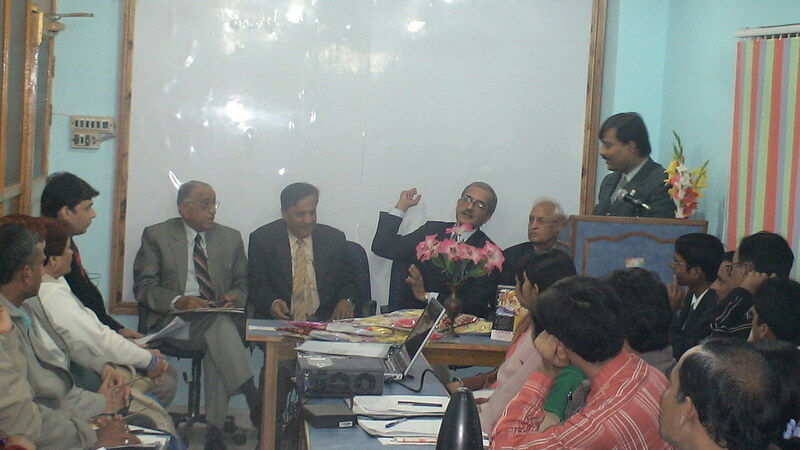 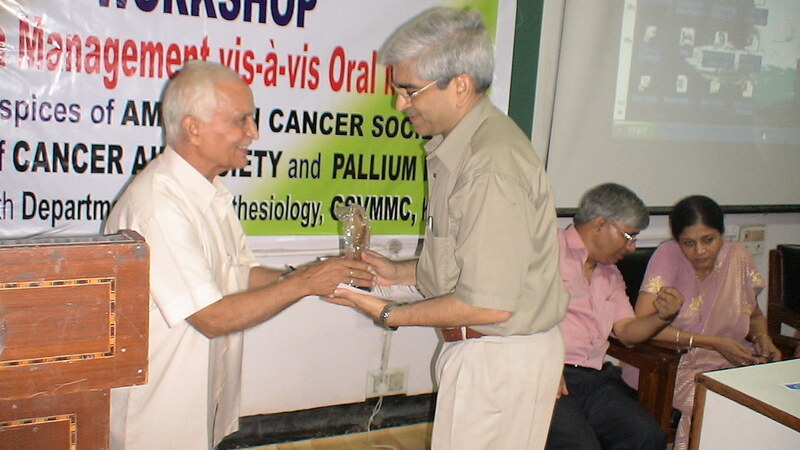 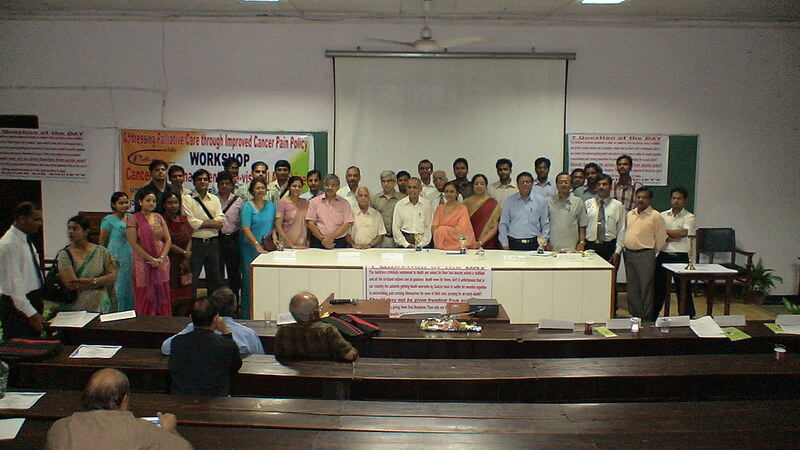 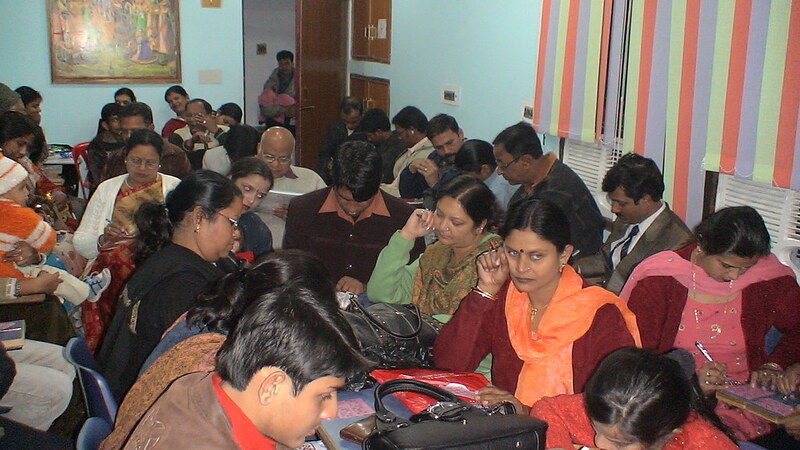 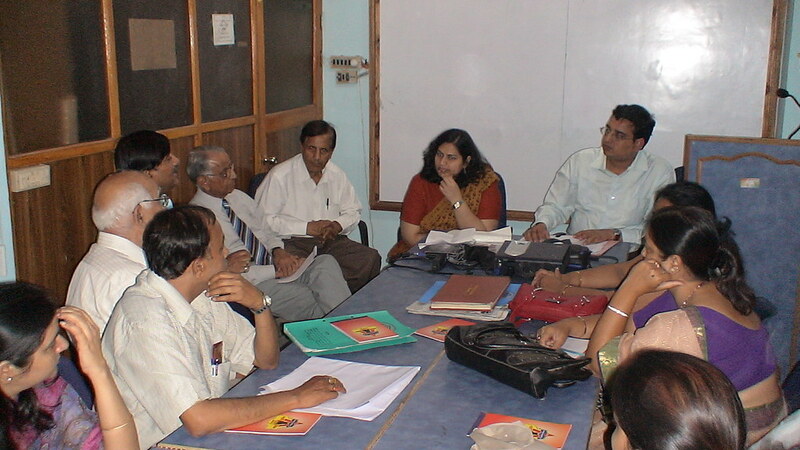 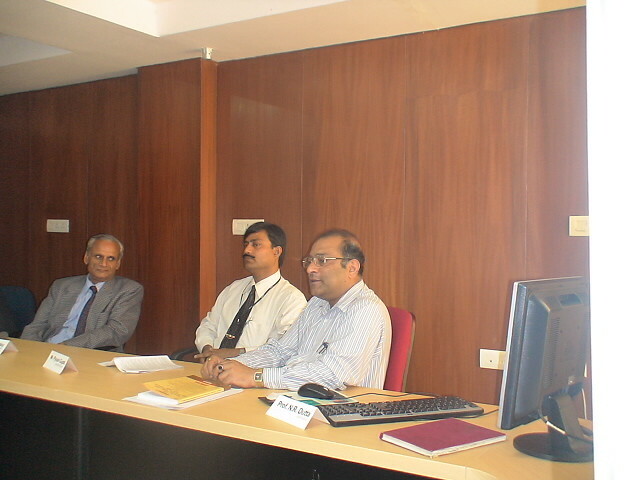 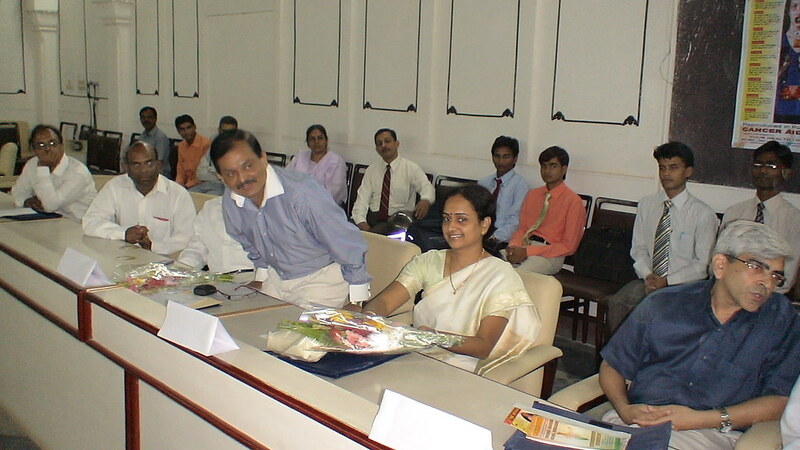 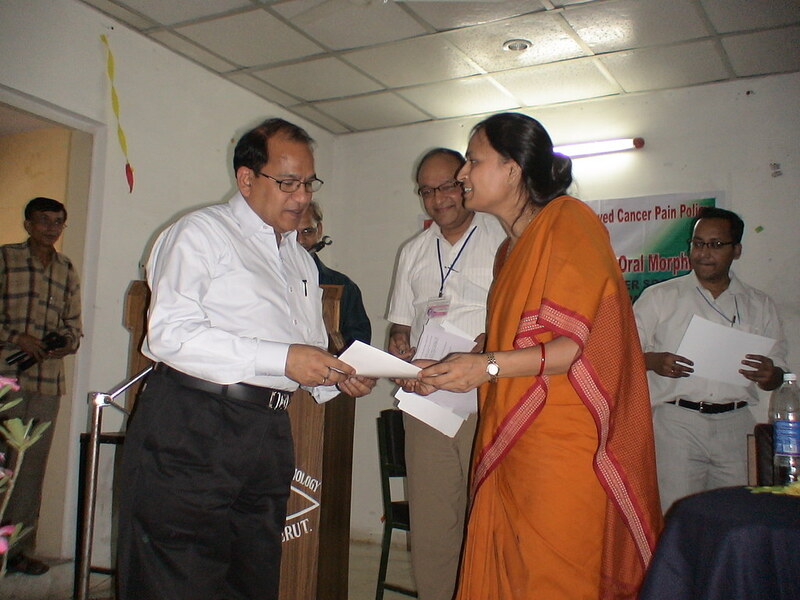 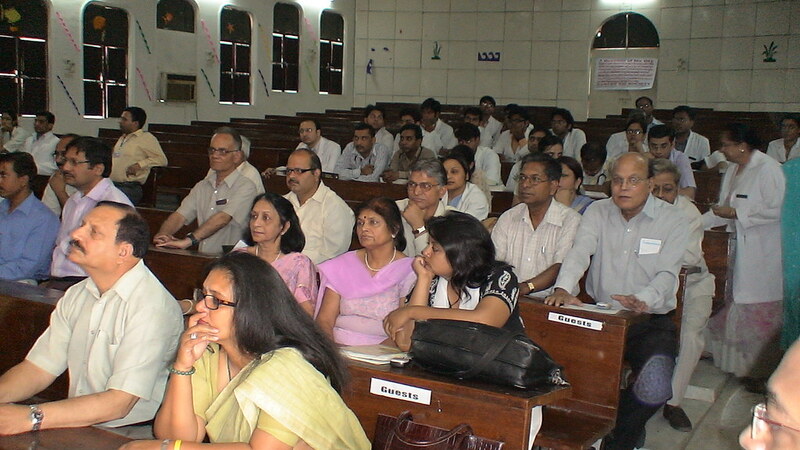 First Workshop in UP organised on Cancer Pain Management vis-a-vis Oral Morphine at SGPGIMS Lucknow in Collaboration with AIIMS Delhi on 17th March 2007. 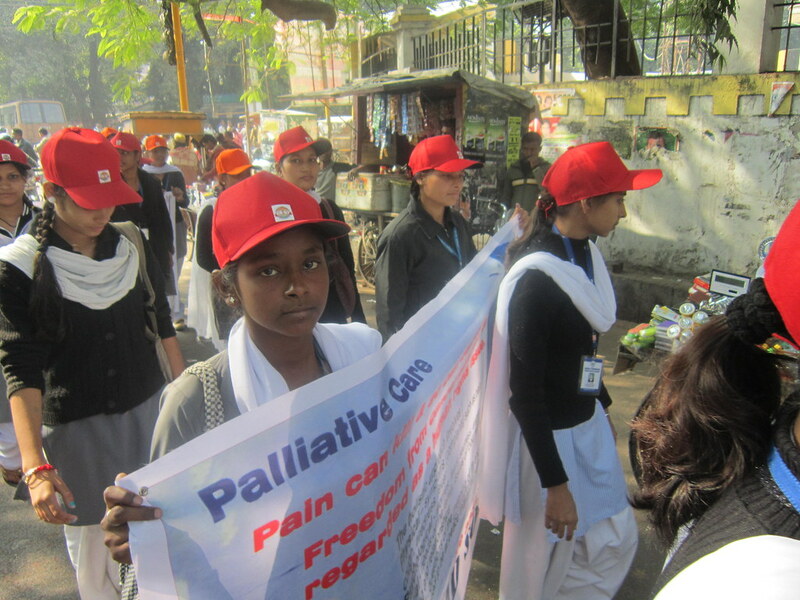 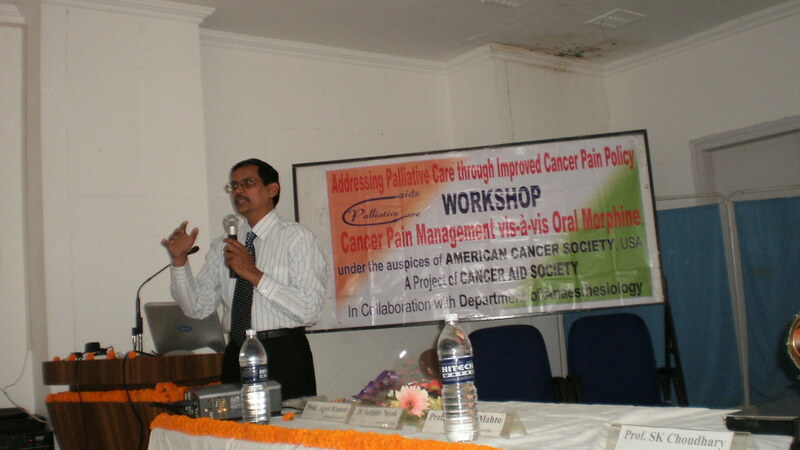 Addressing Palliative Care through Improved Cancer Pain Policy under the auspices of American Cancer Society A joint Project of Cancer Aid Society and Pallium India, One Day Workshop on Cancer Pain Management vis-à-vis oral morphine on 1st Dec-07. 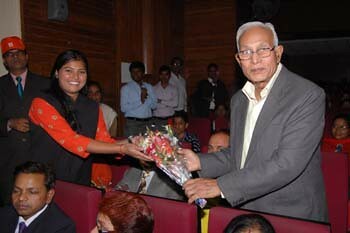 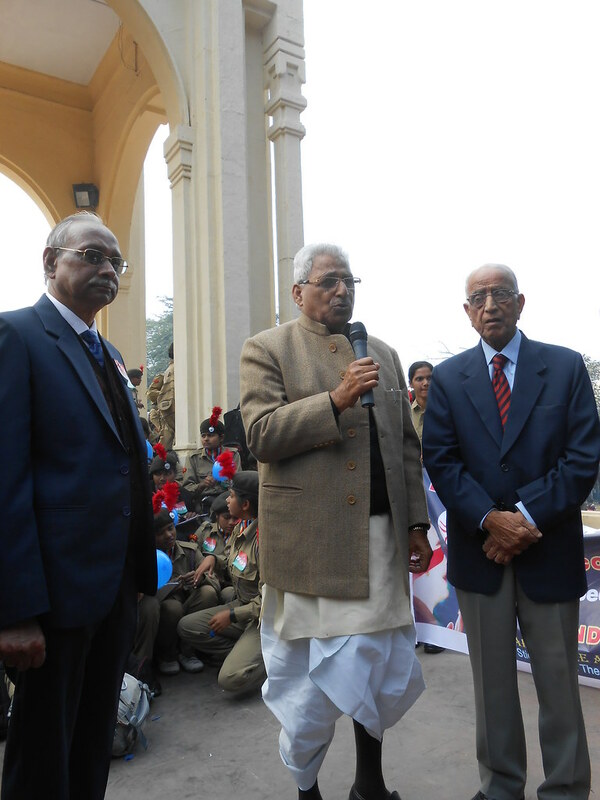 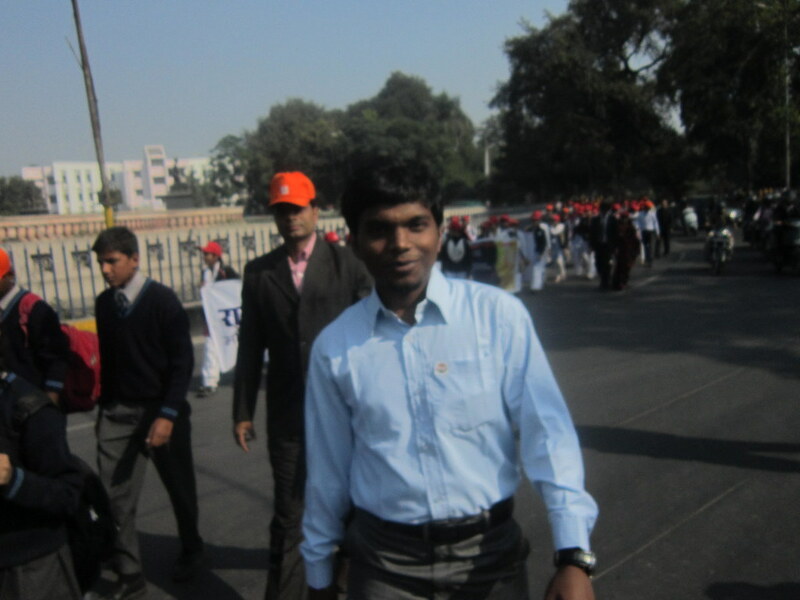 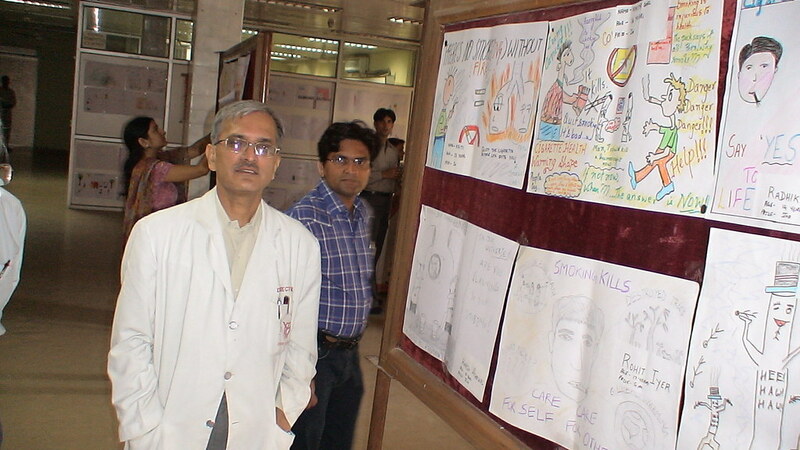 at CSMMU Medical College Lucknow. 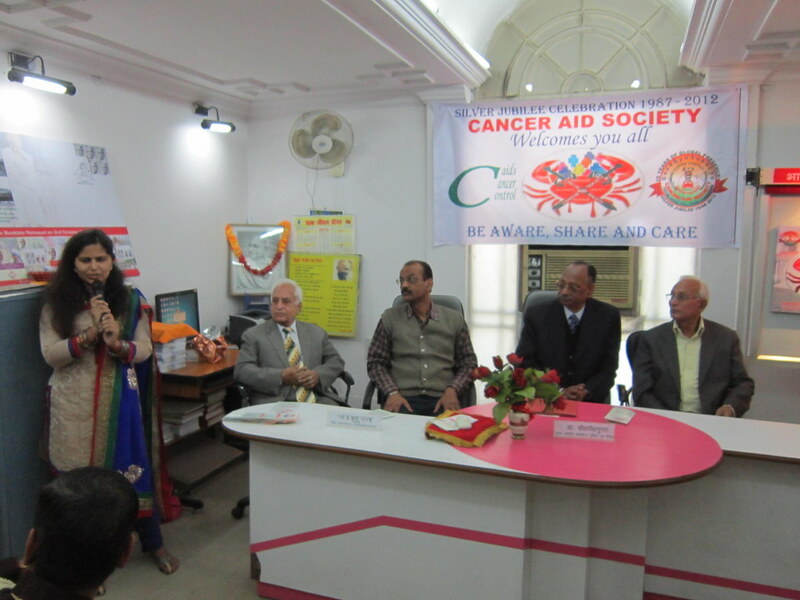 Addressing Palliative Care through Improved Cancer Pain Policy under the auspices of American Cancer Society A joint Project of Cancer Aid Society and Pallium India, One Day Workshop on Cancer Pain Management vis-à-vis oral morphine on 26th April-08 at LLRM Medical College, Meerut. 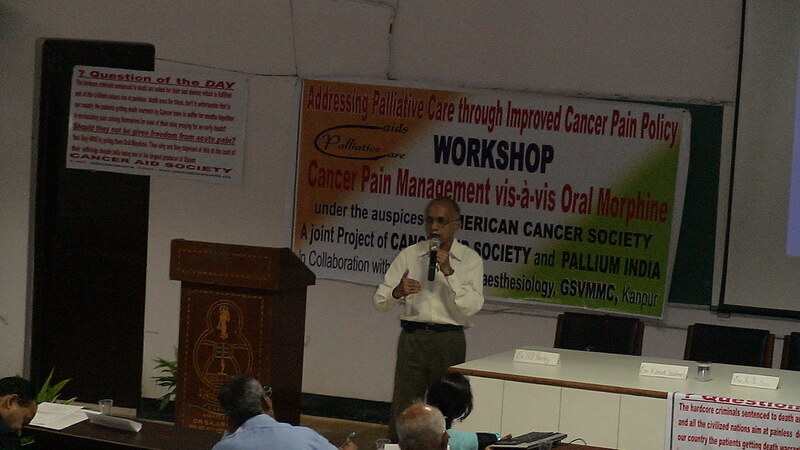 Addressing Palliative Care through Improved Cancer Pain Policy under the auspices of American Cancer Society A joint Project of Cancer Aid Society and Pallium India, One Day Workshop on “Cancer Pain Management vis-à-vis Oral Morphine”, Organised by Cancer Aid Society In Collaboration with Dept. 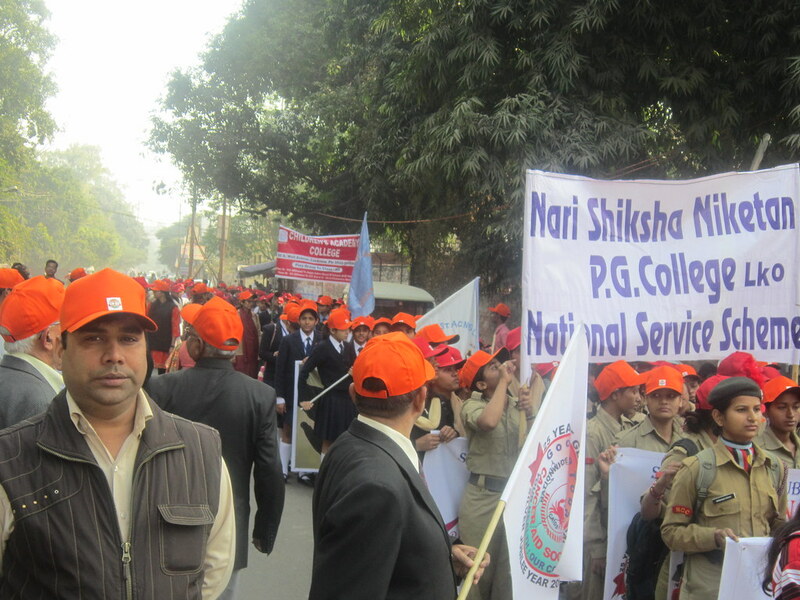 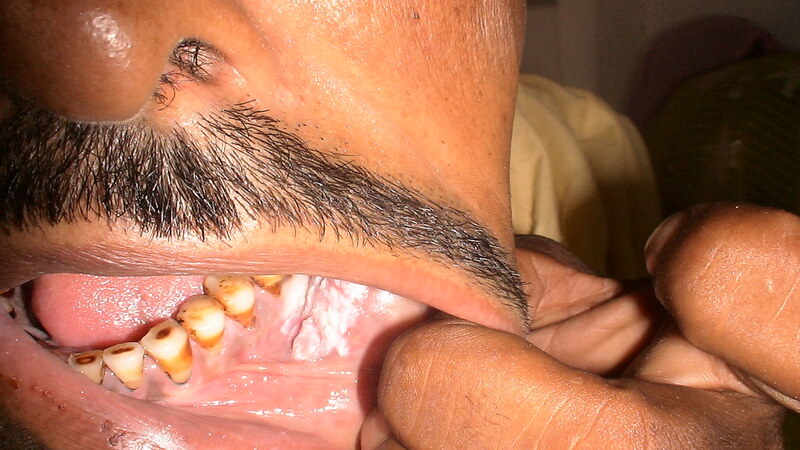 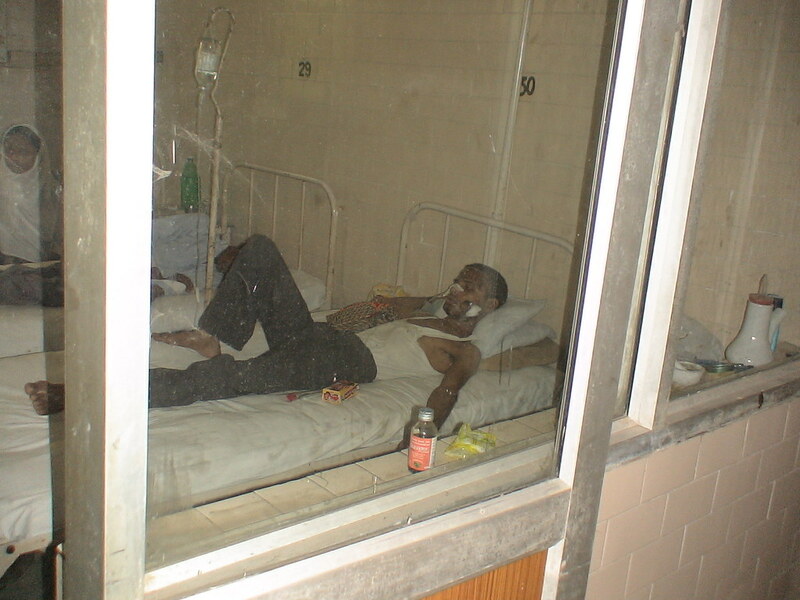 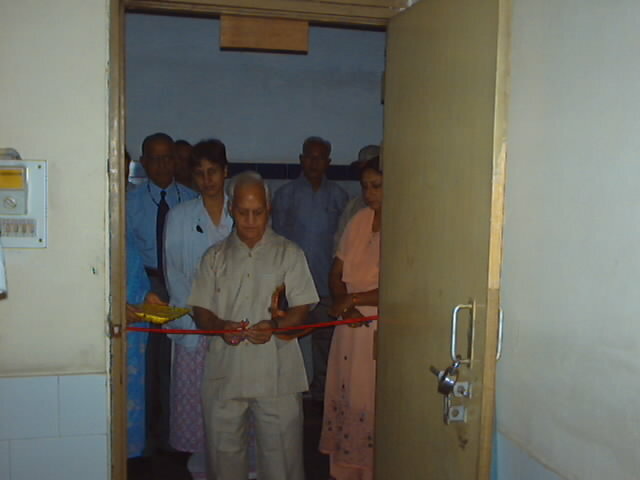 of Anaesthesiology, GSVM Medical College, Kanpur. 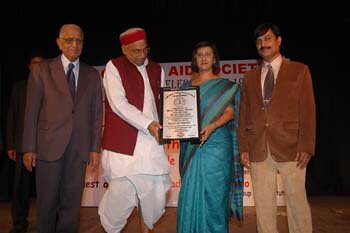 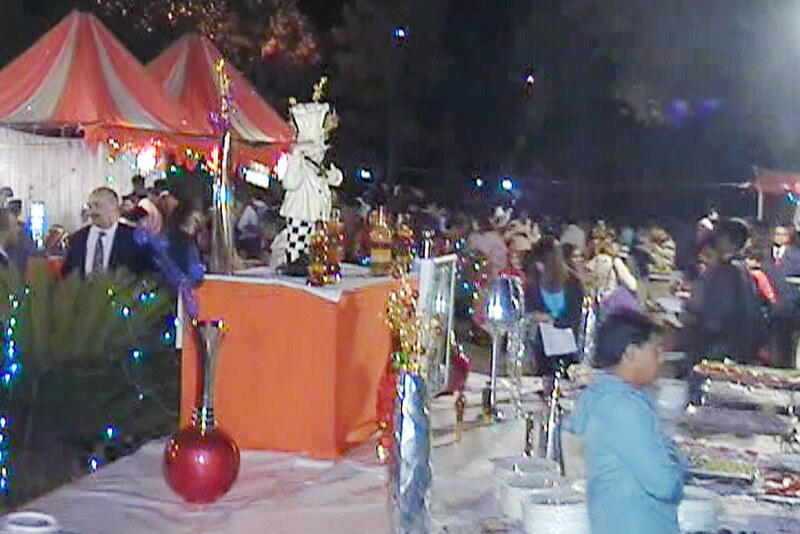 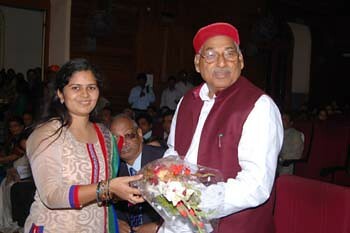 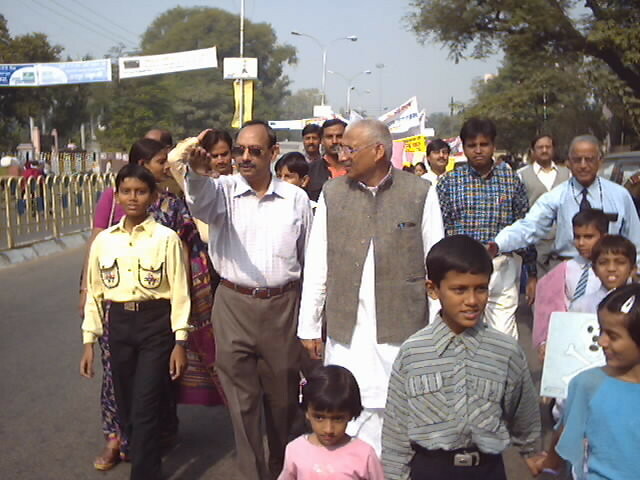 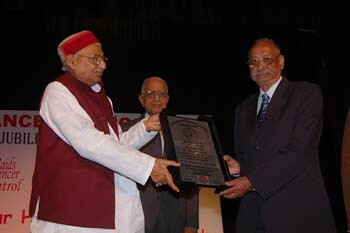 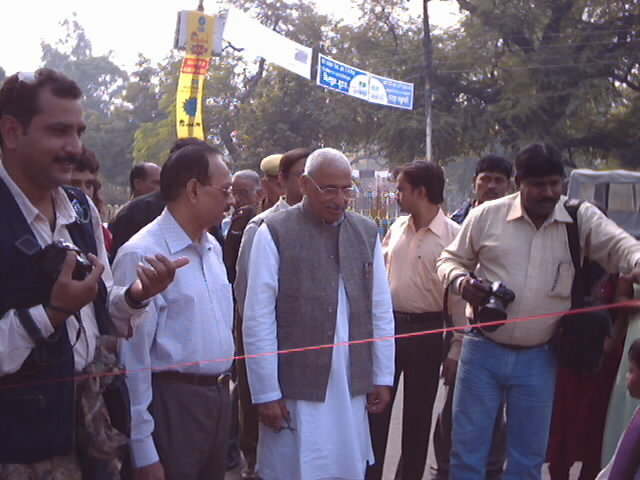 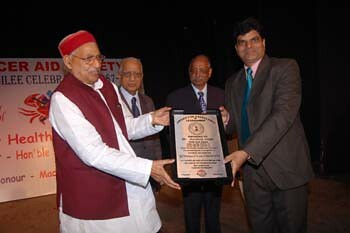 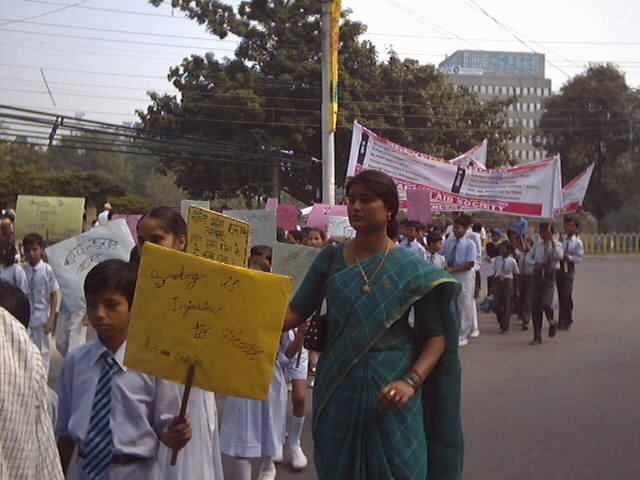 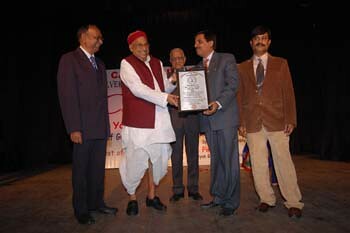 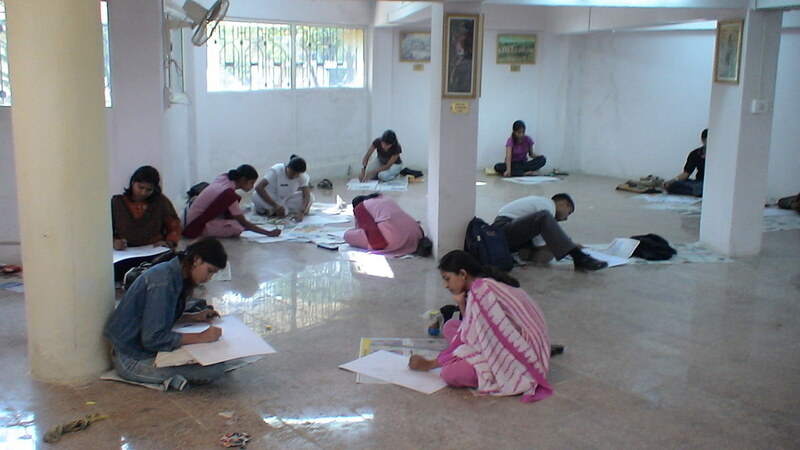 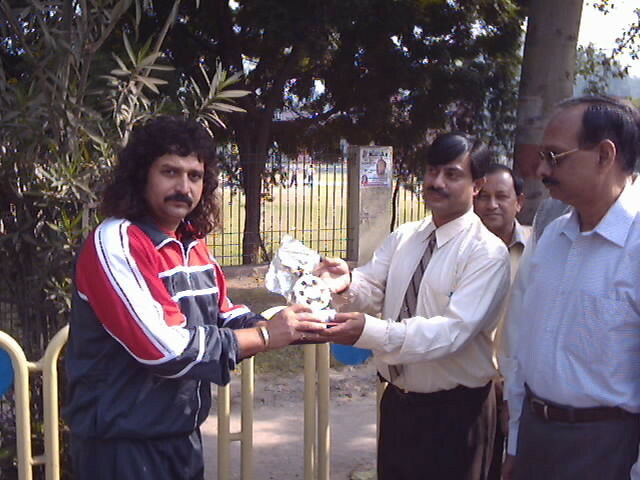 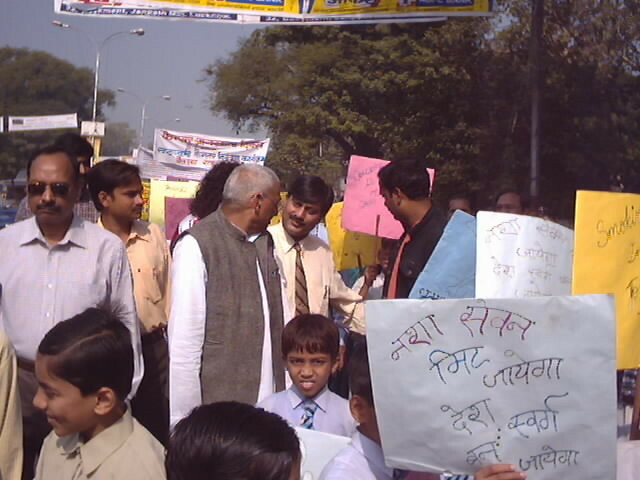 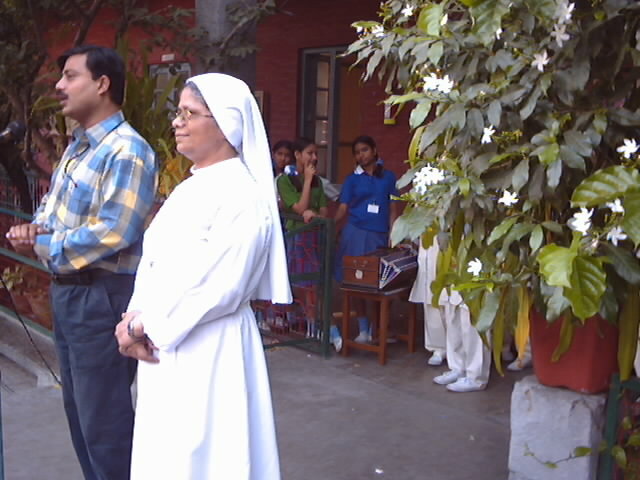 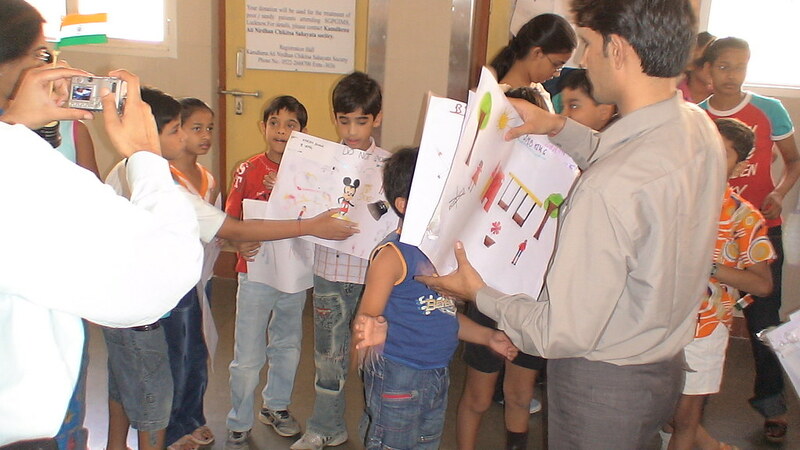 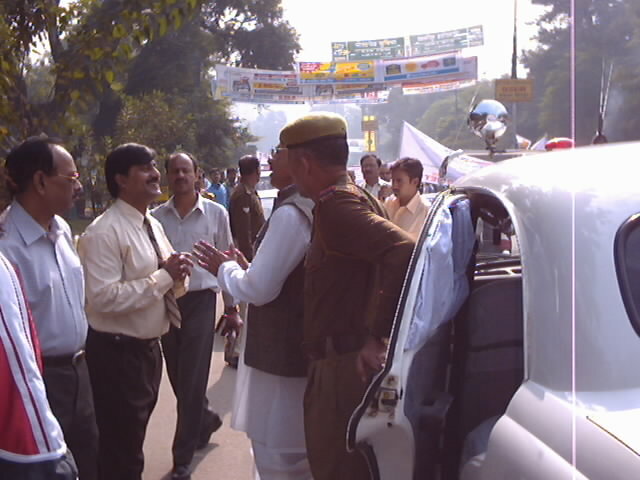 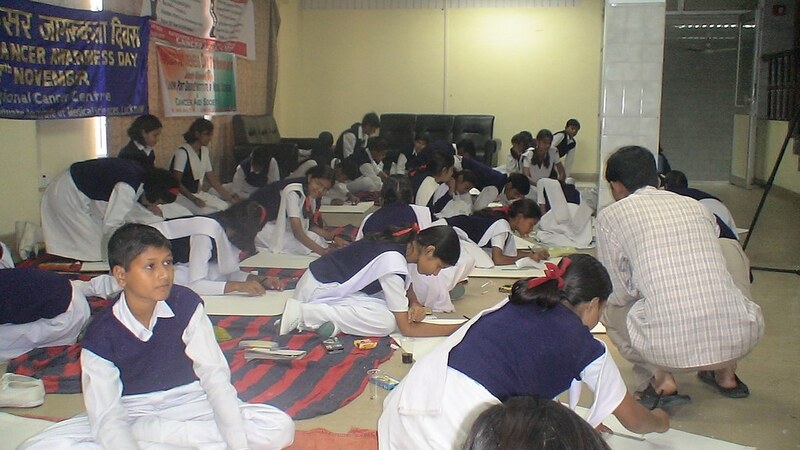 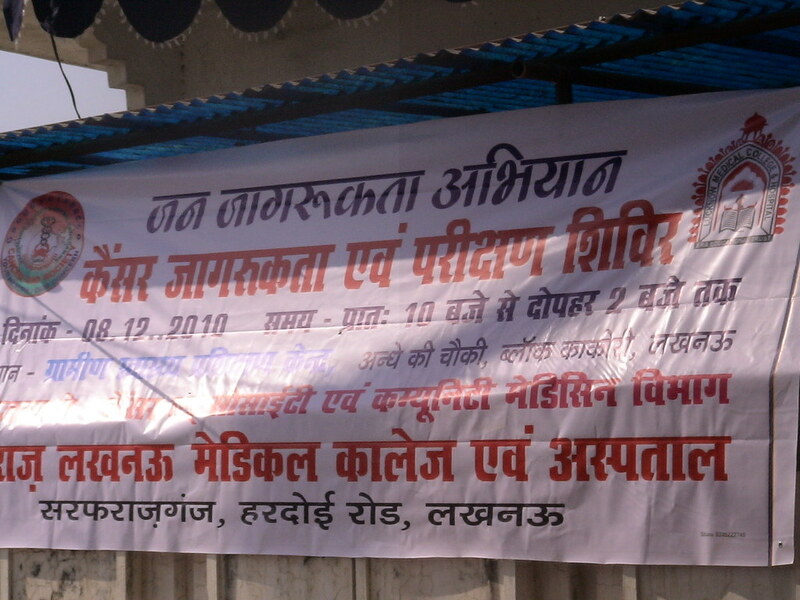 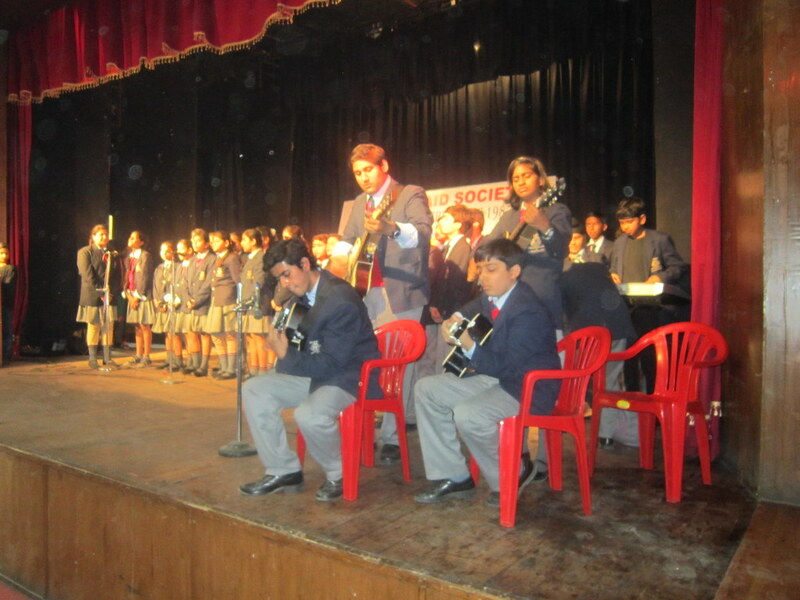 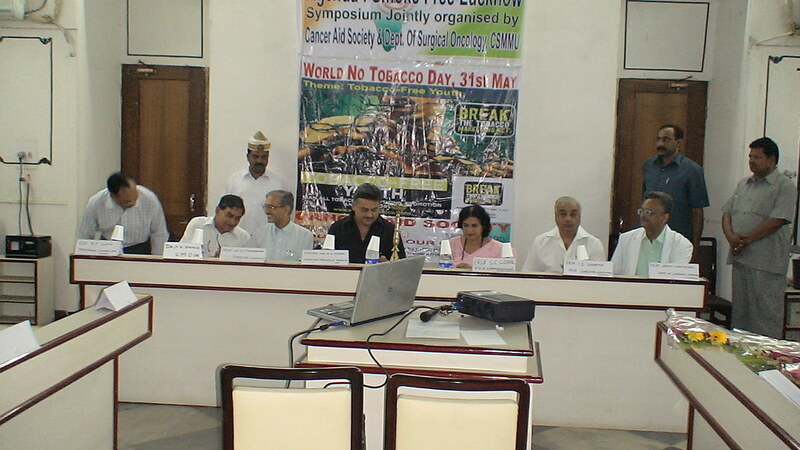 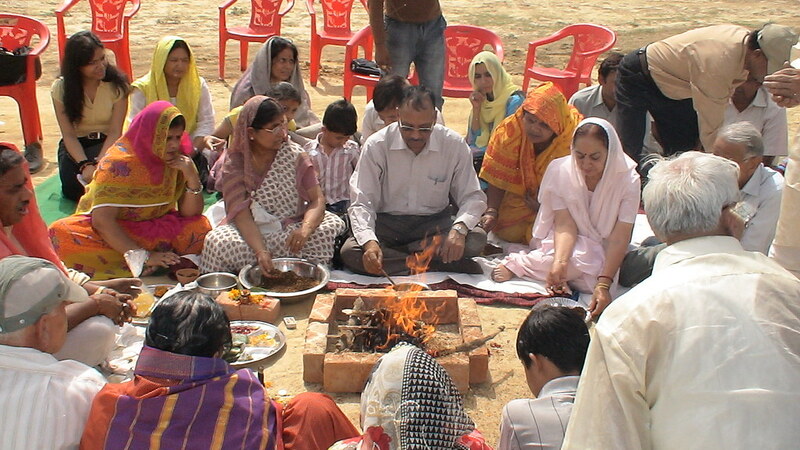 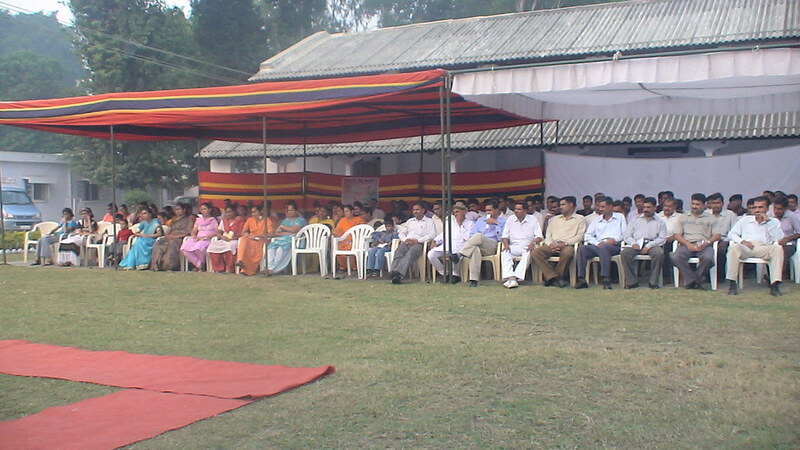 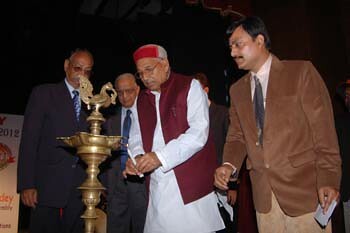 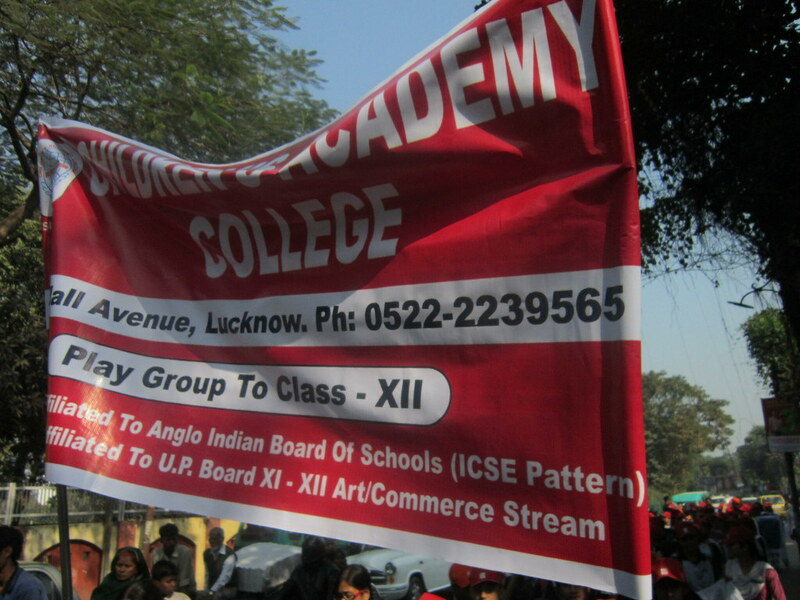 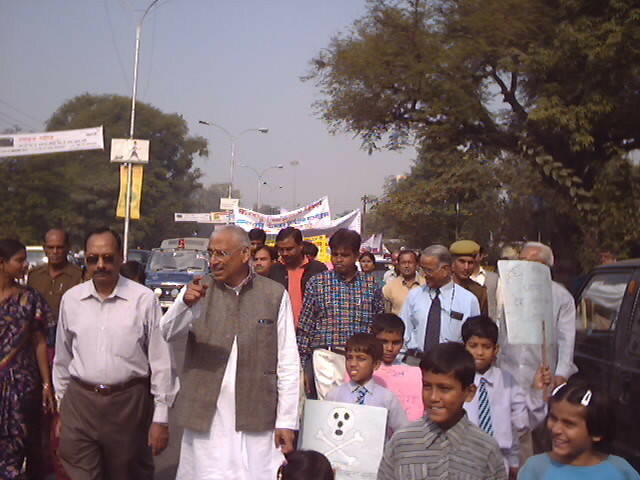 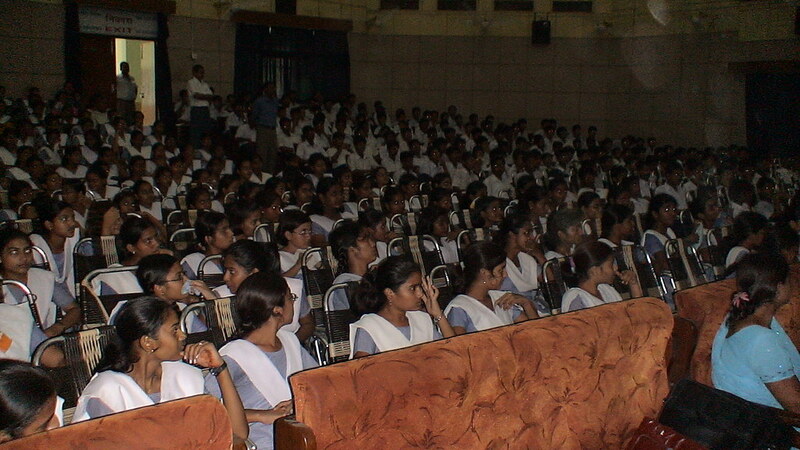 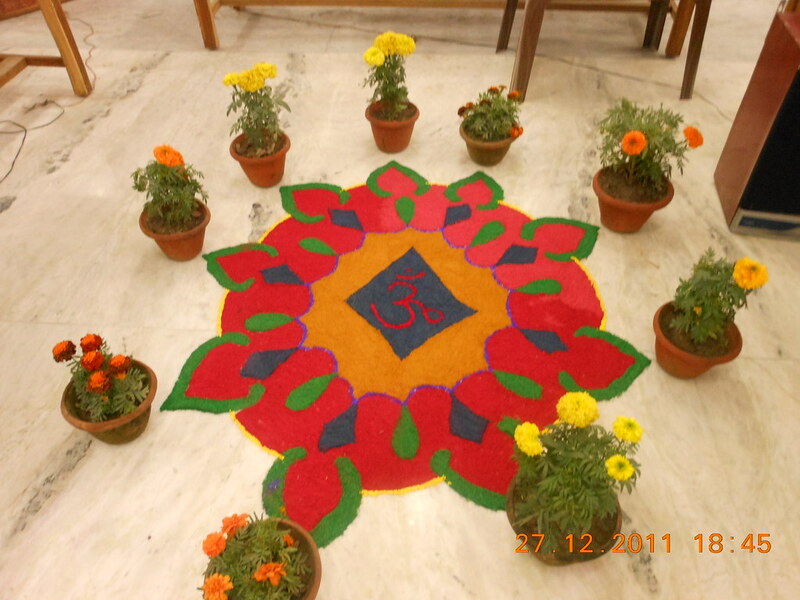 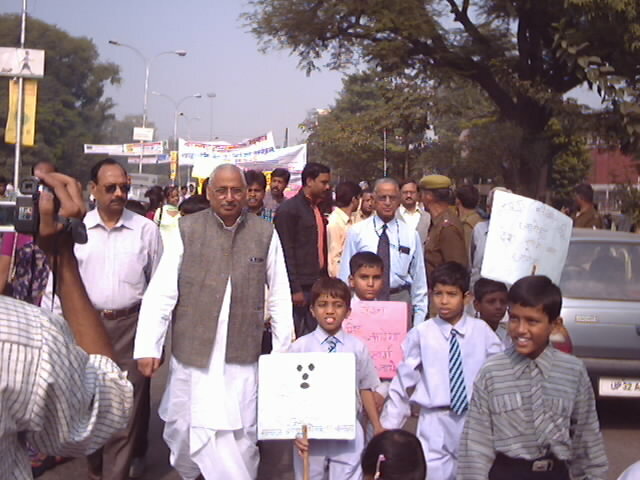 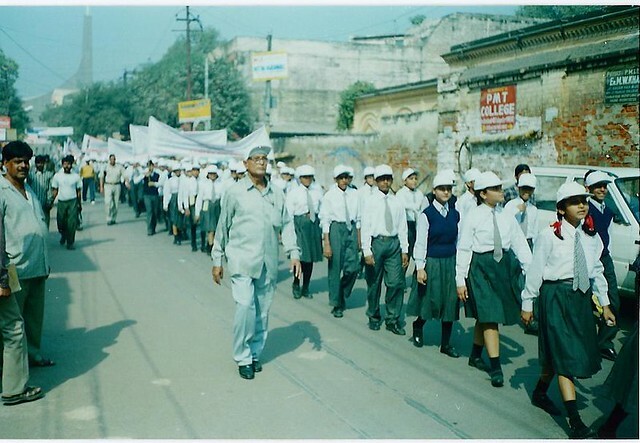 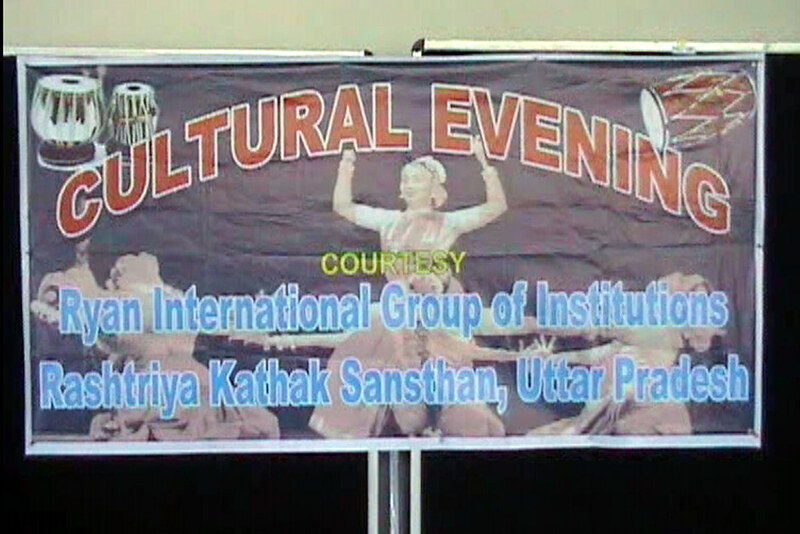 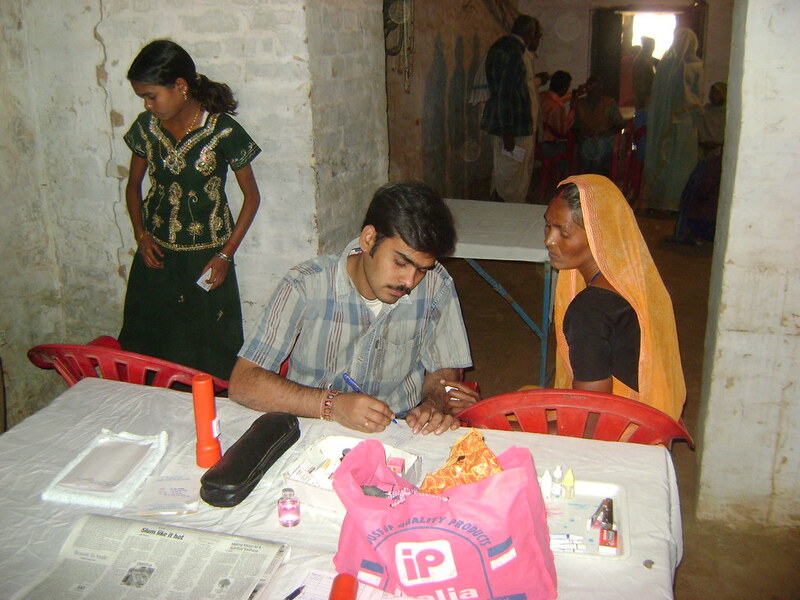 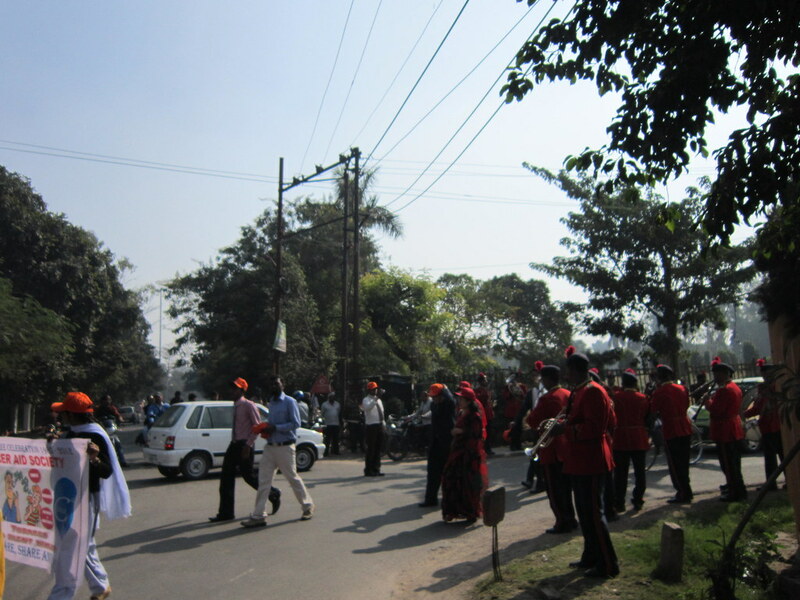 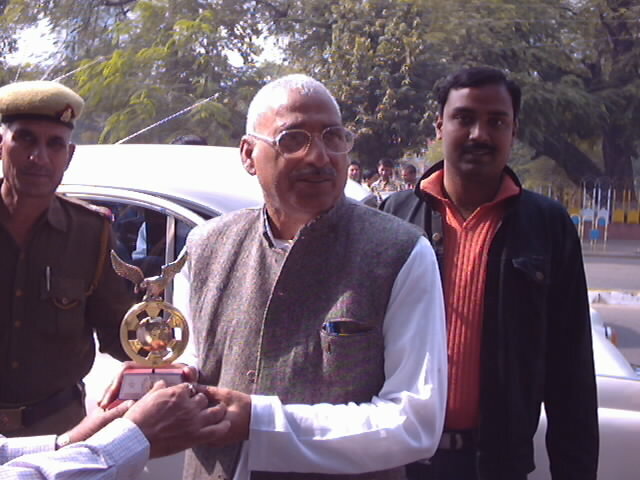 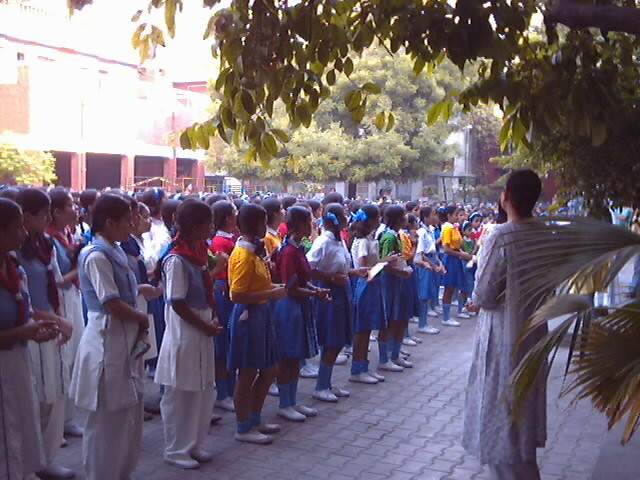 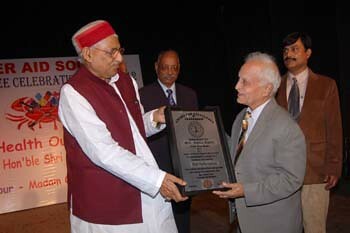 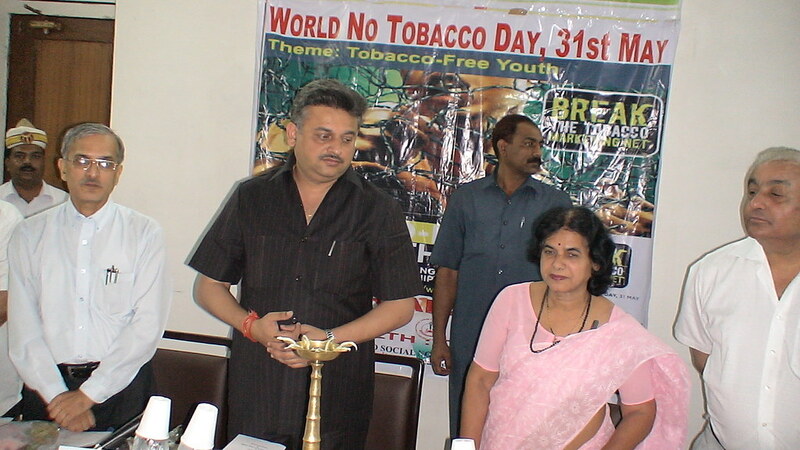 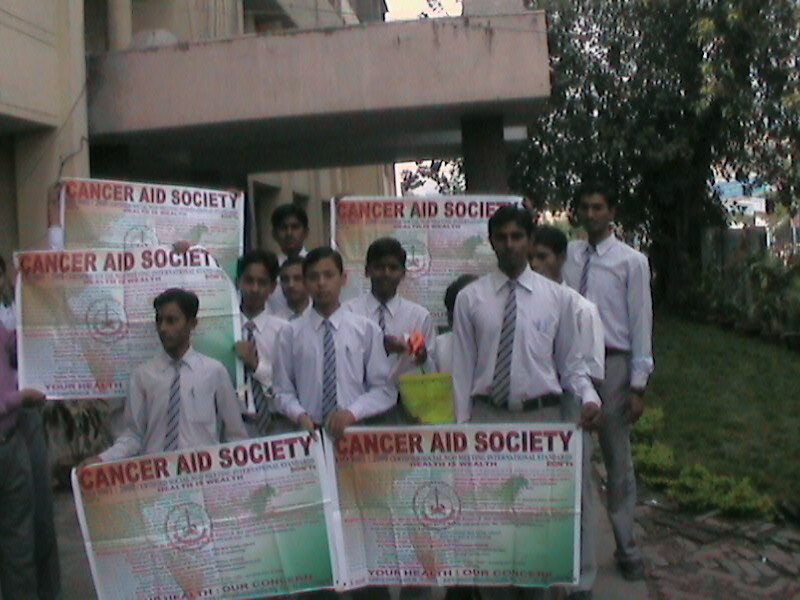 Date: 2nd August, 2008 (Saturday), Venue: LT 3, GSVM Medical College Campus, Kanpur. 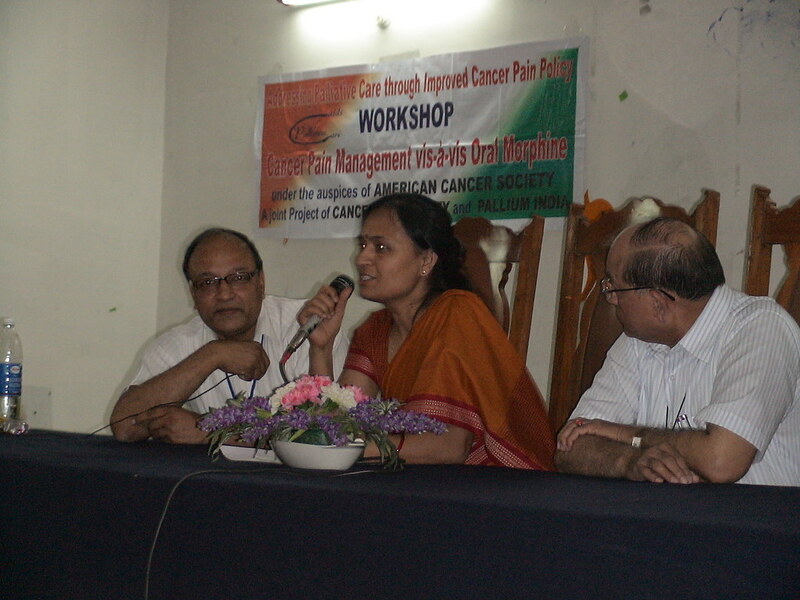 Addressing Palliative Care through Improved Cancer Pain Policy under the auspices of American Cancer Society A joint Project of Cancer Aid Society and Pallium India, One Day Workshop on “Cancer Pain Management vis-à-vis Oral Morphine”, Organized by Cancer Aid Society In Collaboration with Dept. 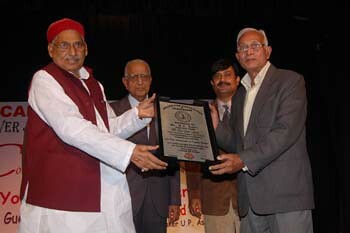 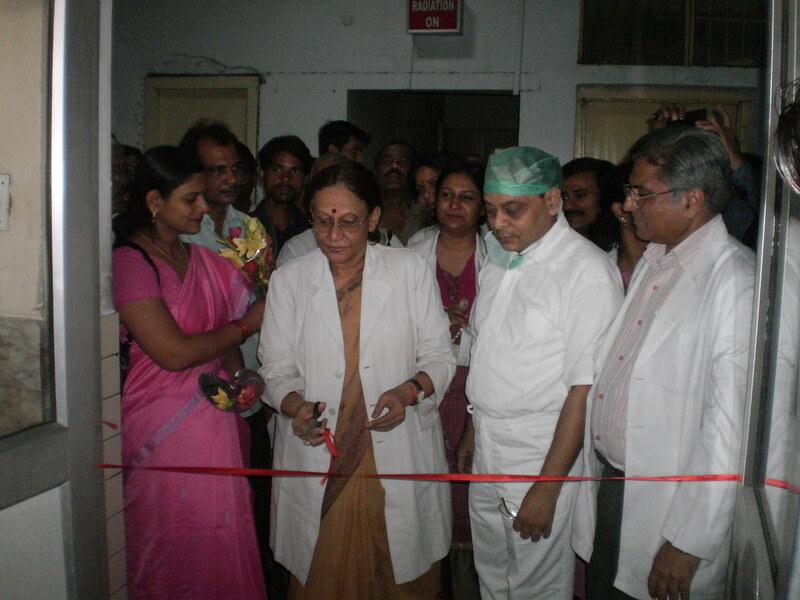 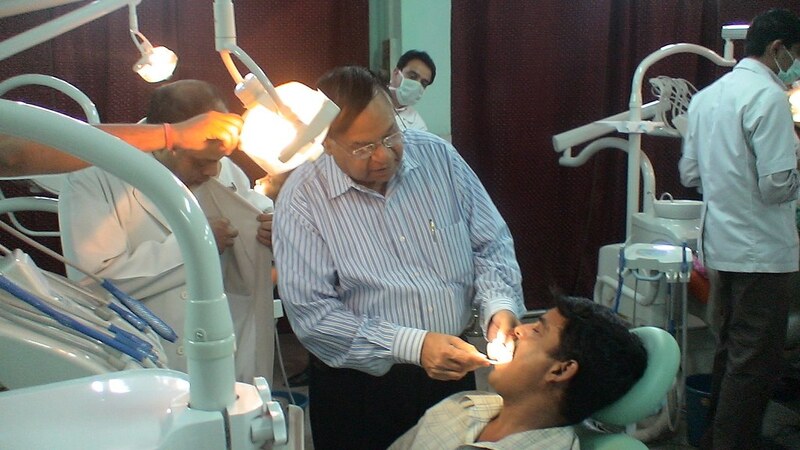 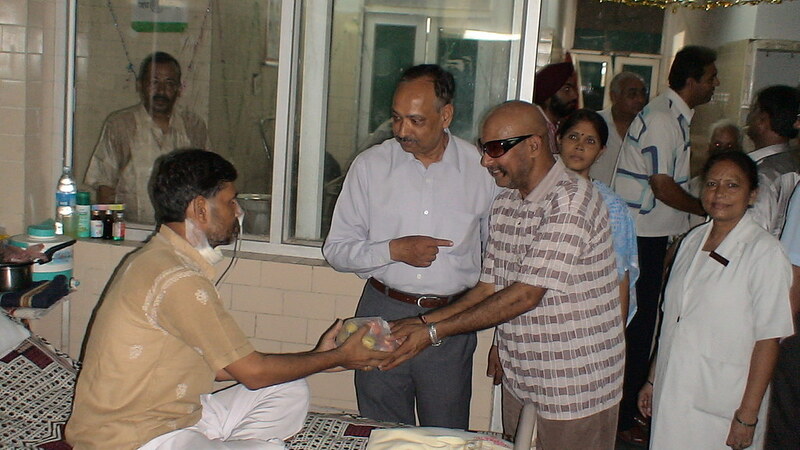 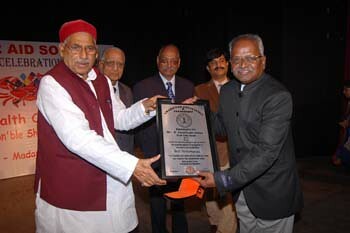 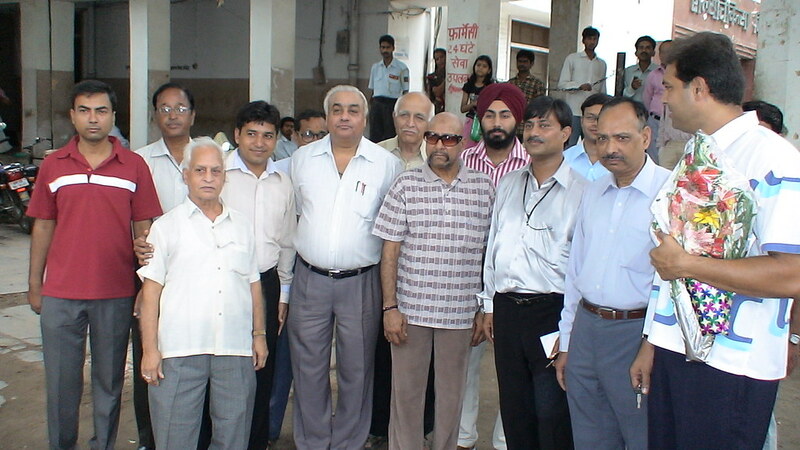 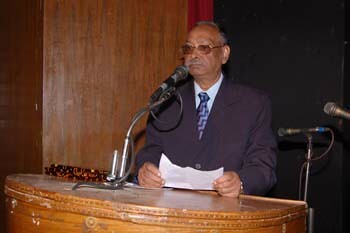 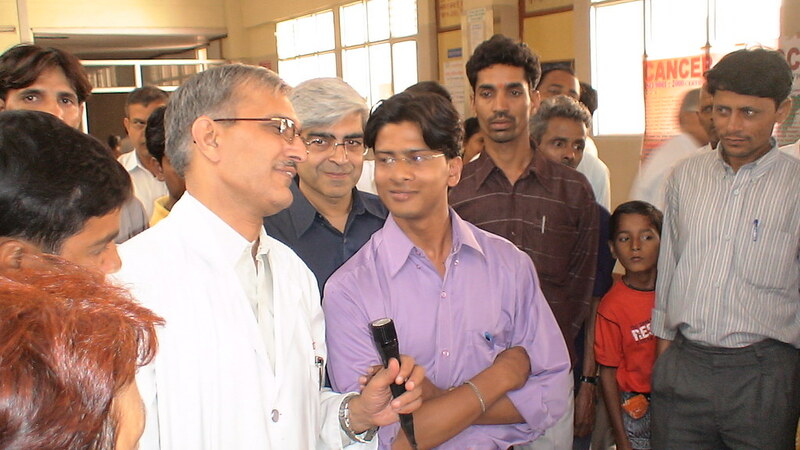 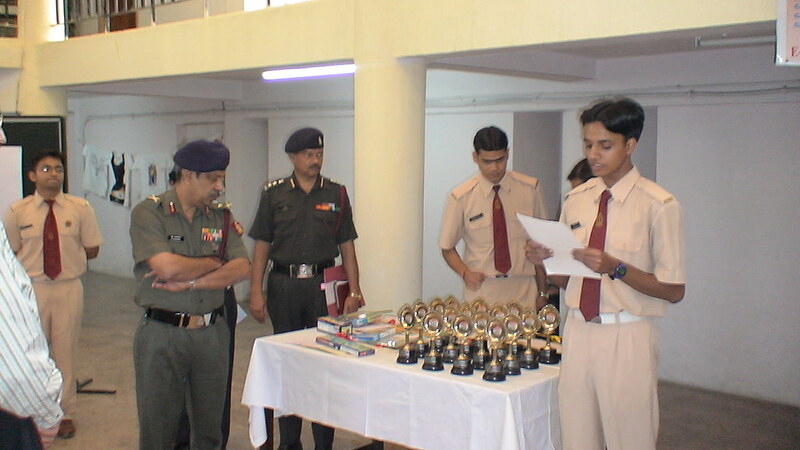 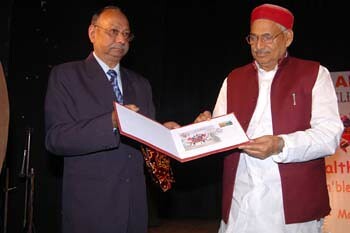 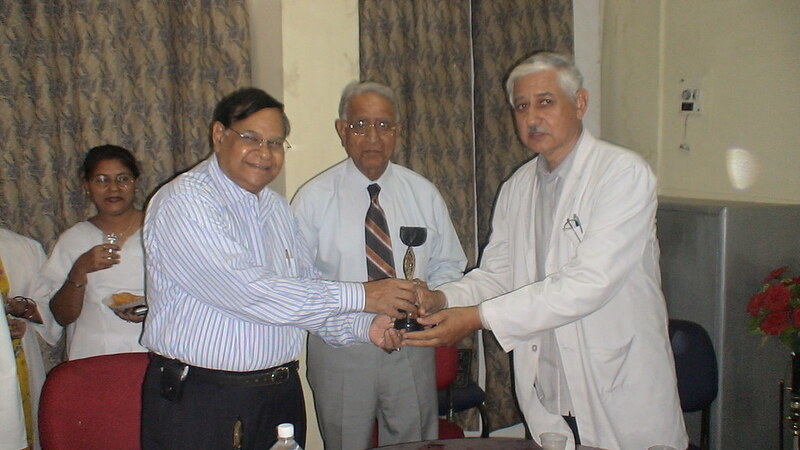 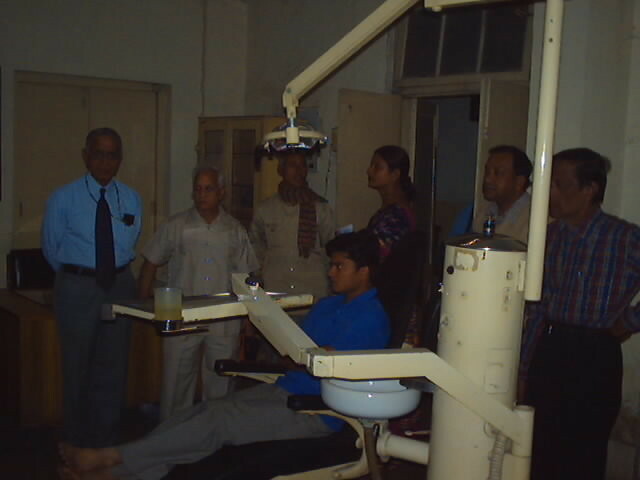 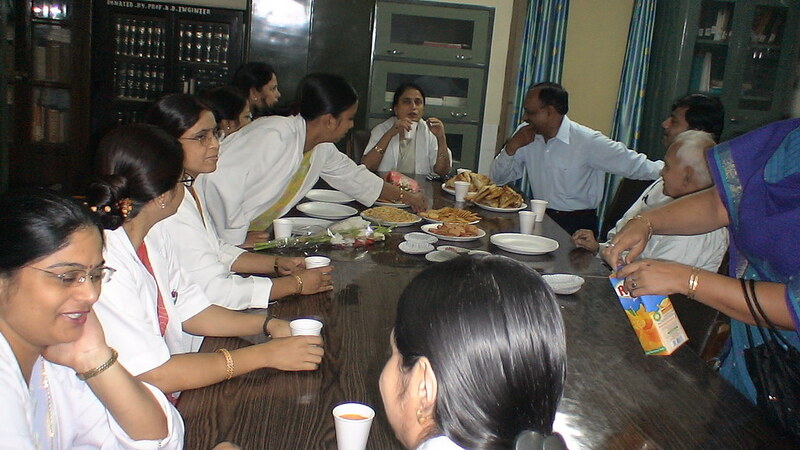 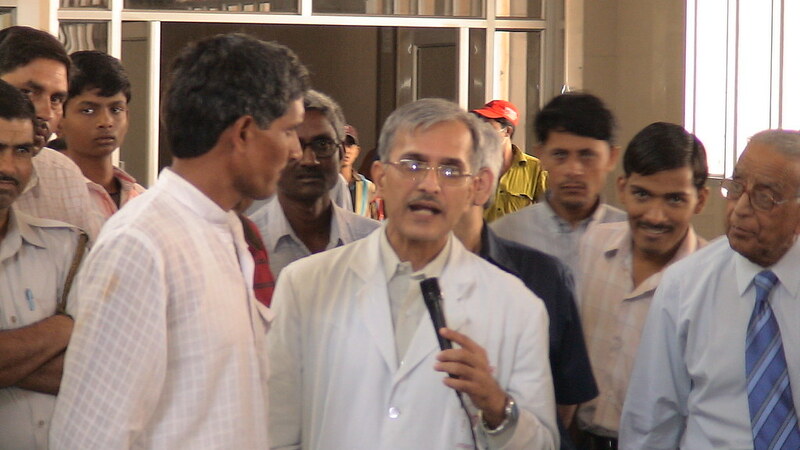 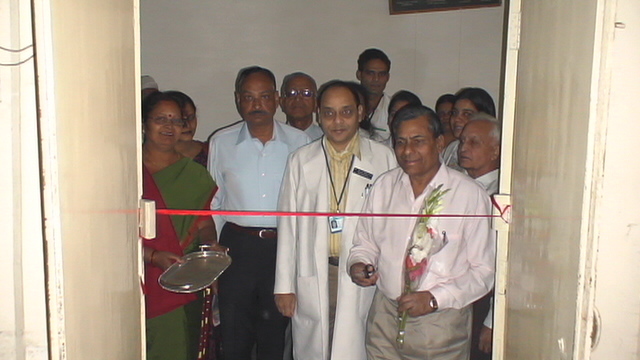 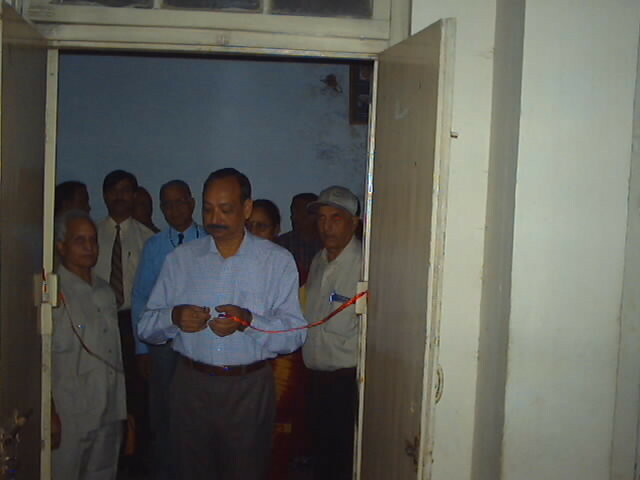 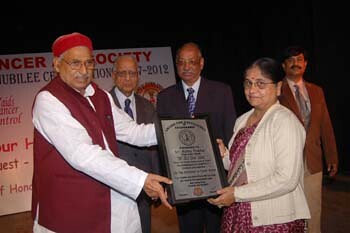 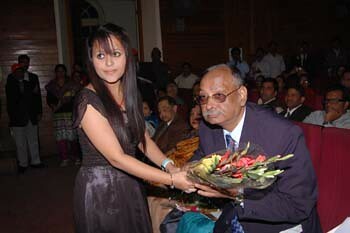 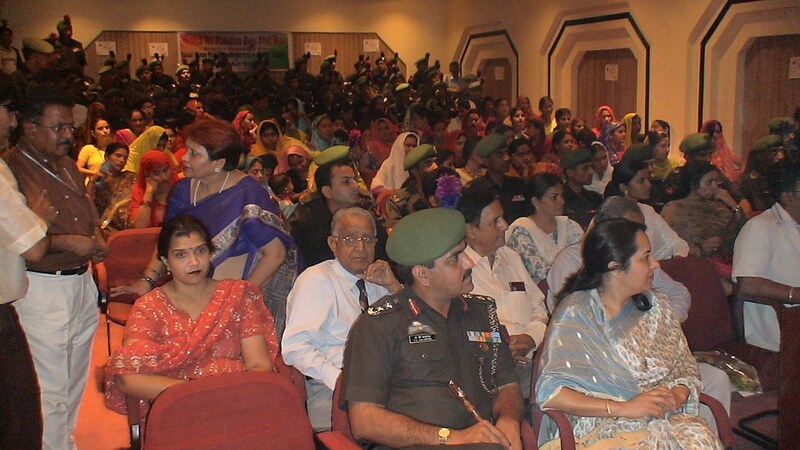 of Anaesthesiology, SN Medical College, Agra on 18th September 2008 at LT 4, S.N. 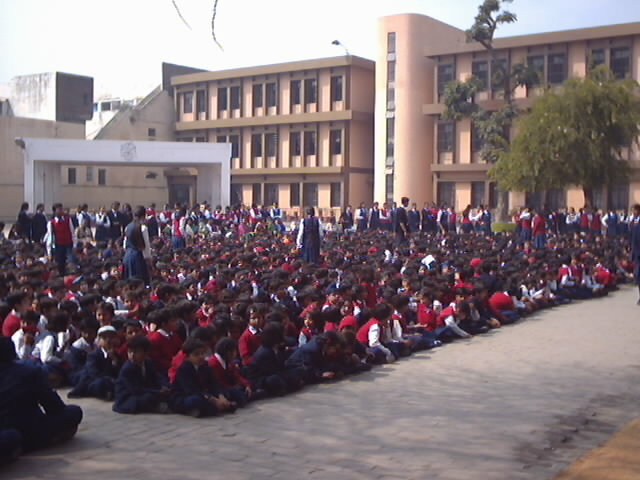 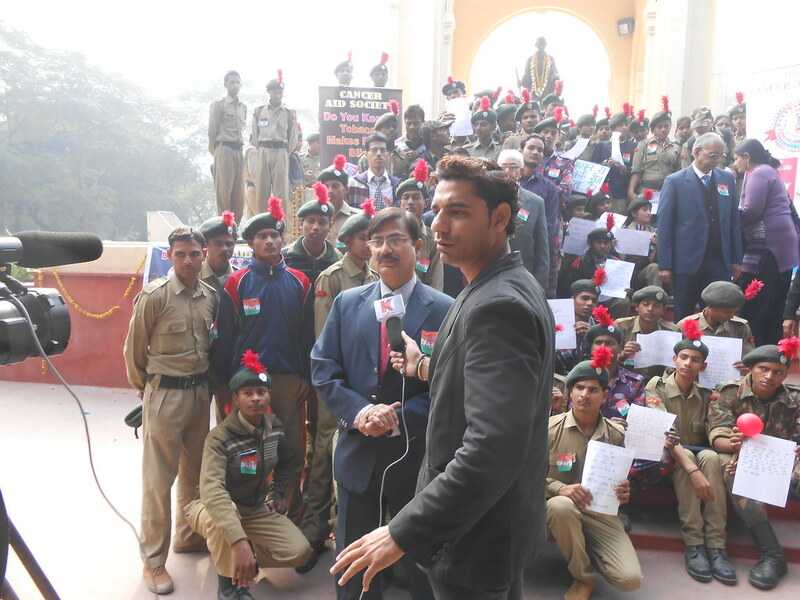 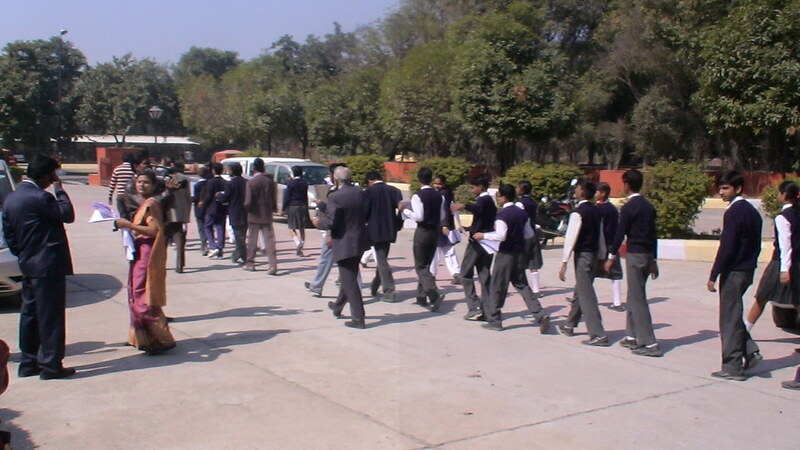 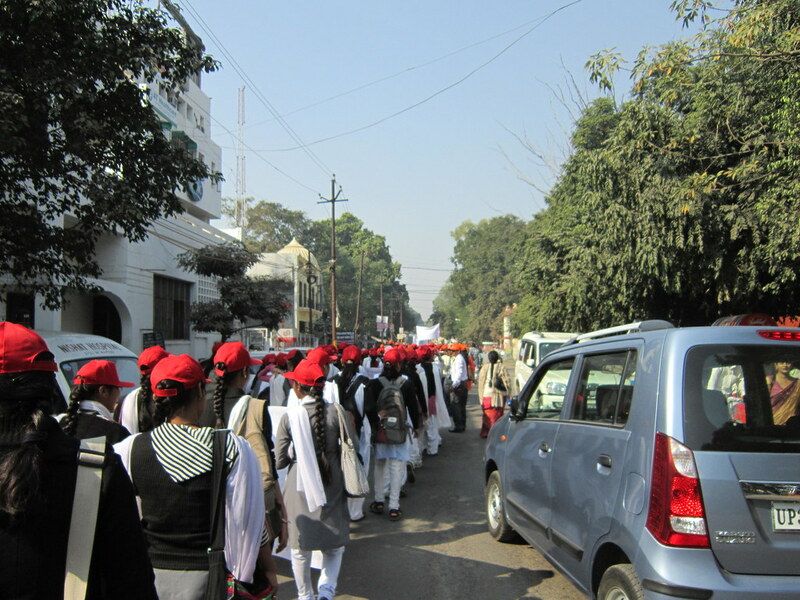 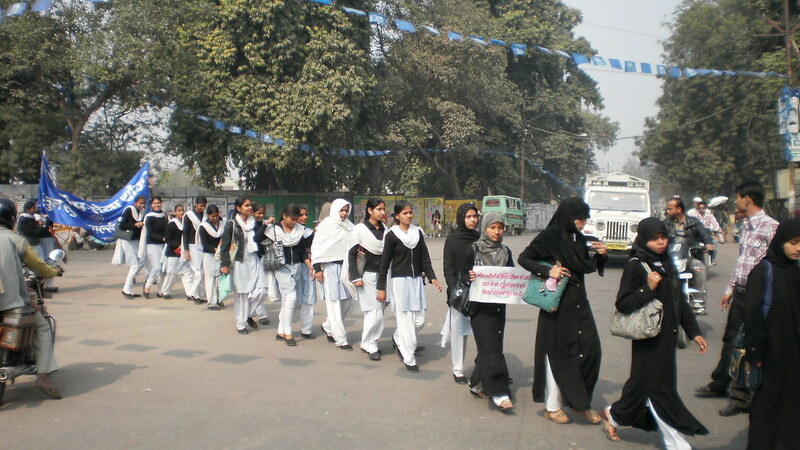 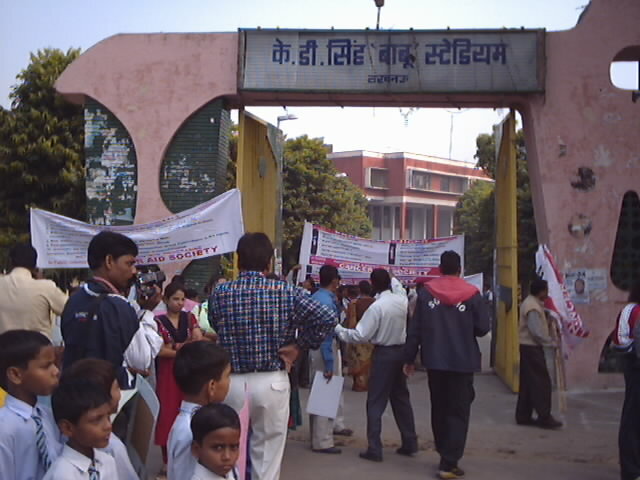 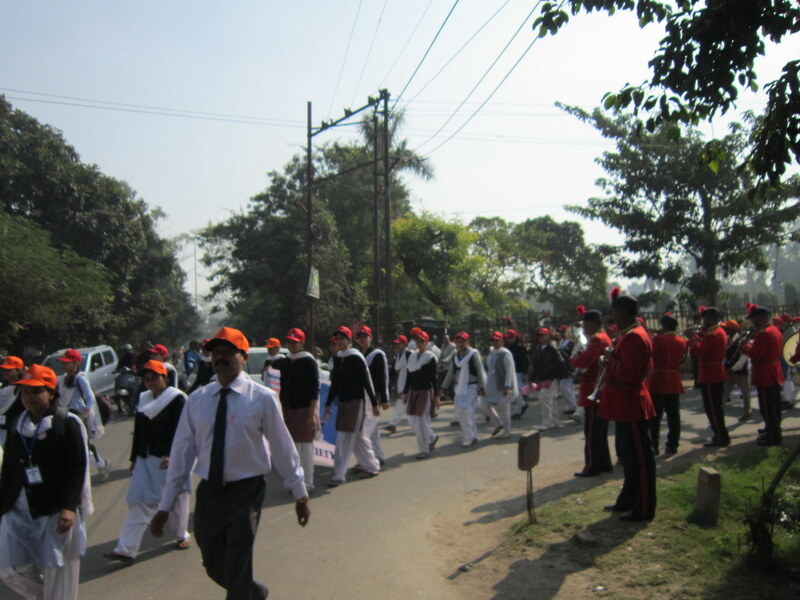 Medical College, Agra. 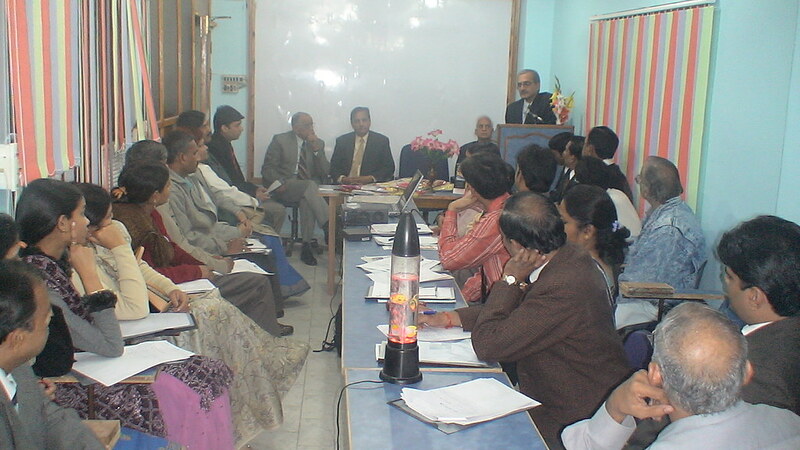 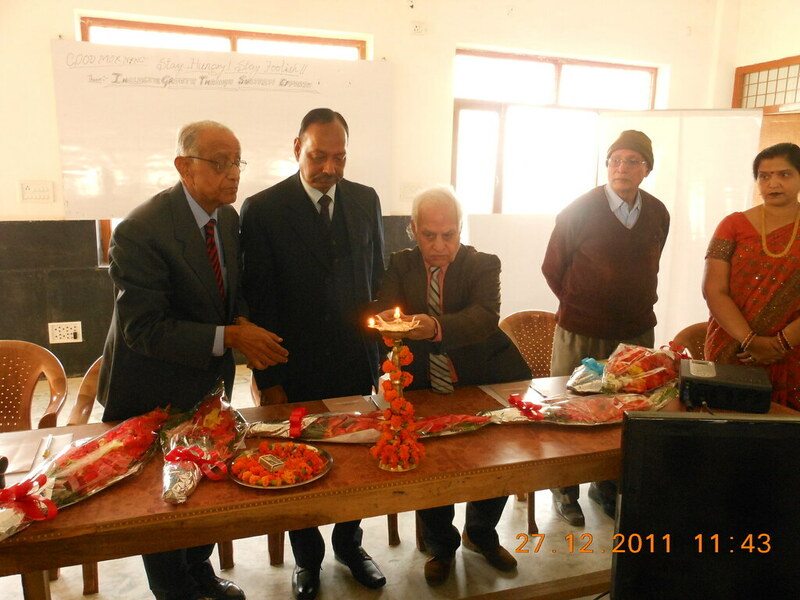 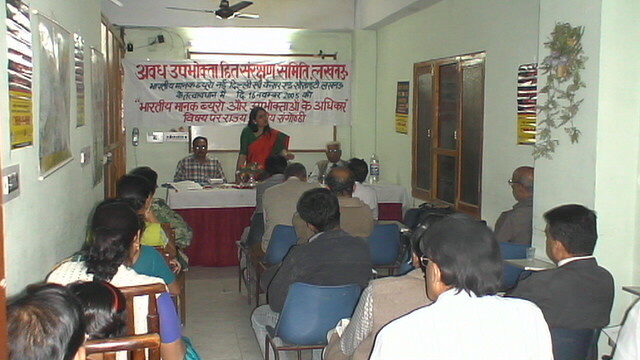 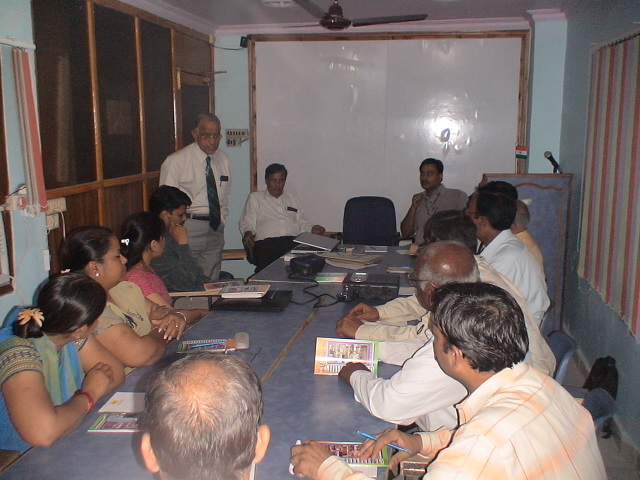 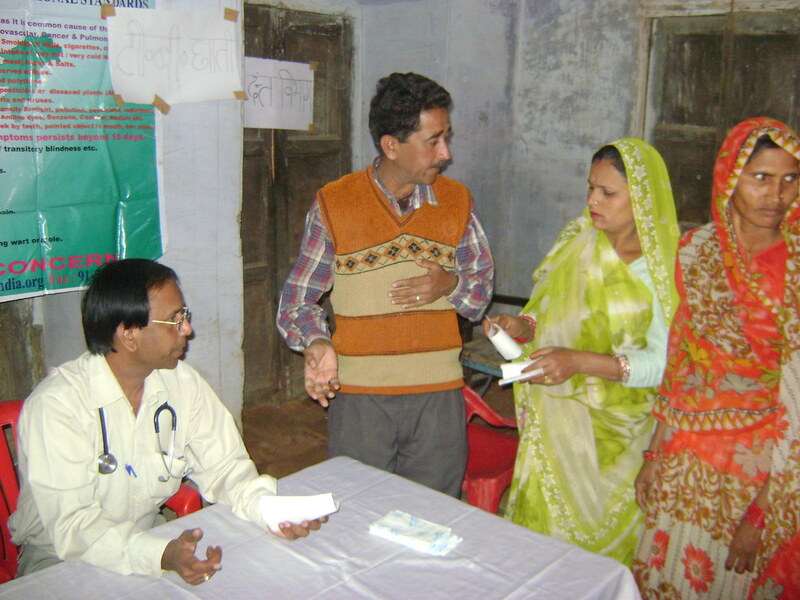 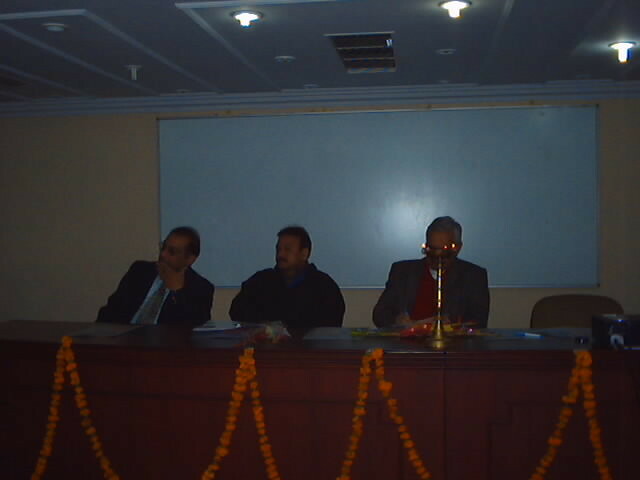 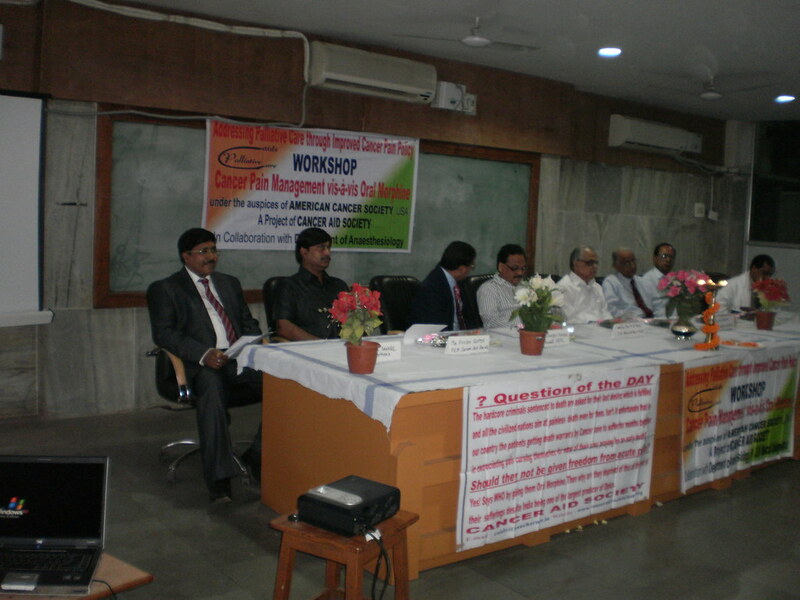 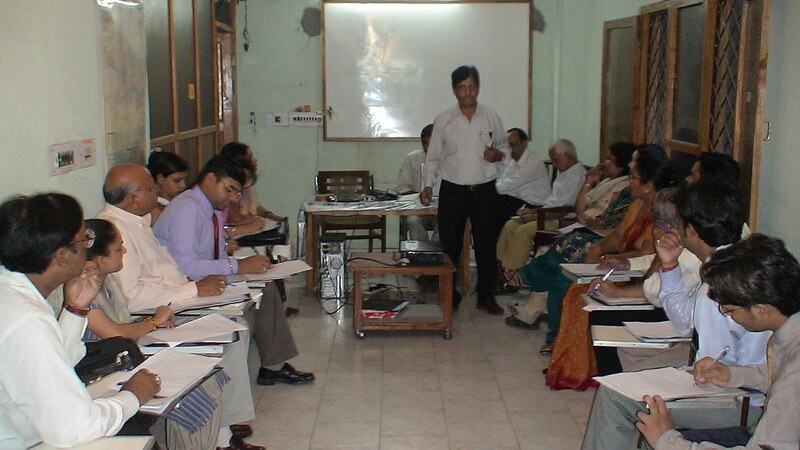 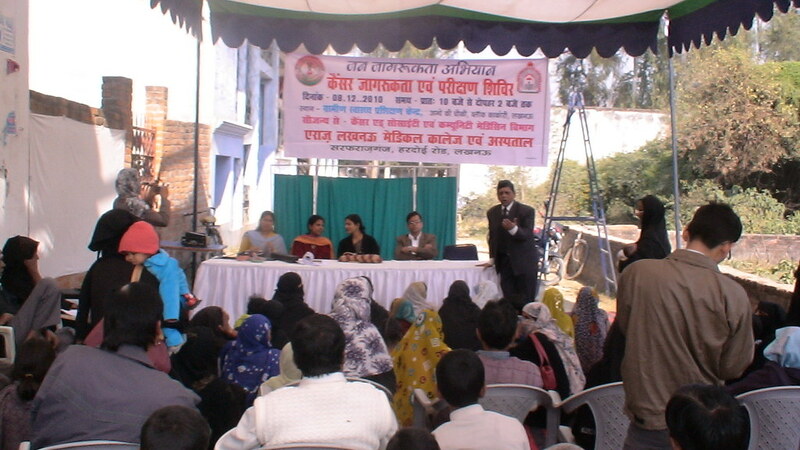 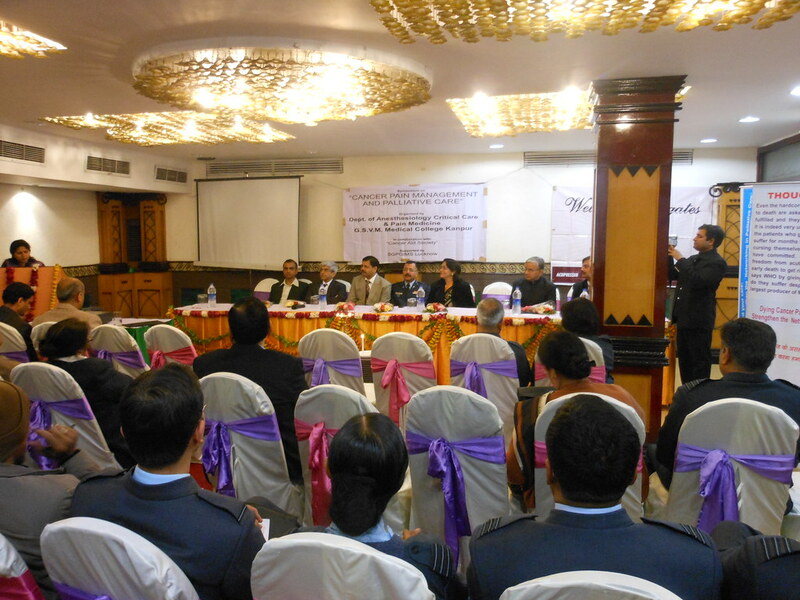 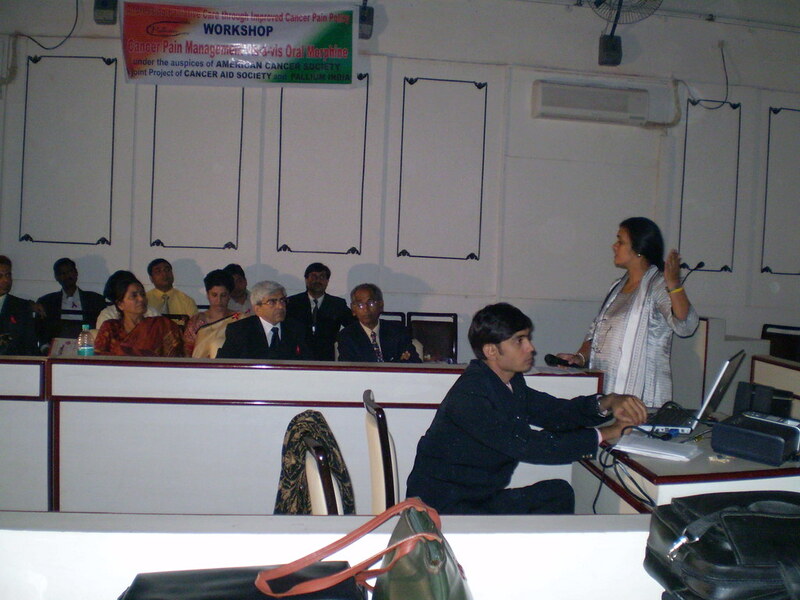 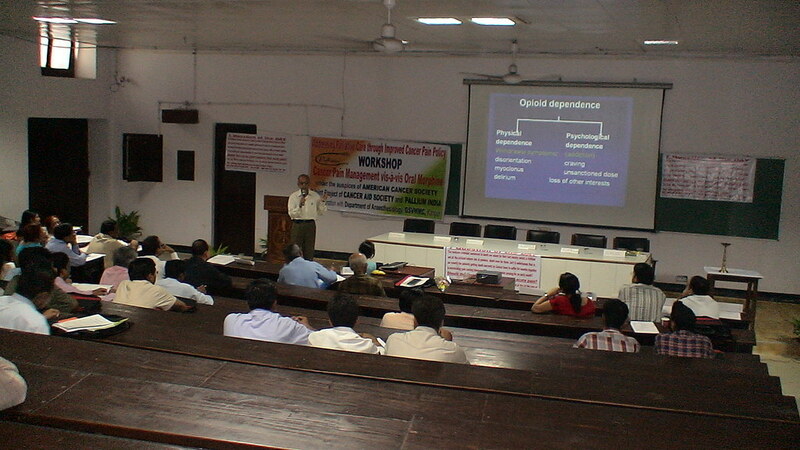 Organized Fifth One Day Workshop on “Cancer Pain Management vis-à-vis Oral Morphine” on 13th December 2008 in Collaboration with Dept. 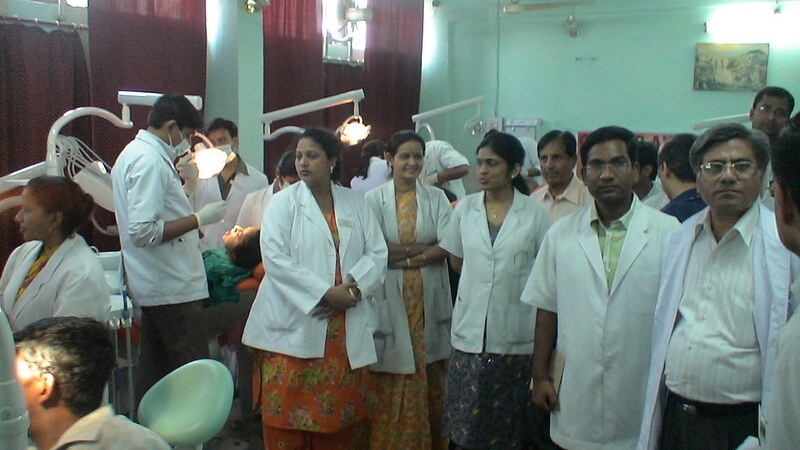 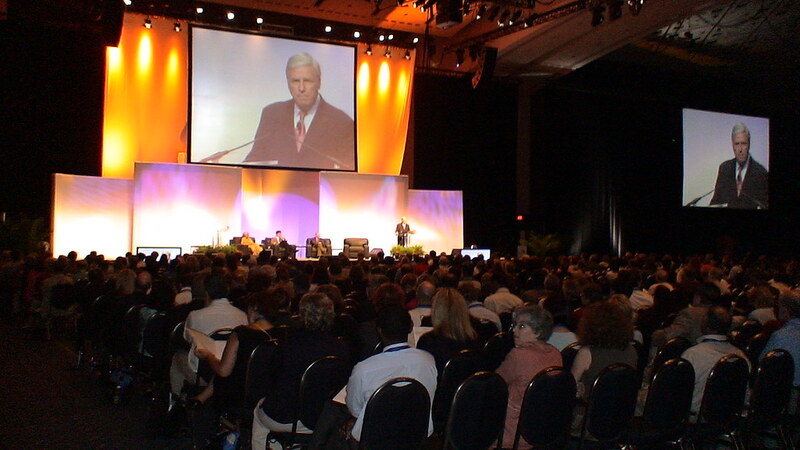 of Anaesthesiology & Critical Care , M.L.B. 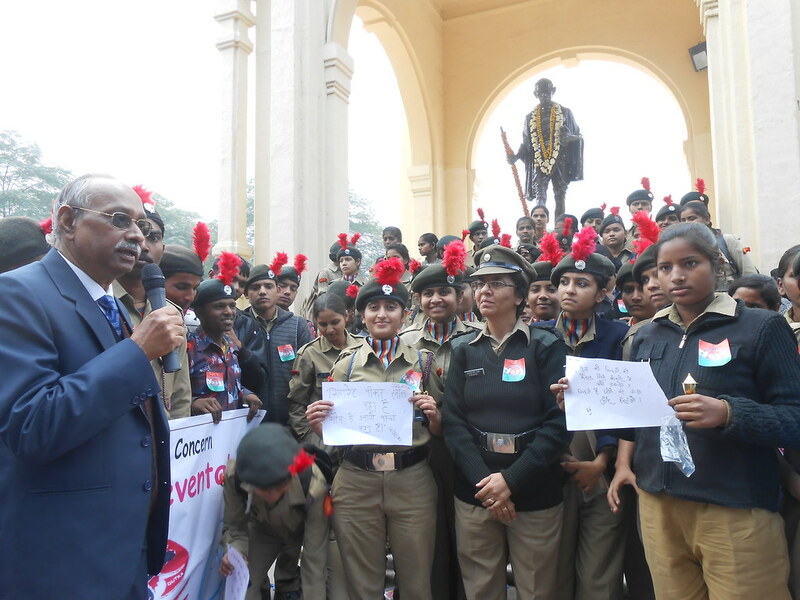 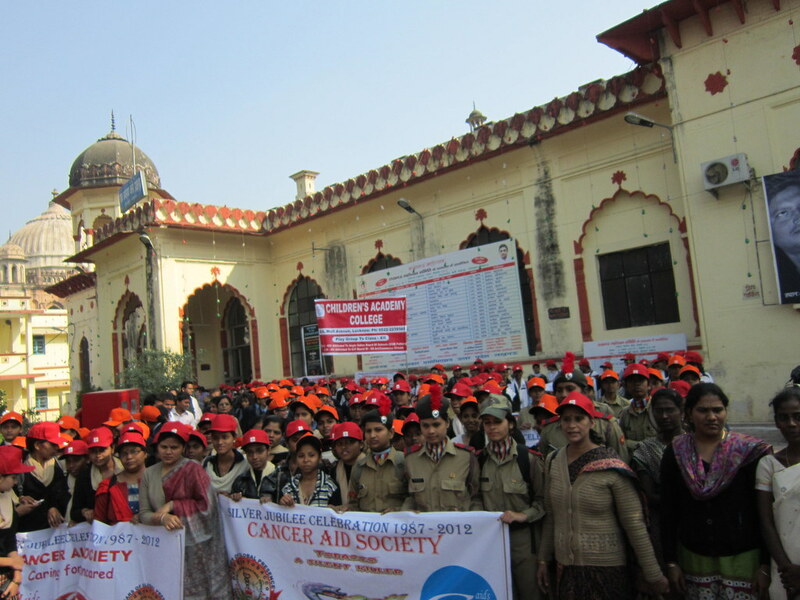 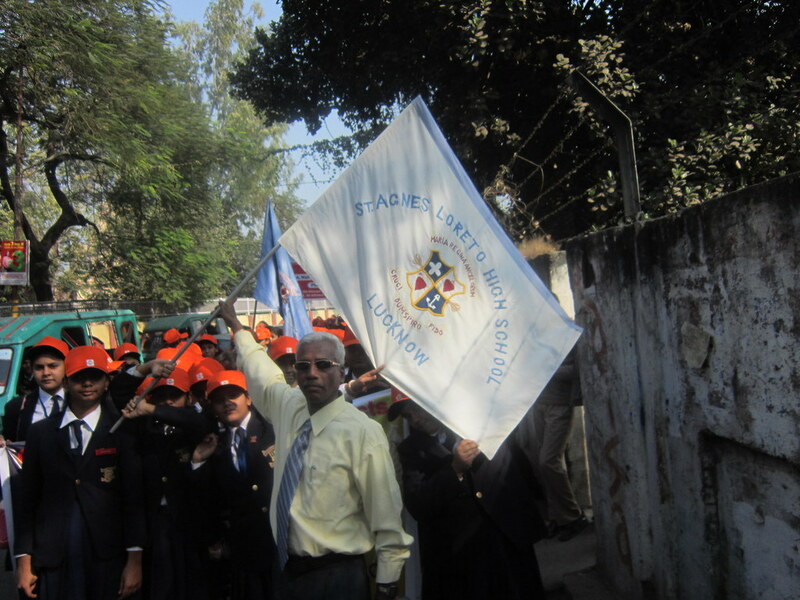 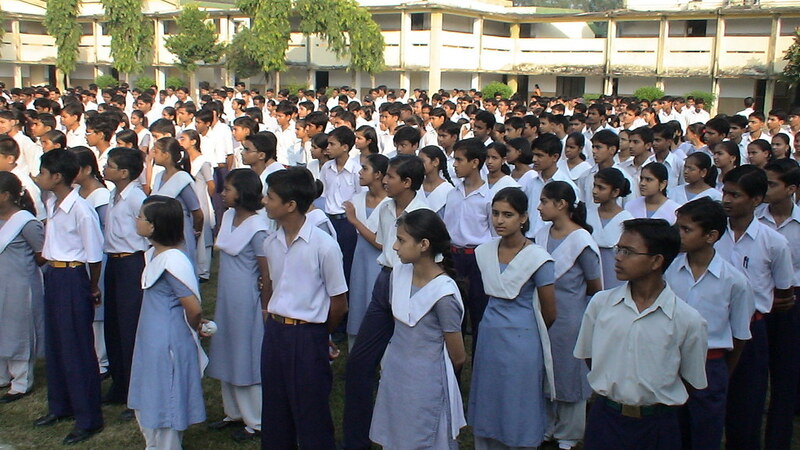 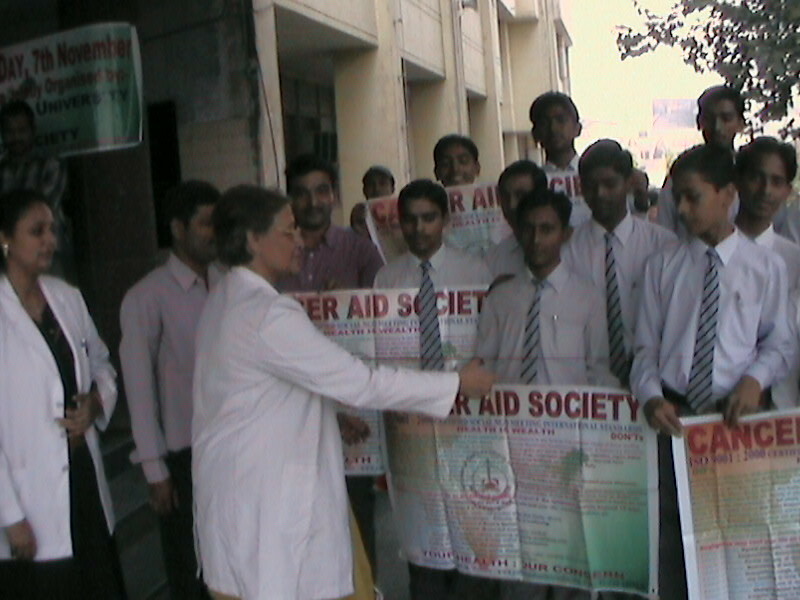 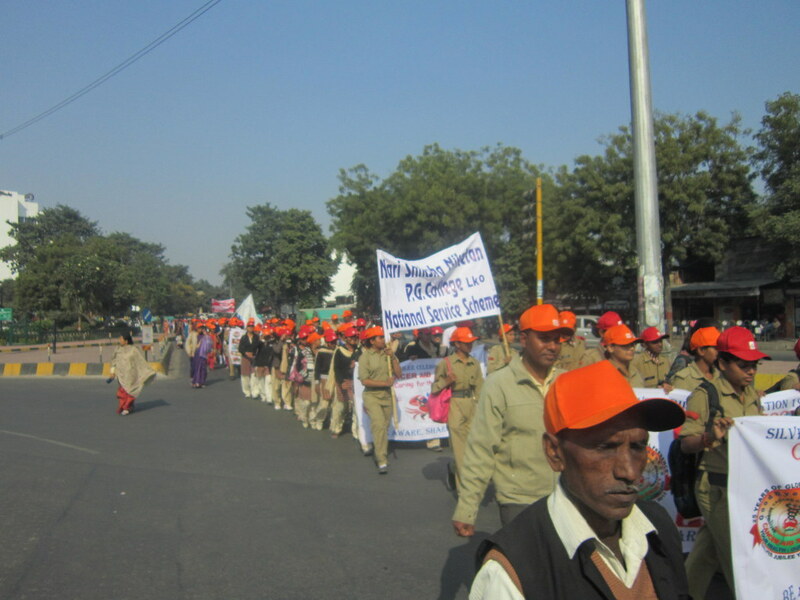 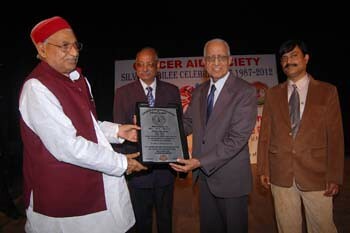 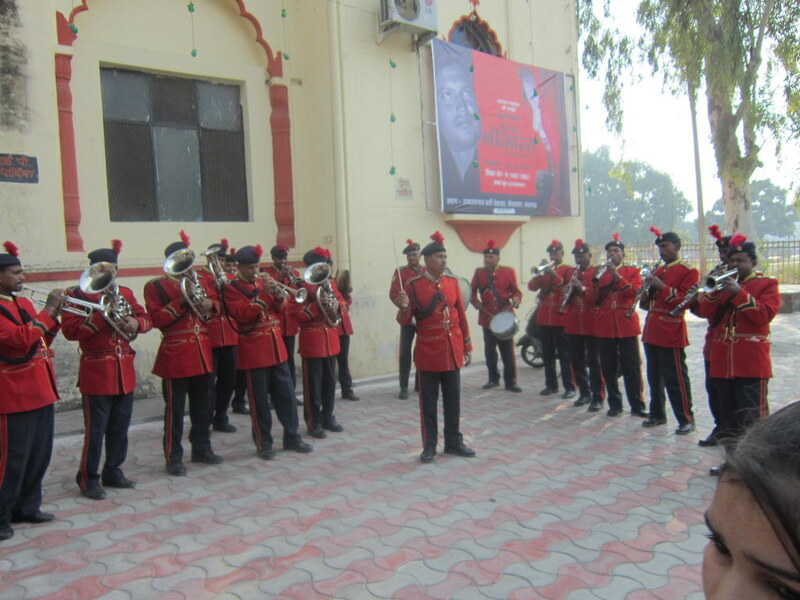 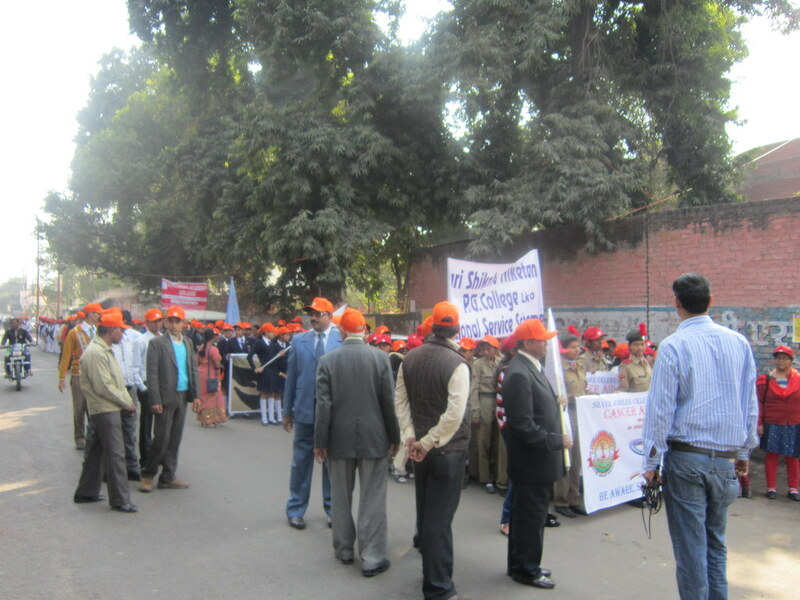 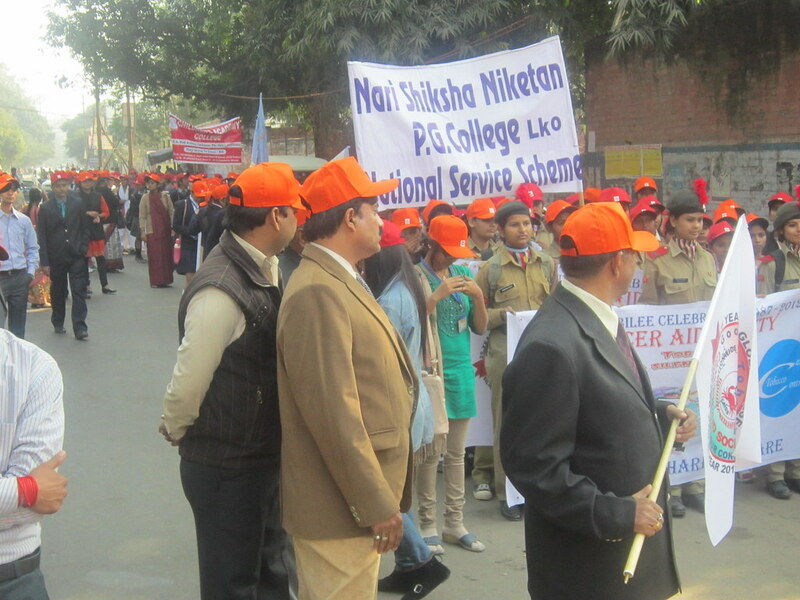 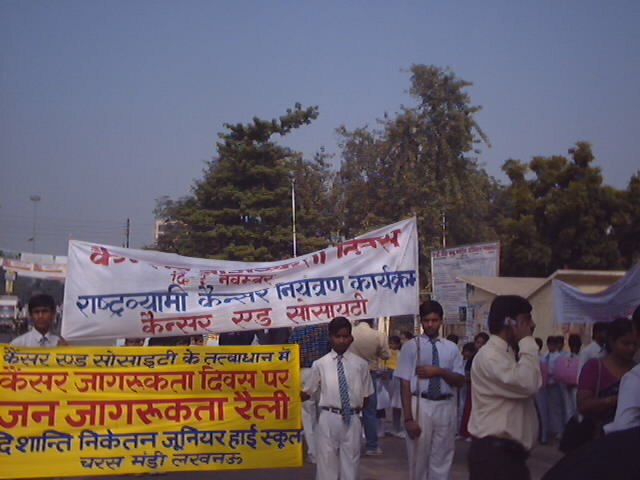 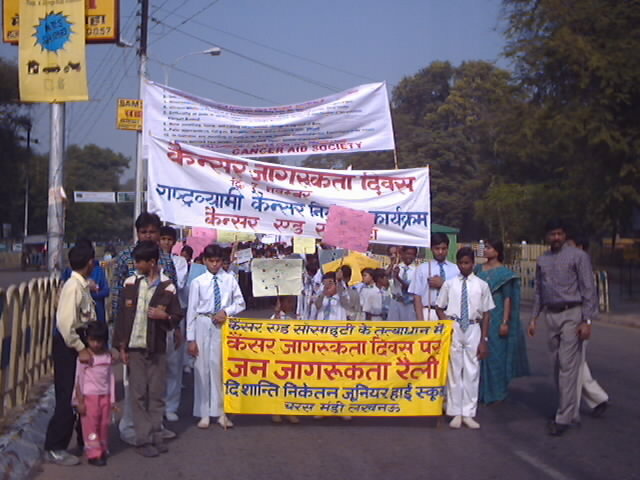 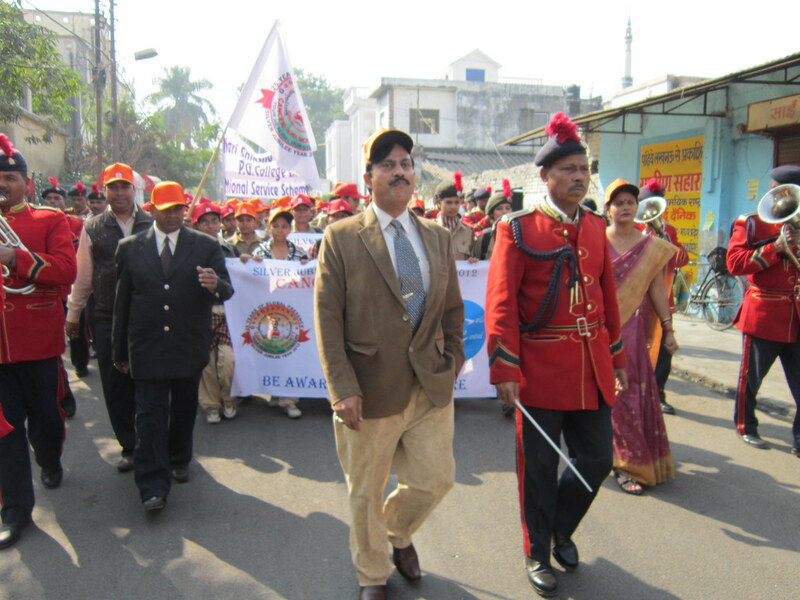 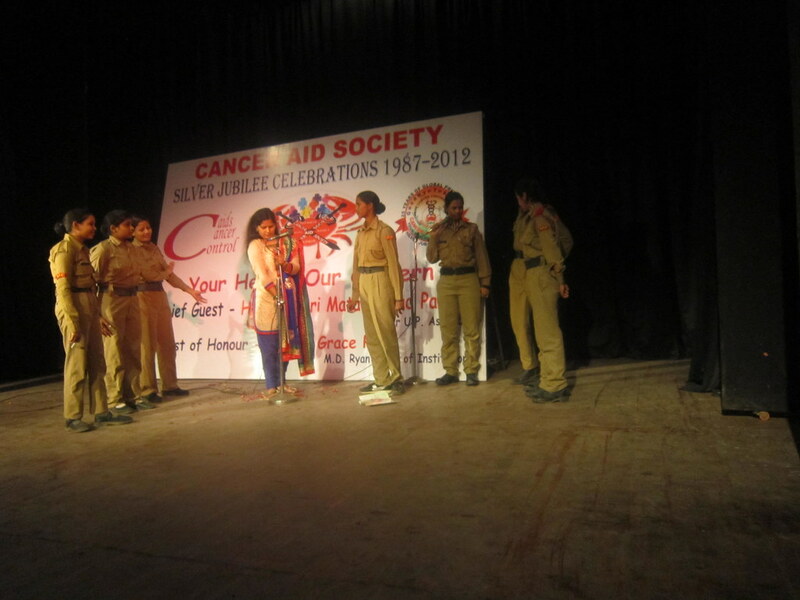 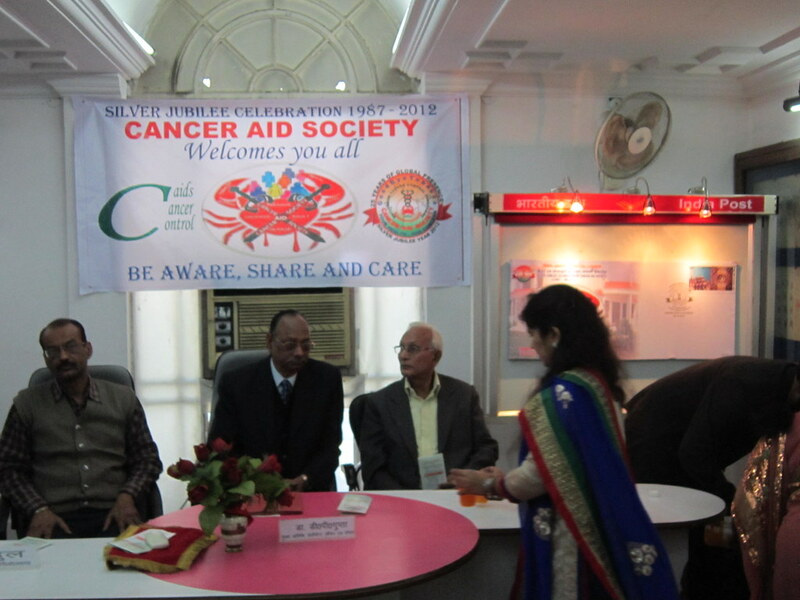 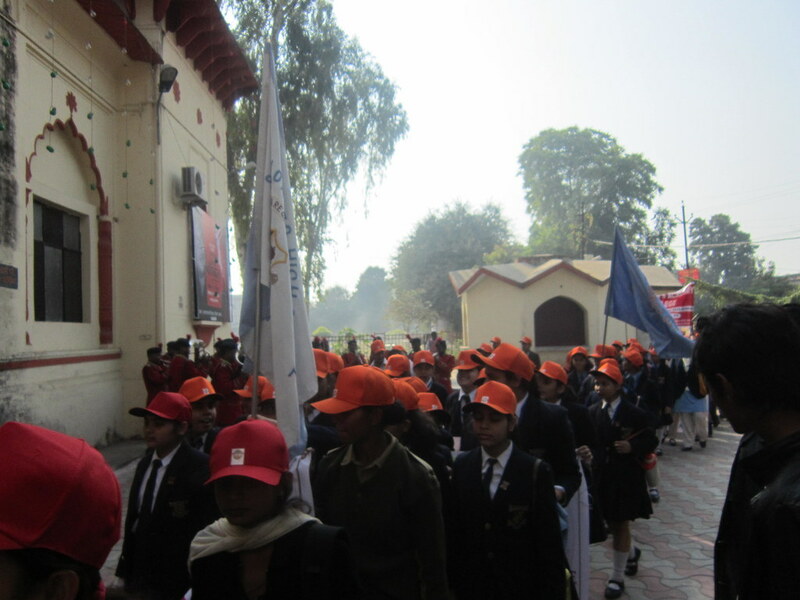 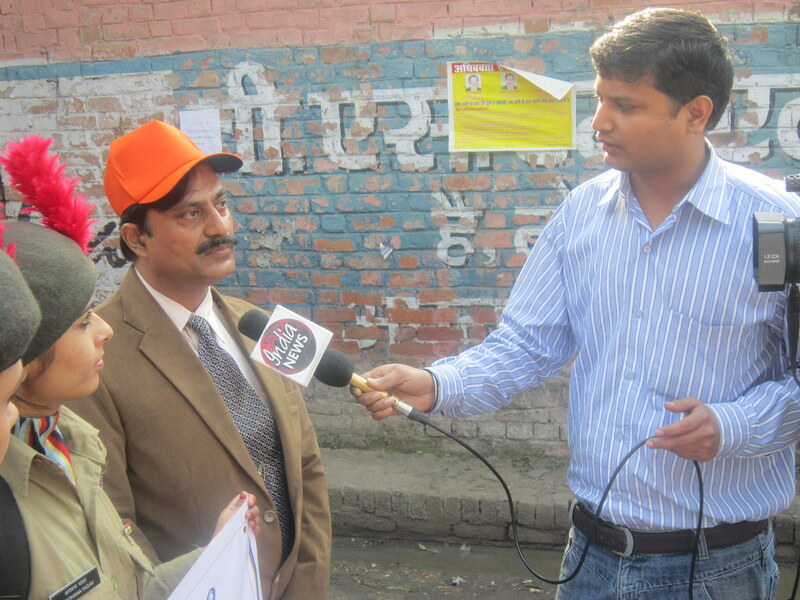 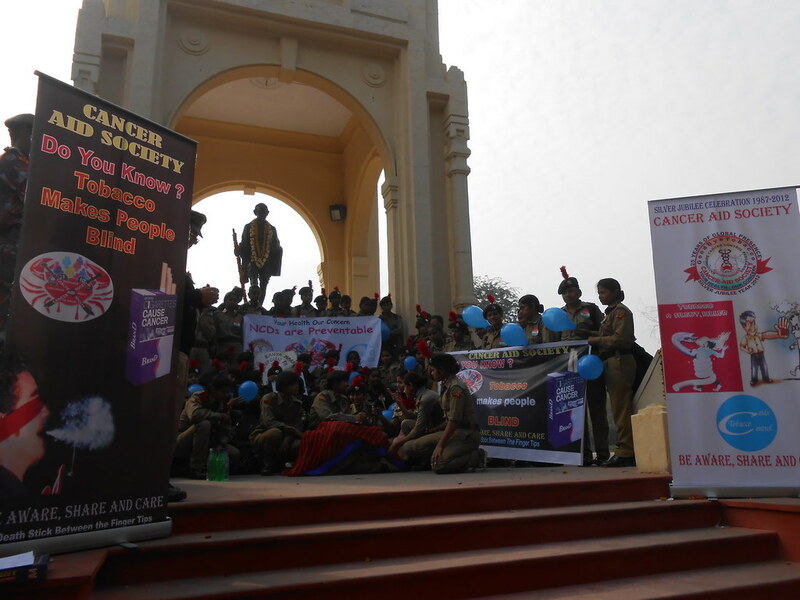 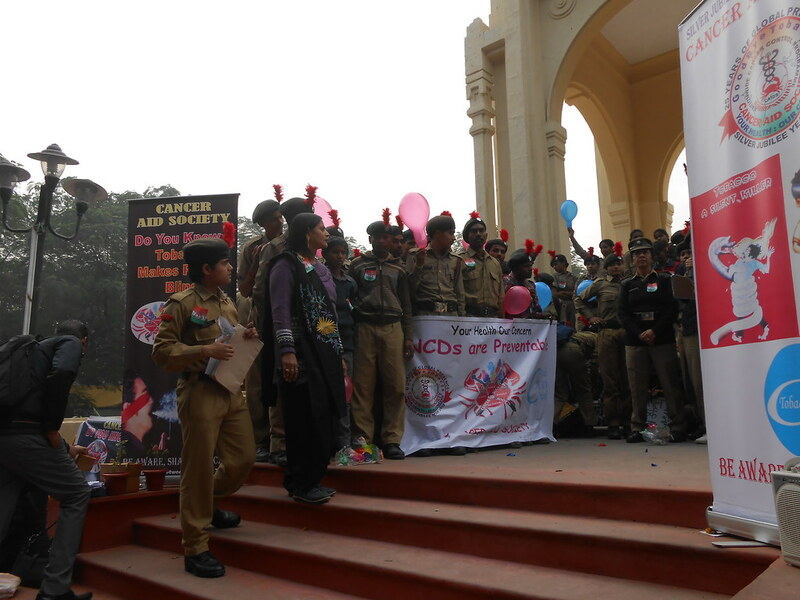 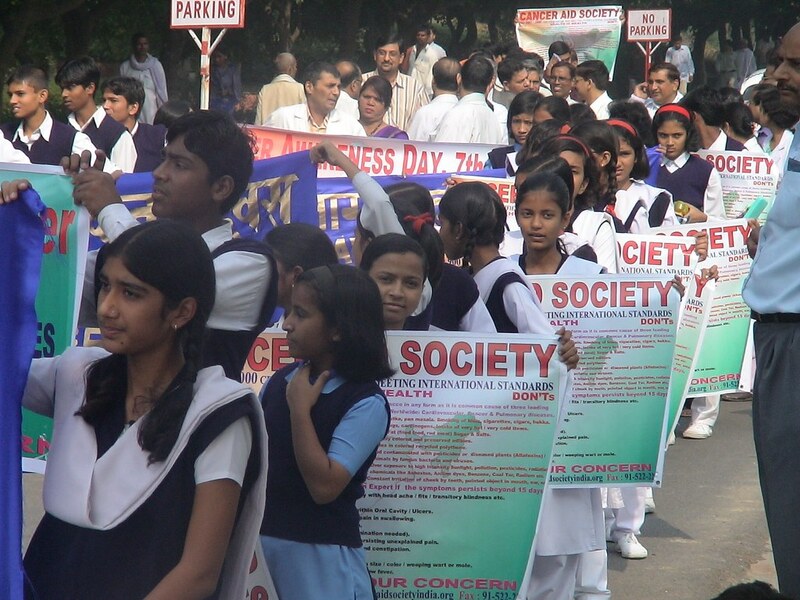 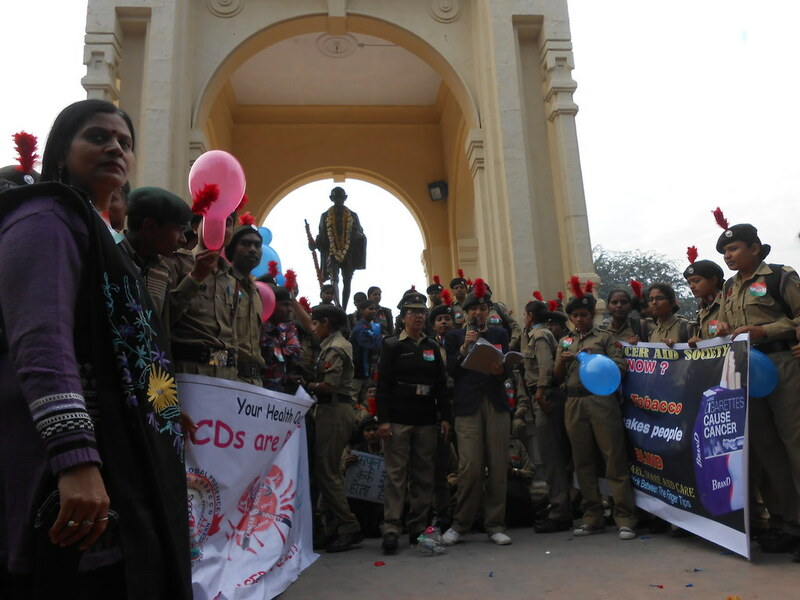 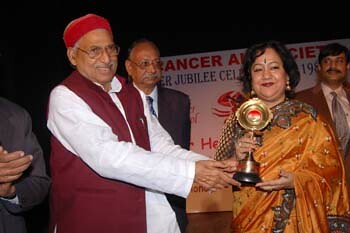 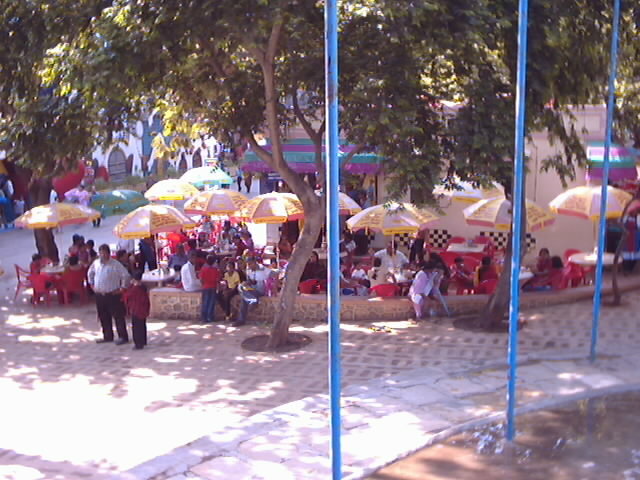 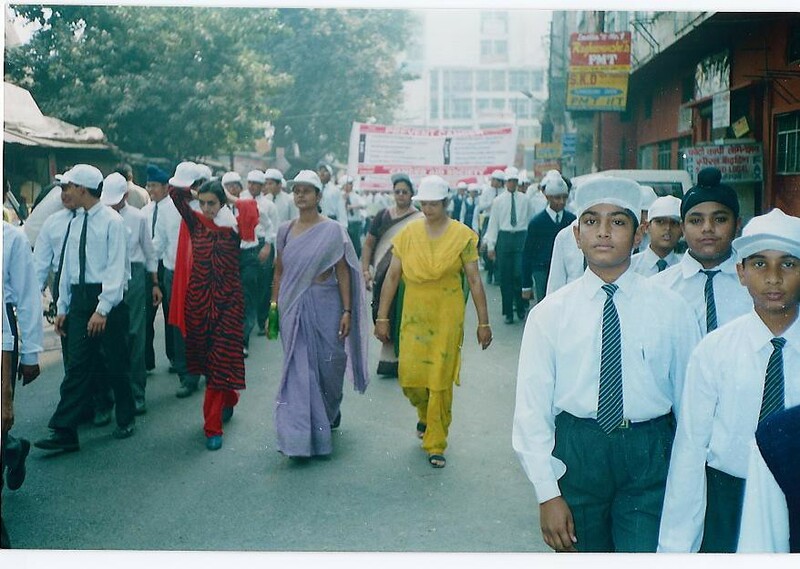 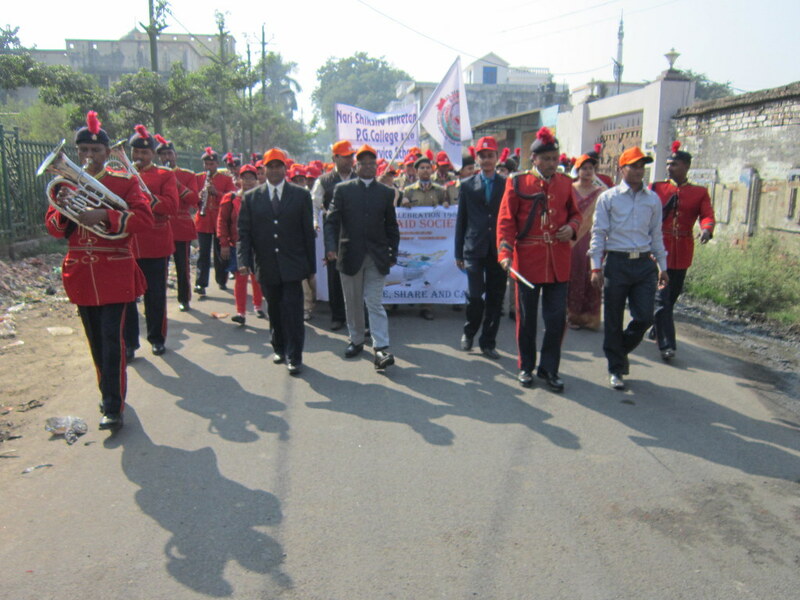 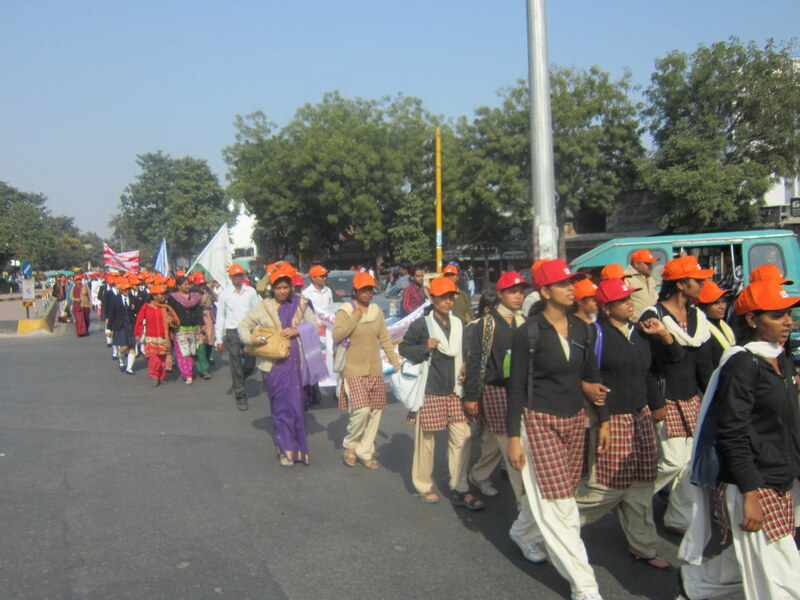 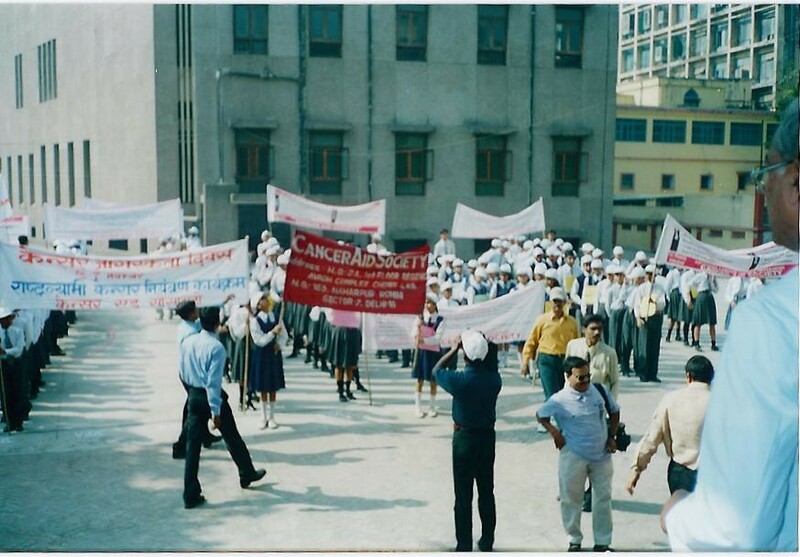 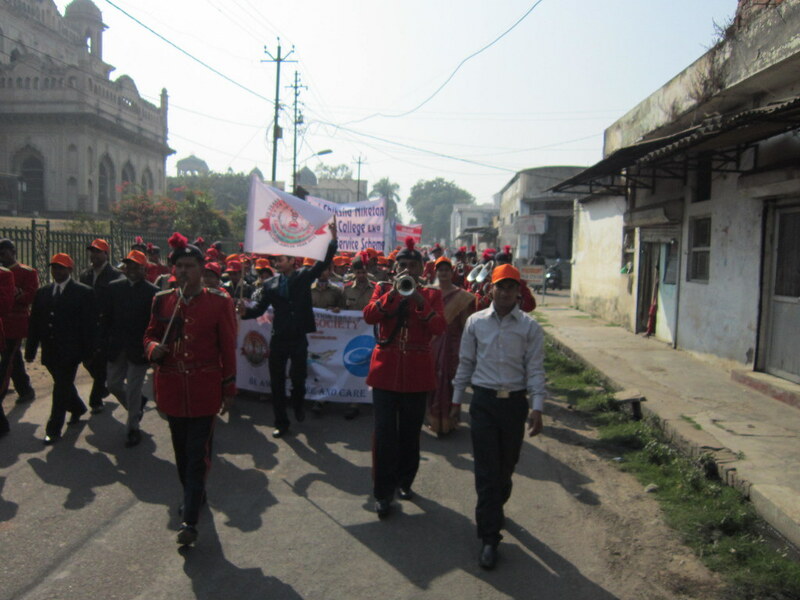 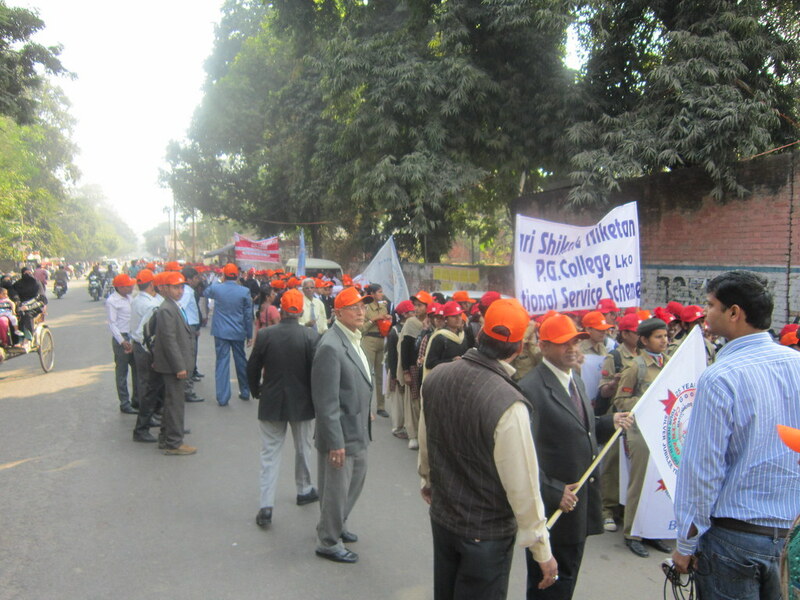 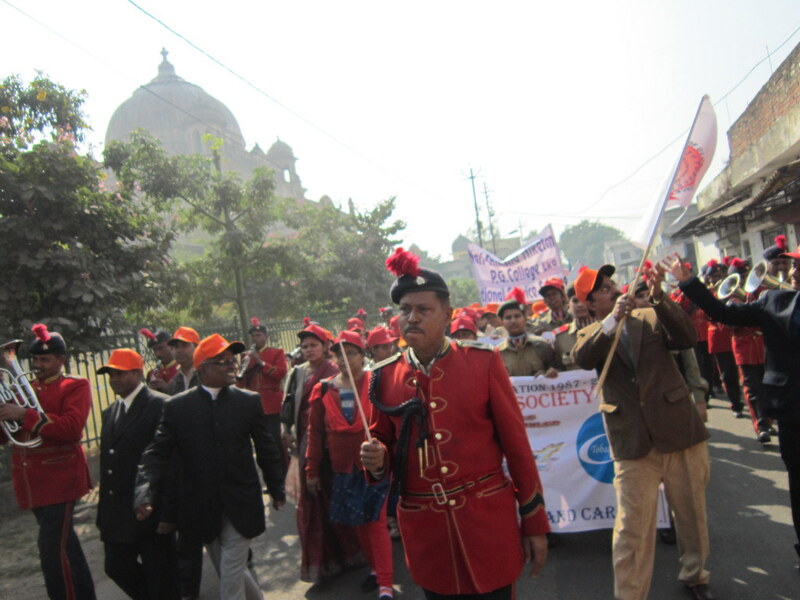 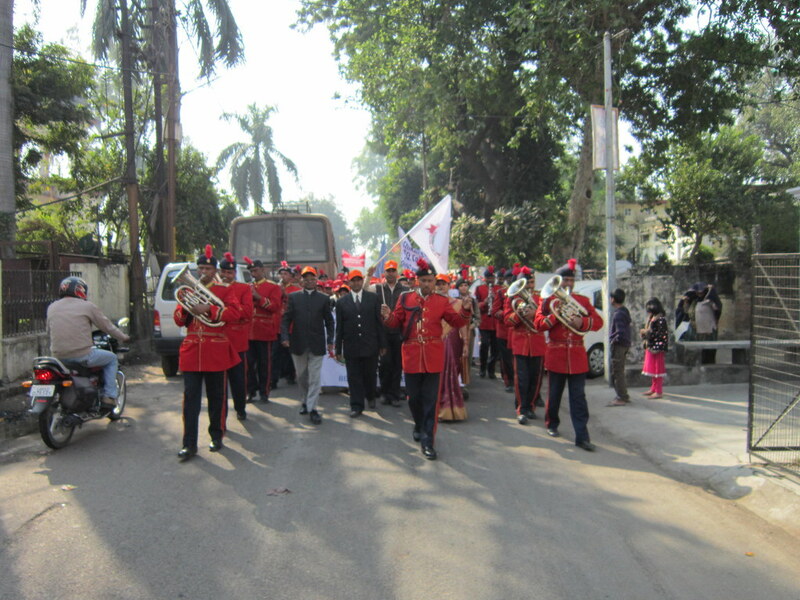 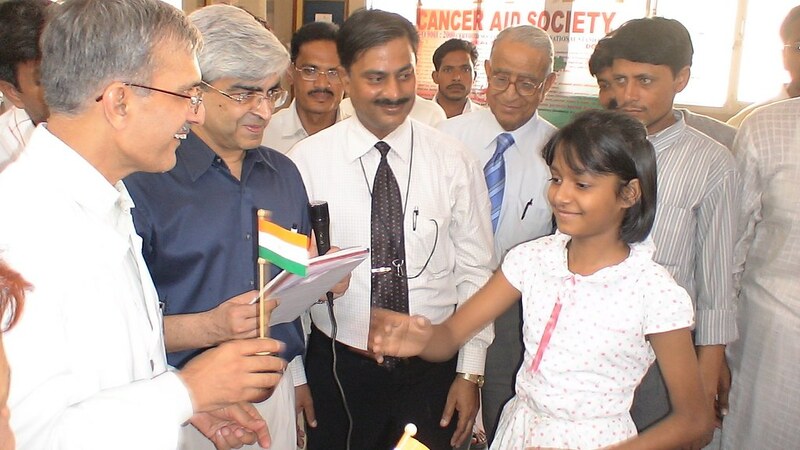 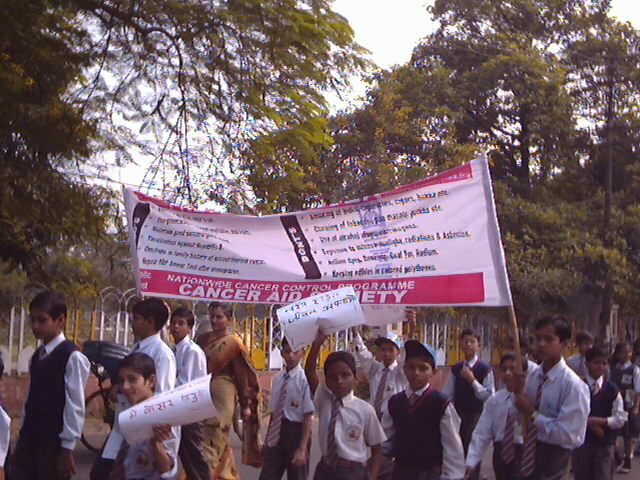 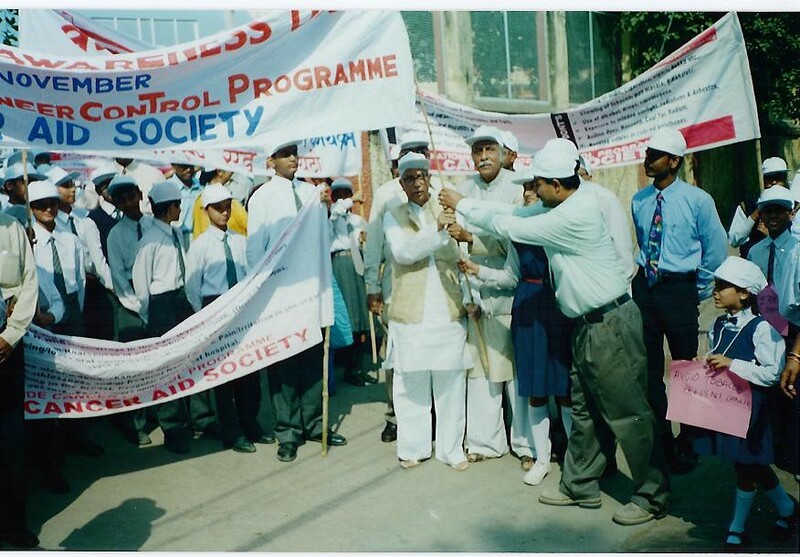 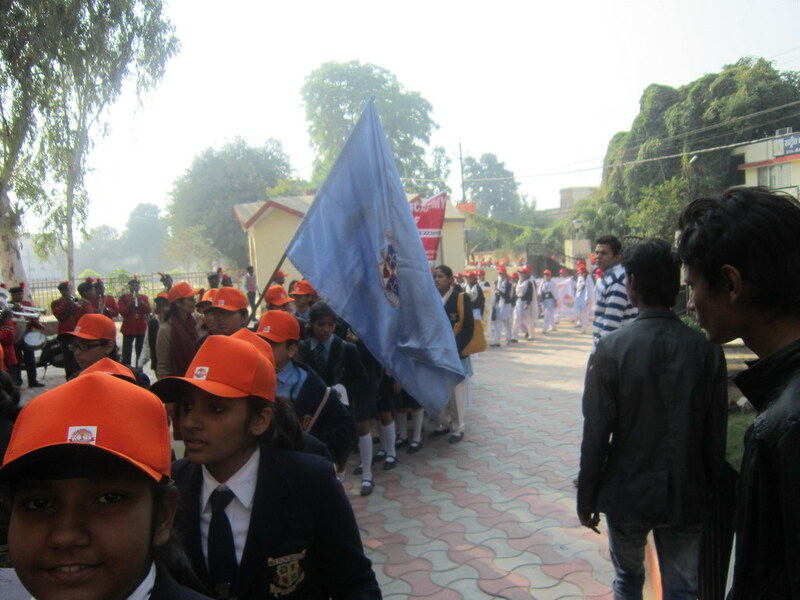 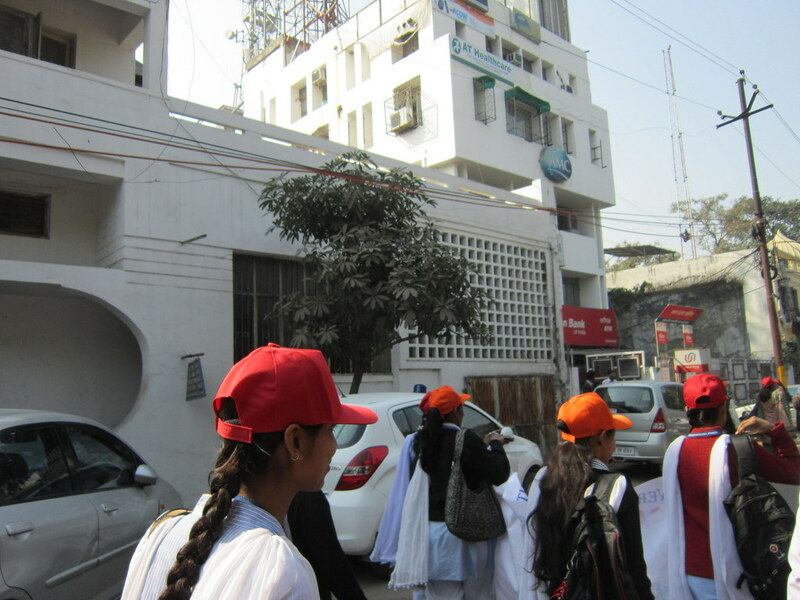 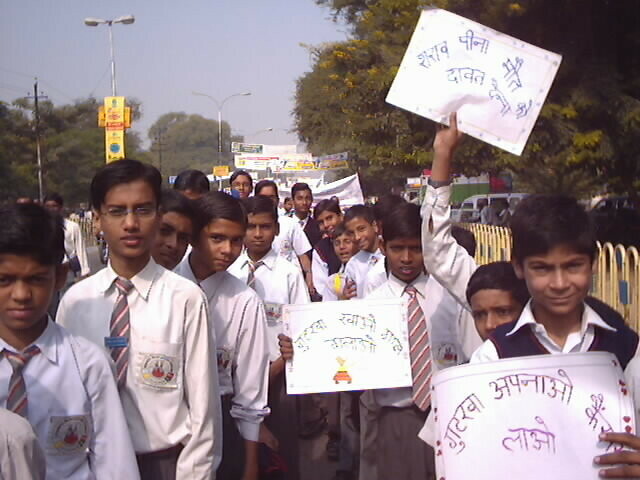 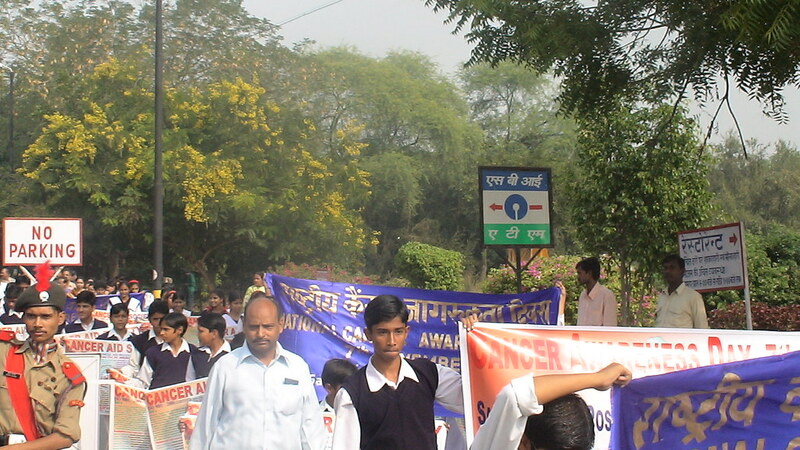 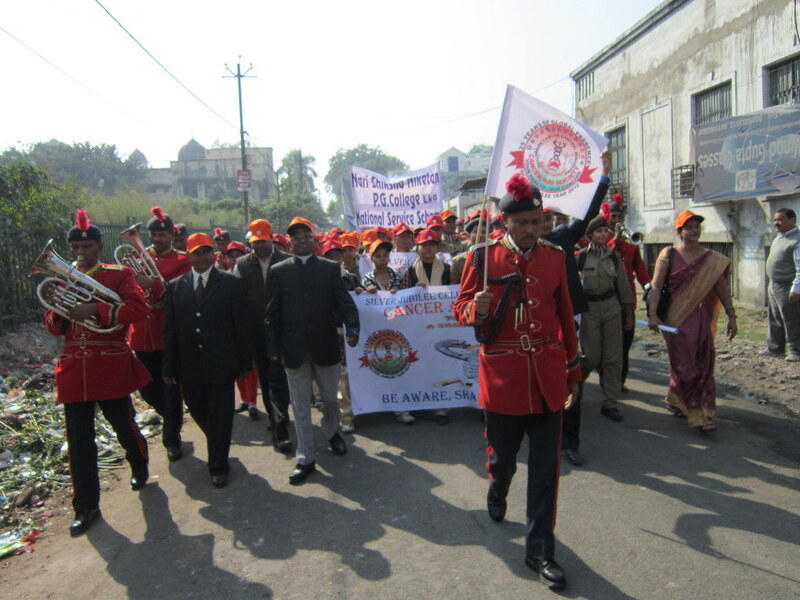 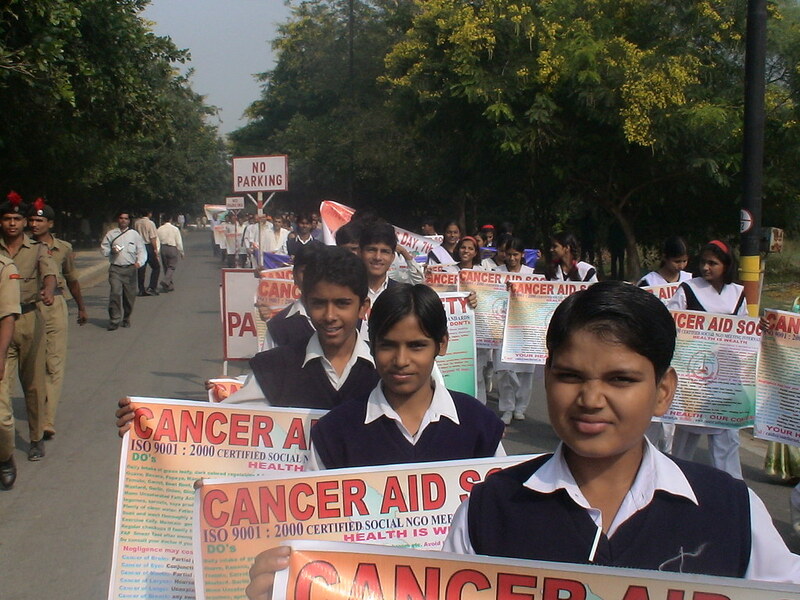 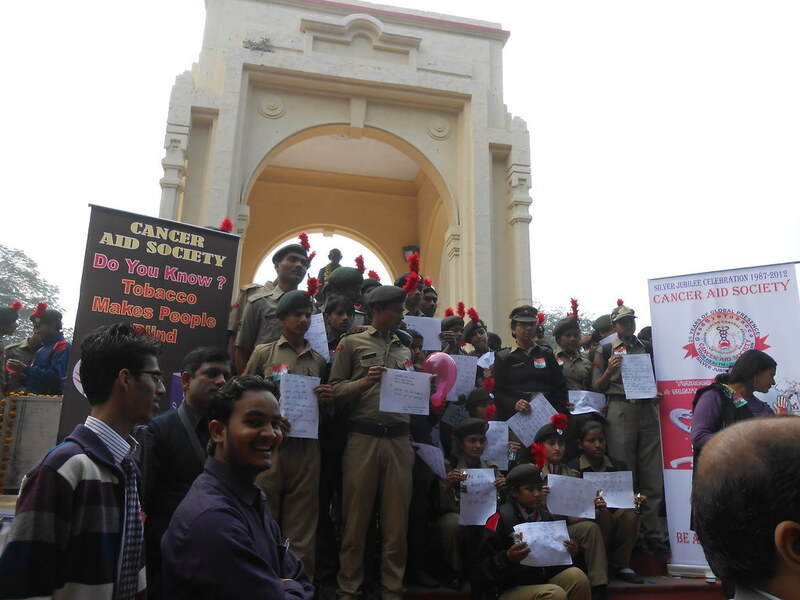 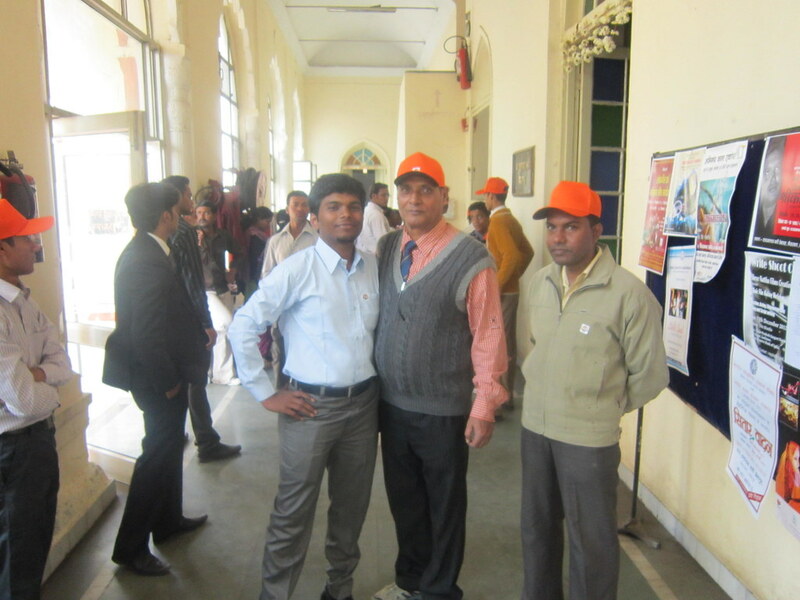 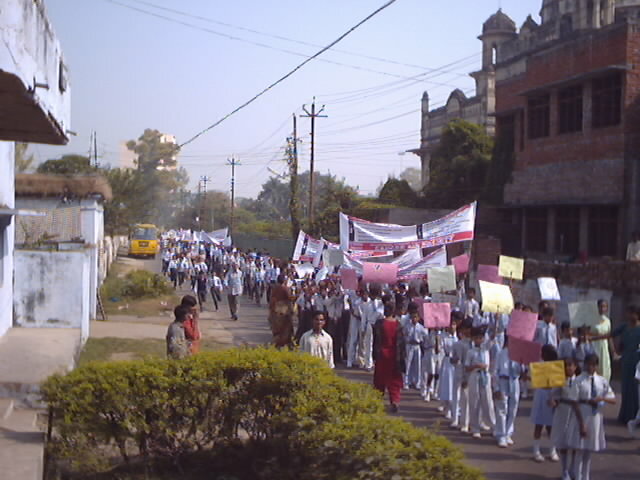 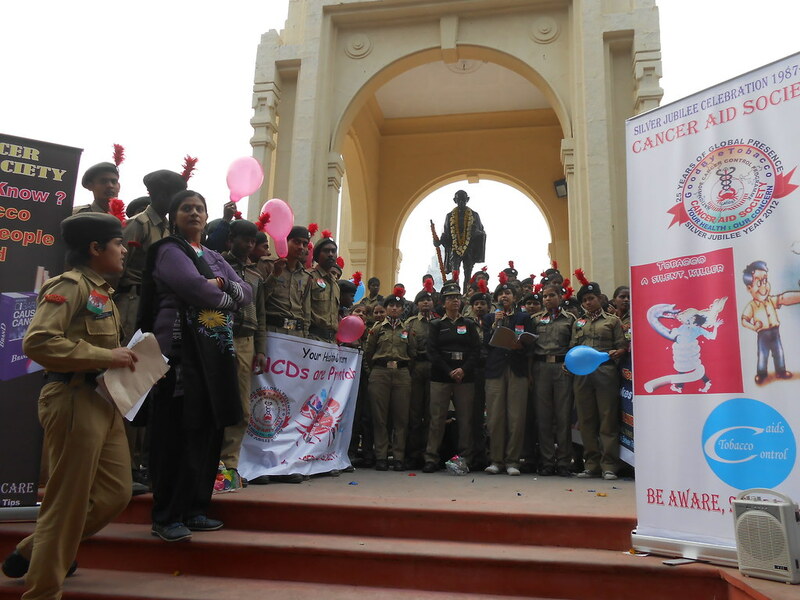 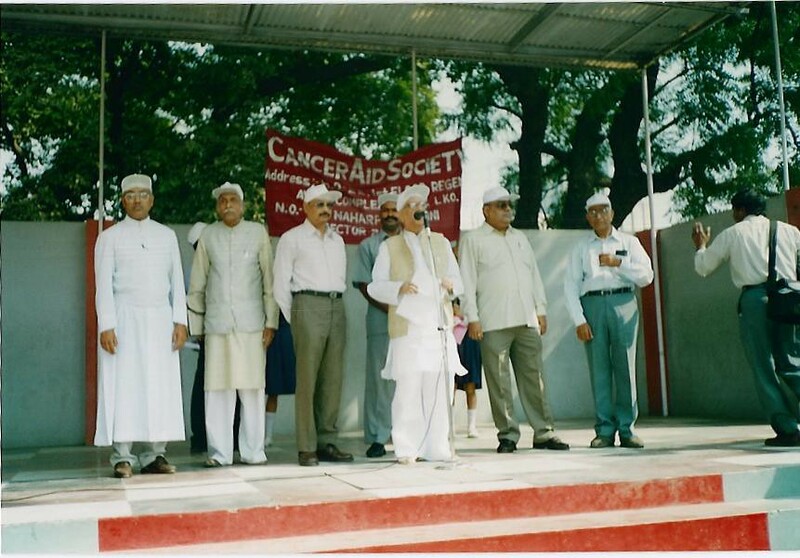 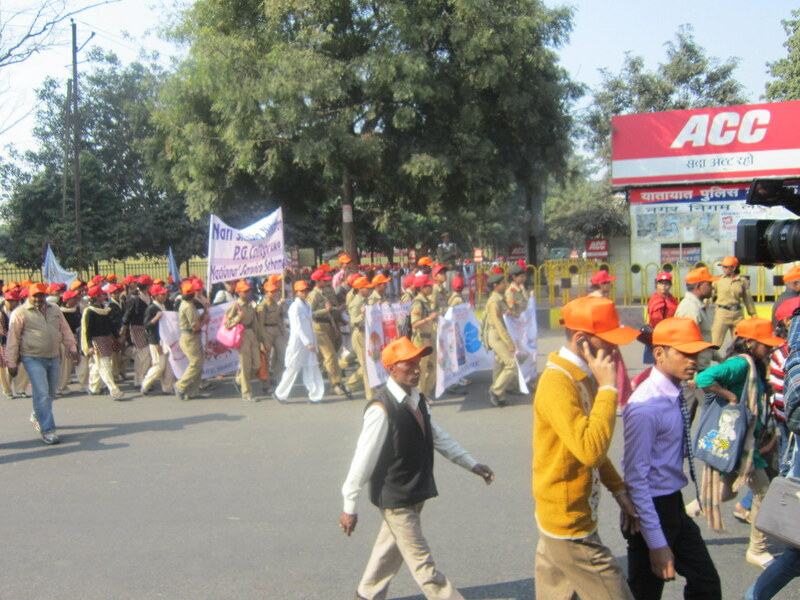 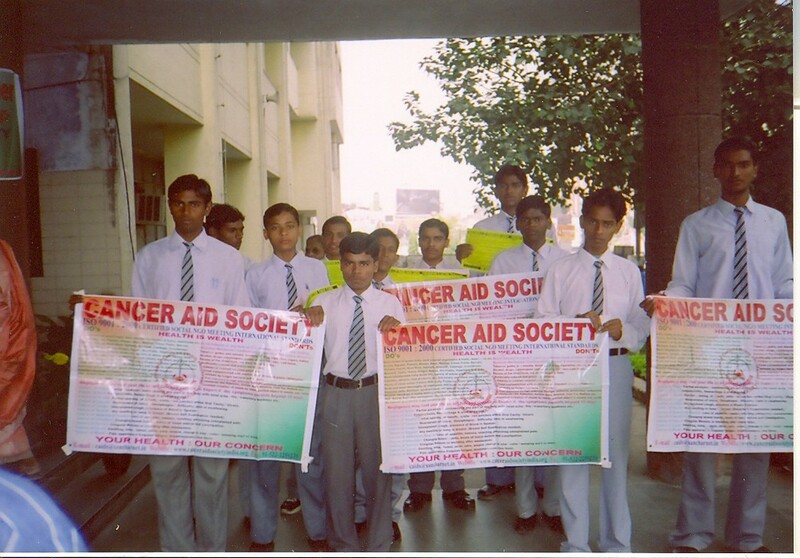 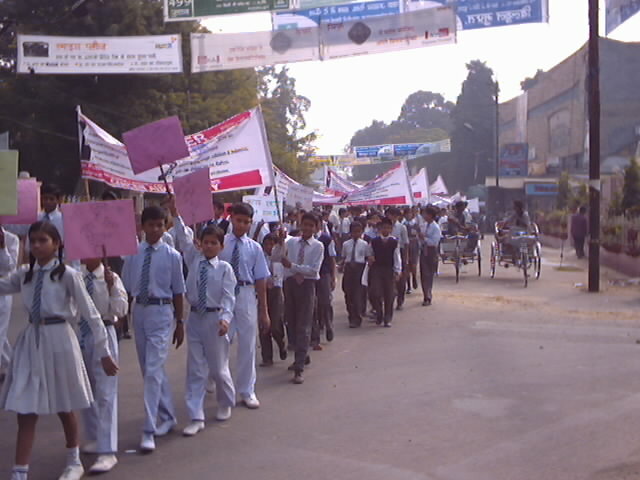 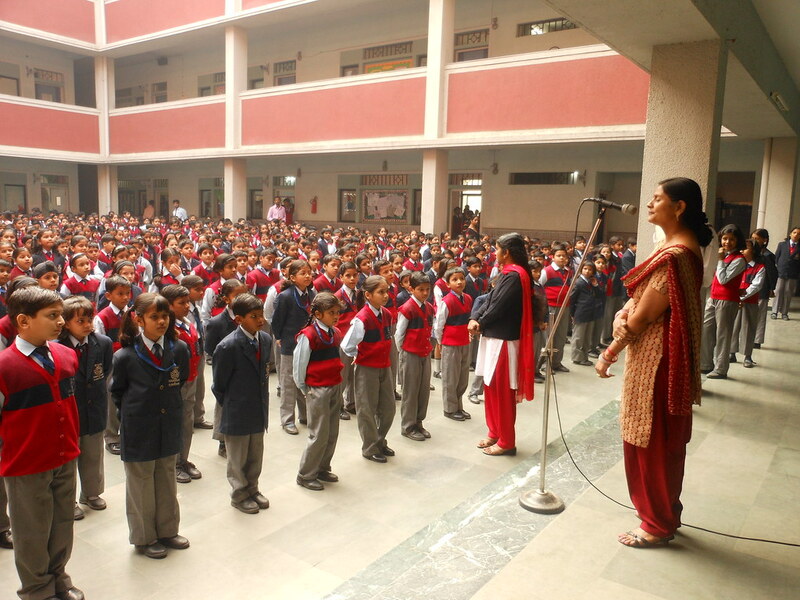 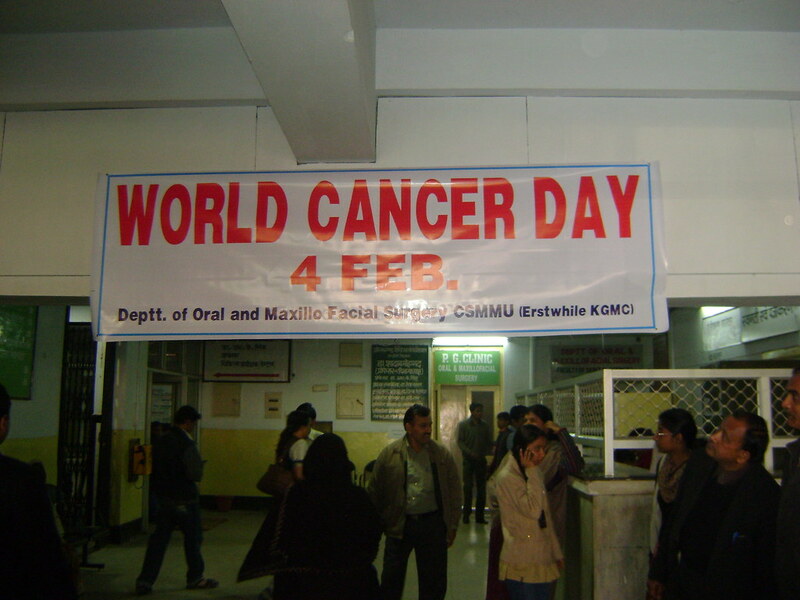 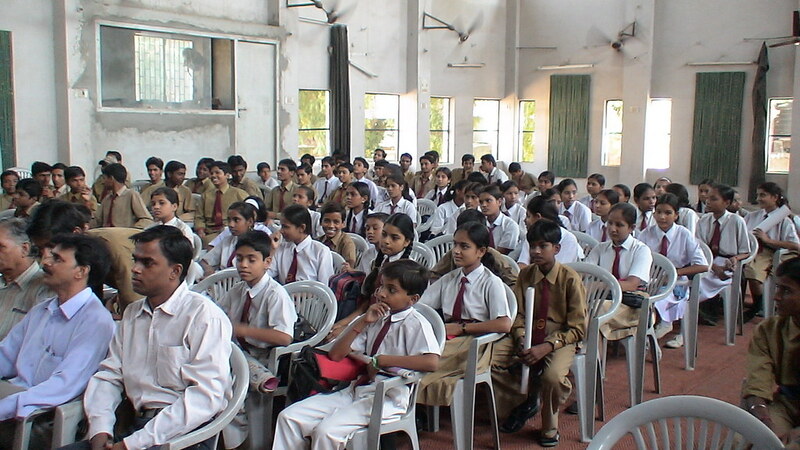 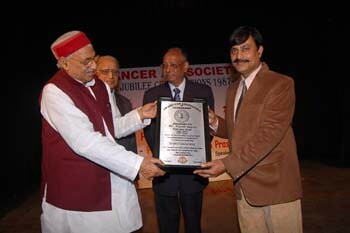 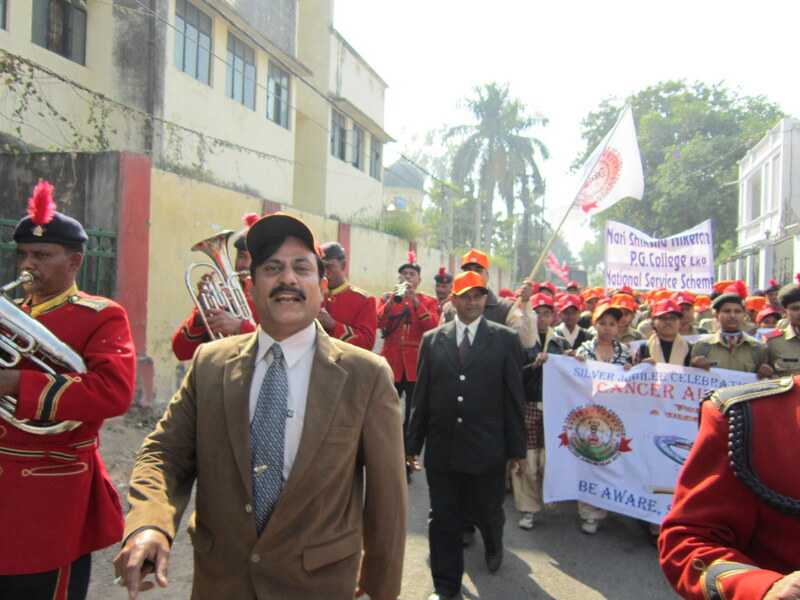 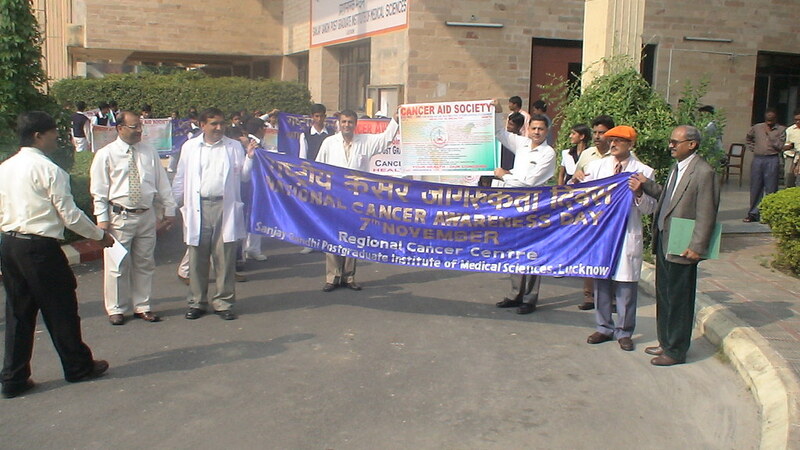 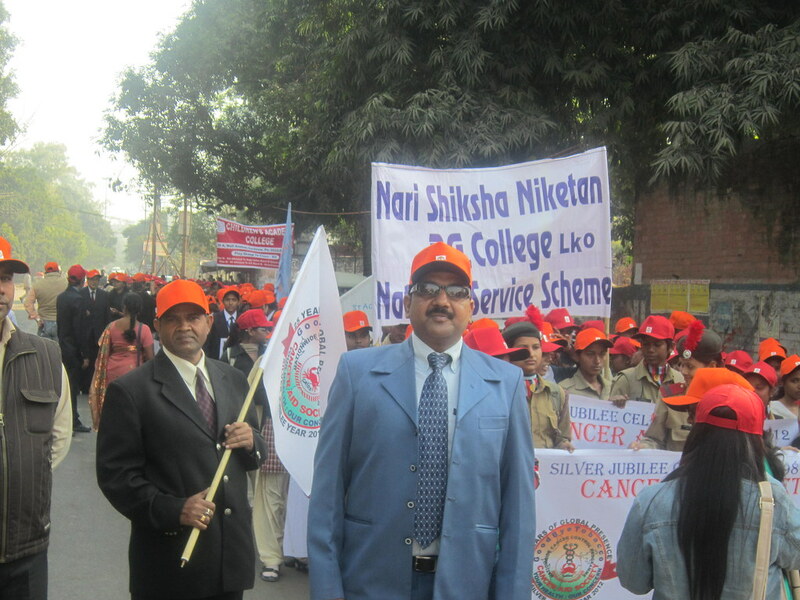 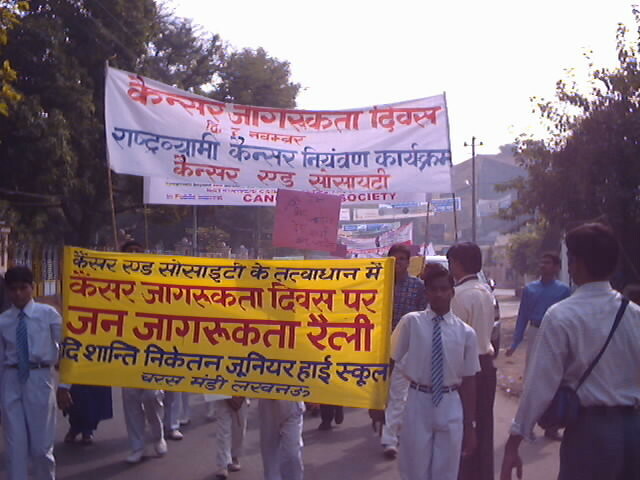 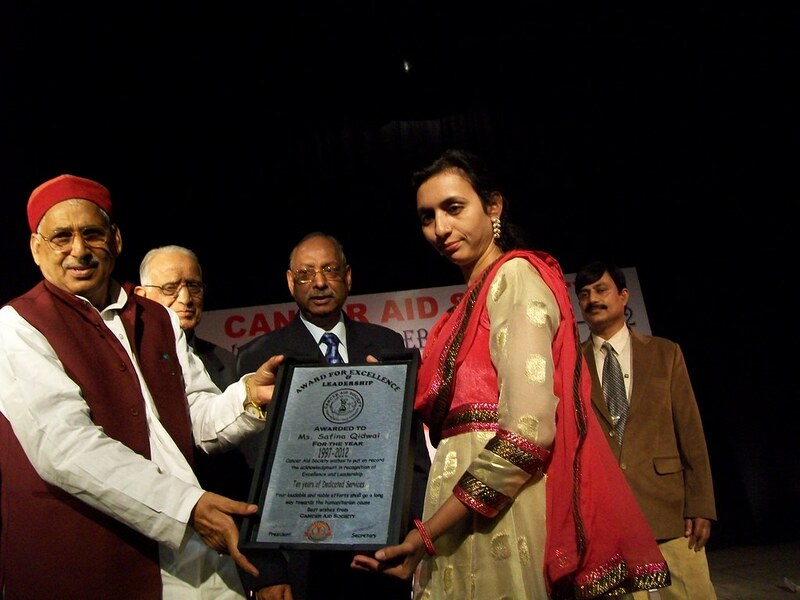 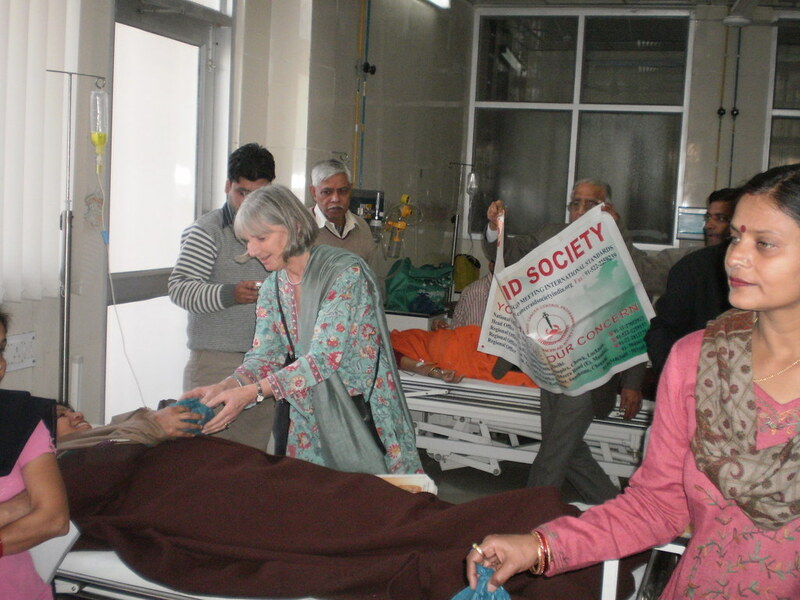 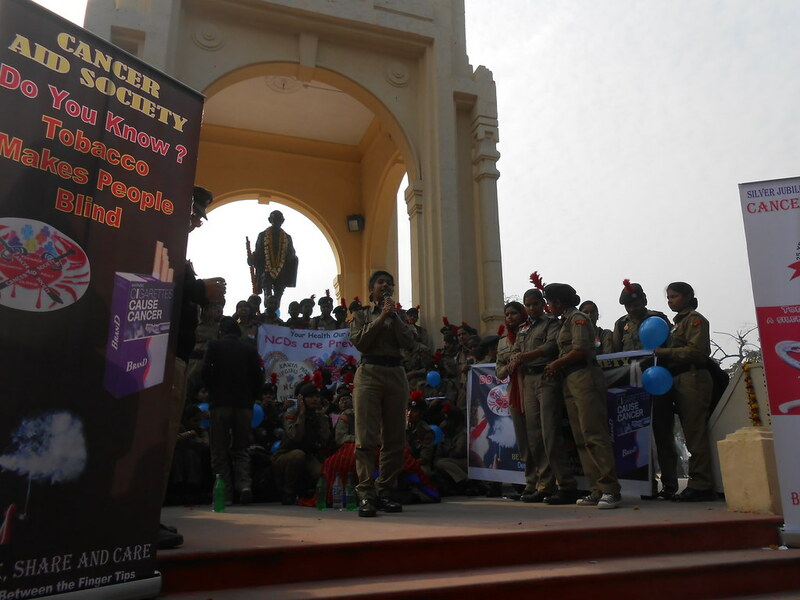 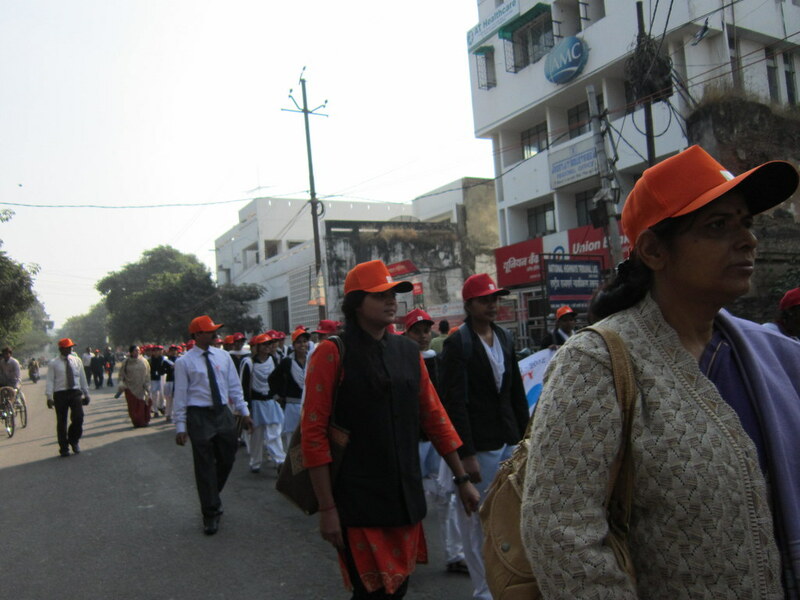 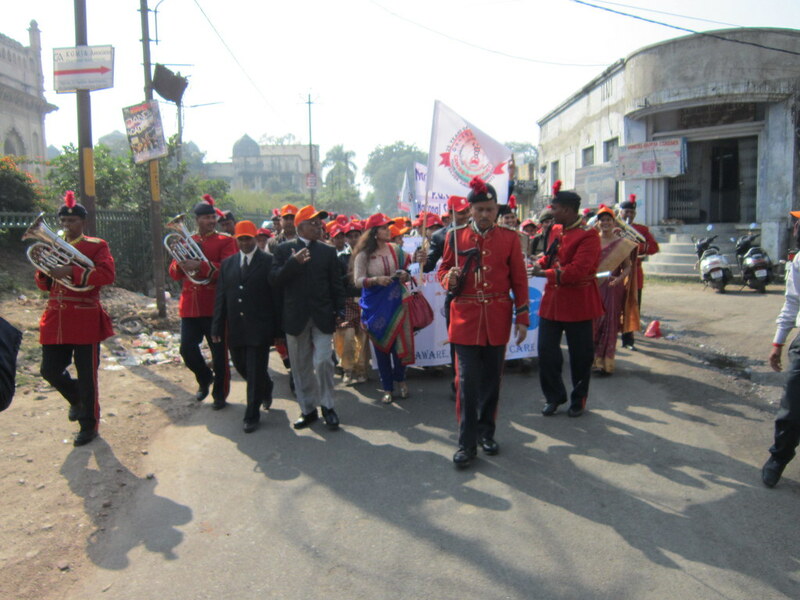 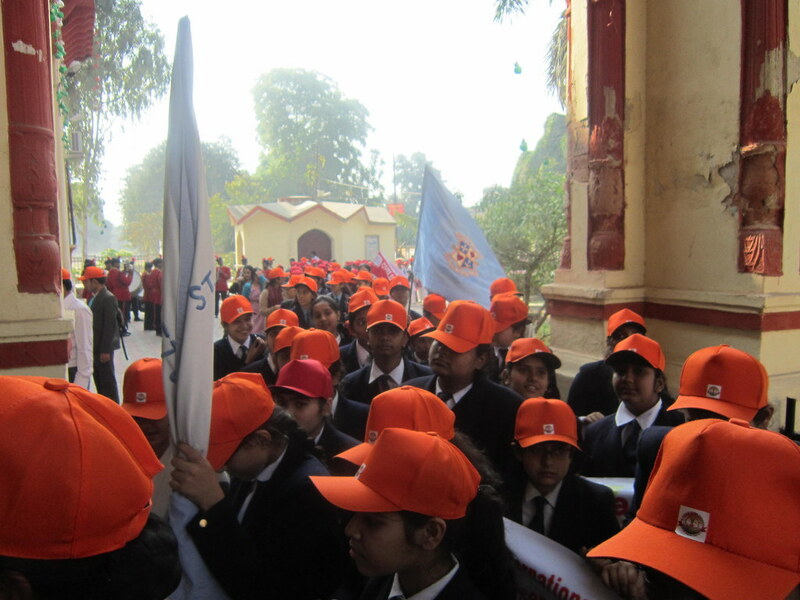 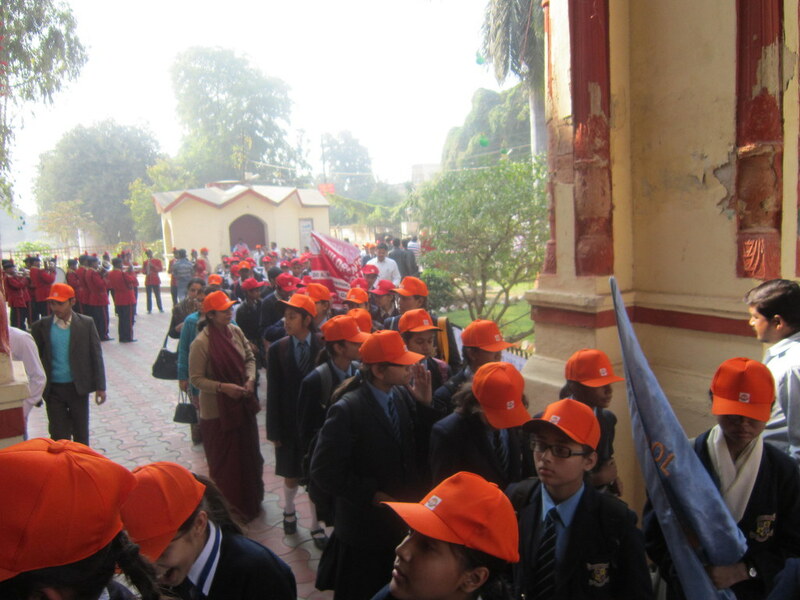 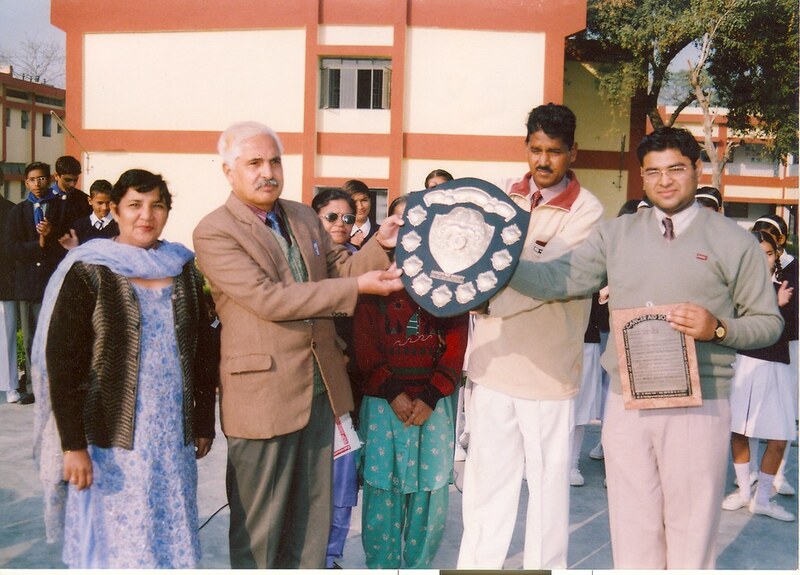 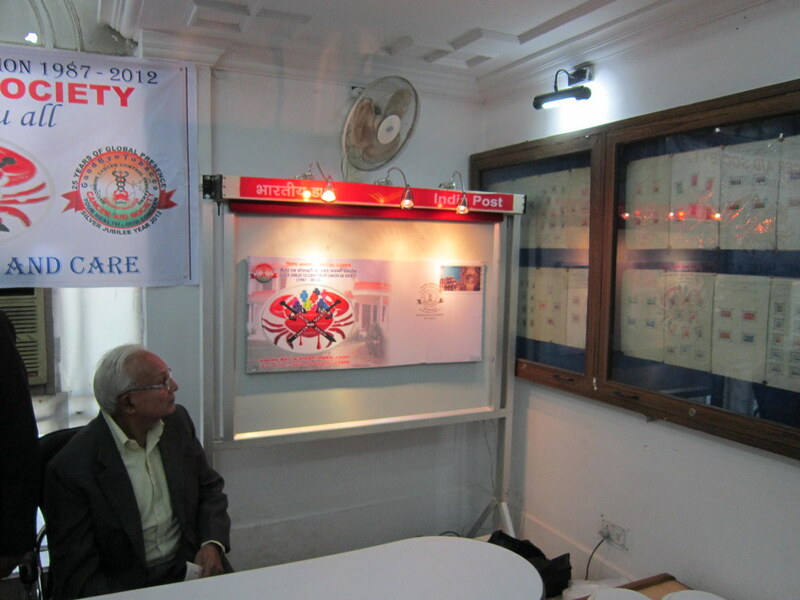 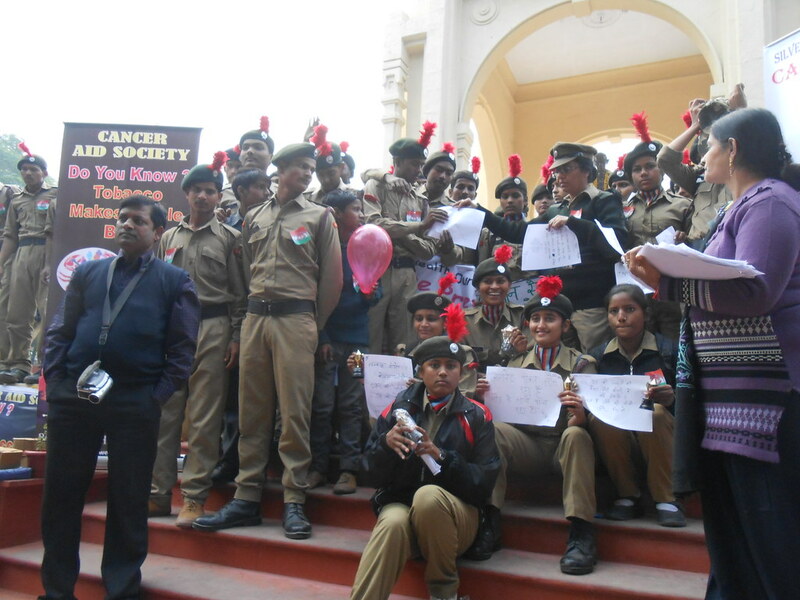 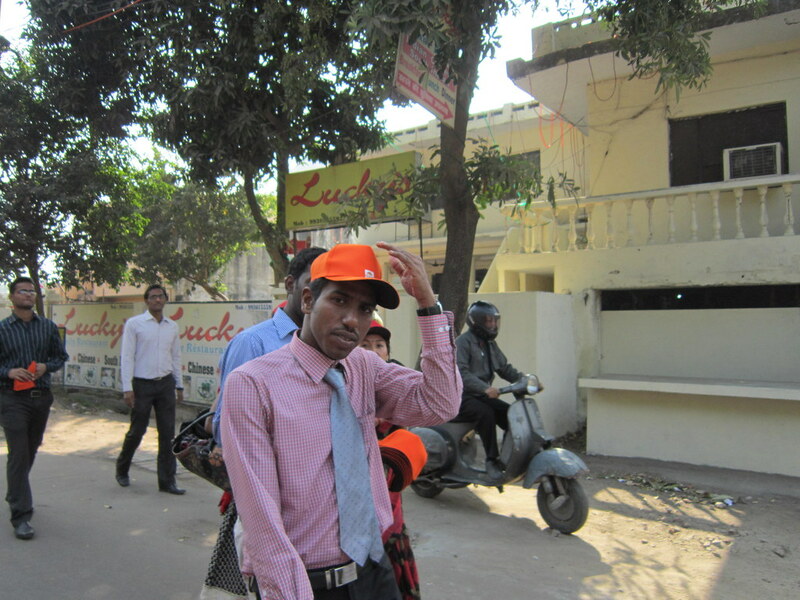 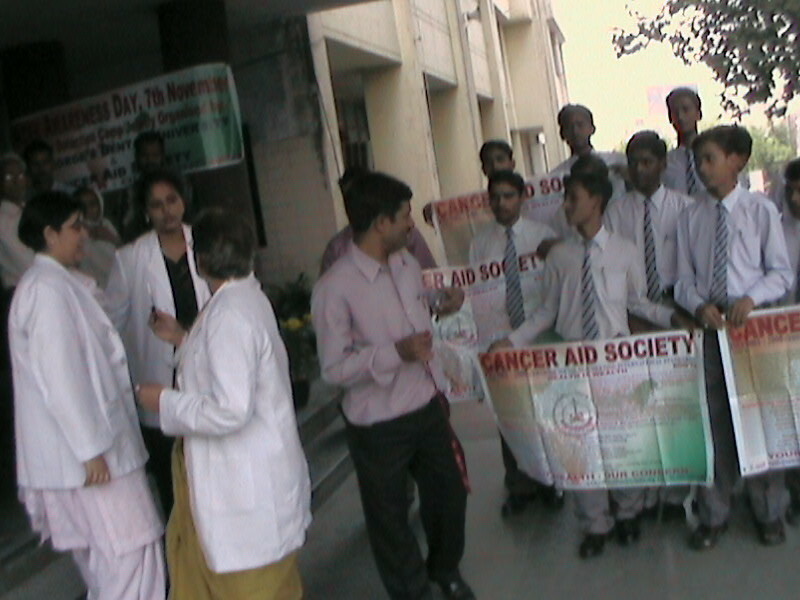 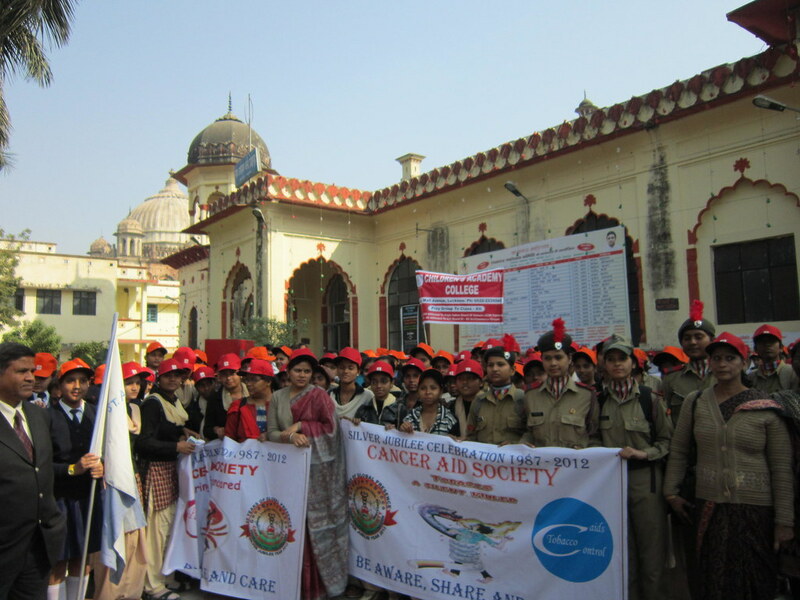 Medical College, Jhansi under the auspices of American Cancer Society. 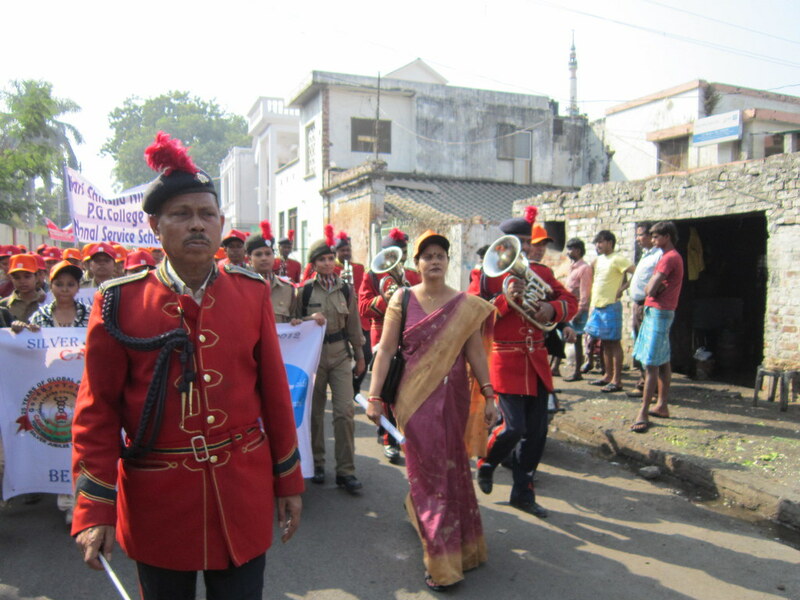 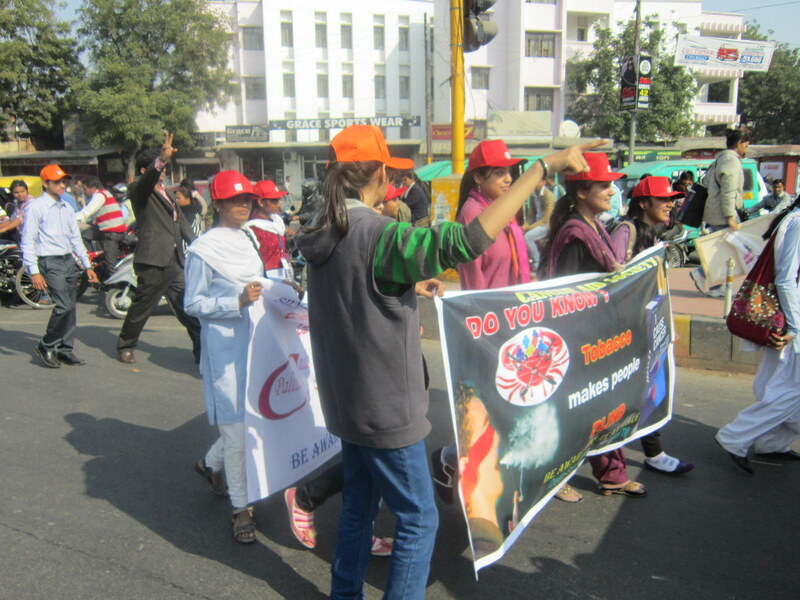 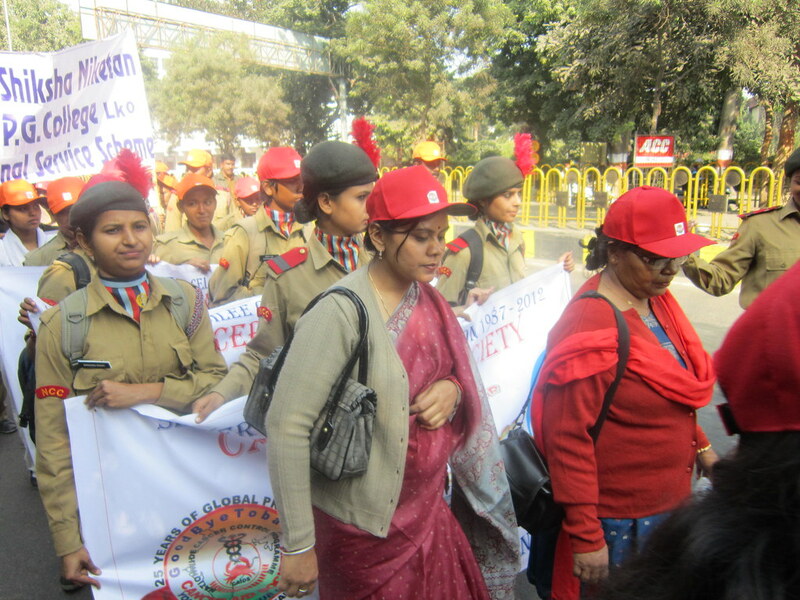 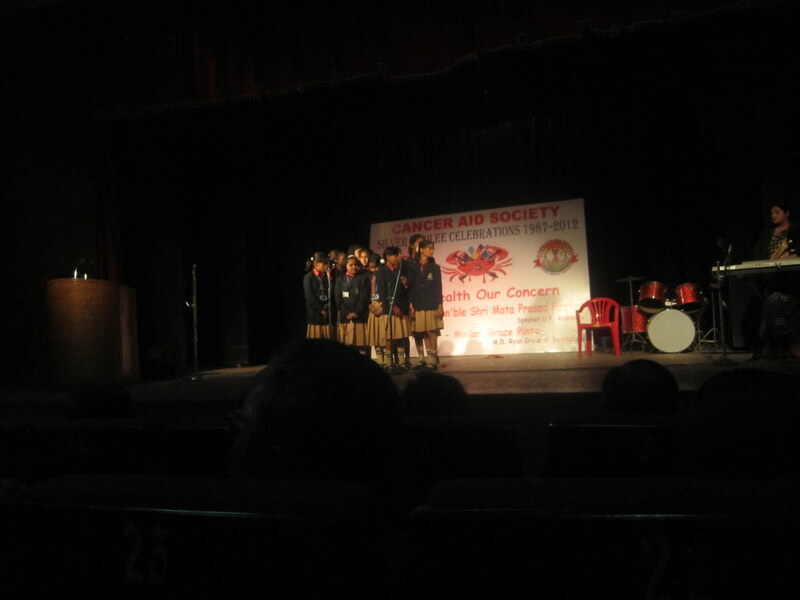 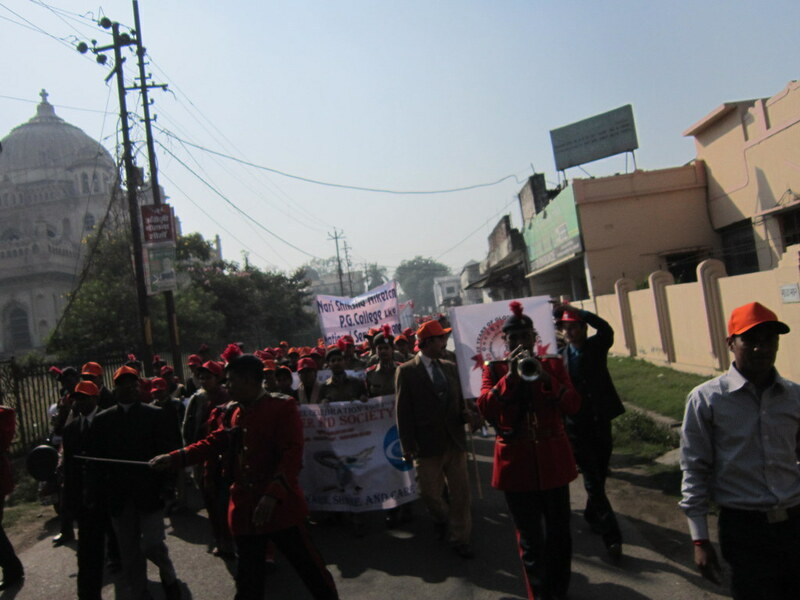 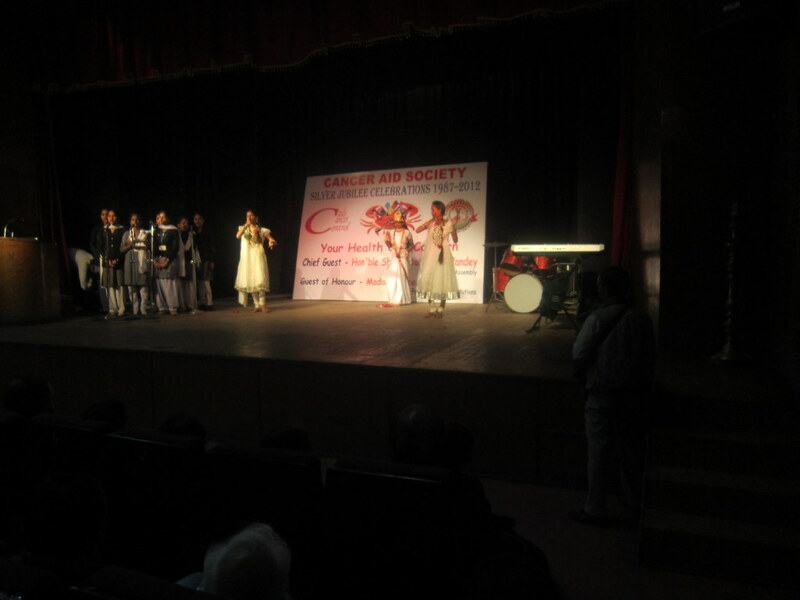 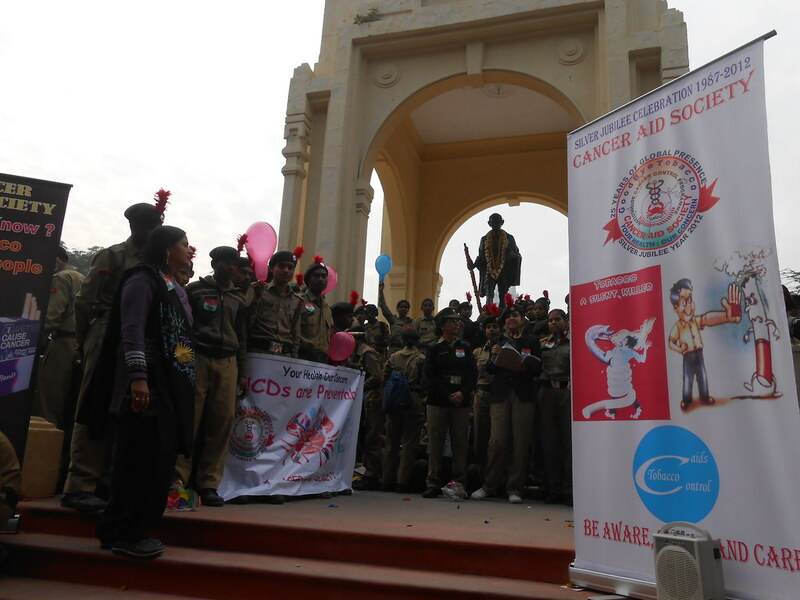 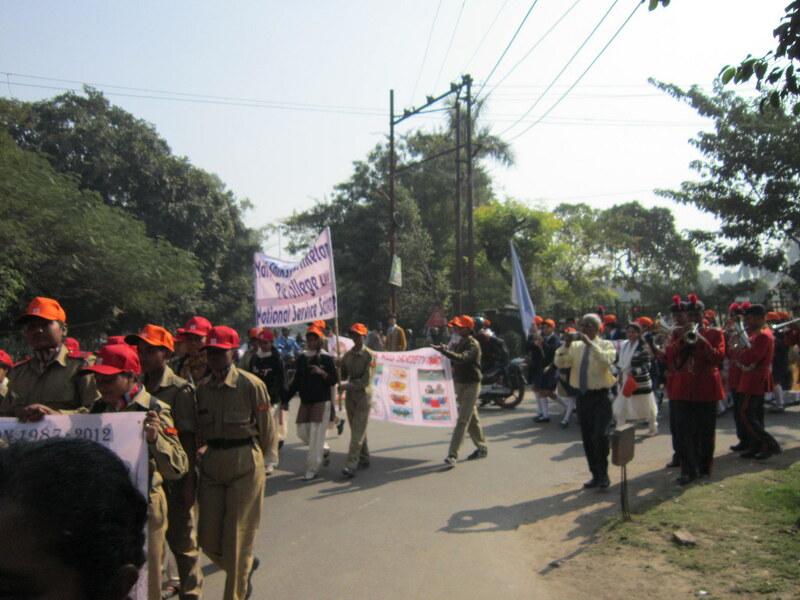 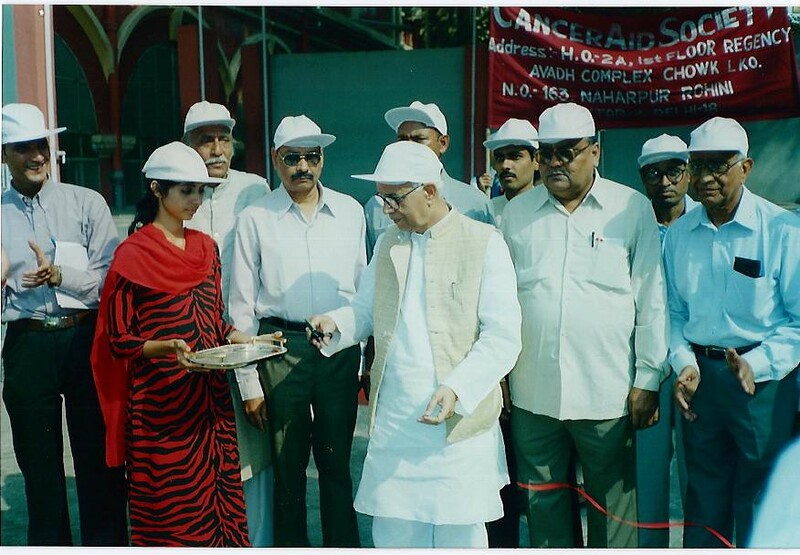 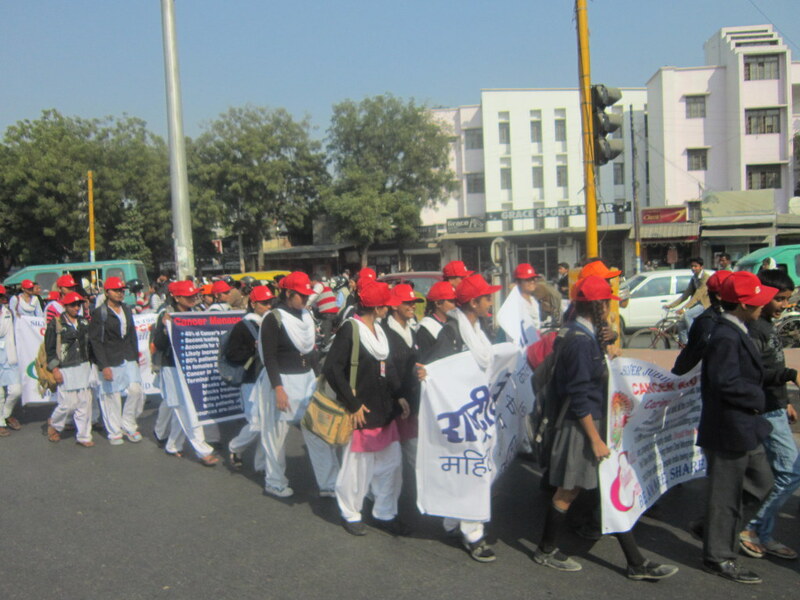 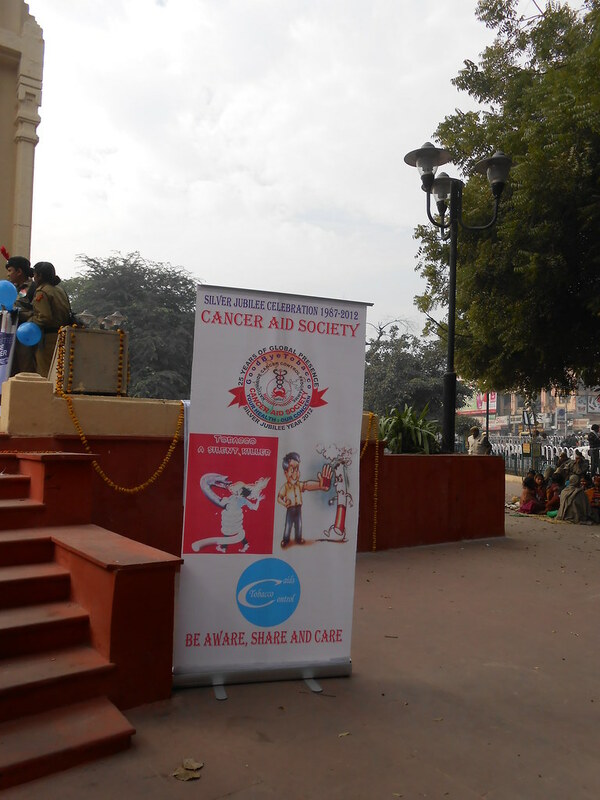 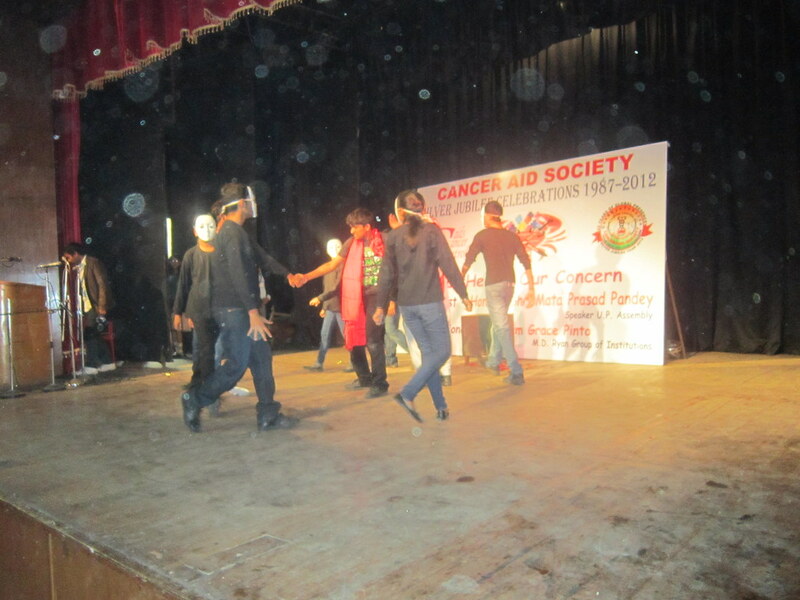 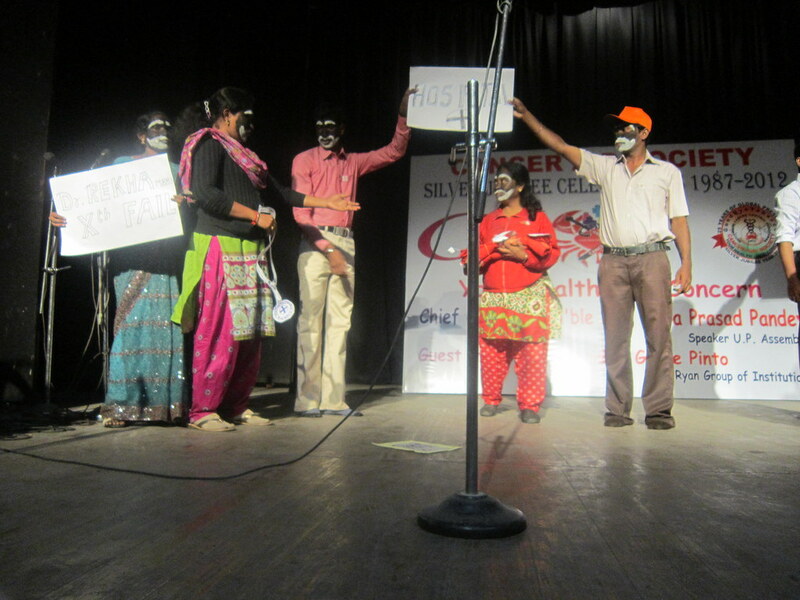 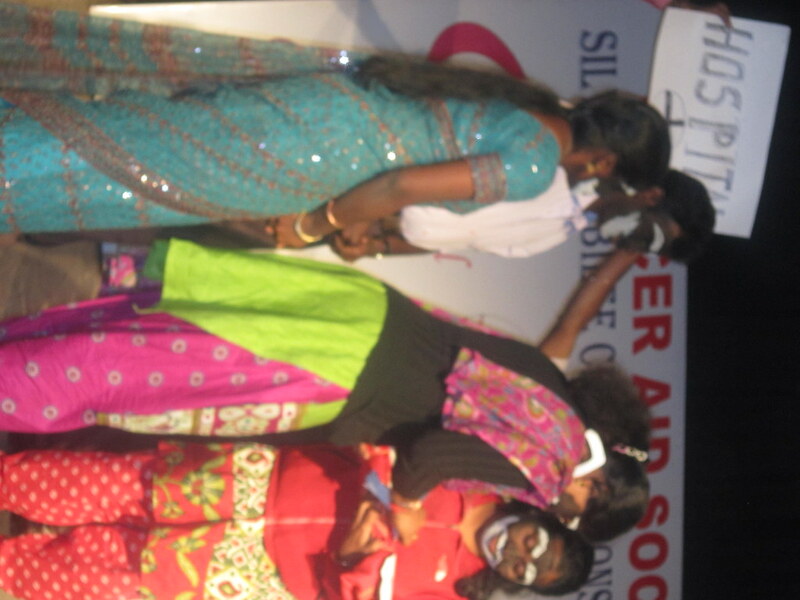 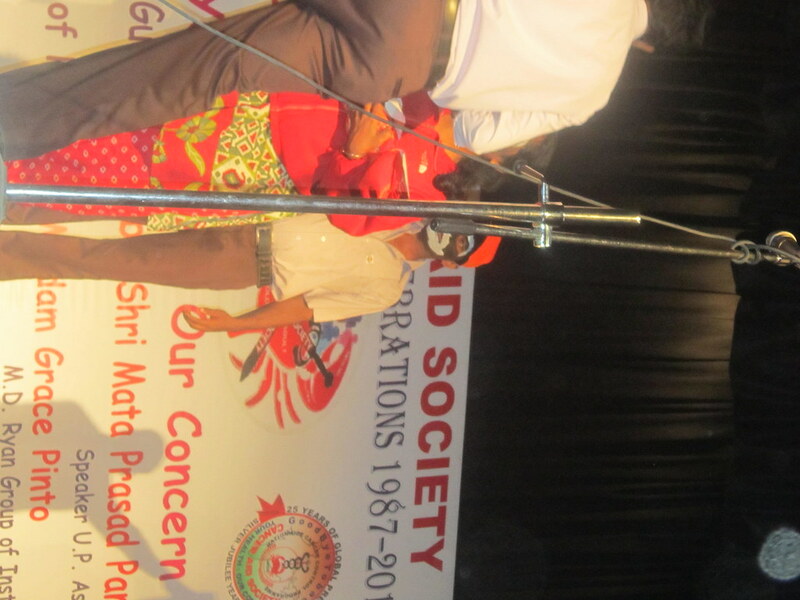 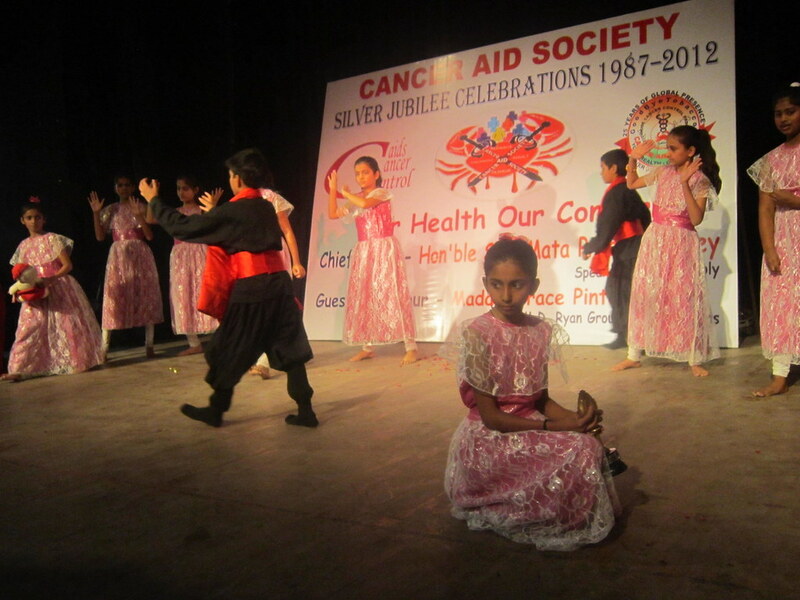 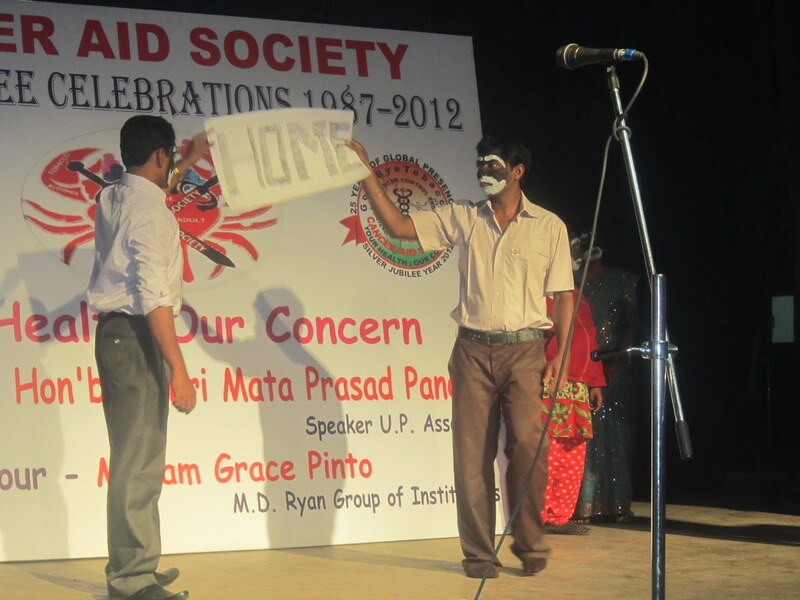 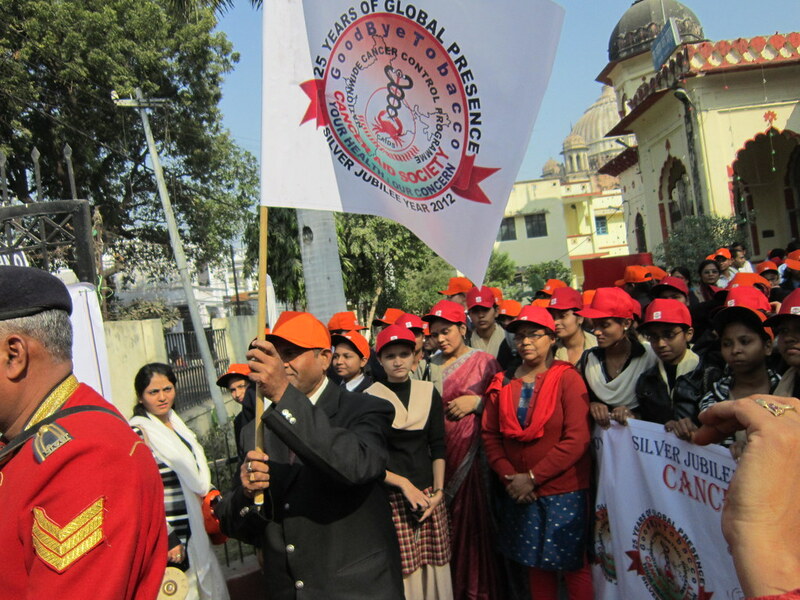 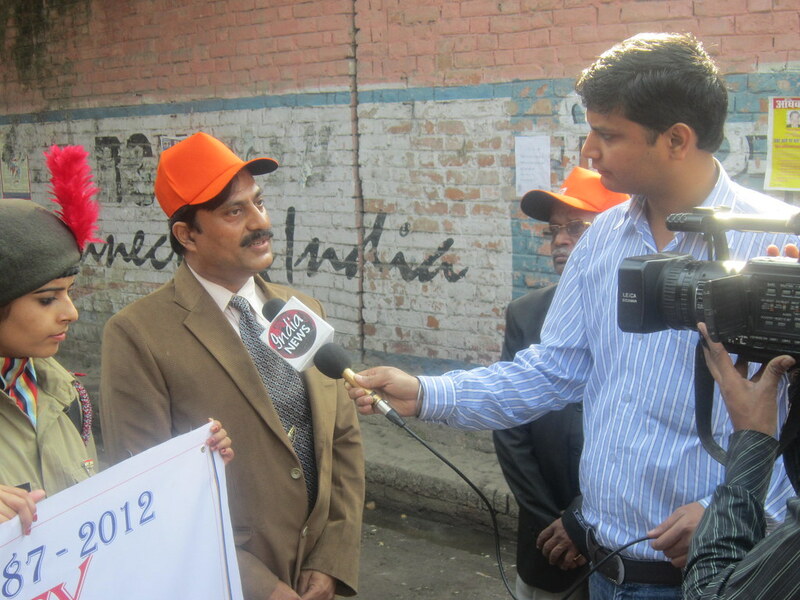 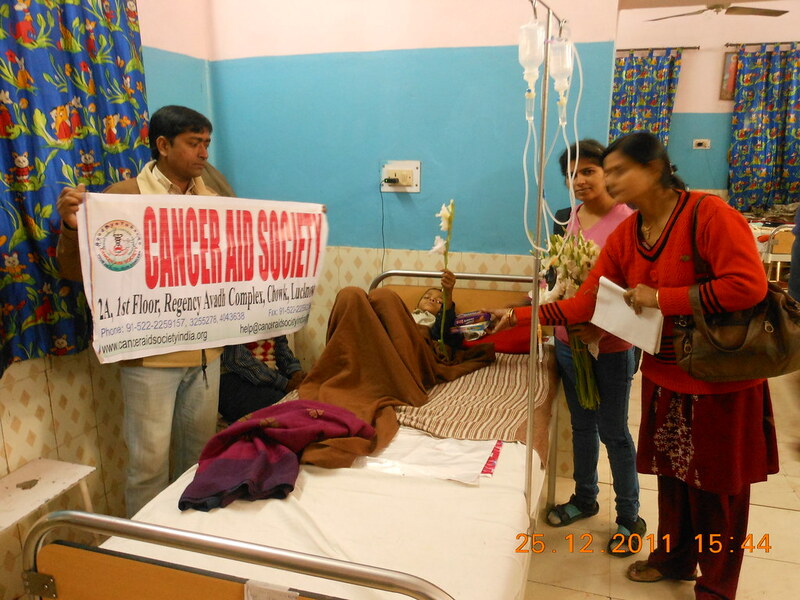 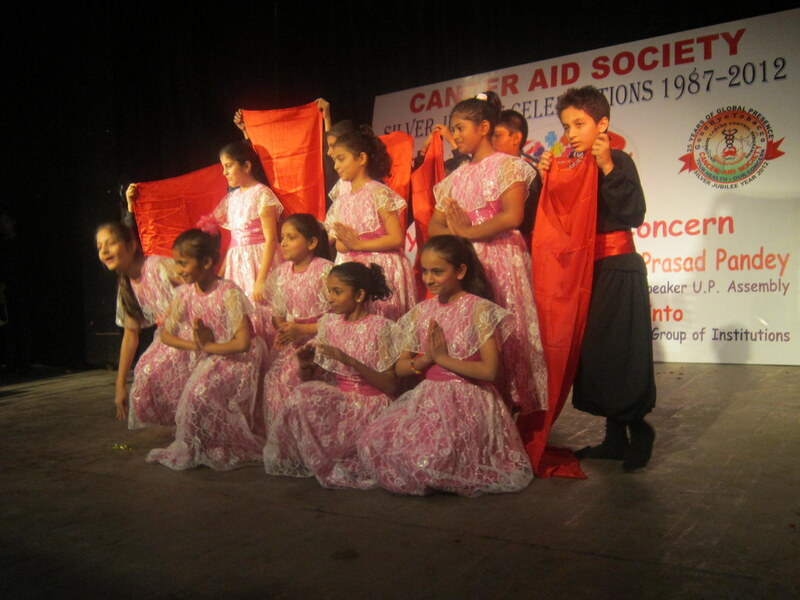 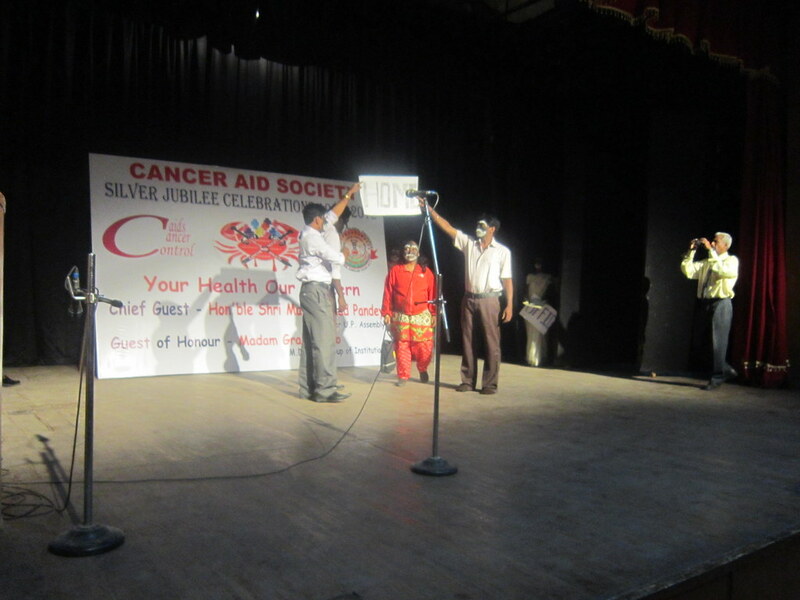 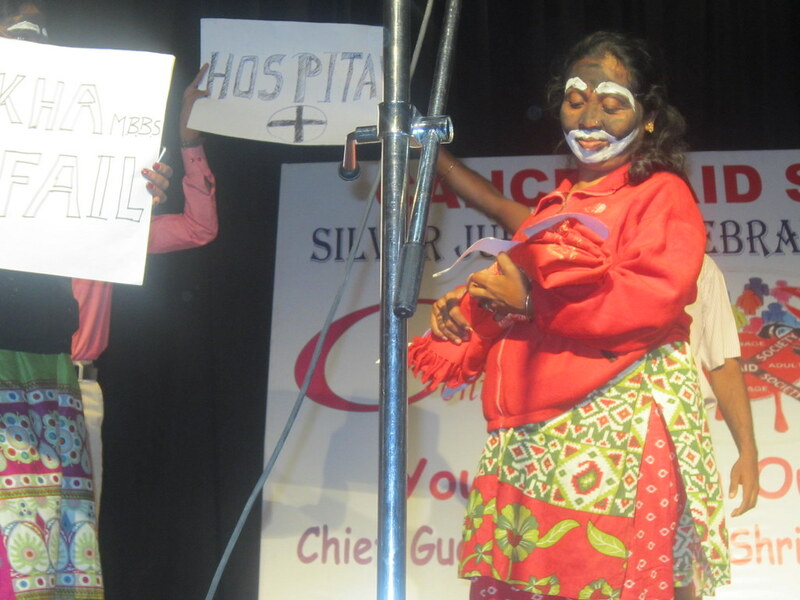 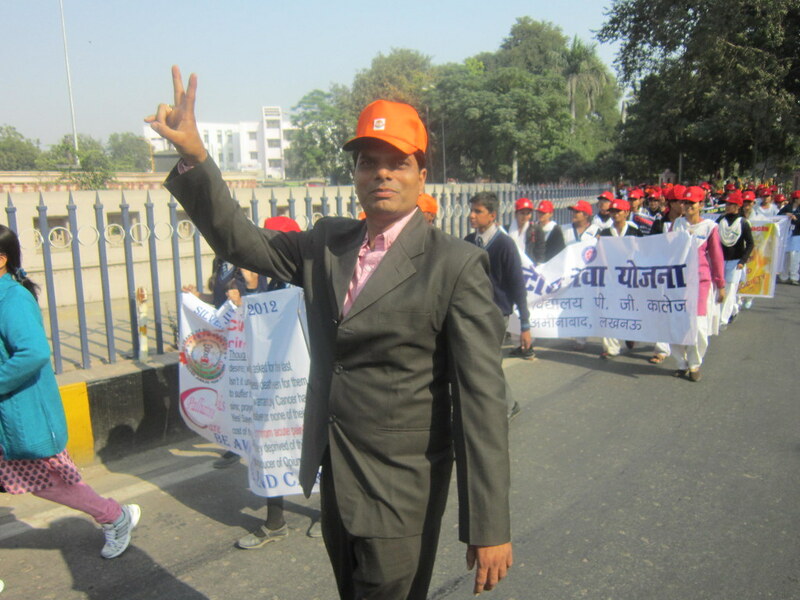 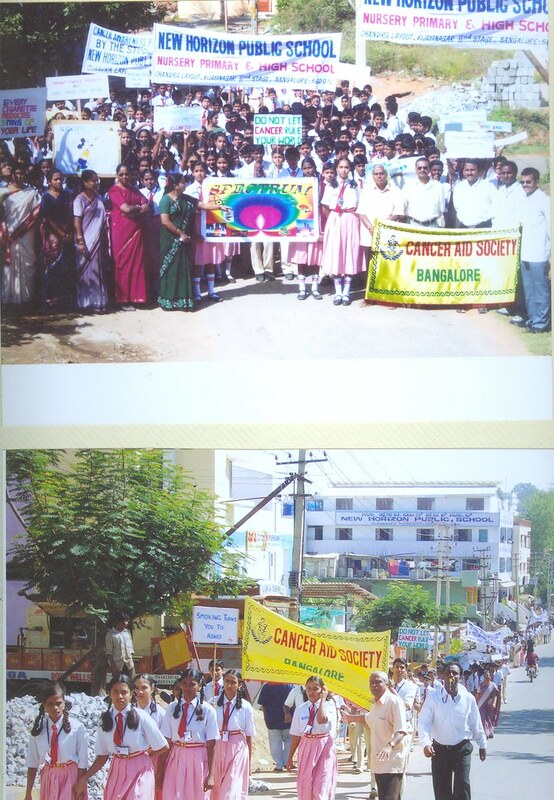 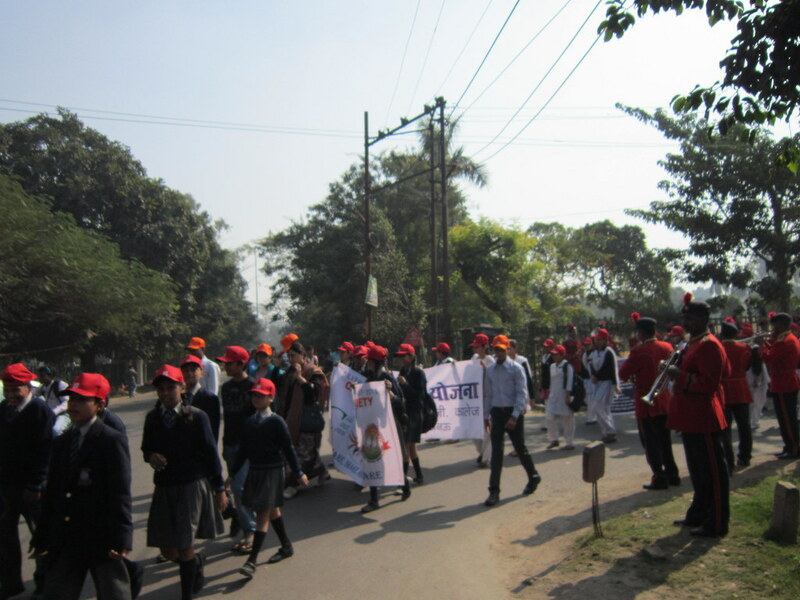 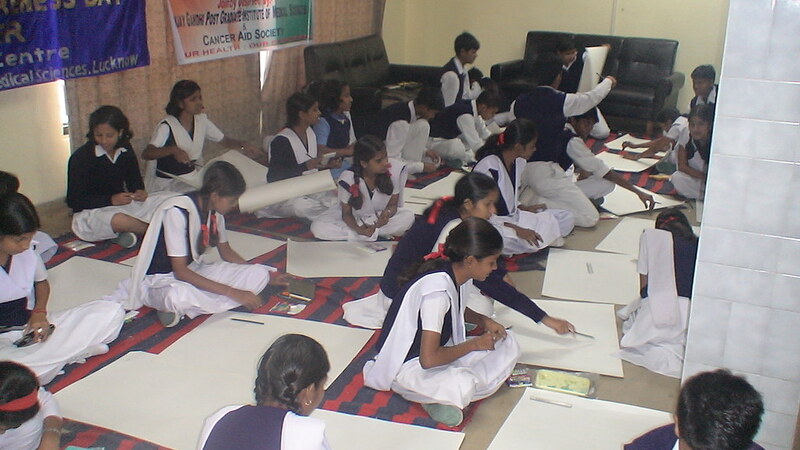 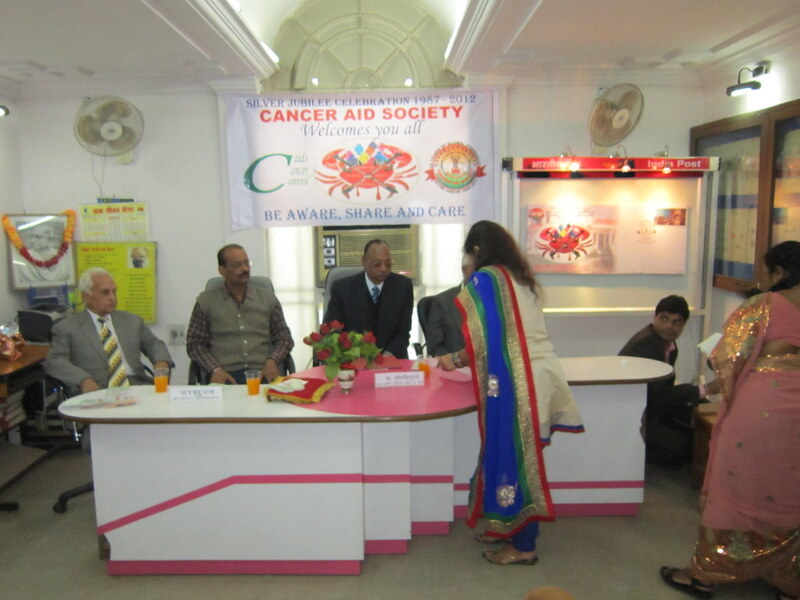 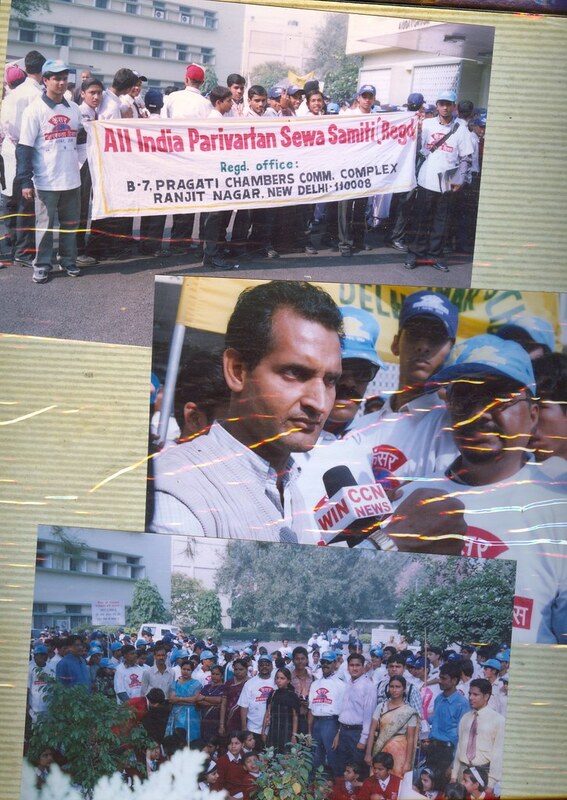 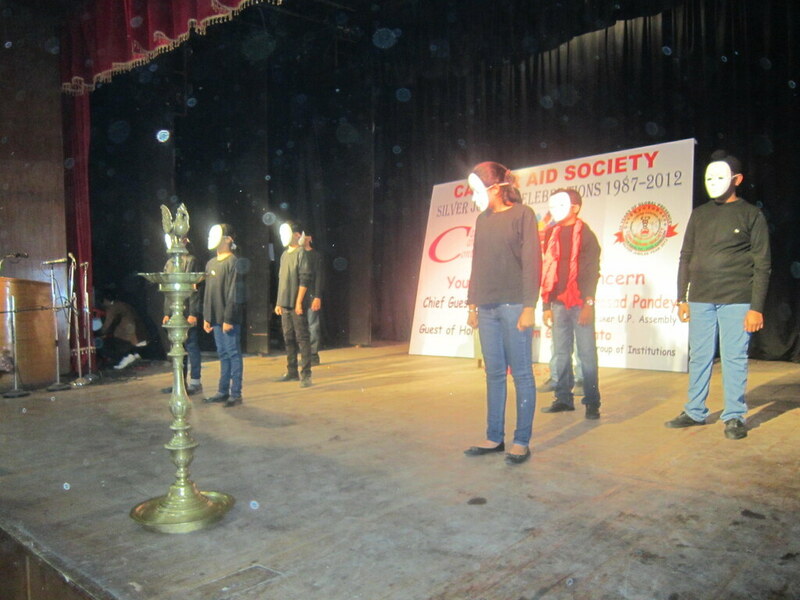 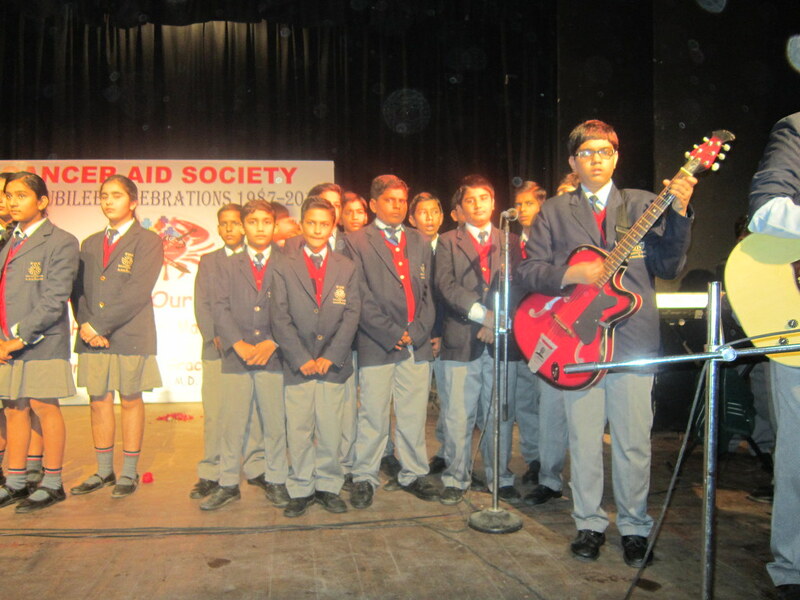 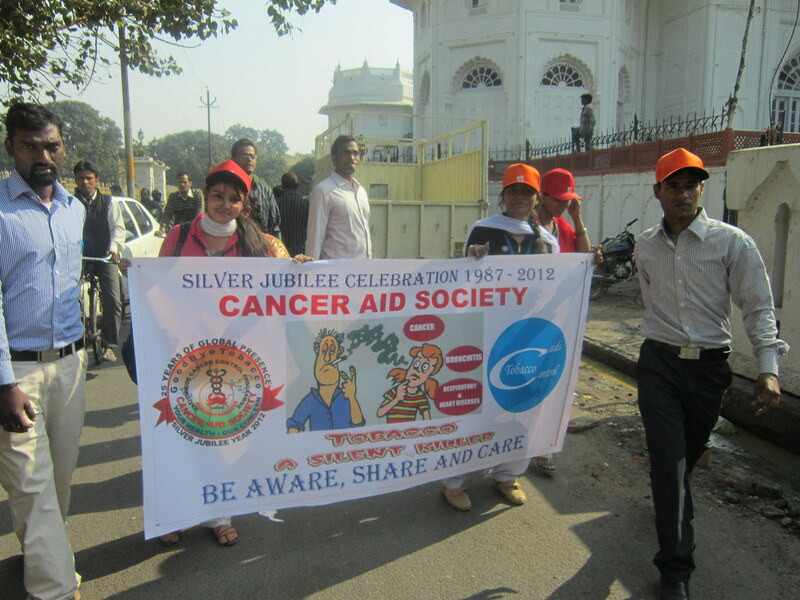 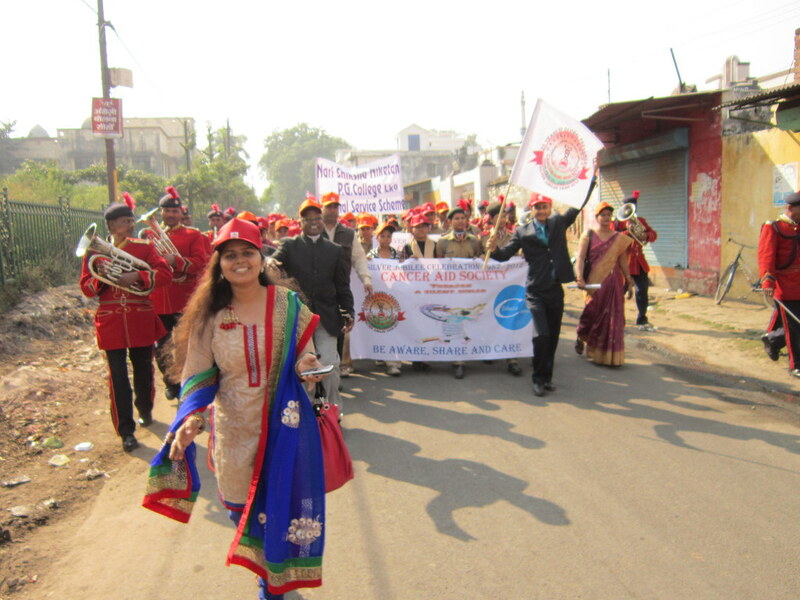 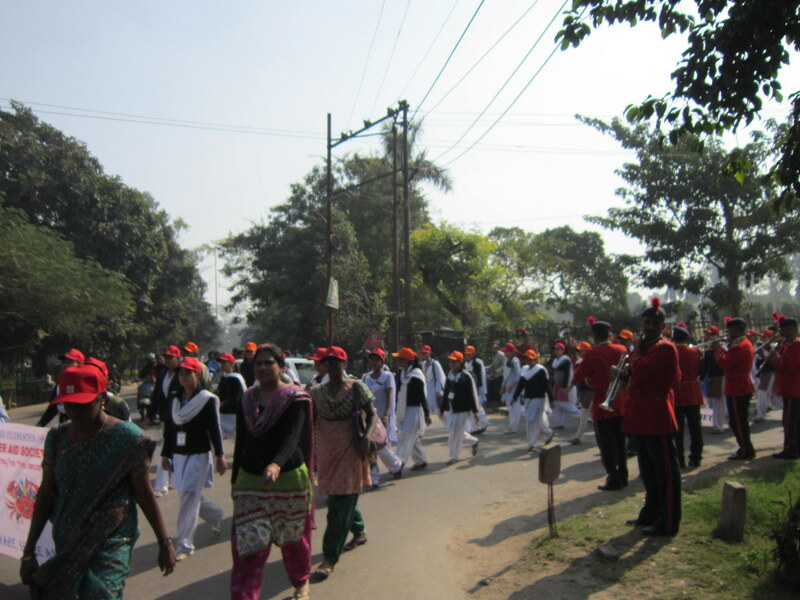 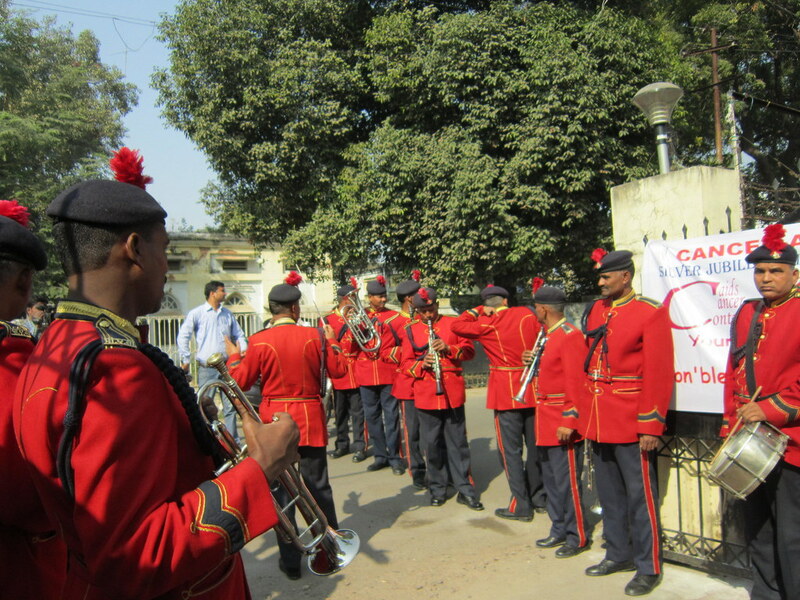 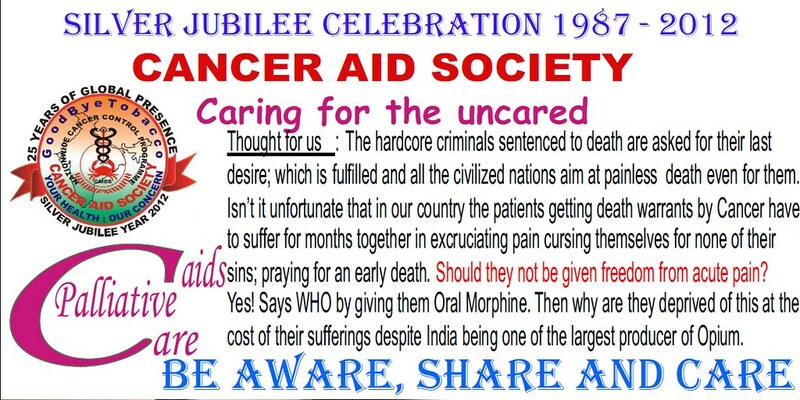 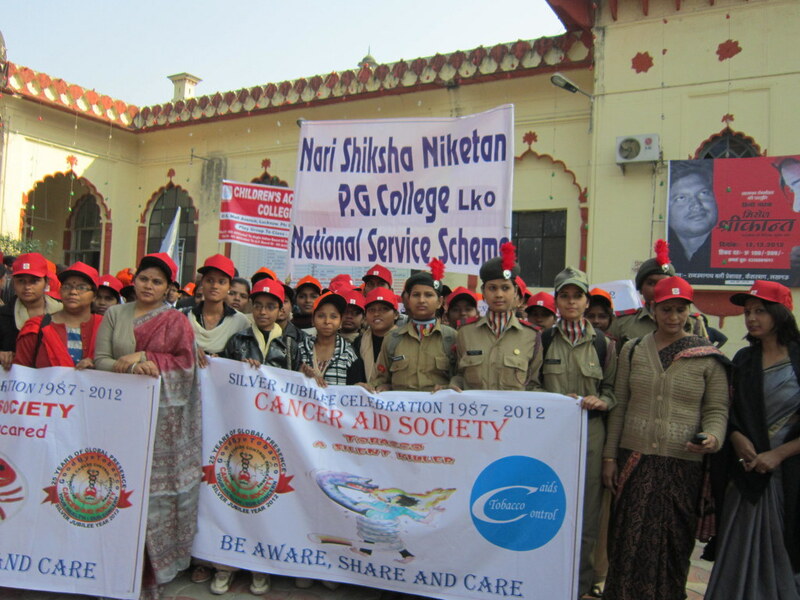 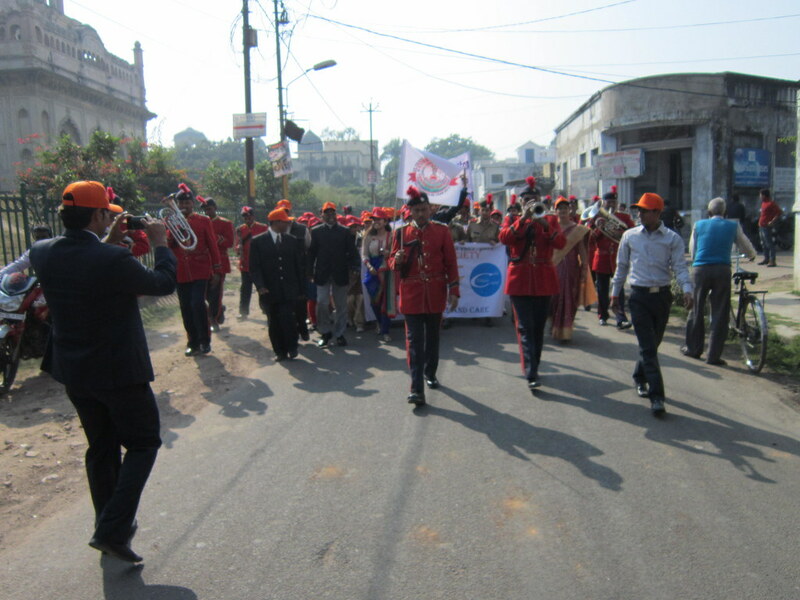 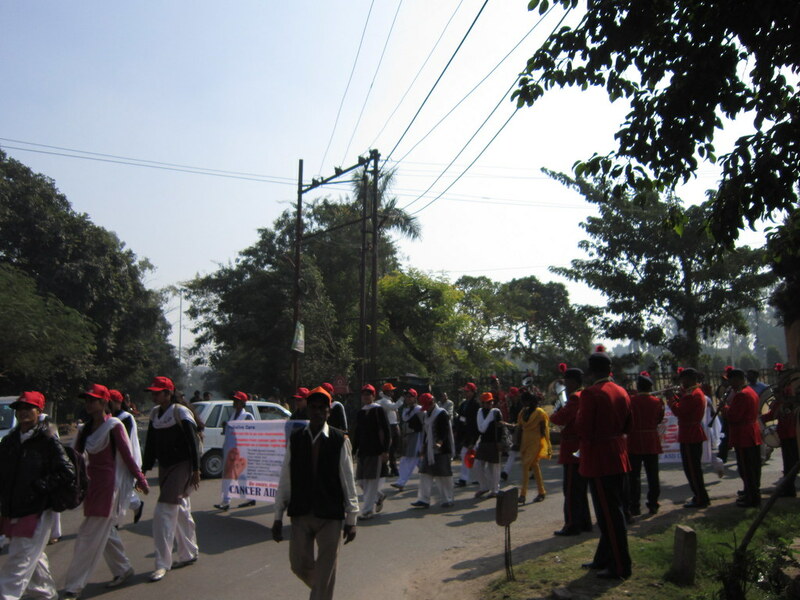 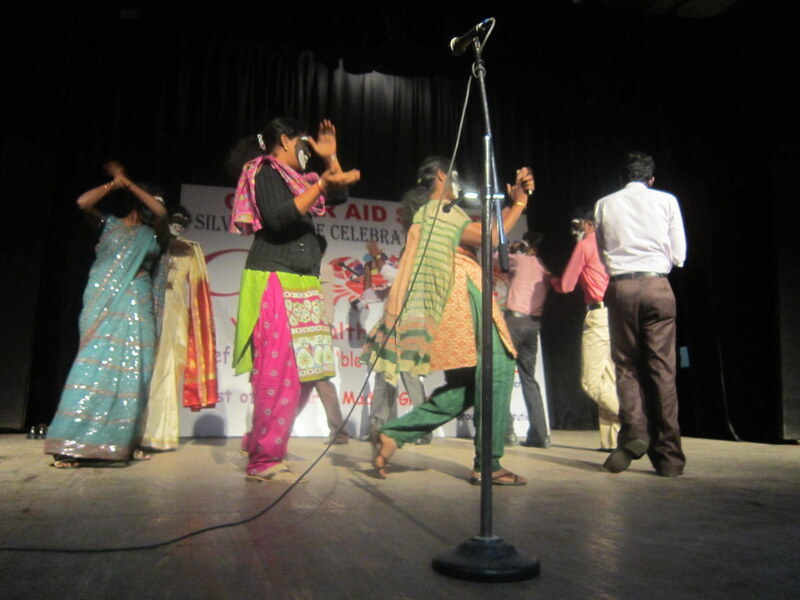 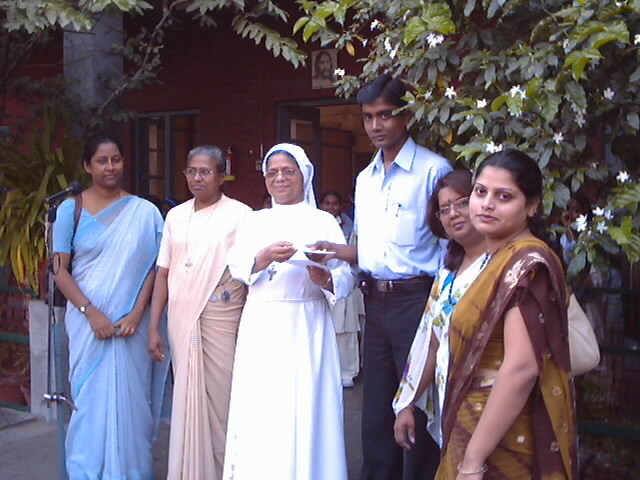 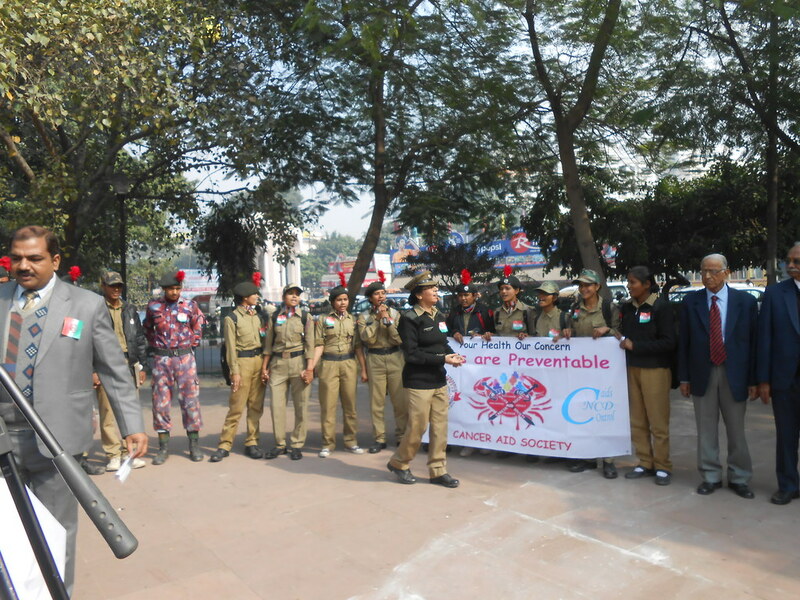 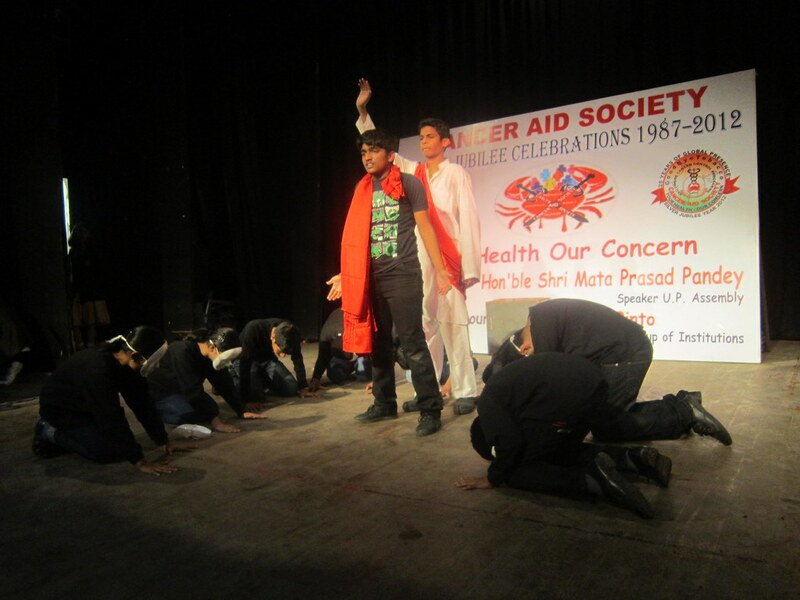 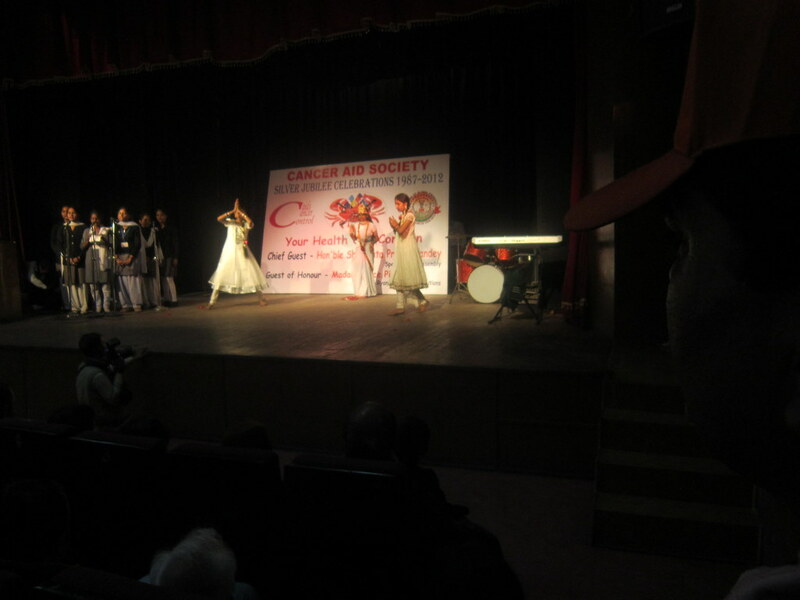 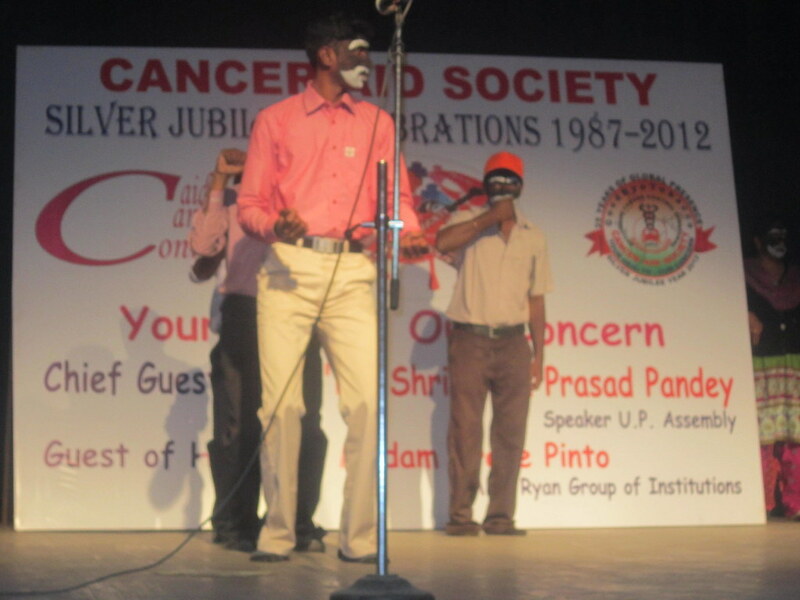 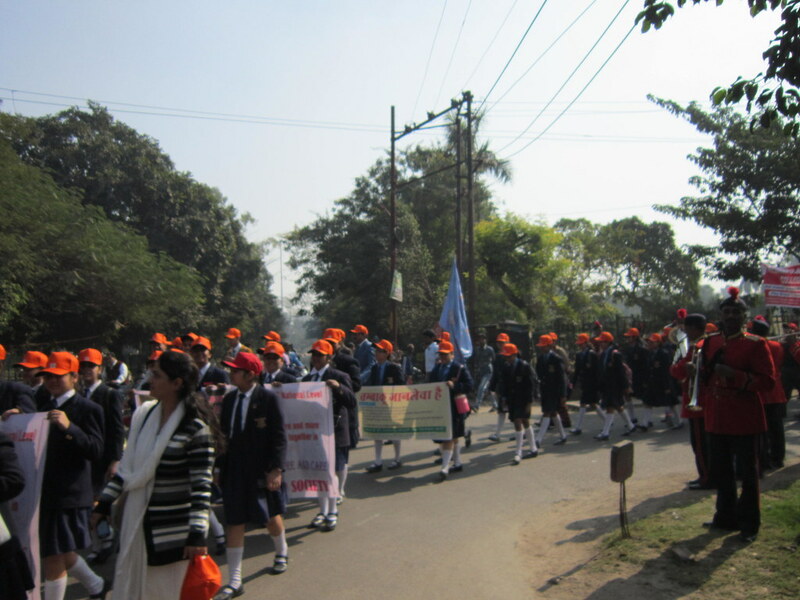 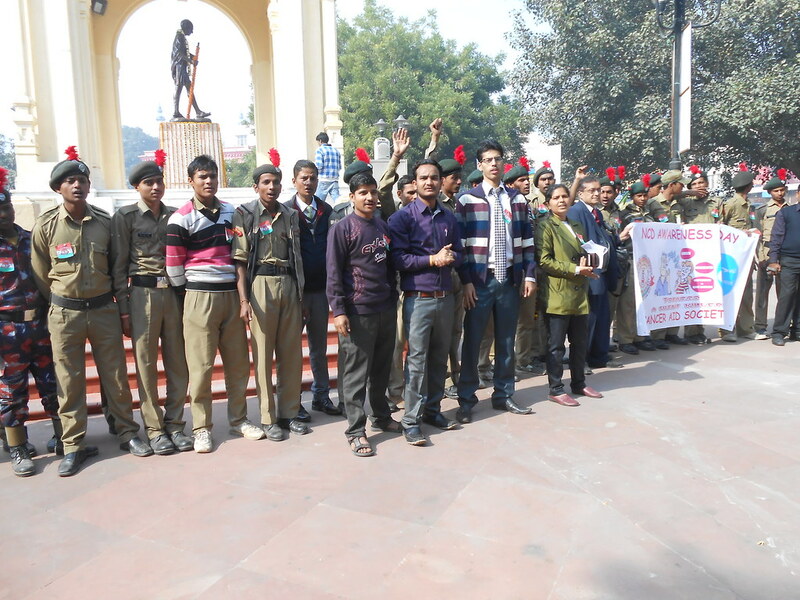 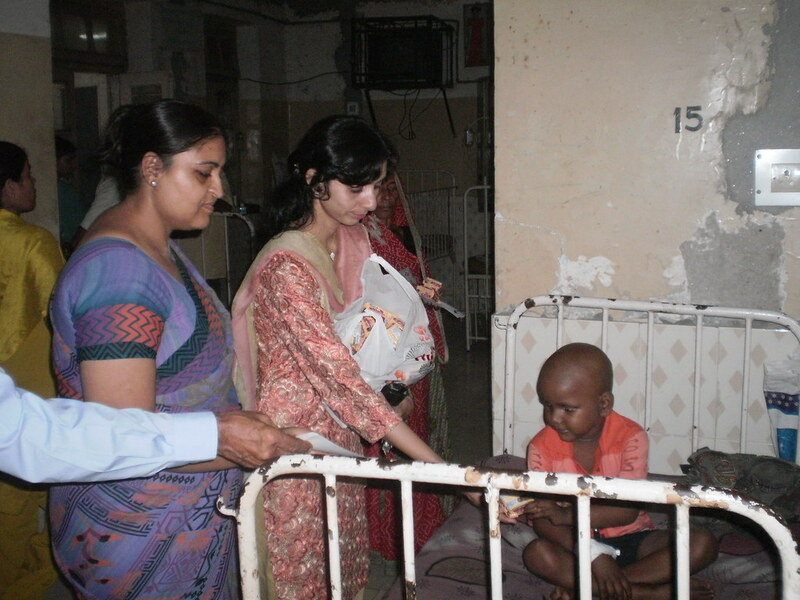 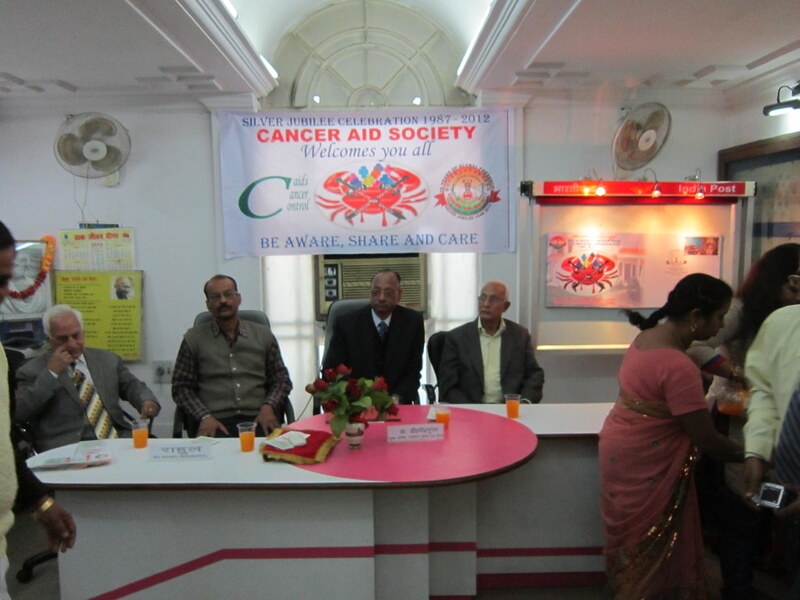 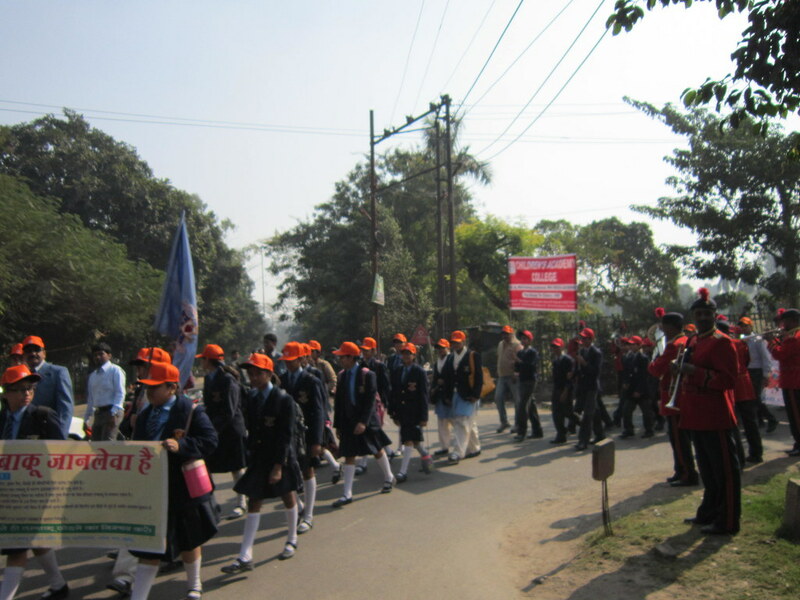 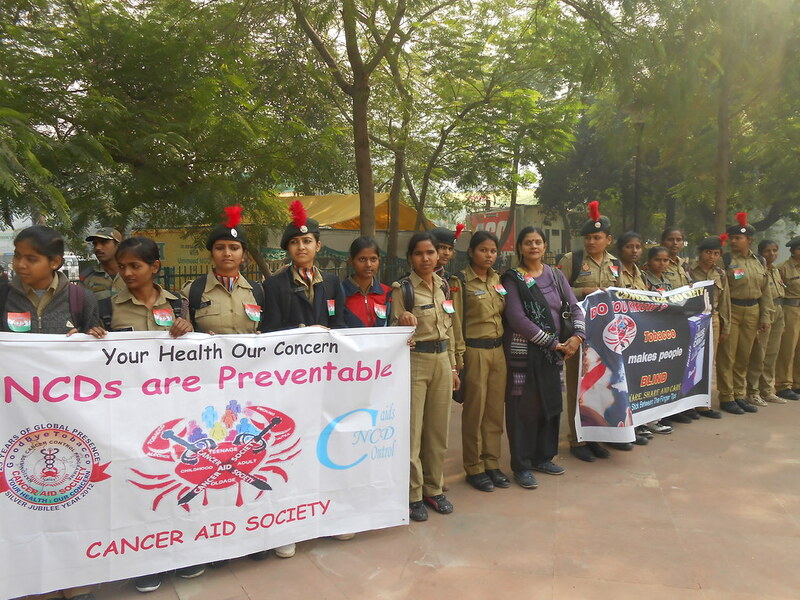 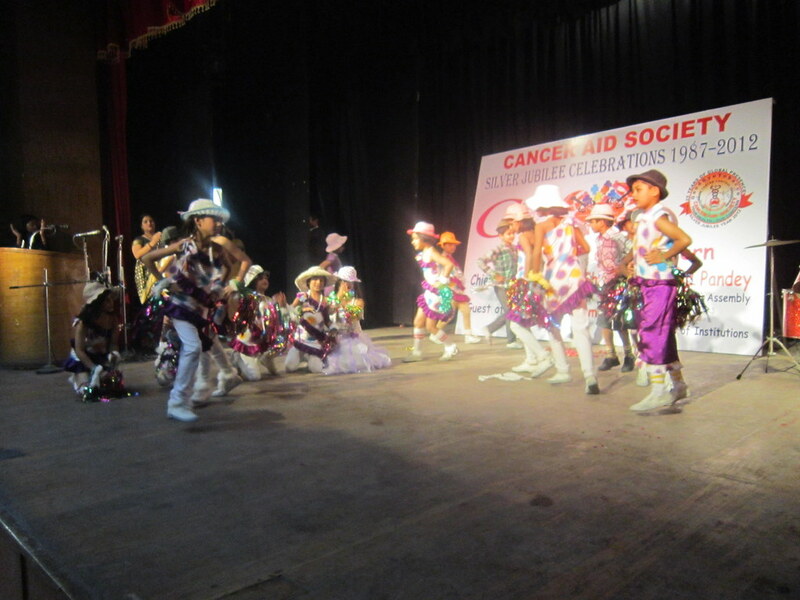 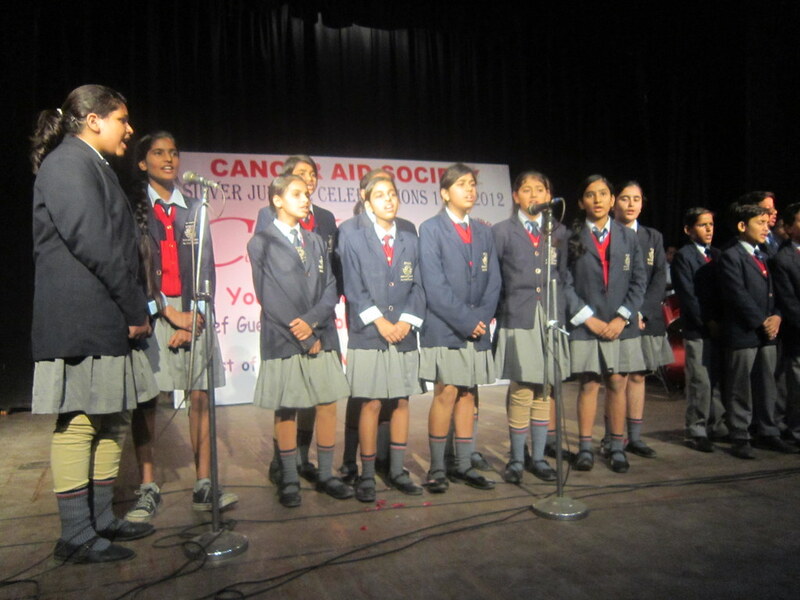 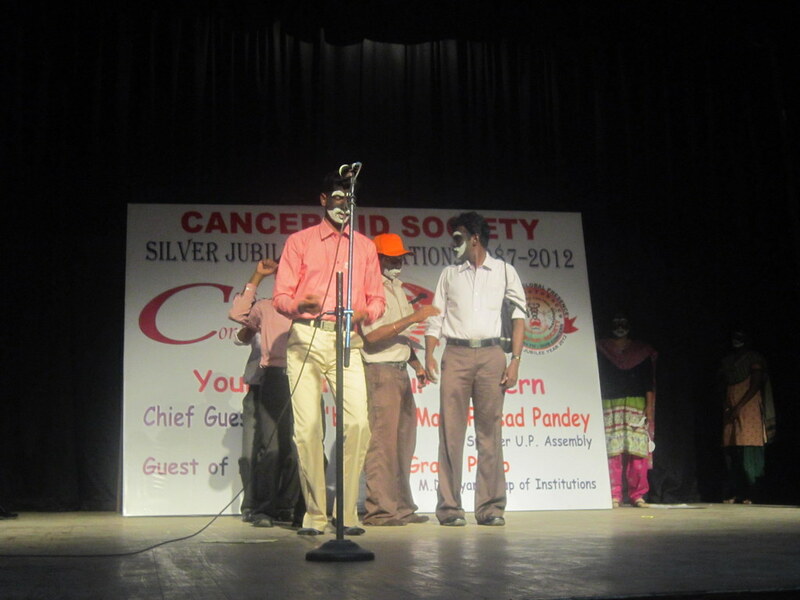 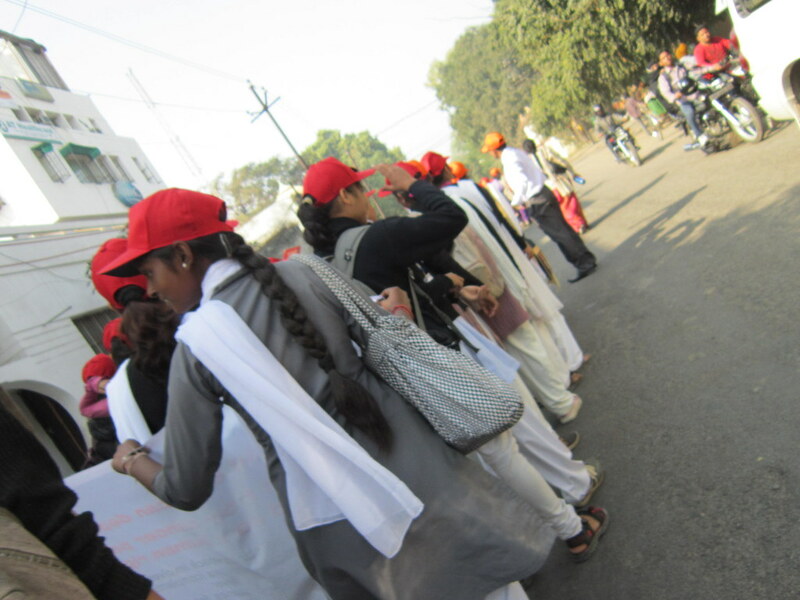 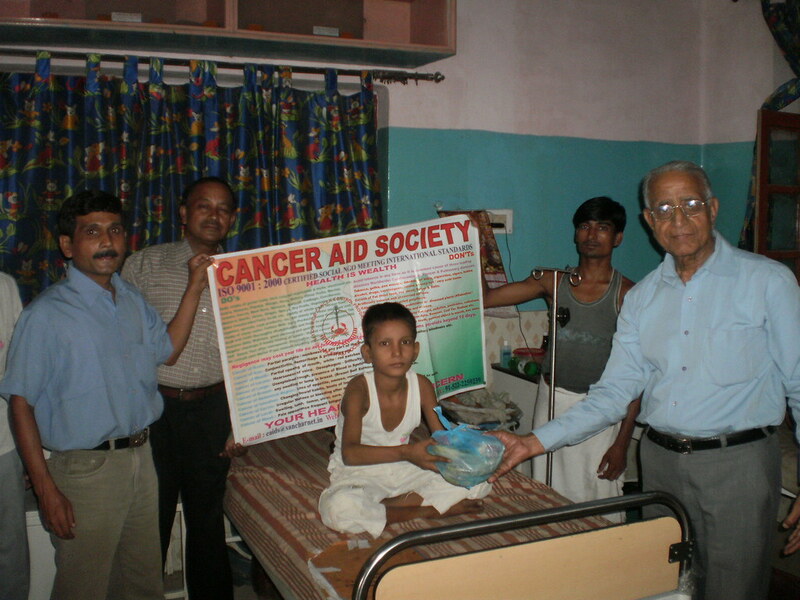 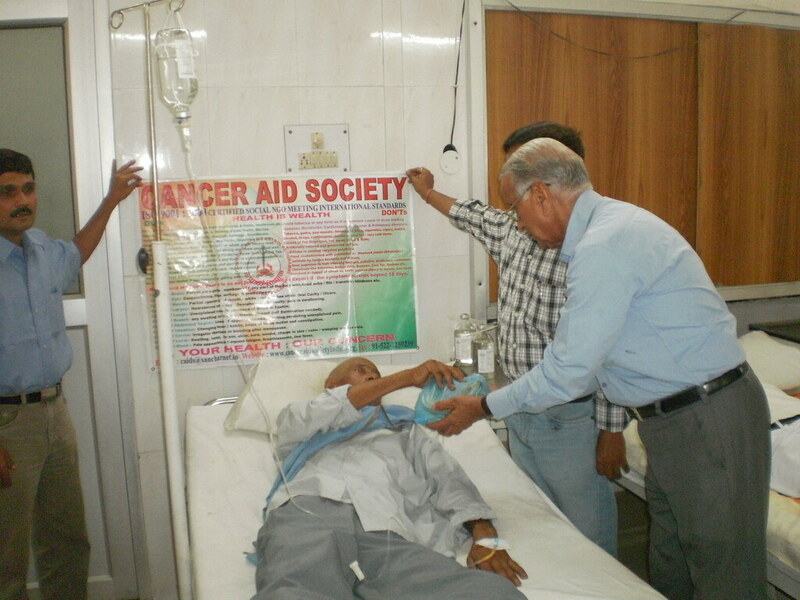 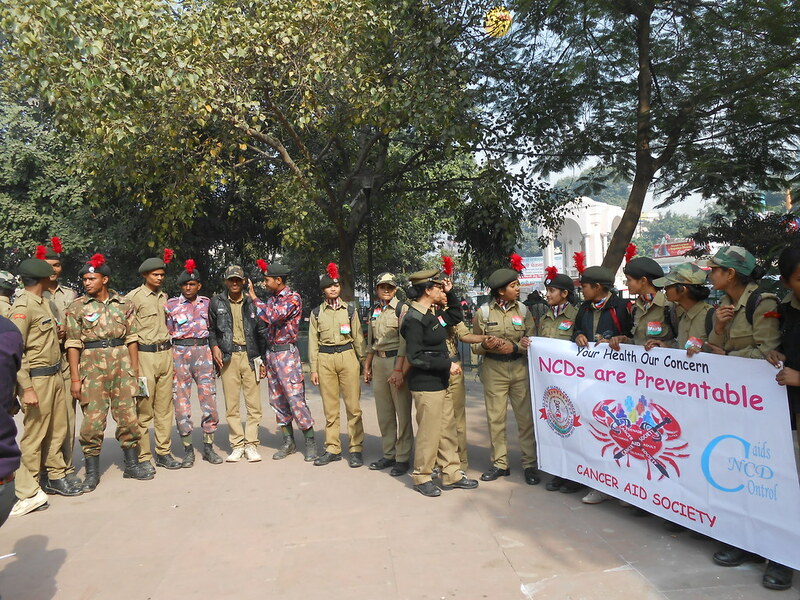 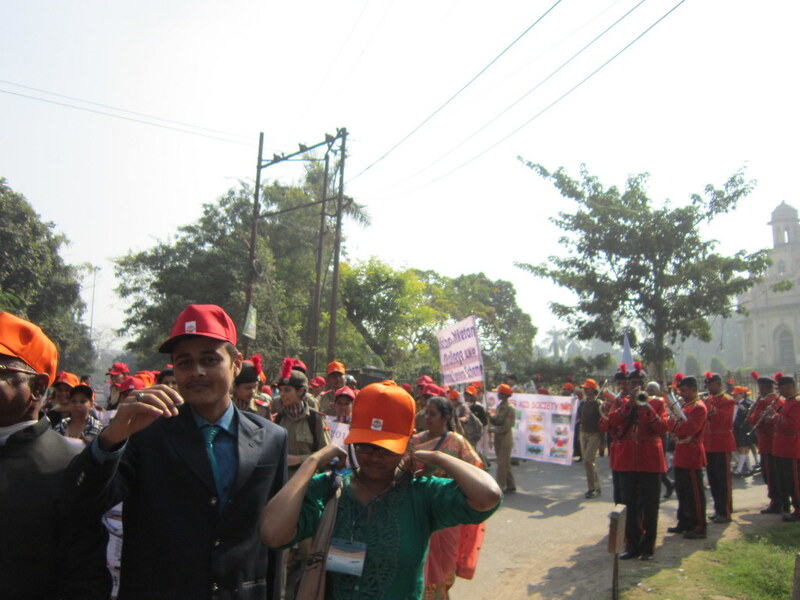 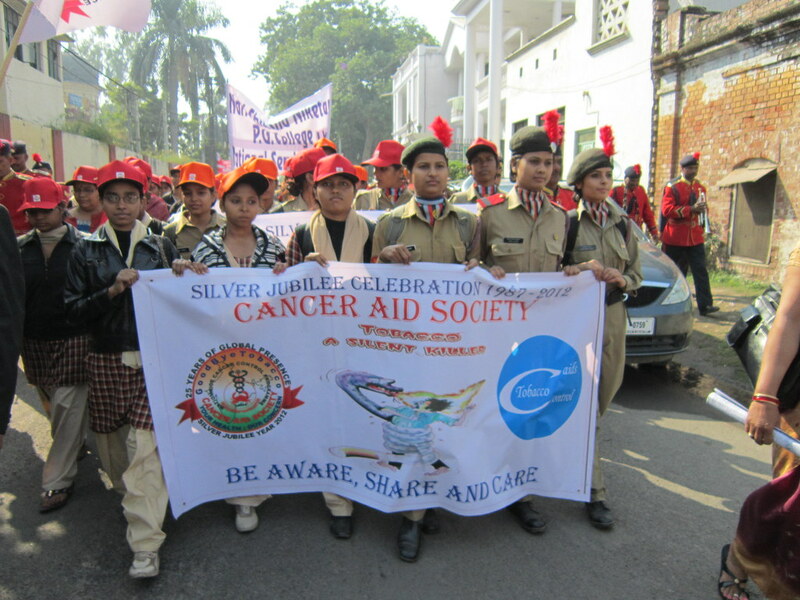 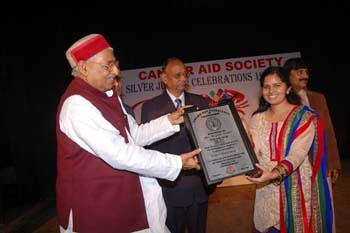 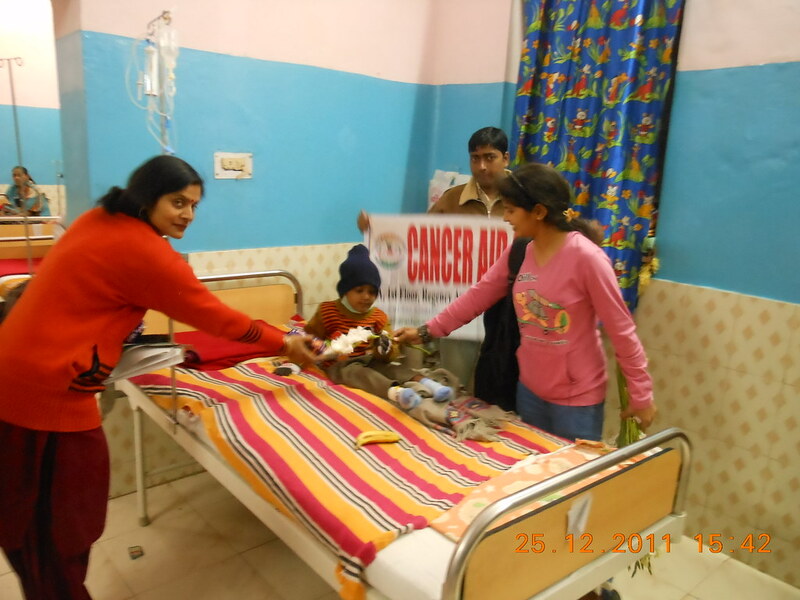 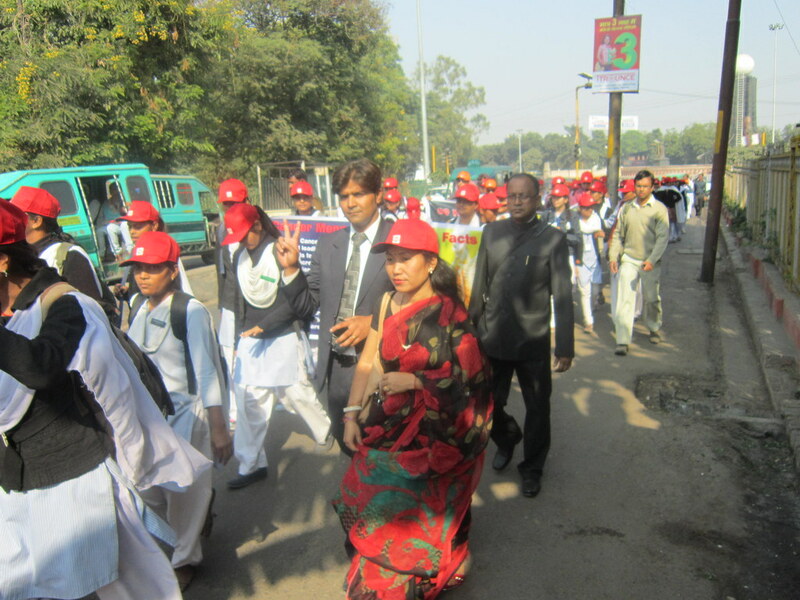 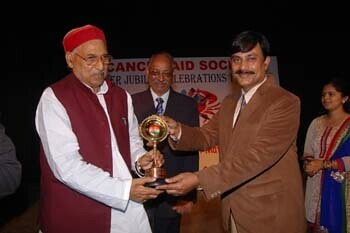 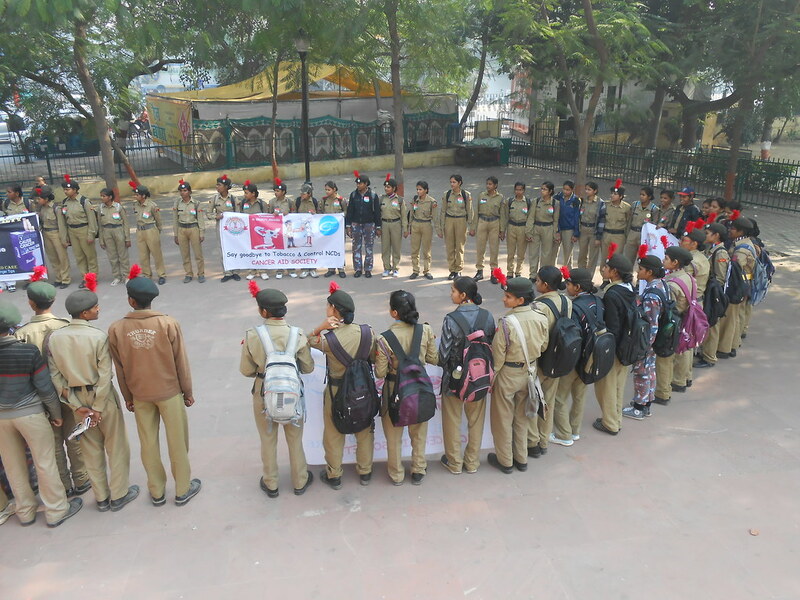 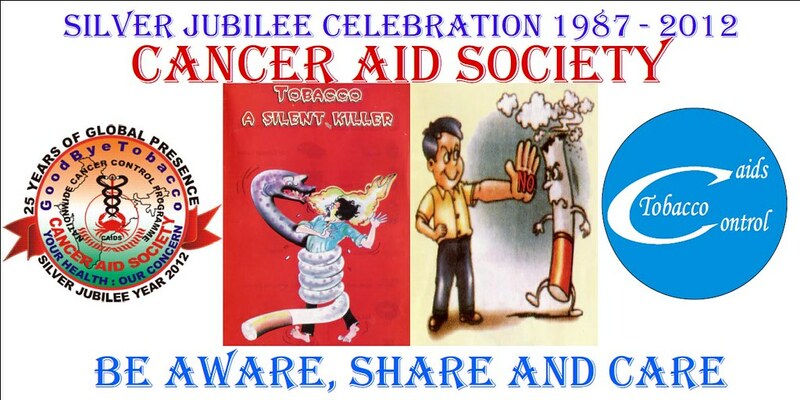 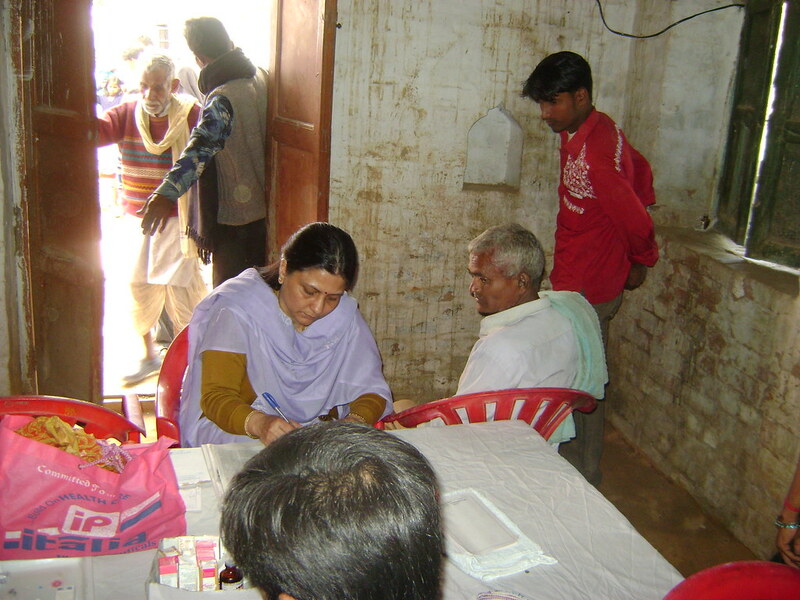 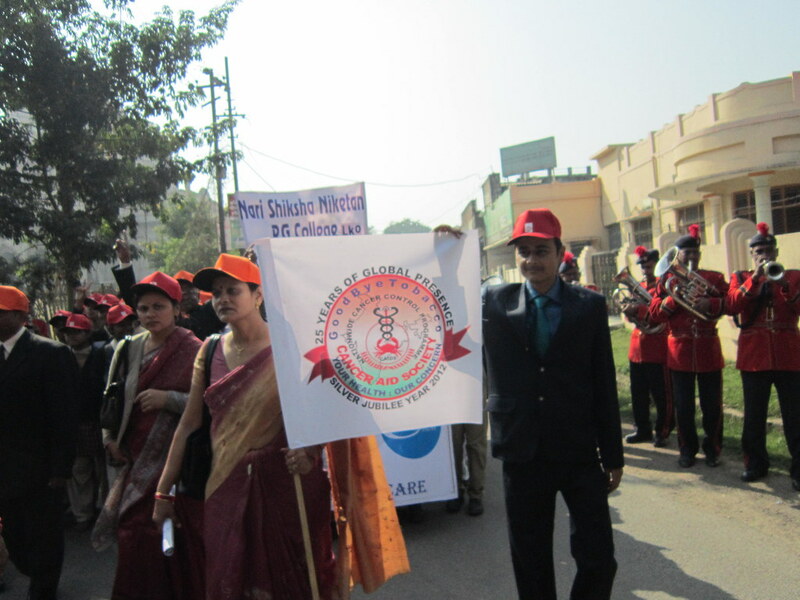 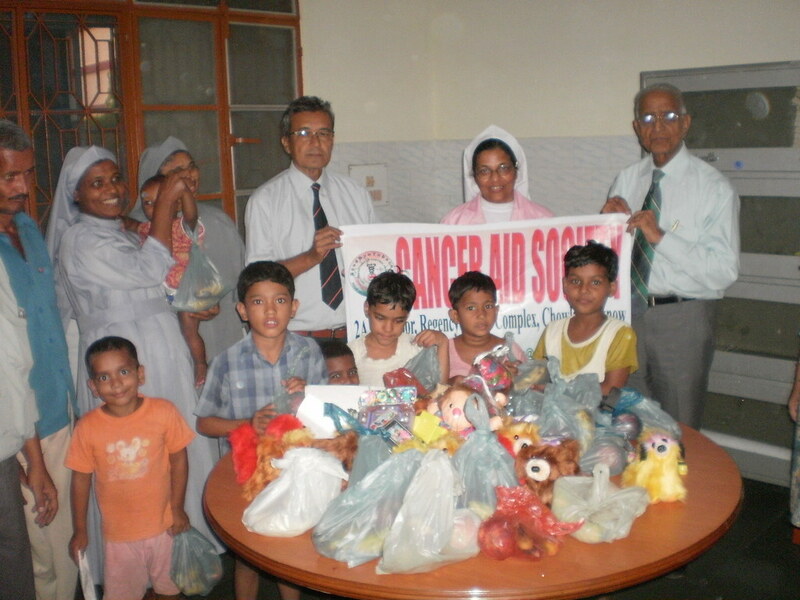 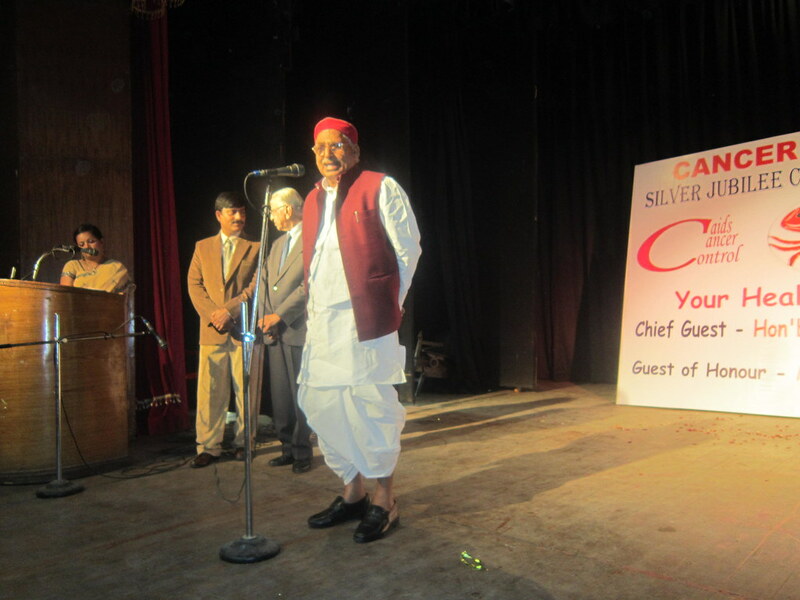 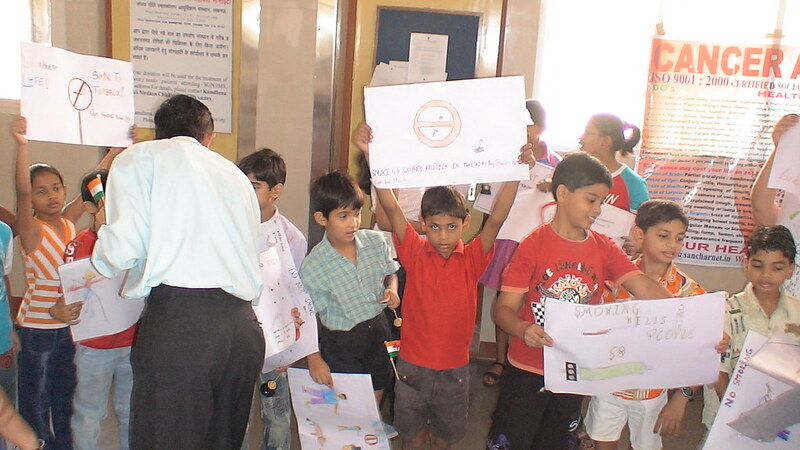 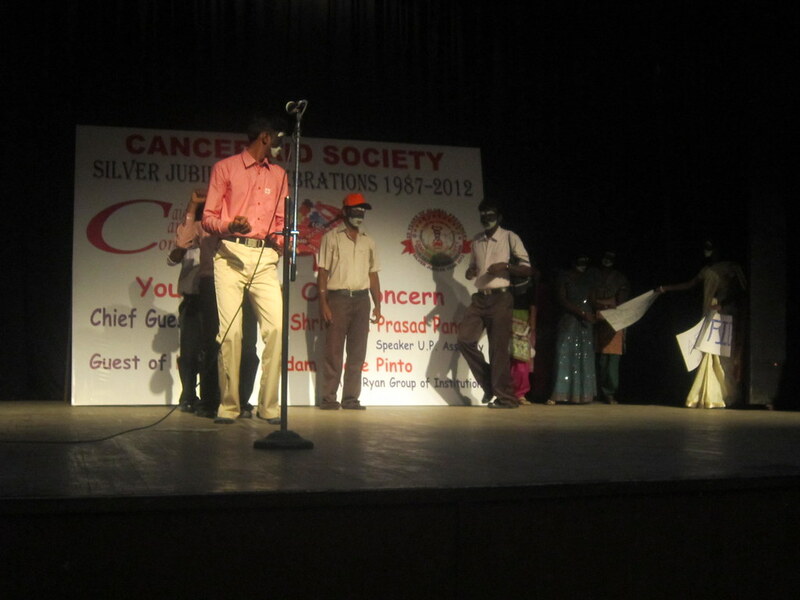 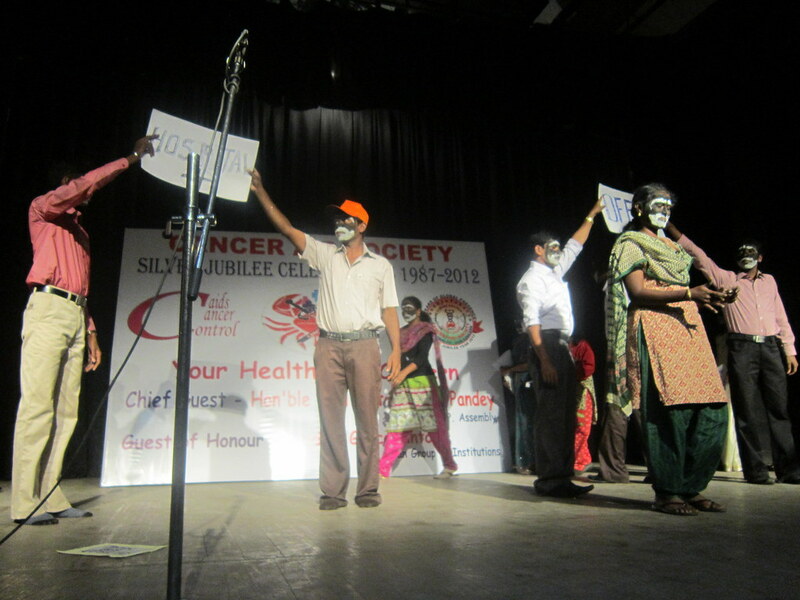 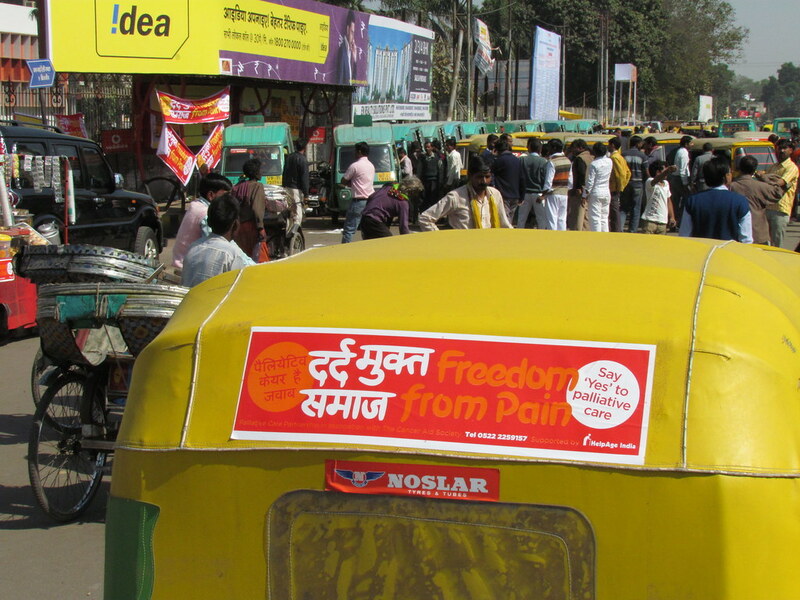 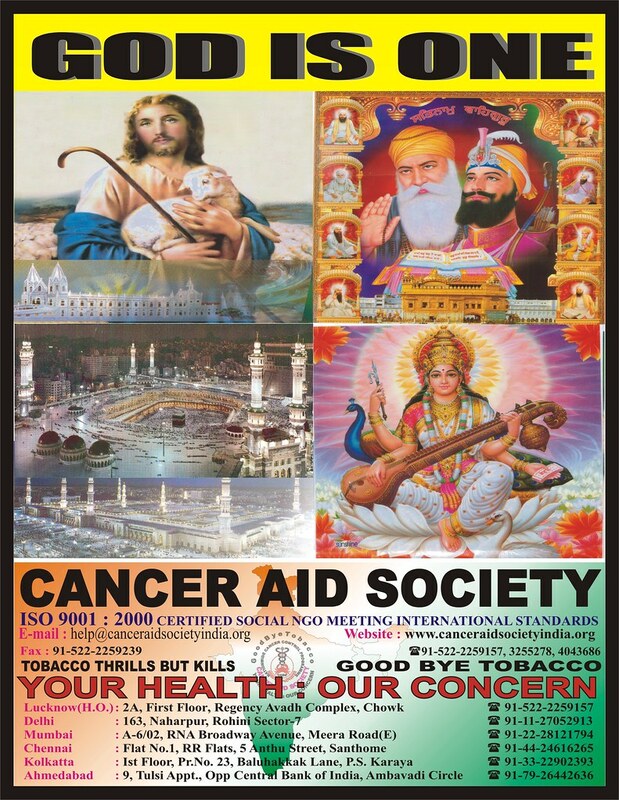 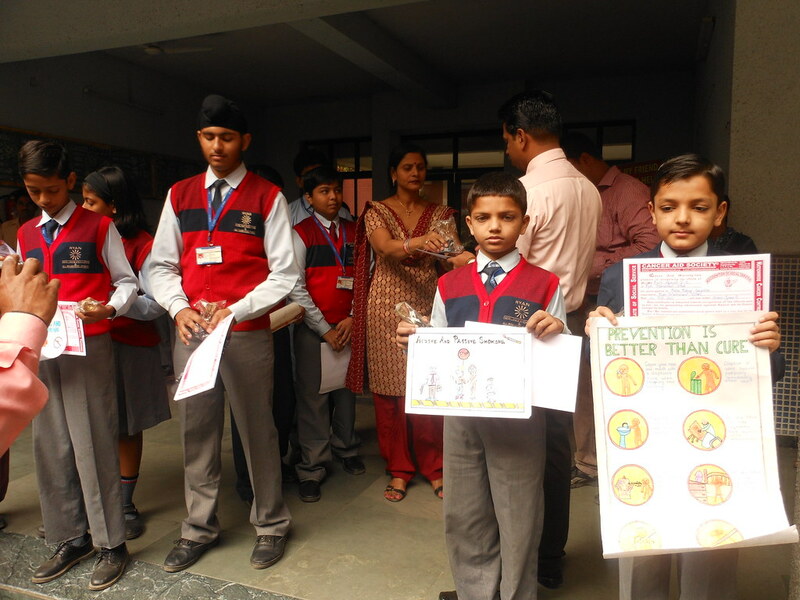 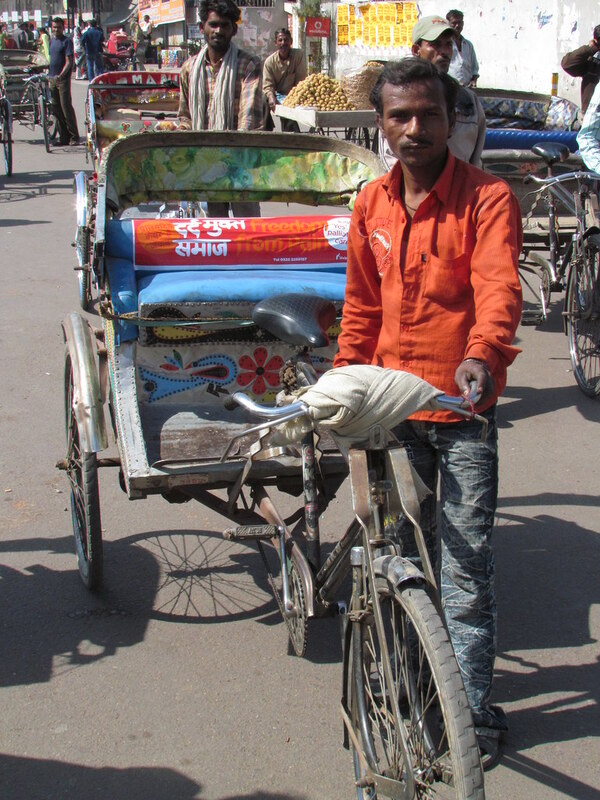 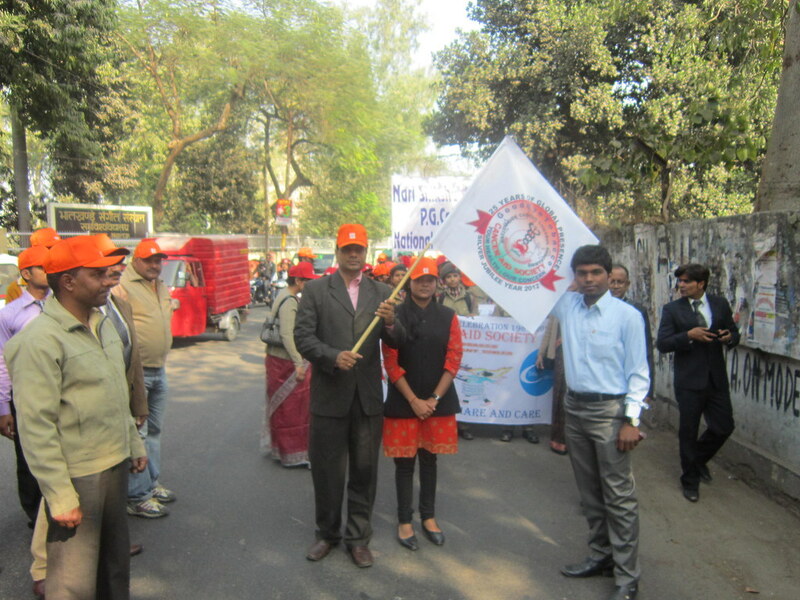 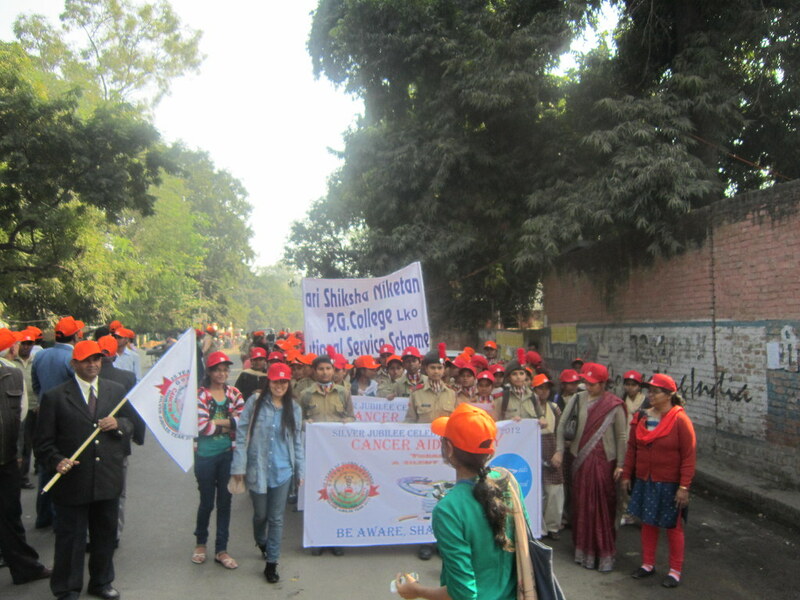 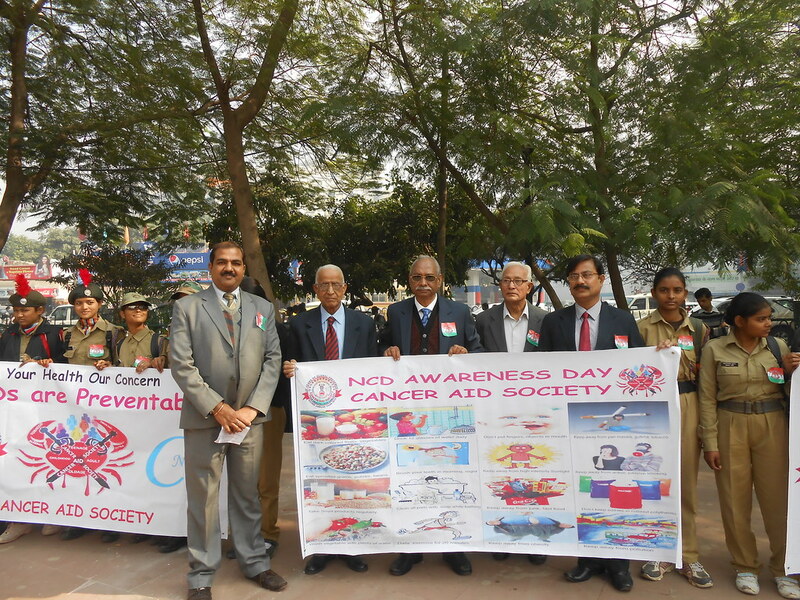 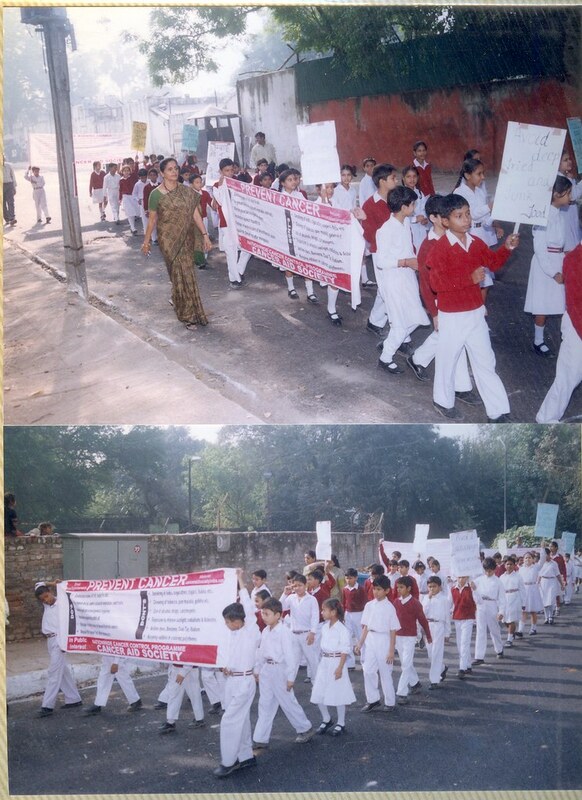 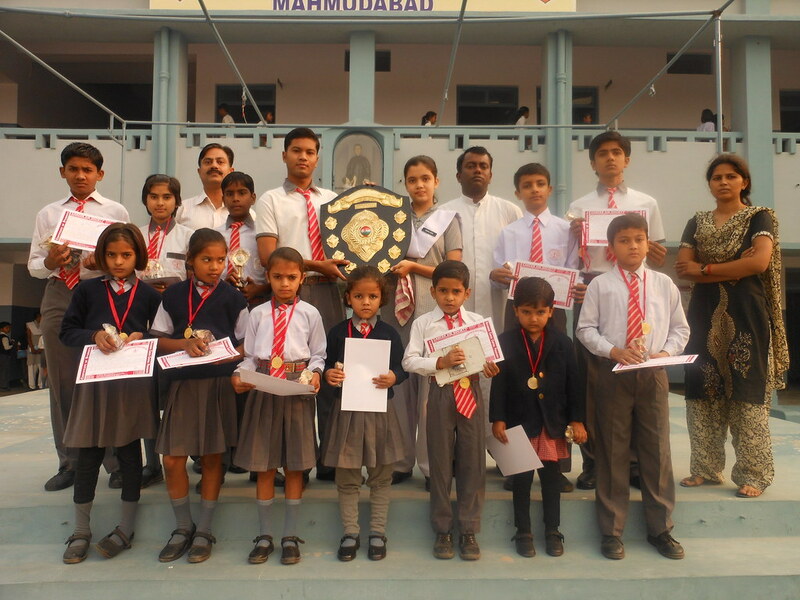 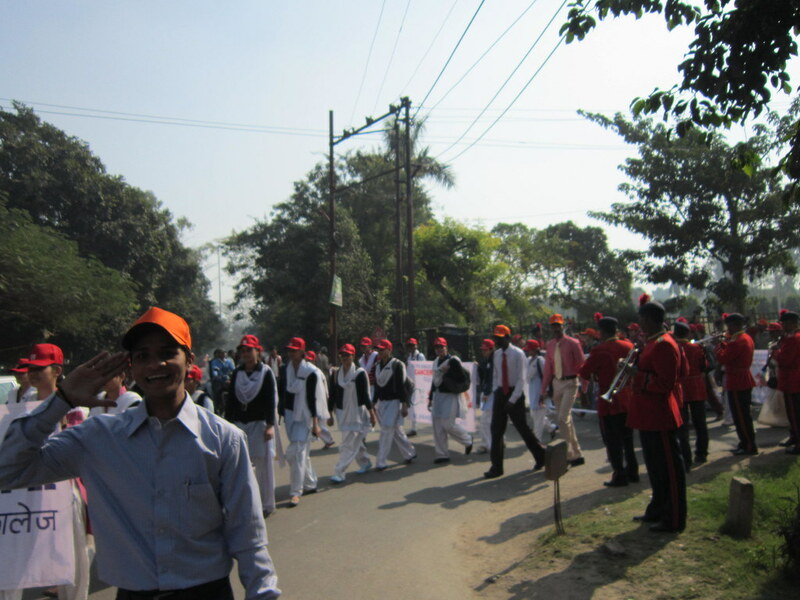 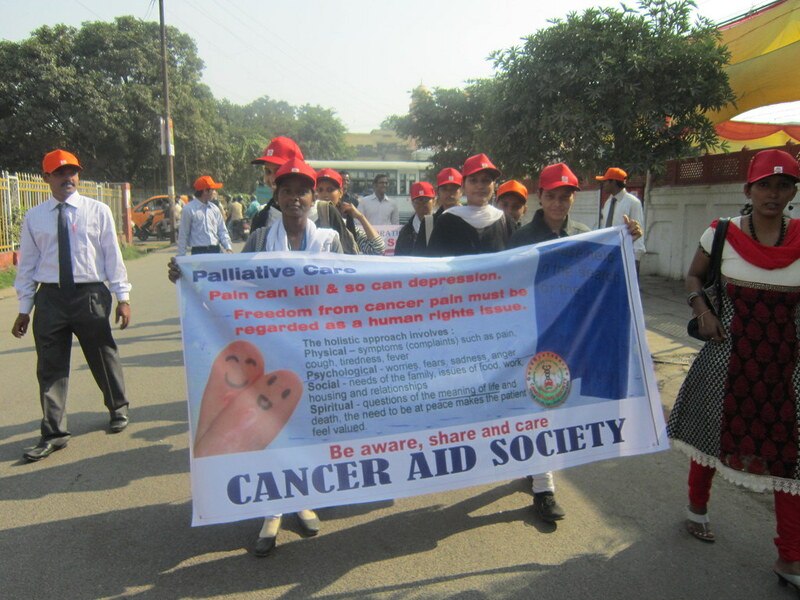 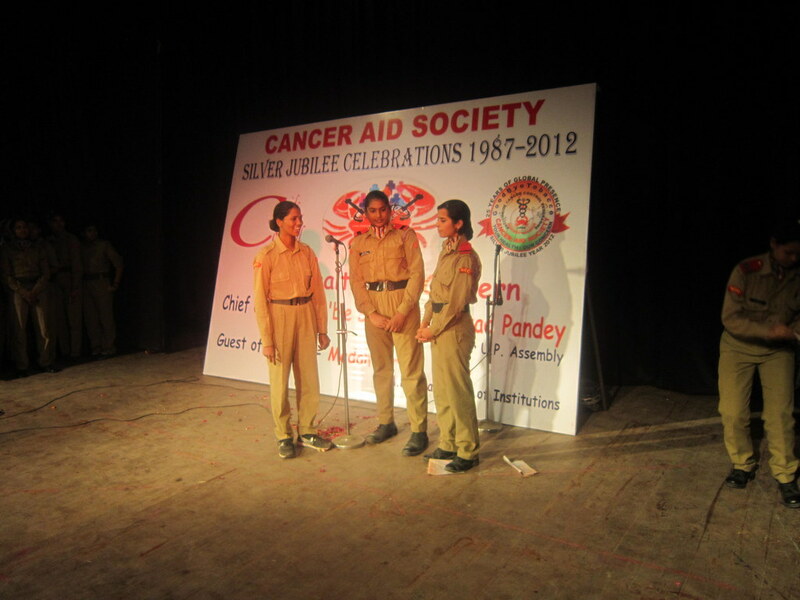 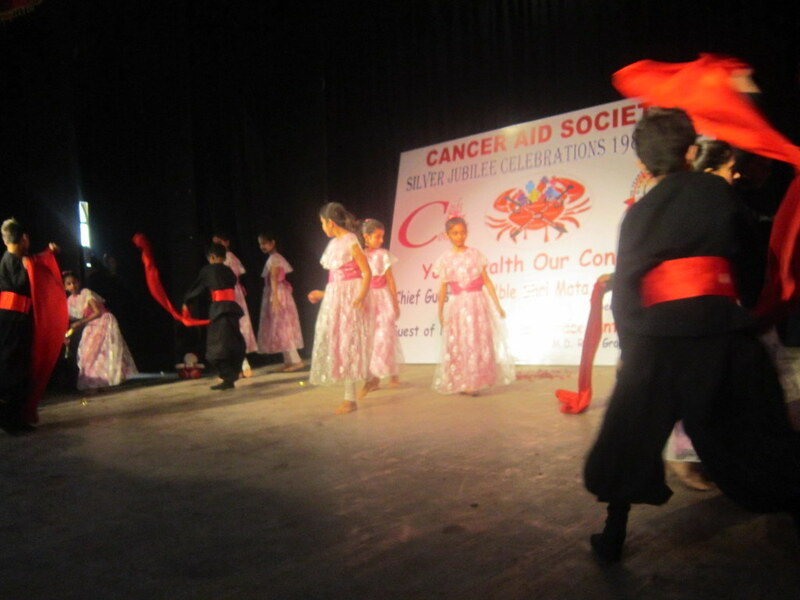 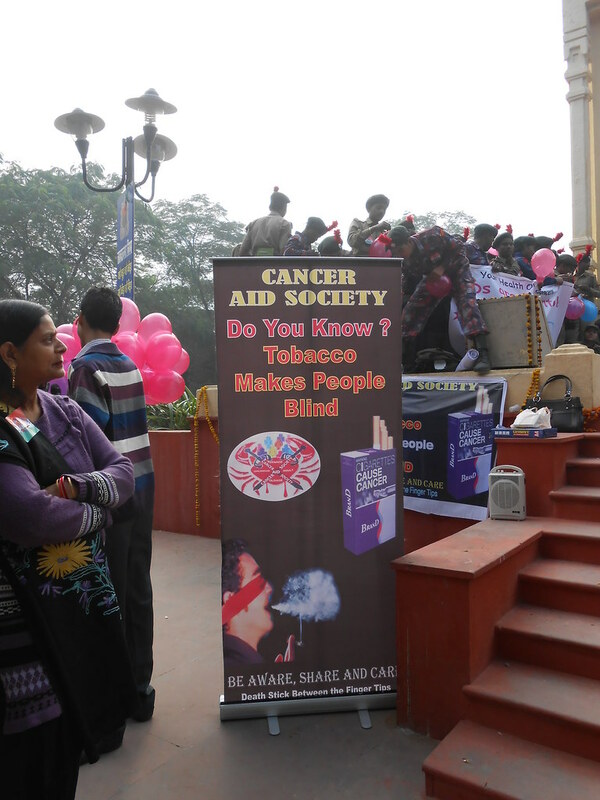 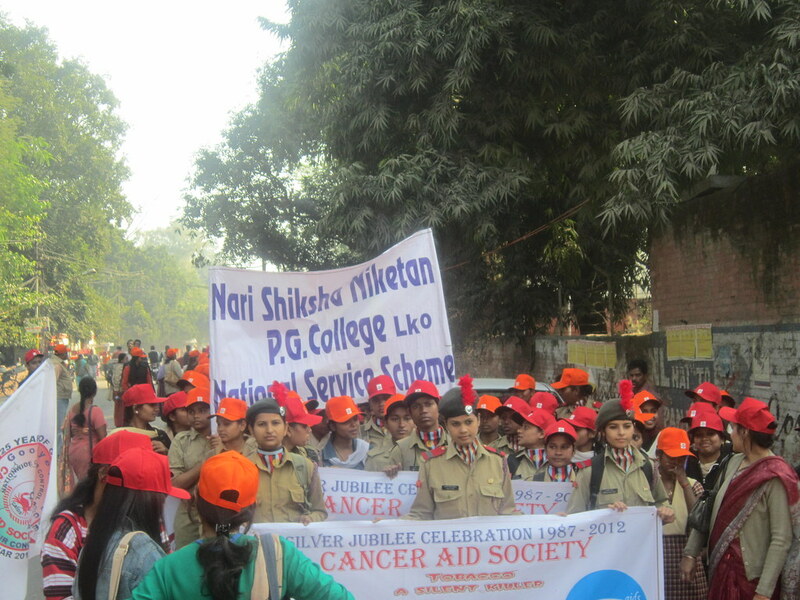 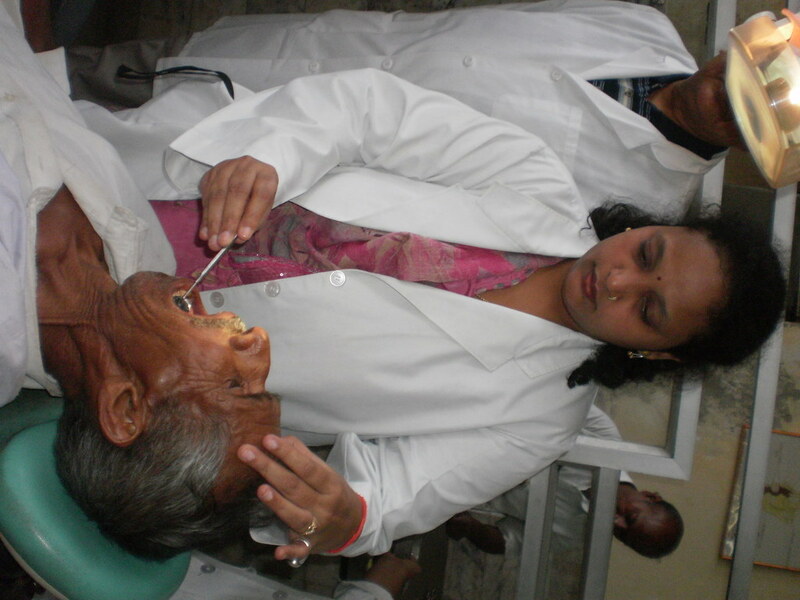 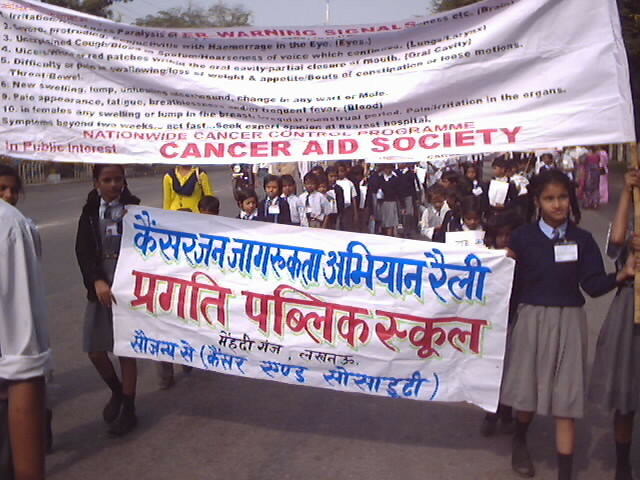 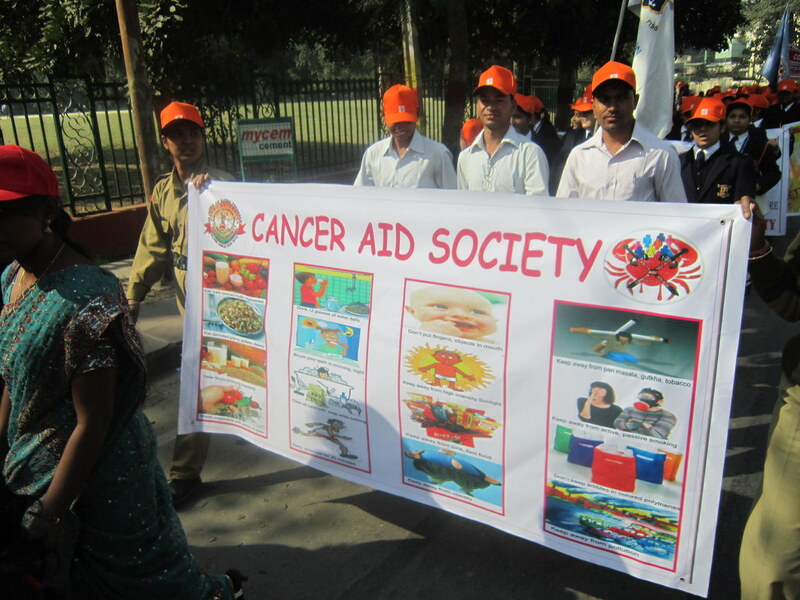 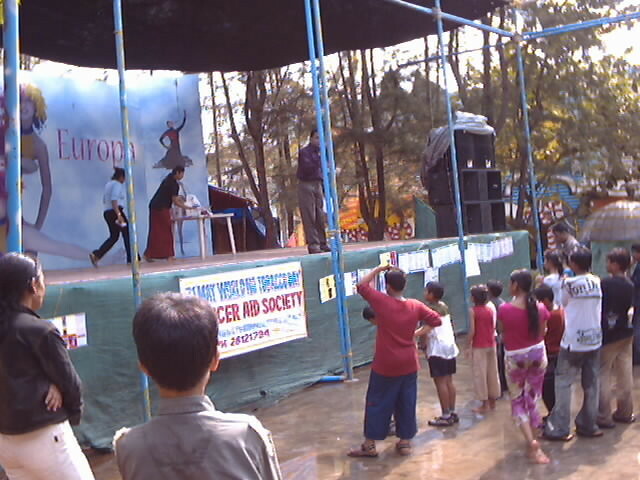 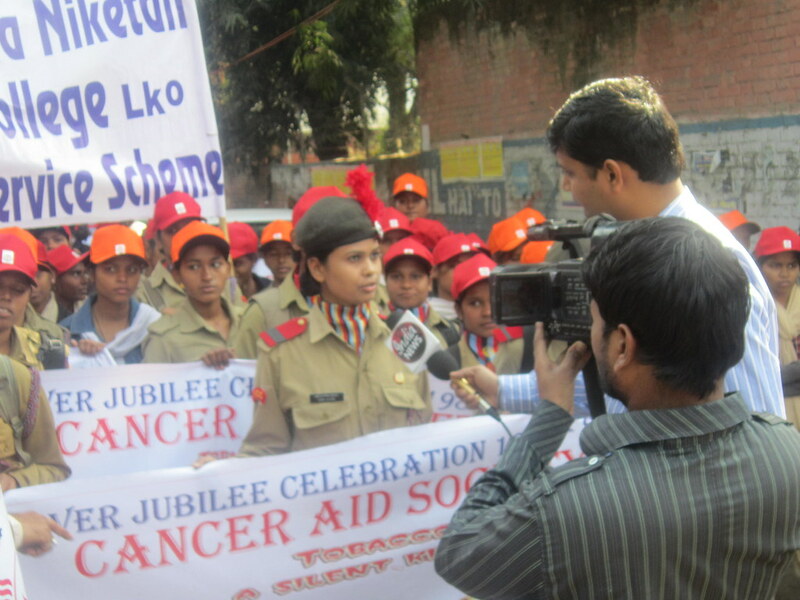 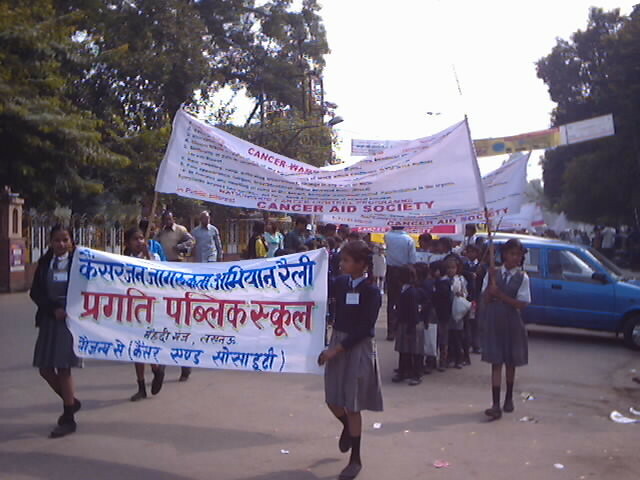 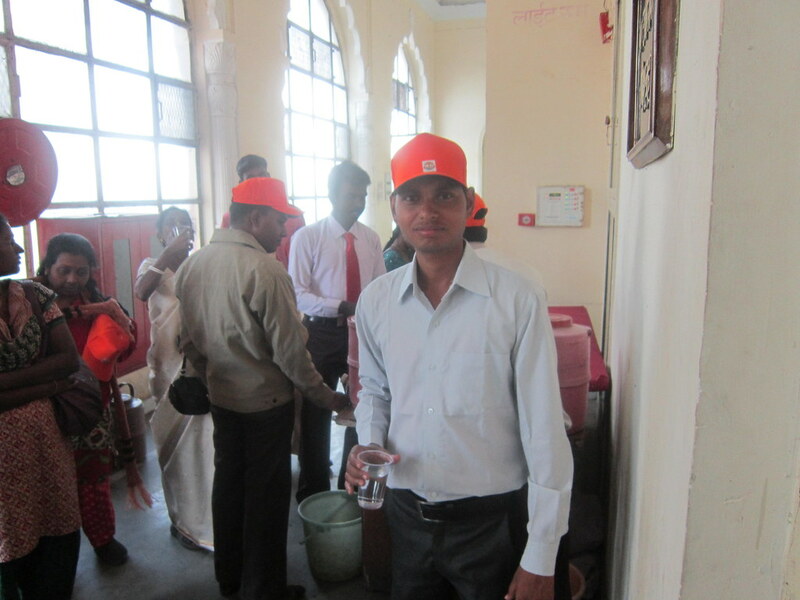 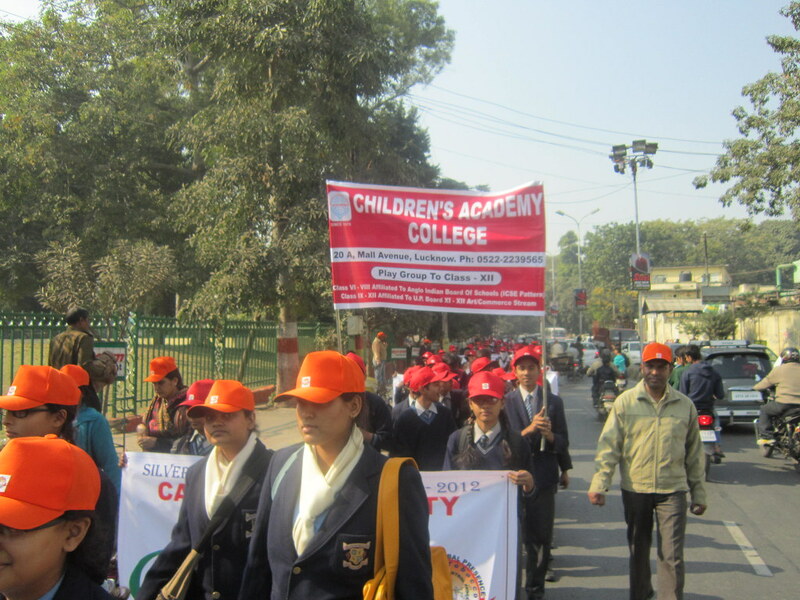 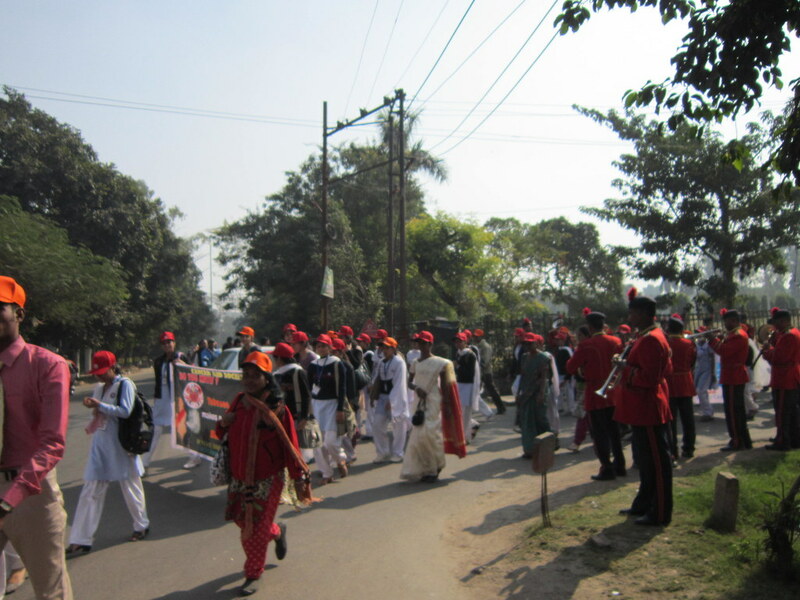 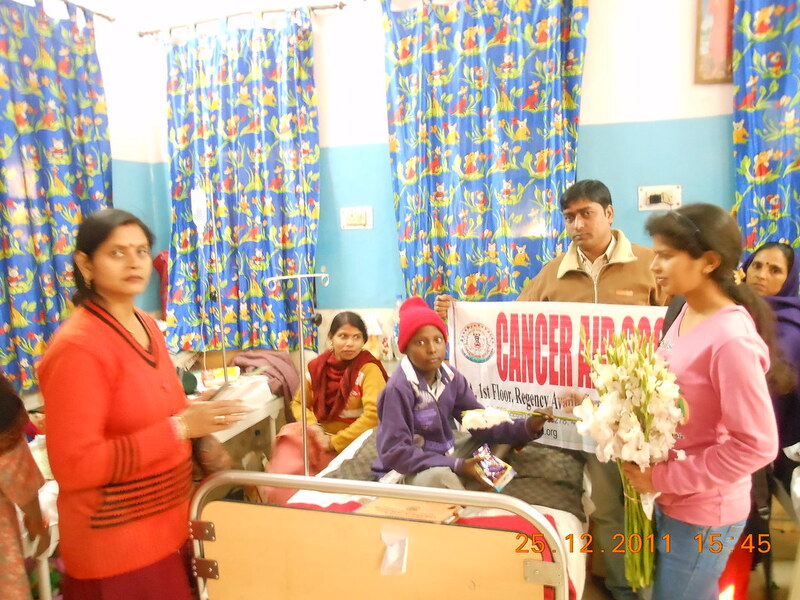 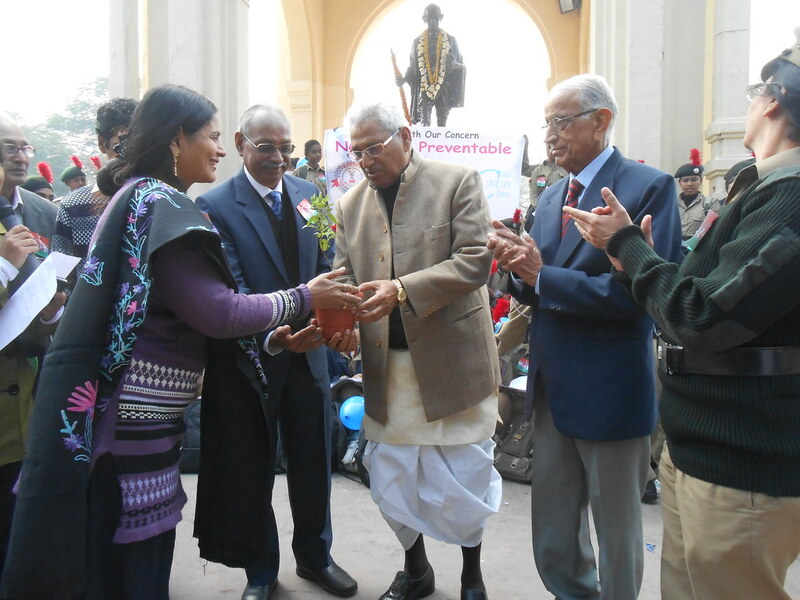 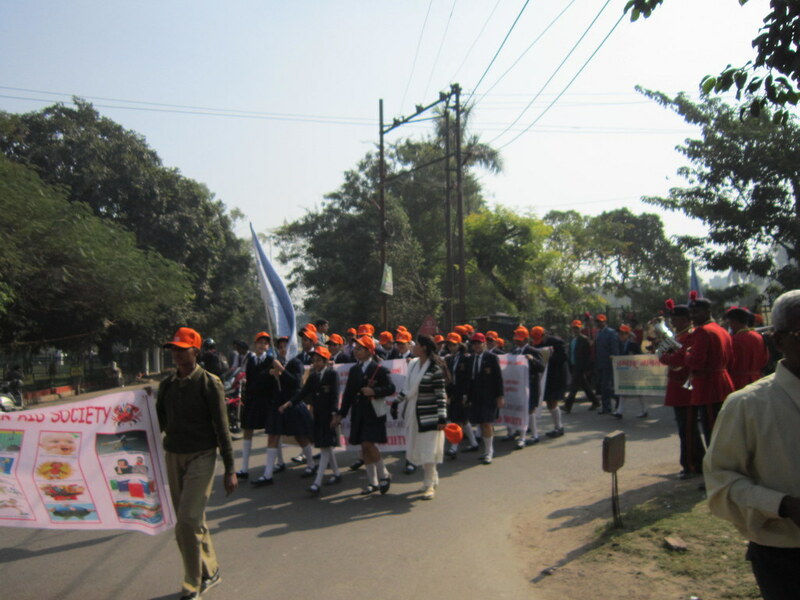 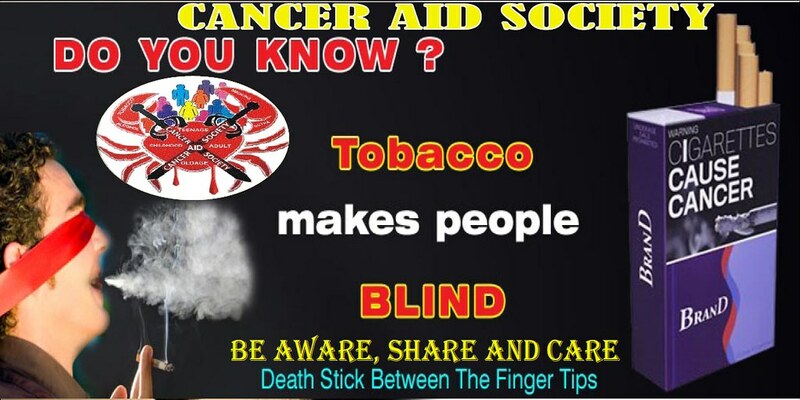 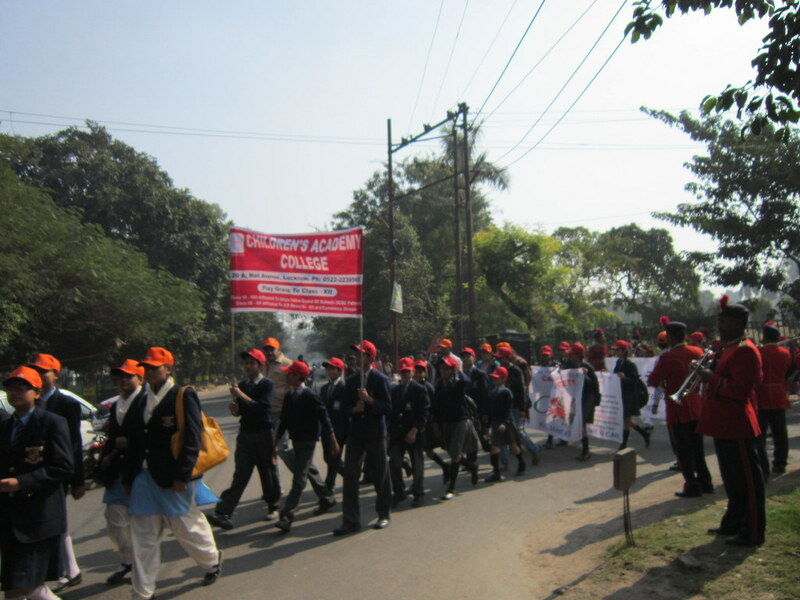 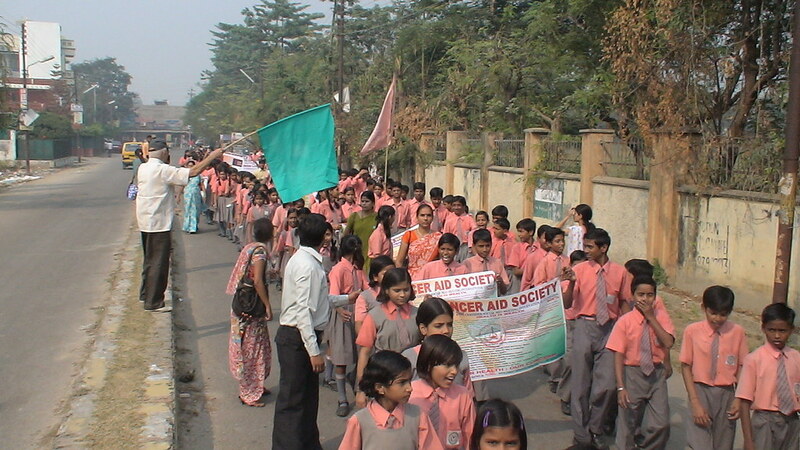 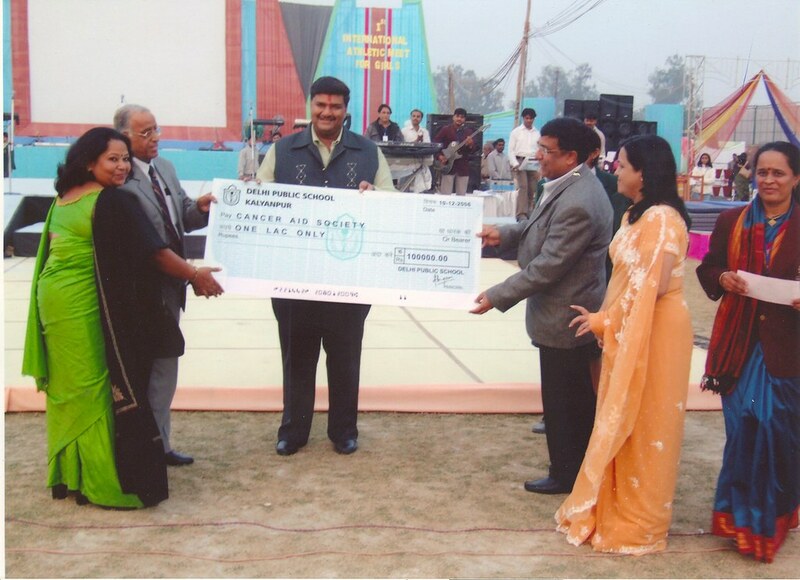 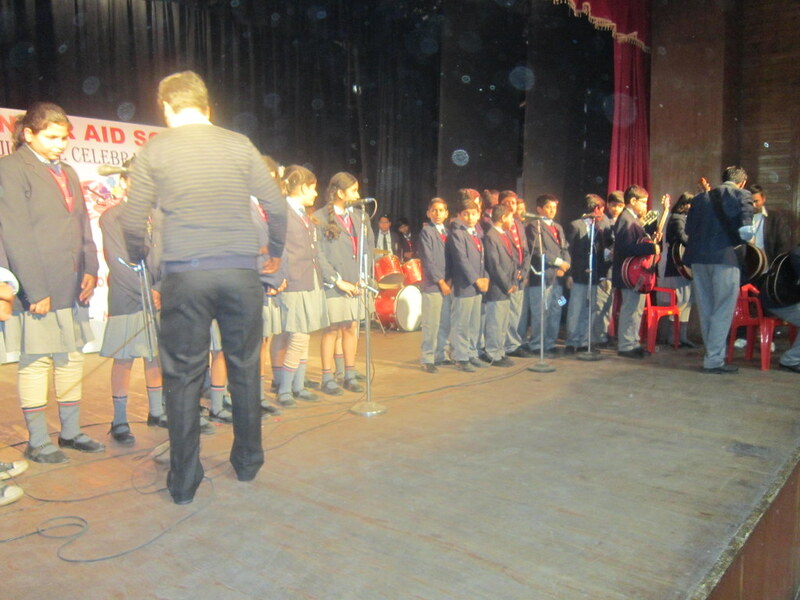 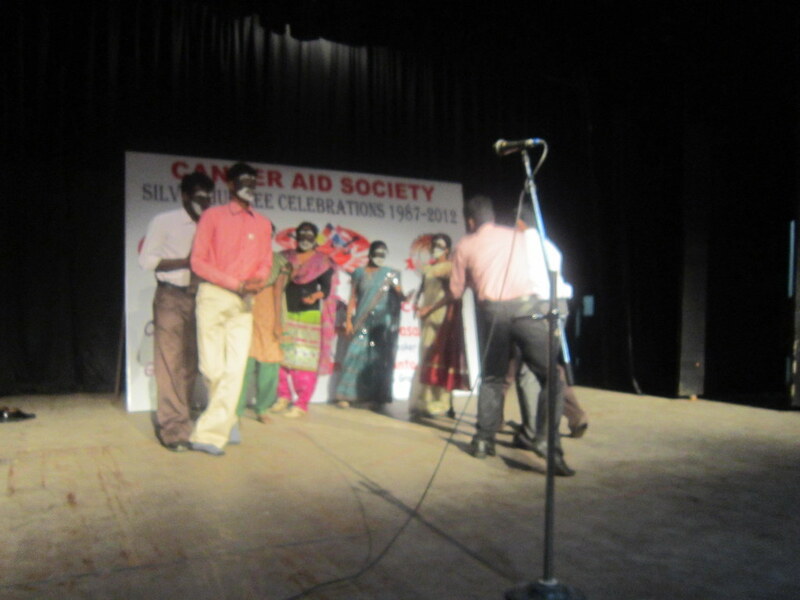 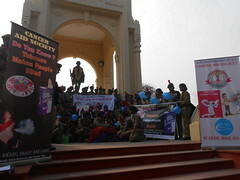 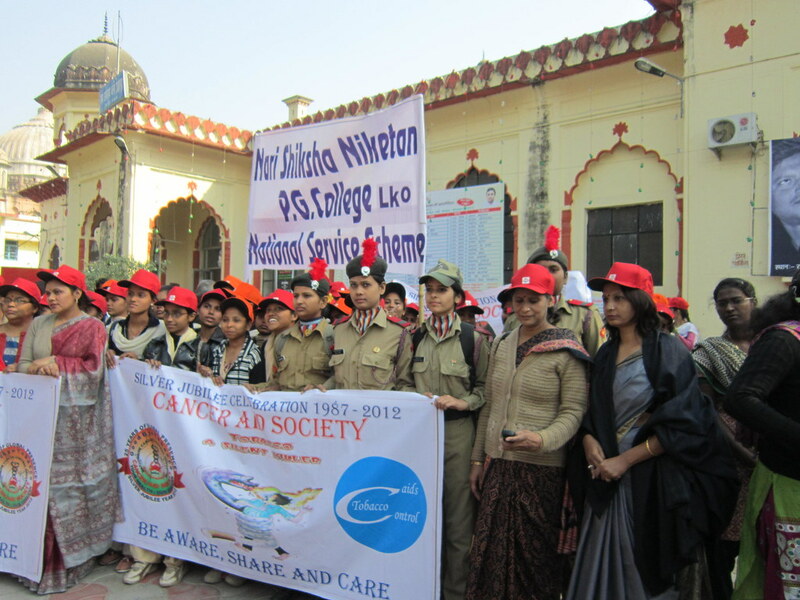 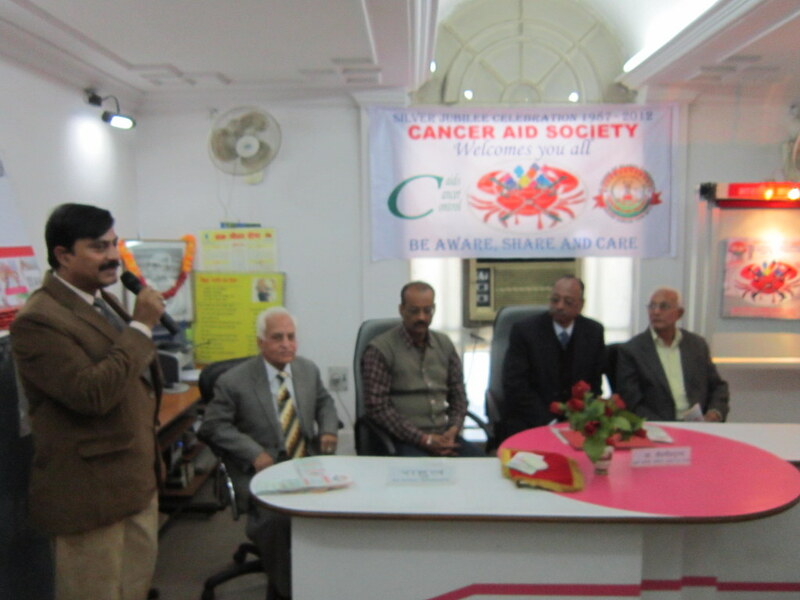 A joint Project of Cancer Aid Society and Pallium India. 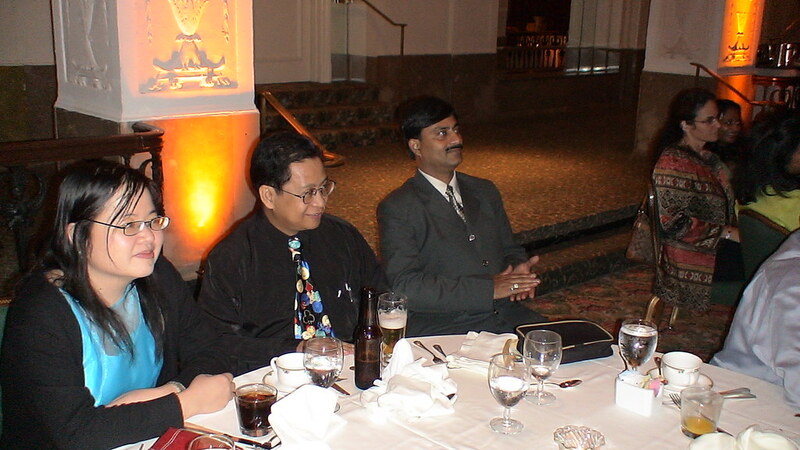 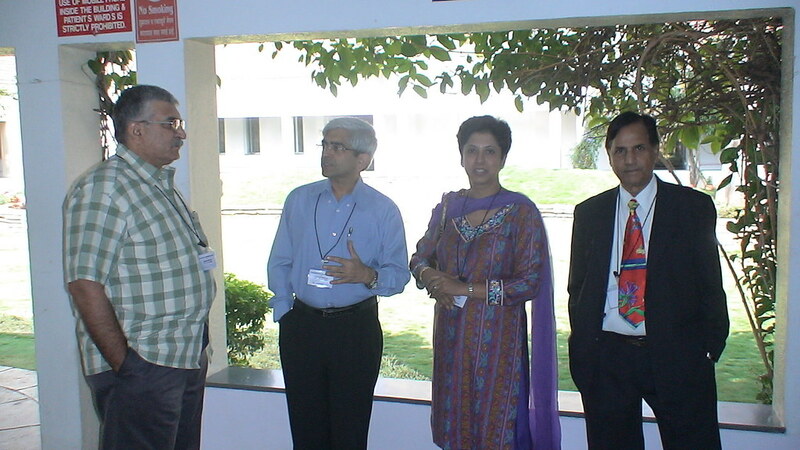 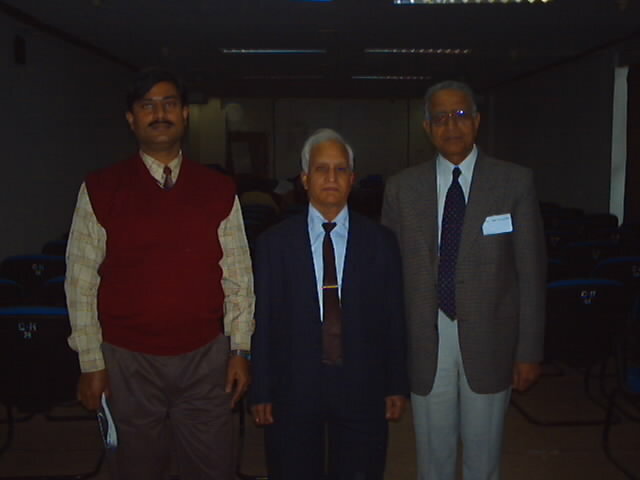 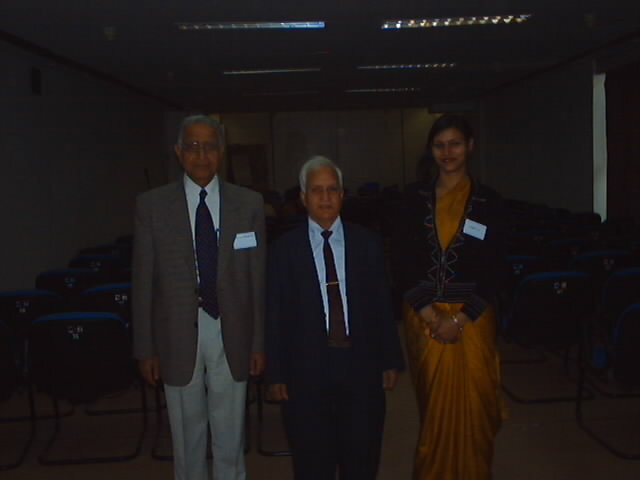 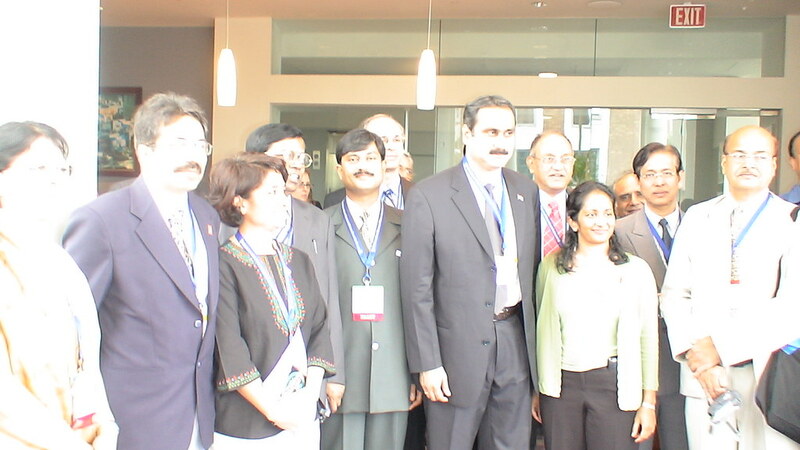 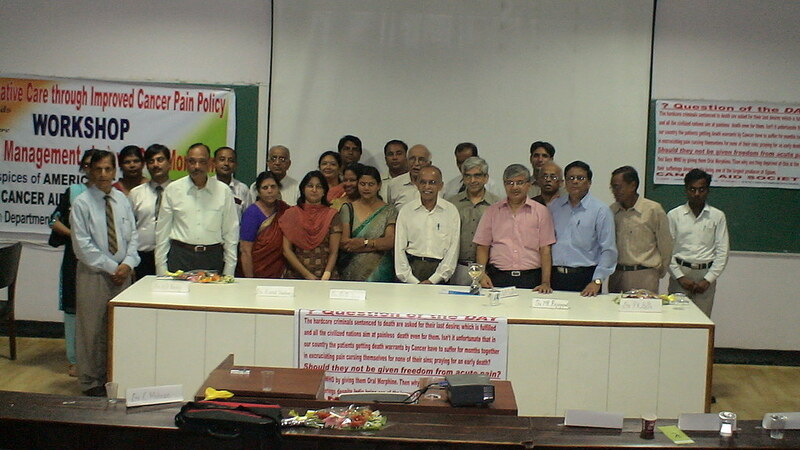 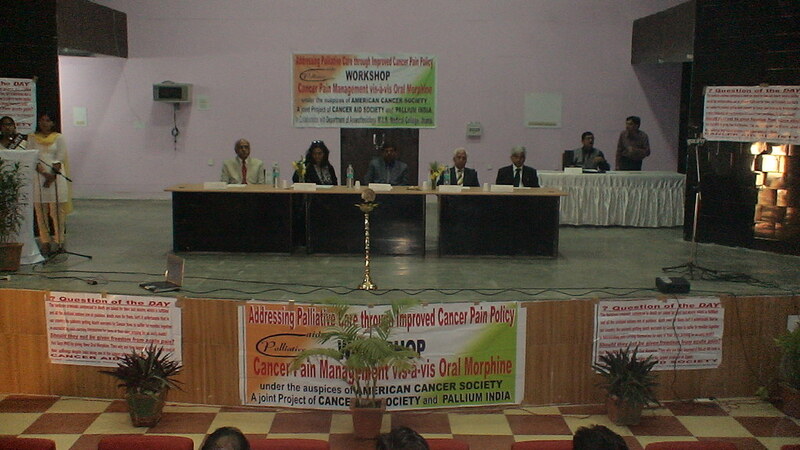 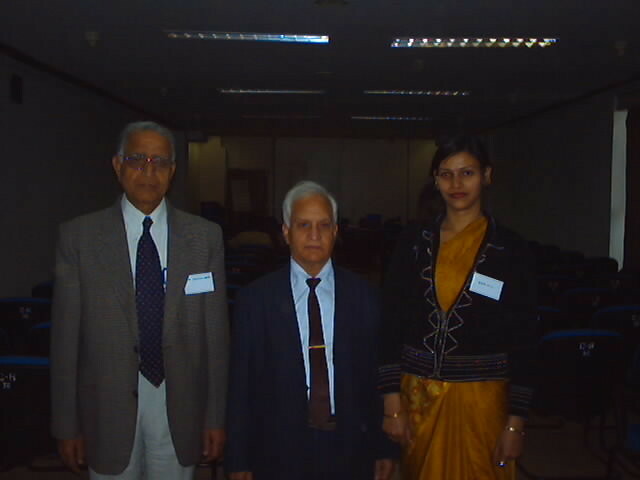 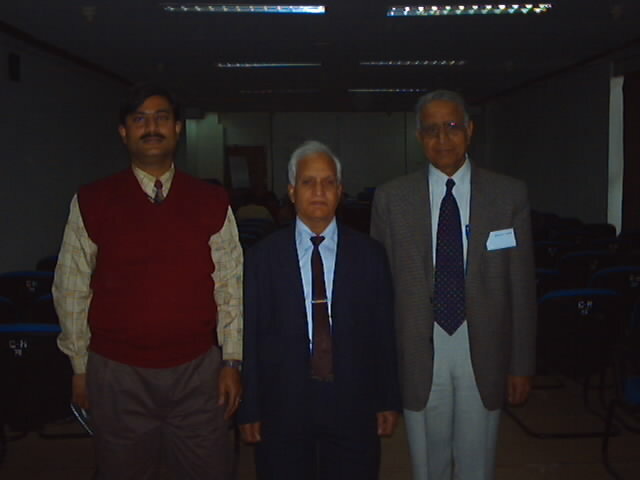 Organized One Day Review Meeting on “Cancer Pain Management vis-à-vis Oral Morphine” on 10th February 2009 in Collaboration with Regional Cancer centre, SGPGIMS, Lucknow under the auspices of American Cancer Society & Pain & Policy Studies Group, University of Madison-Wisconsin, USA. 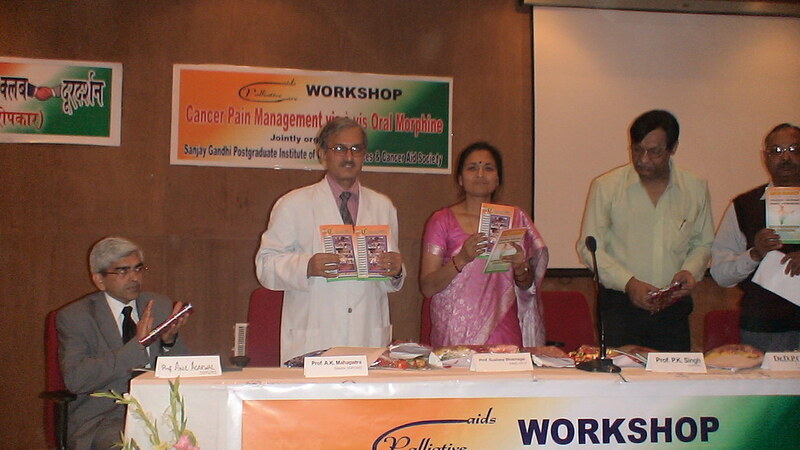 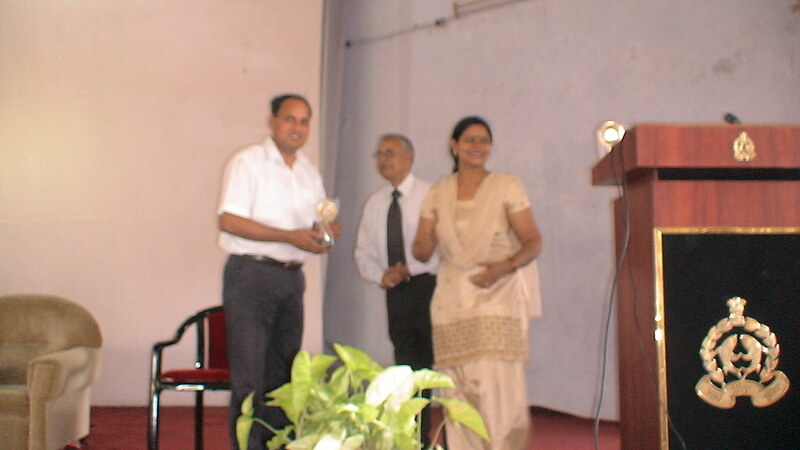 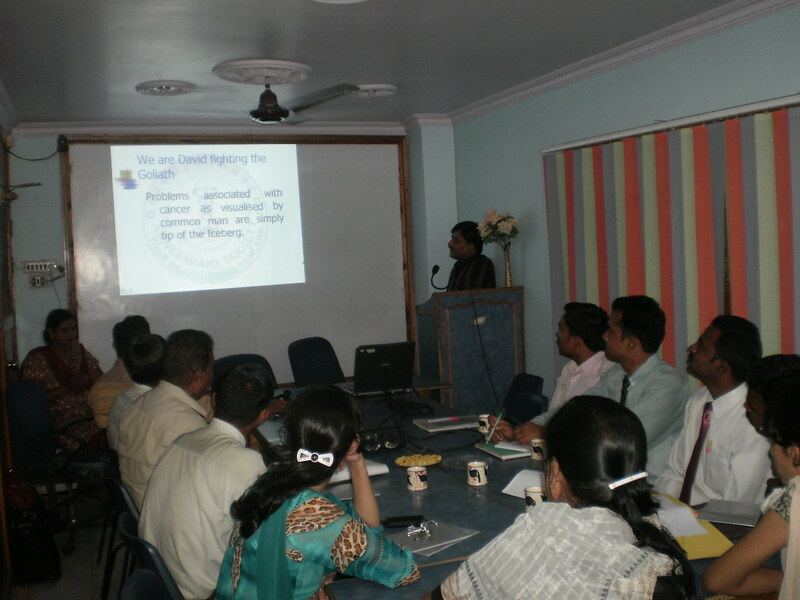 Organized a one day Workshop on Palliative Care titled “Care beyond Cure” conducted by Dr. Rajagopal one of the Pioneers in the field of Palliative Care in India at Cancer Institute, Adyar Chennai on 18th July 2009 for the Doctors and Nurses of Tamil Nadu. 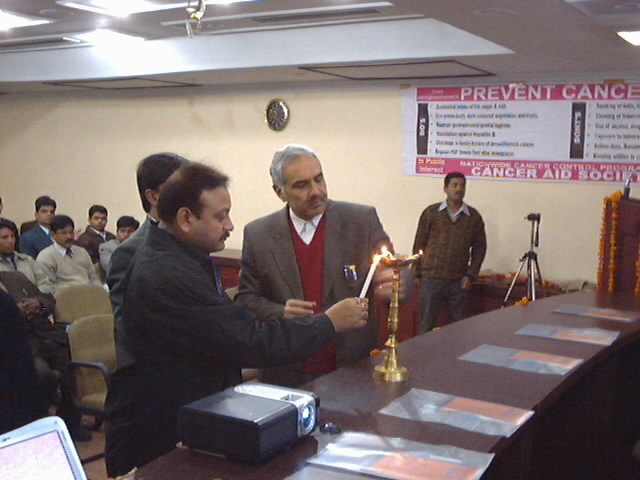 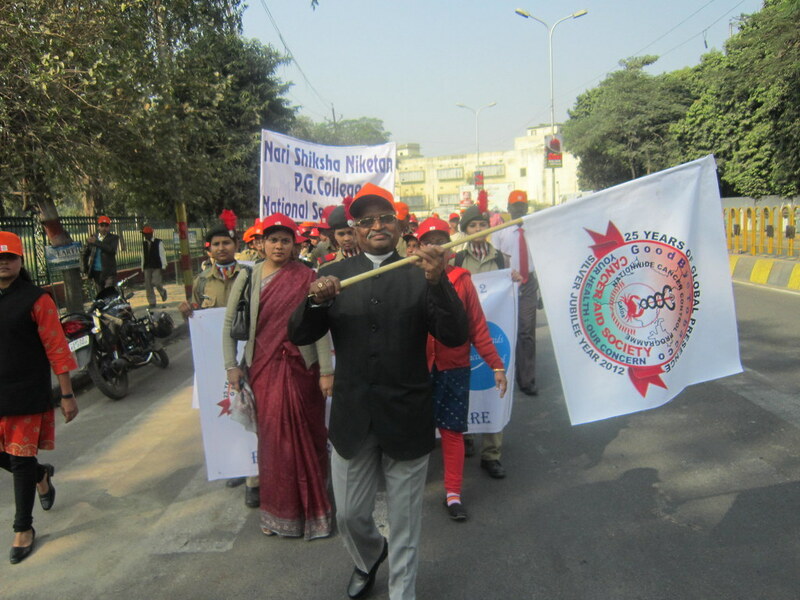 Organised a one day Workshop at BRD Medical College – Gorakhpur on 16/12/09 titled Addressing Palliative Care through Improved Cancer Pain Policy jointly with Dept. 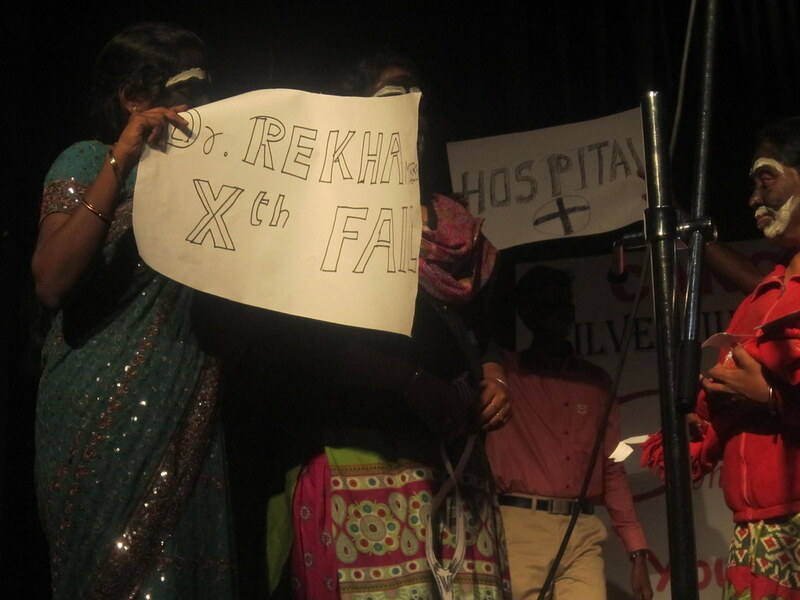 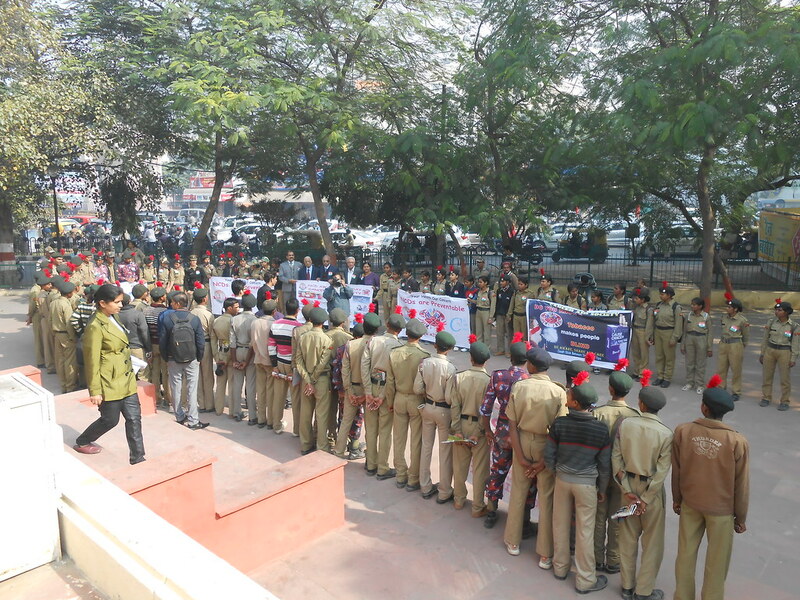 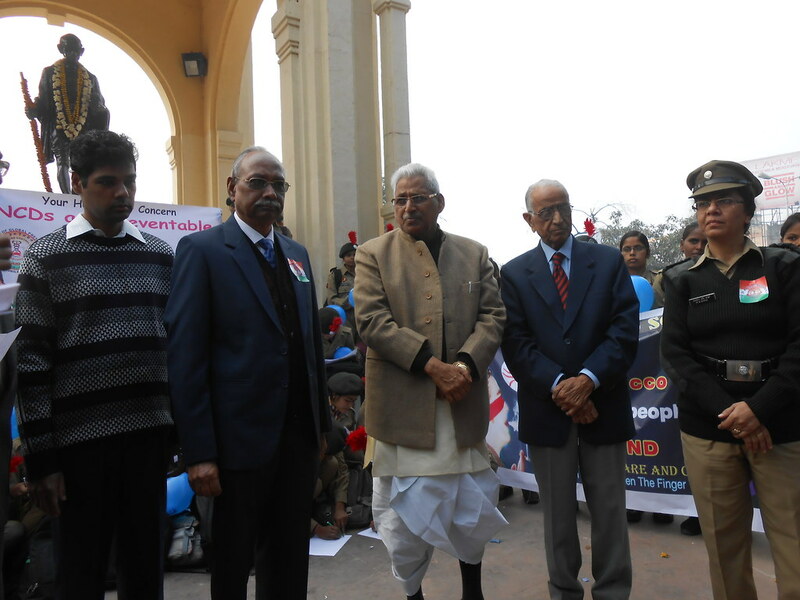 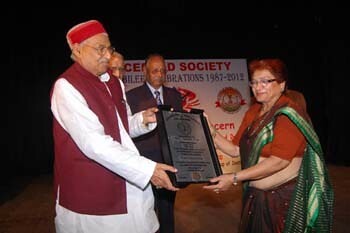 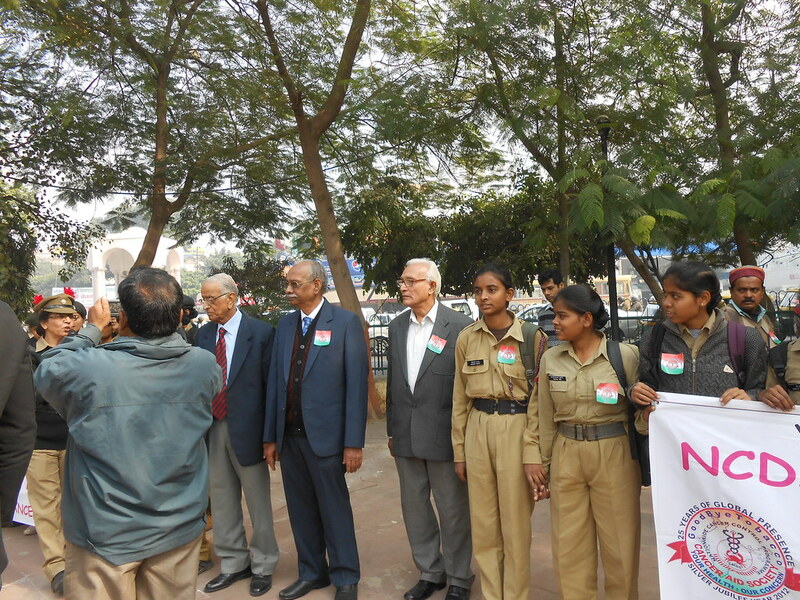 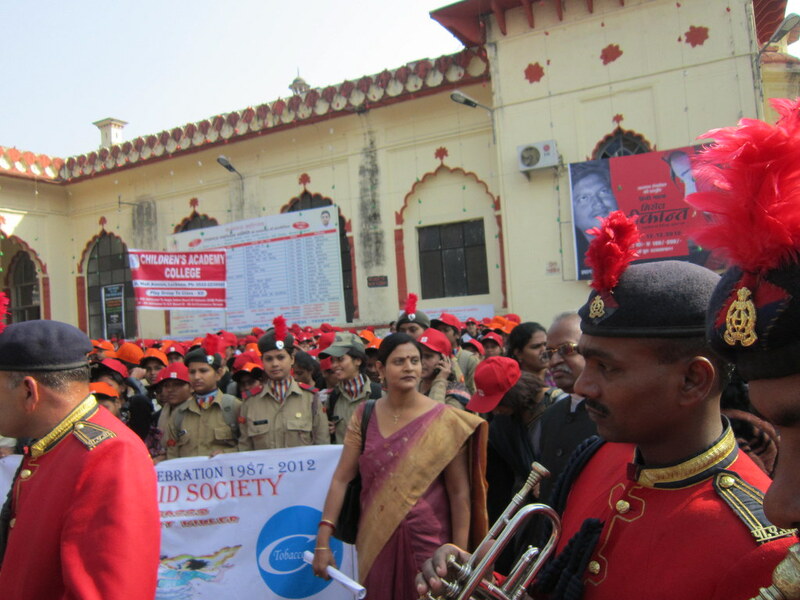 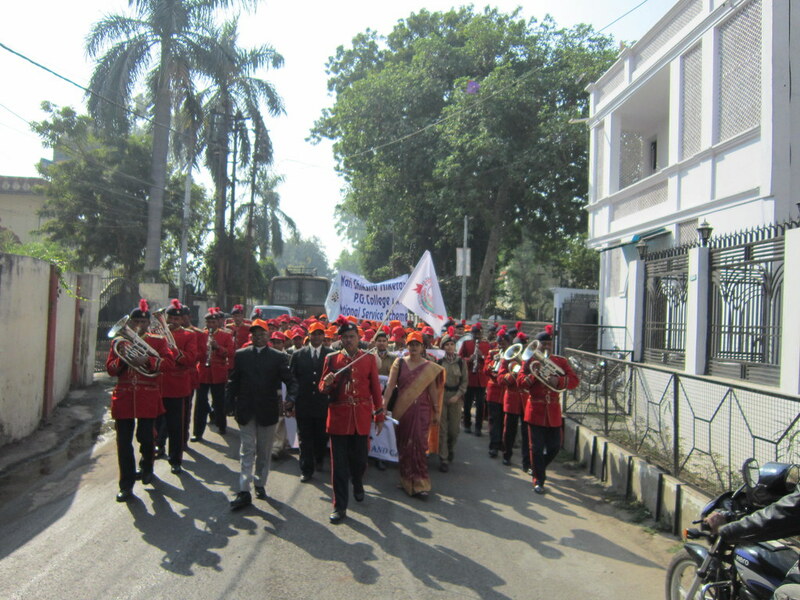 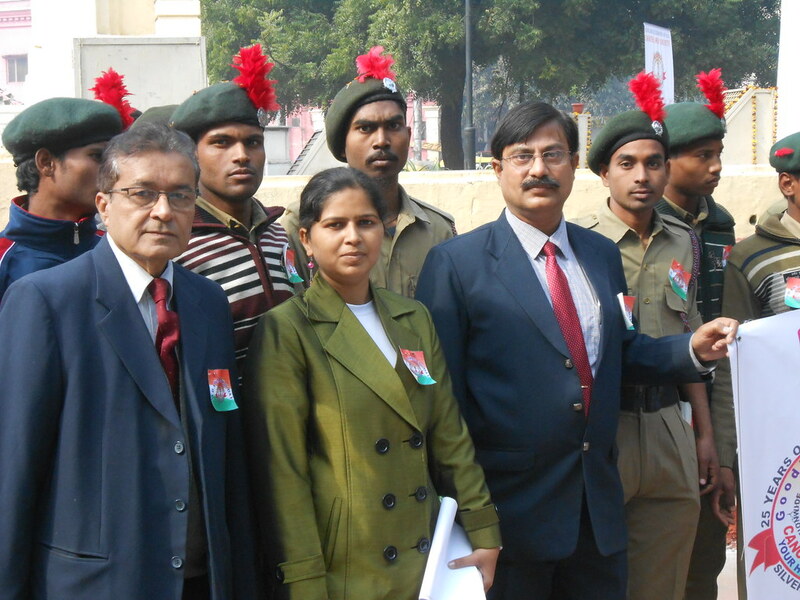 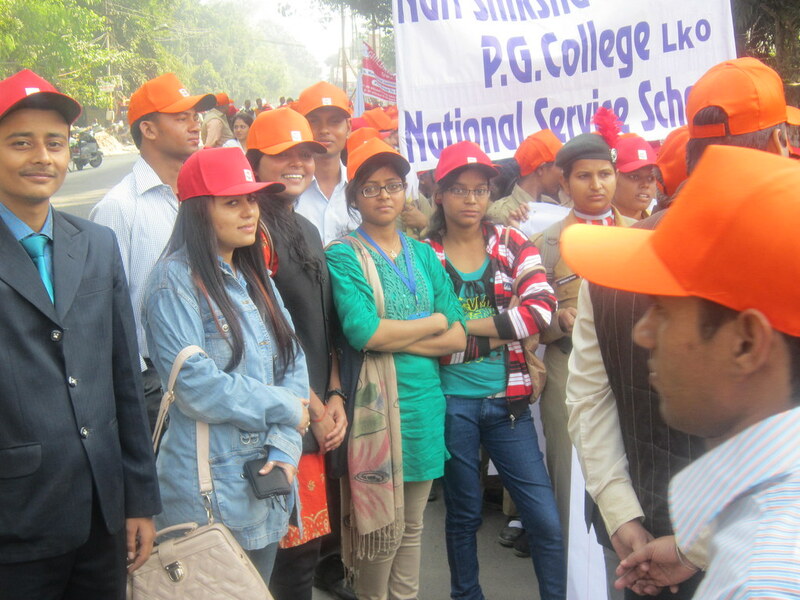 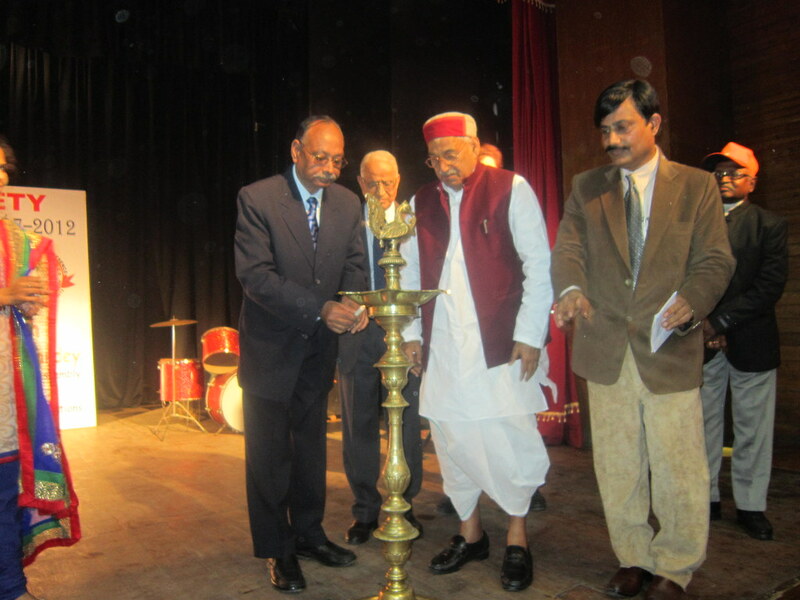 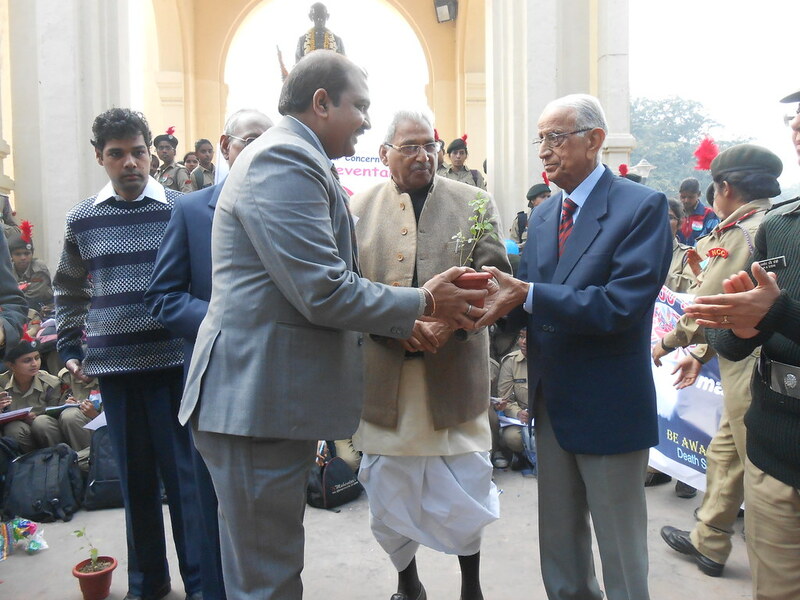 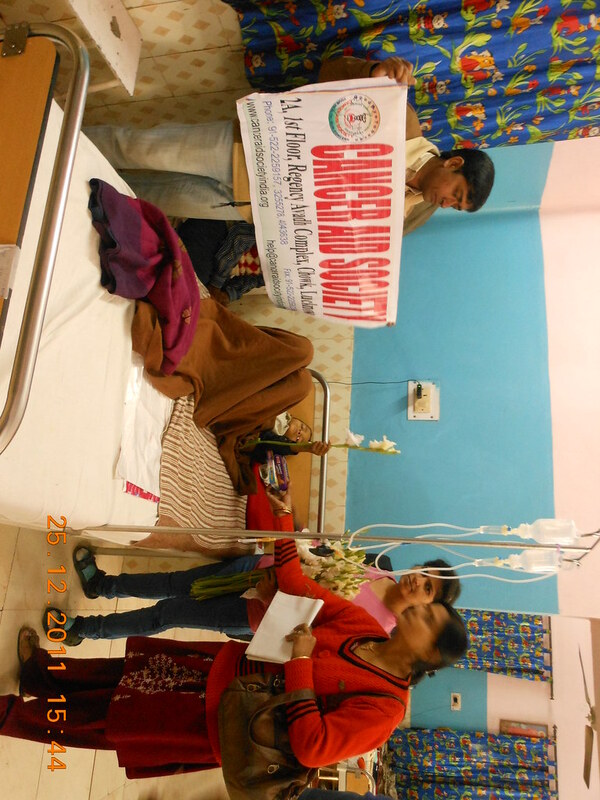 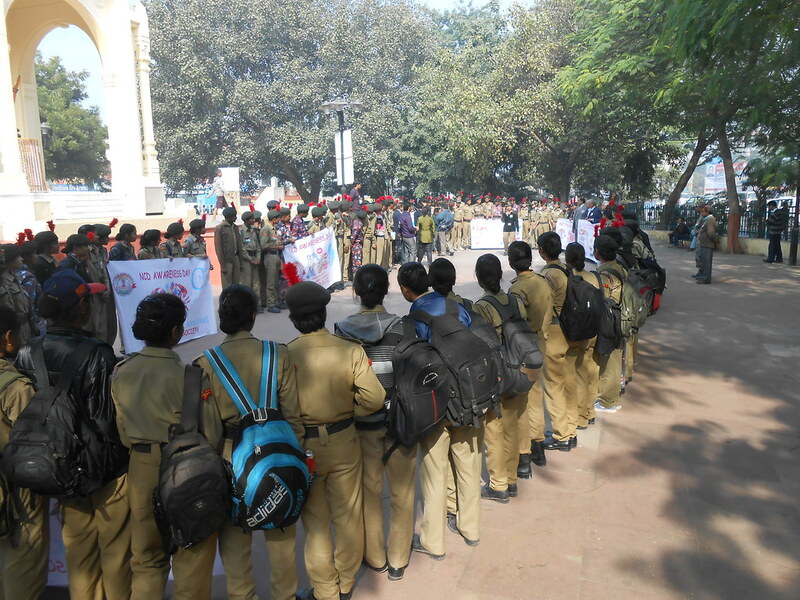 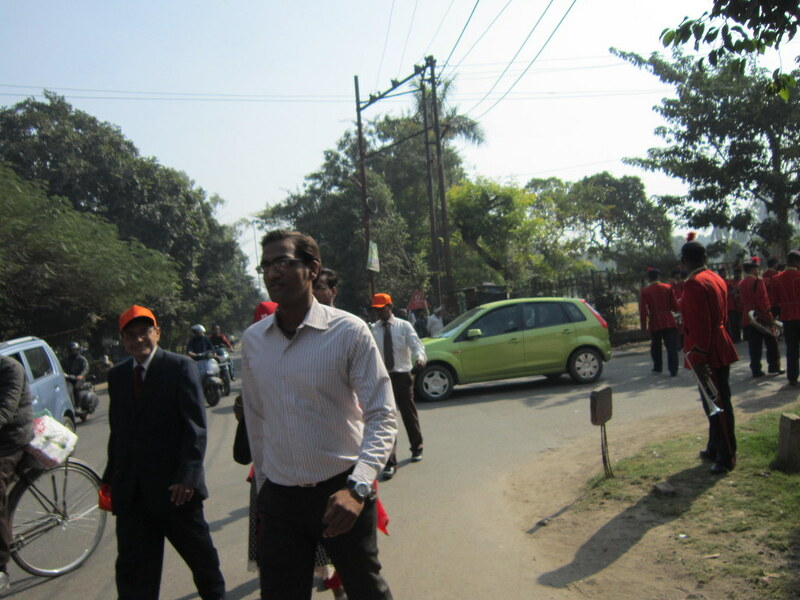 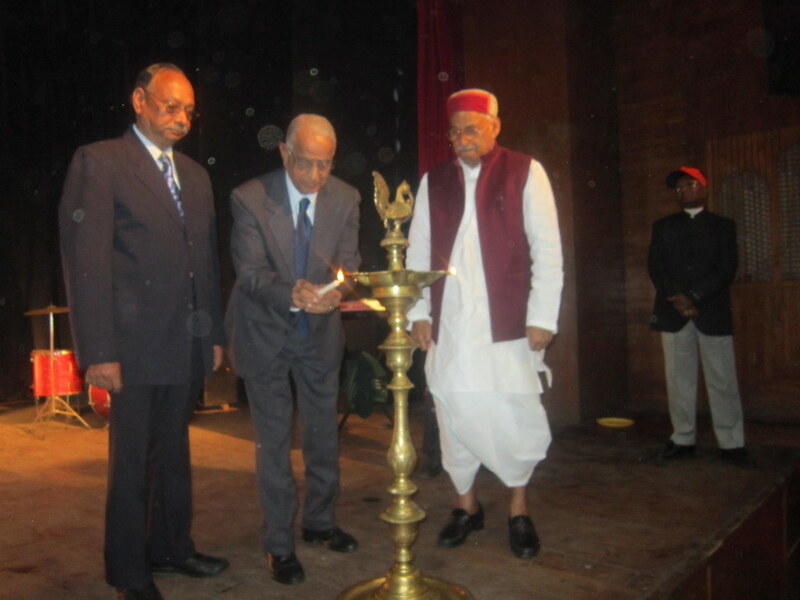 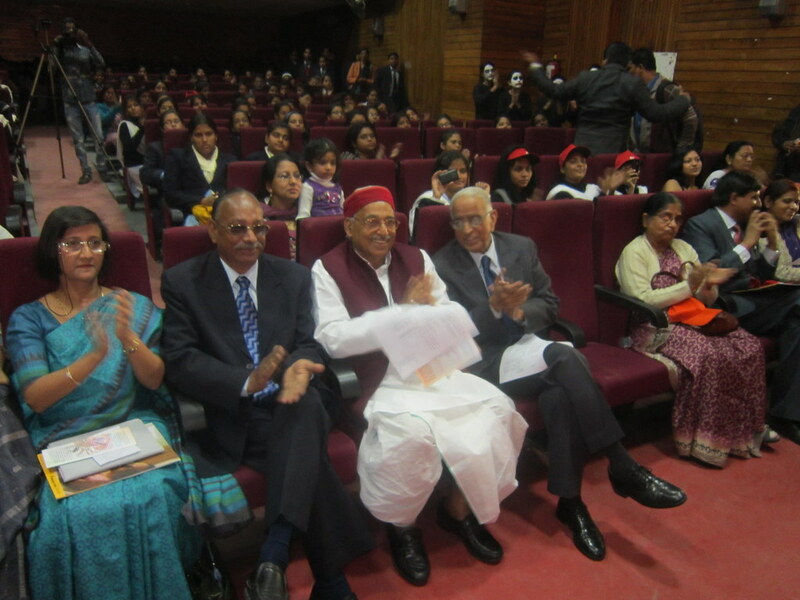 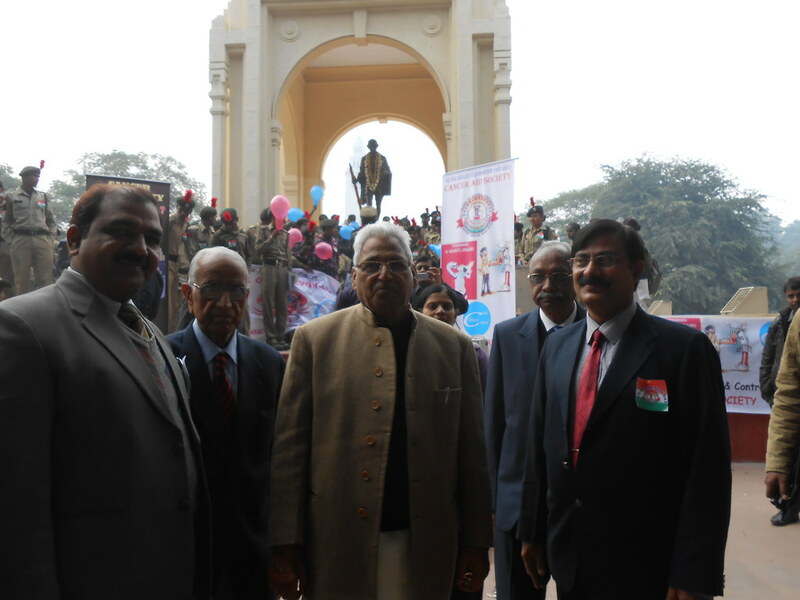 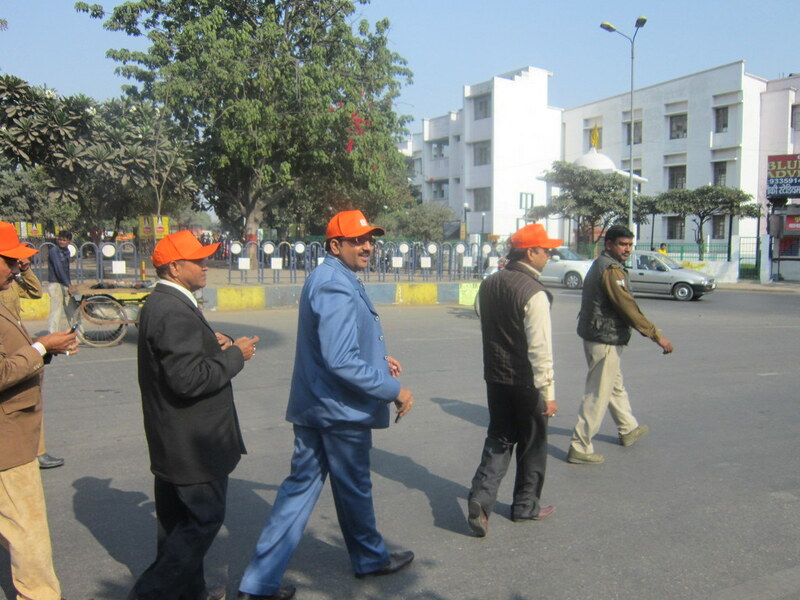 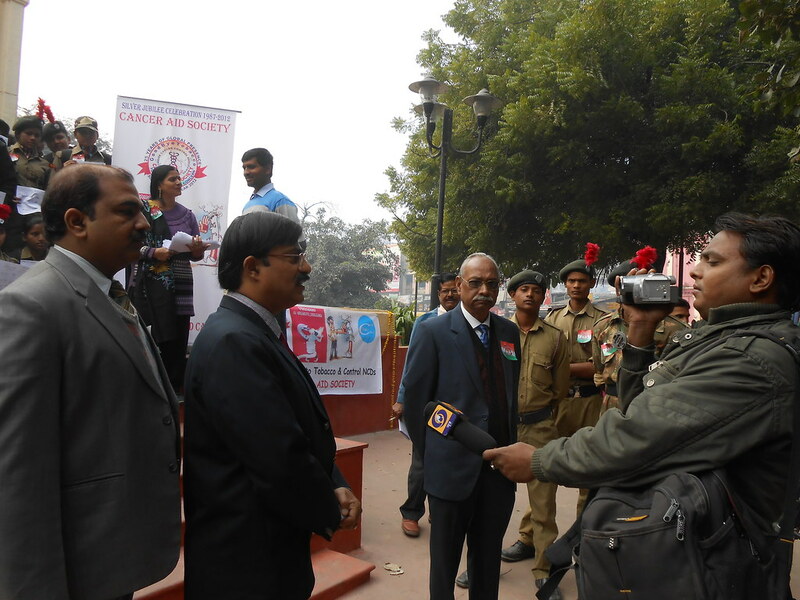 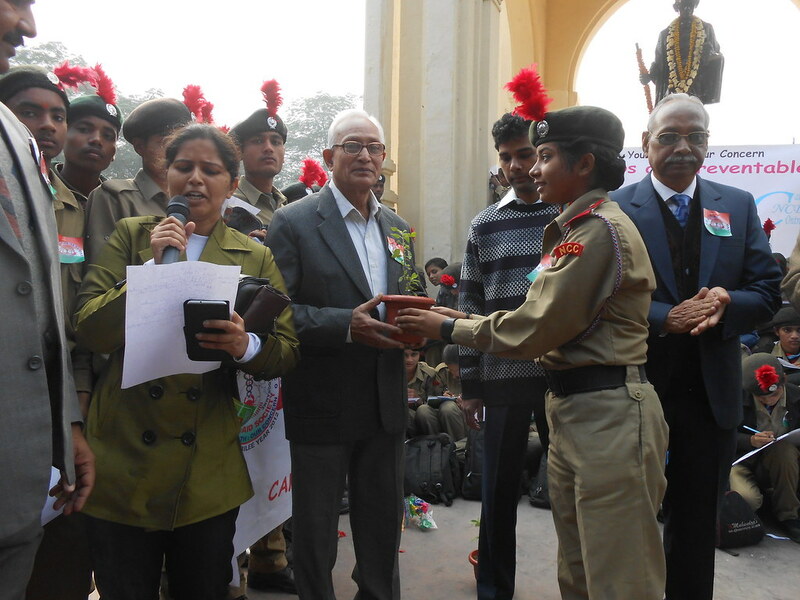 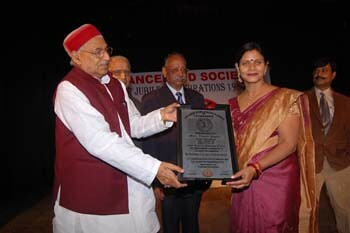 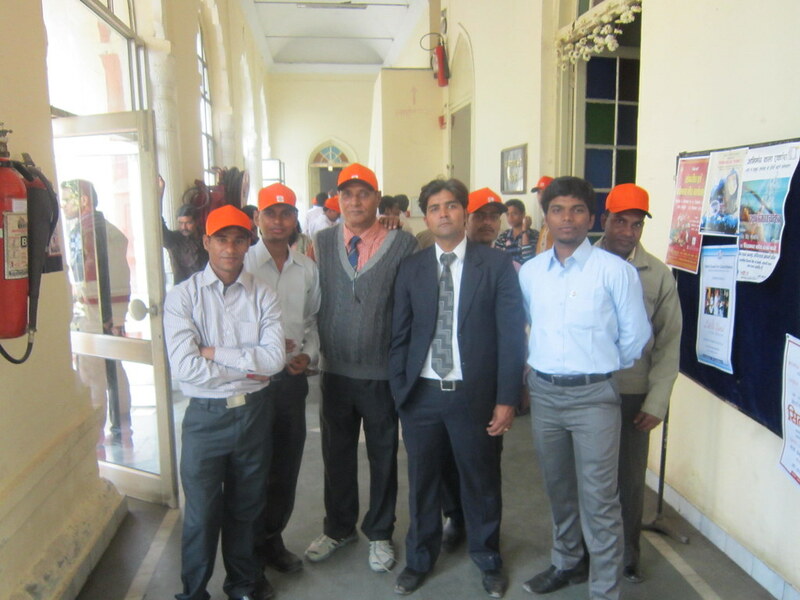 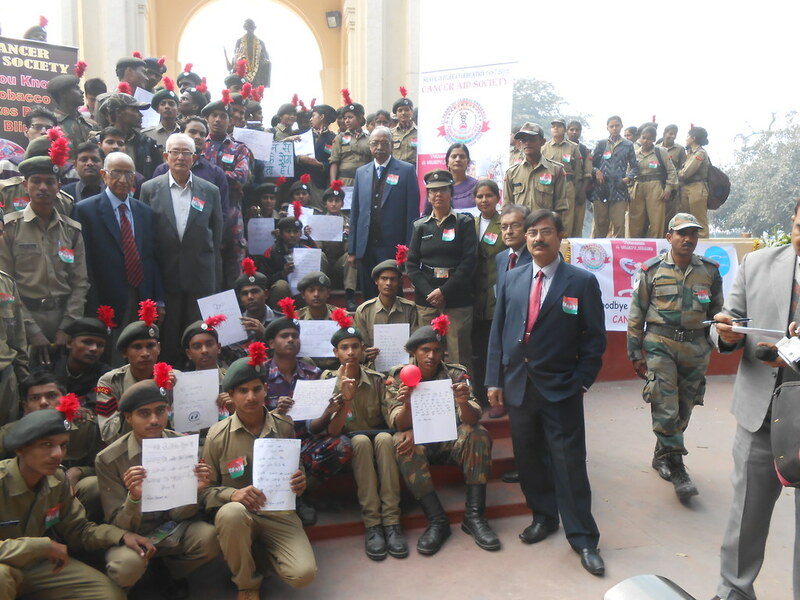 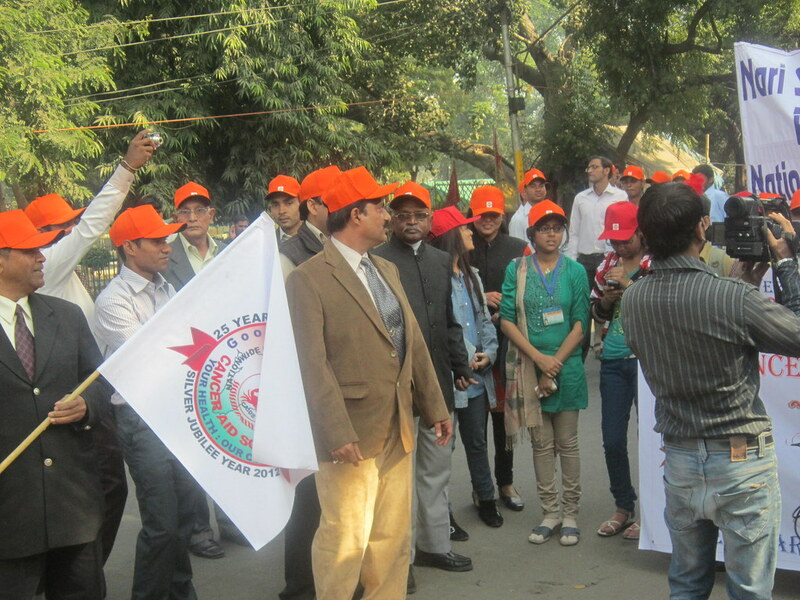 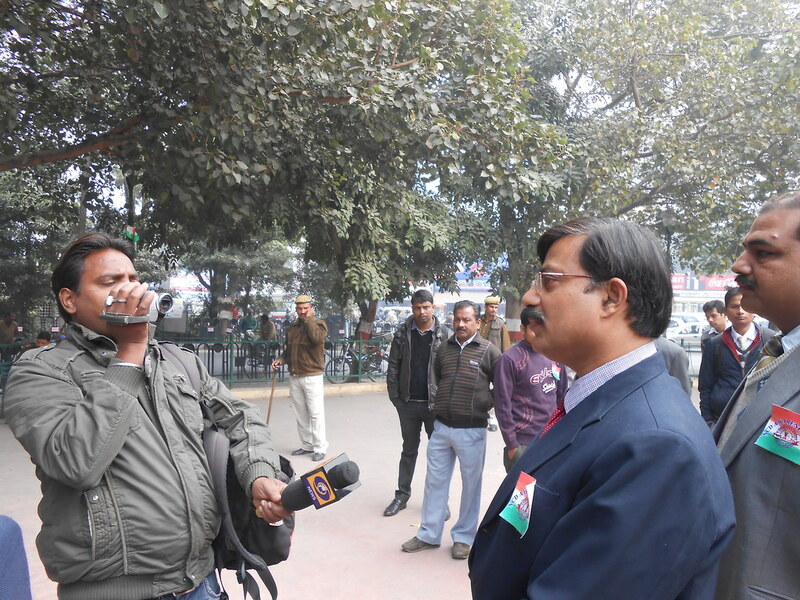 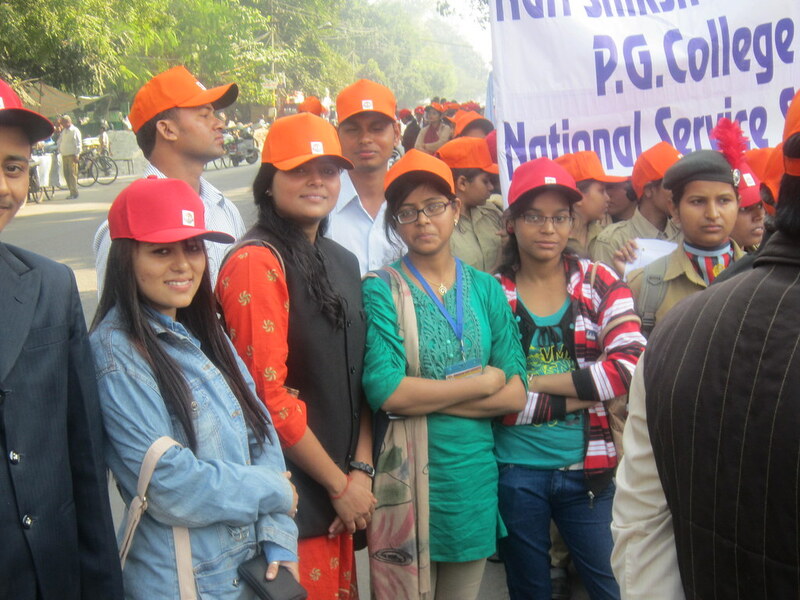 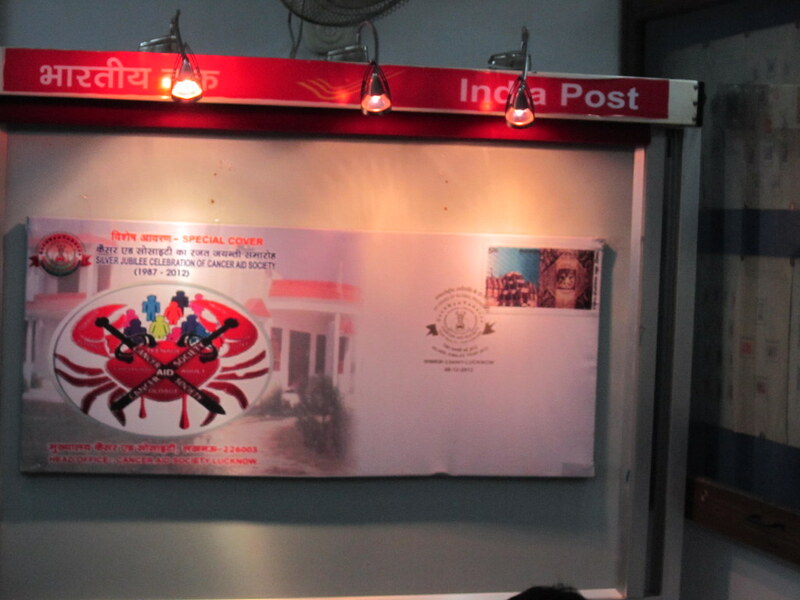 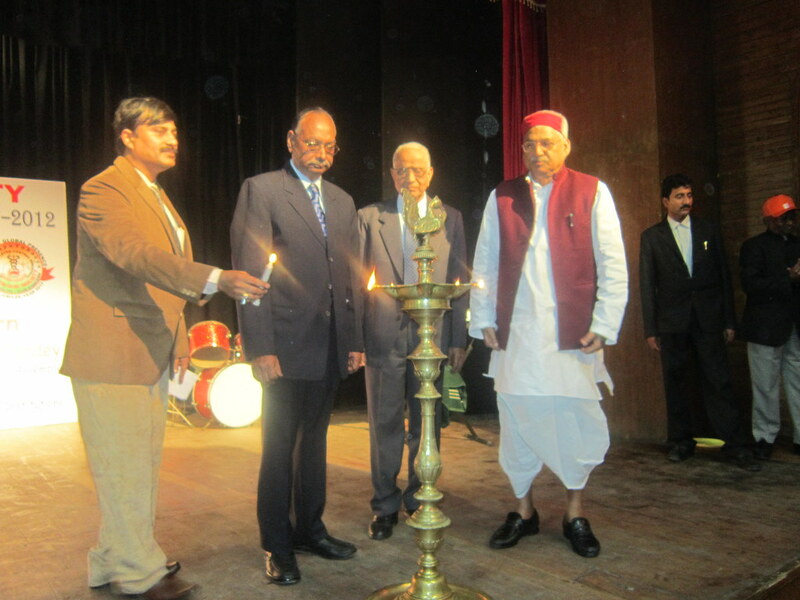 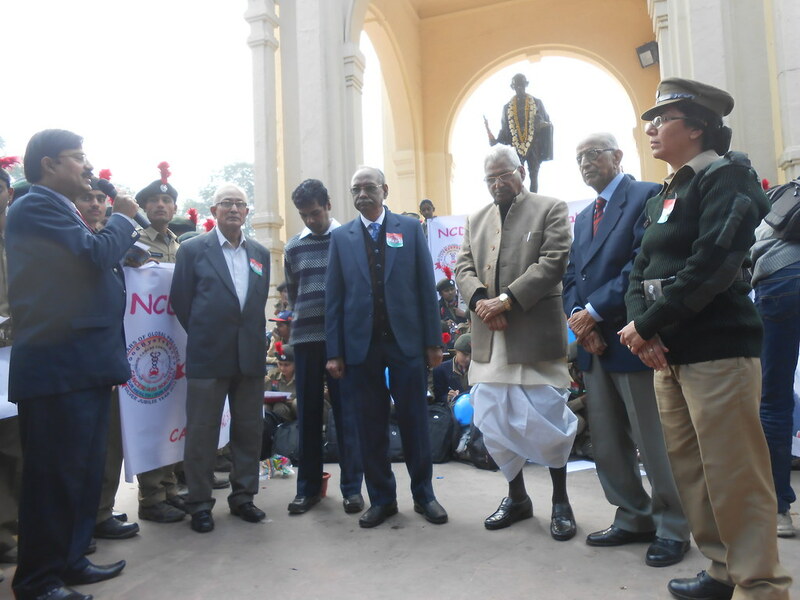 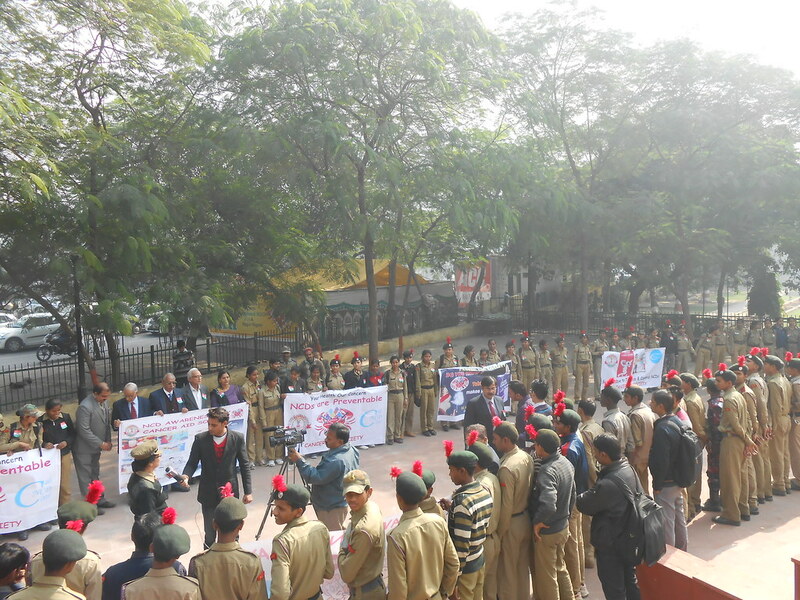 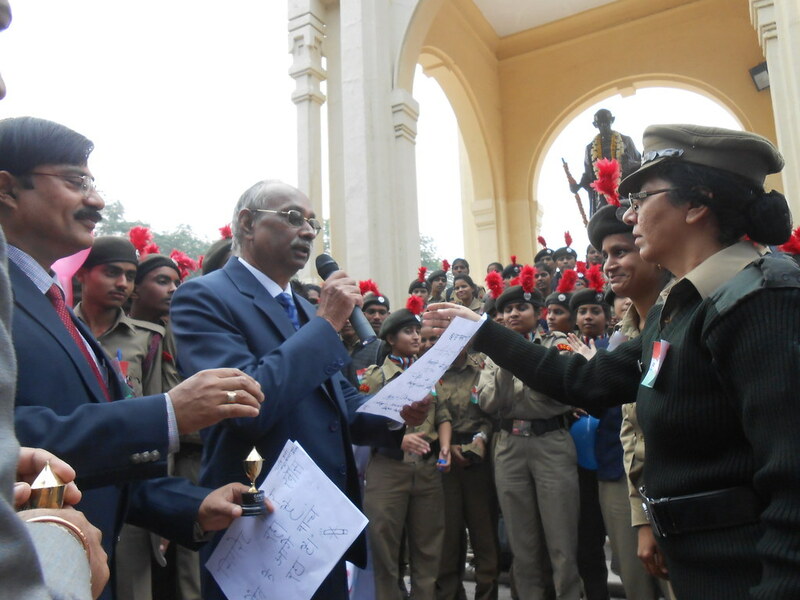 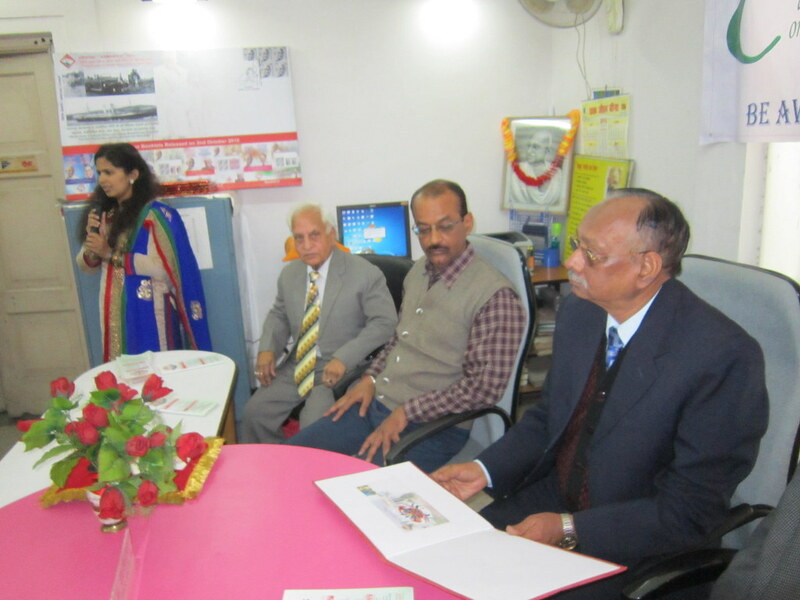 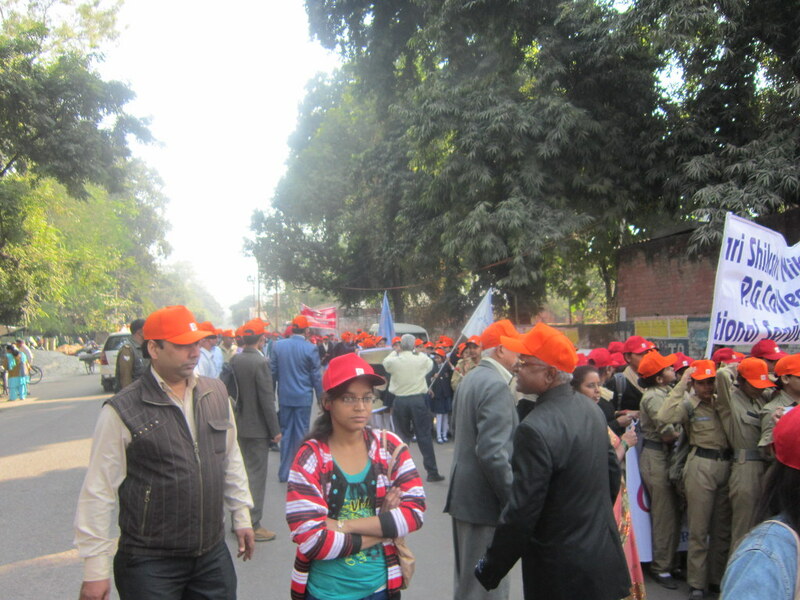 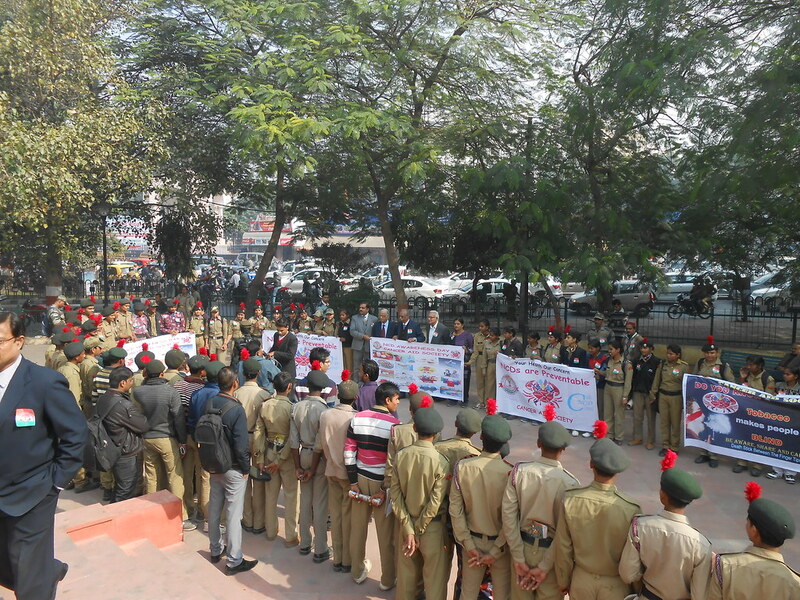 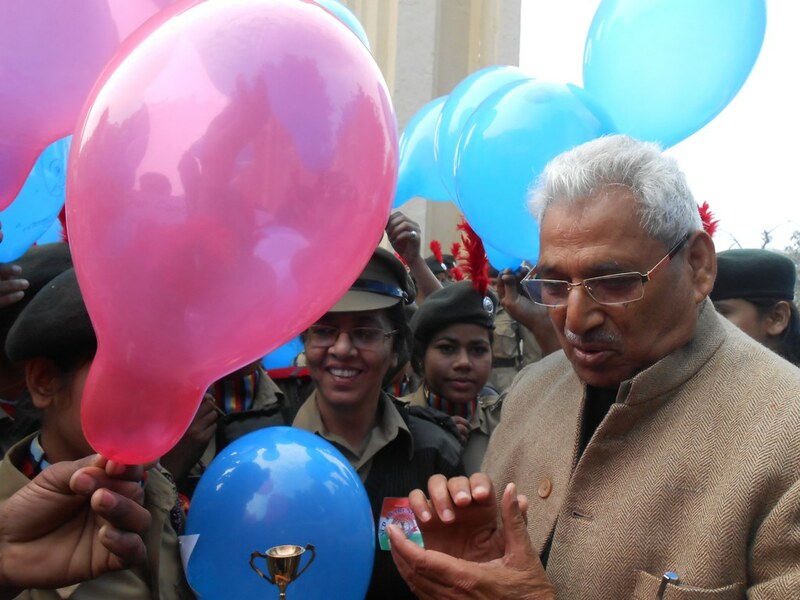 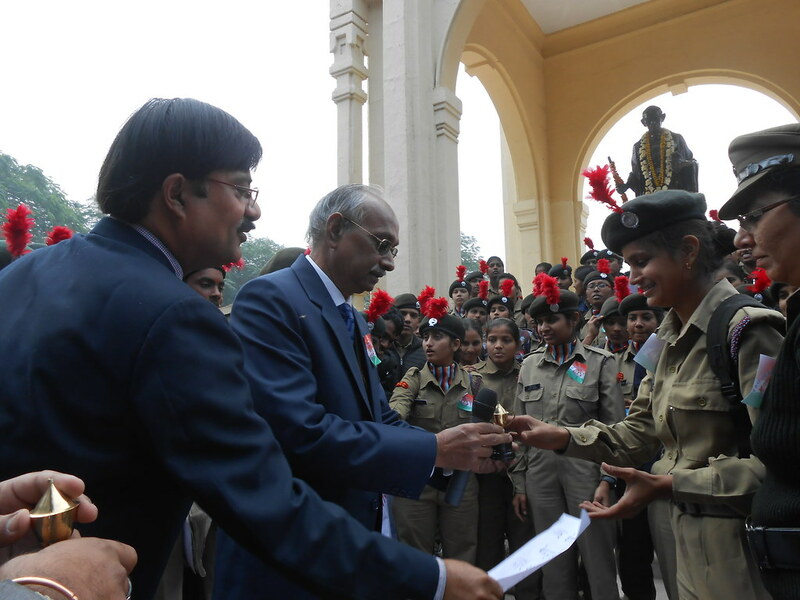 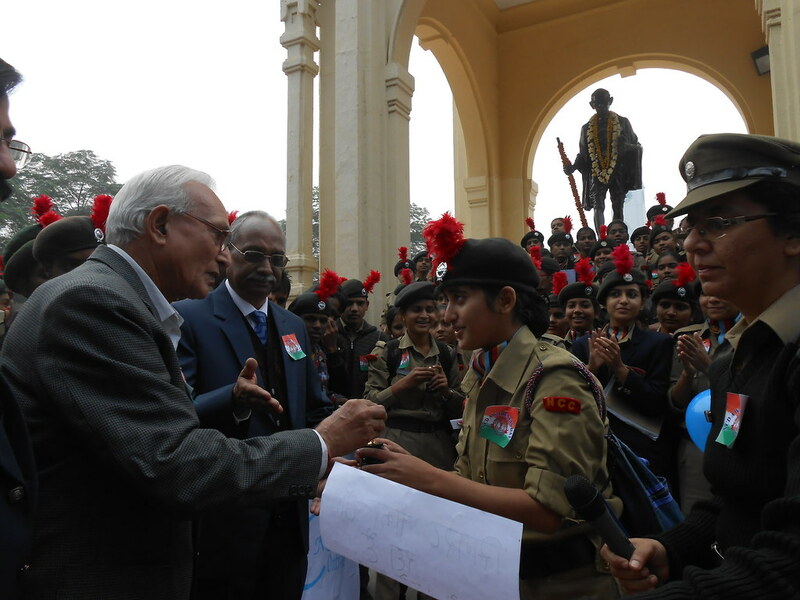 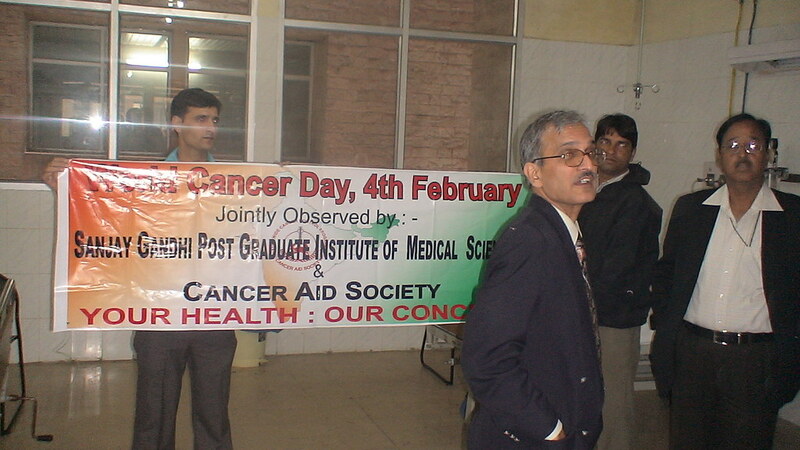 of Anesthesiology, SGPGIMS, Lucknow, under the auspices of American Cancer Society. 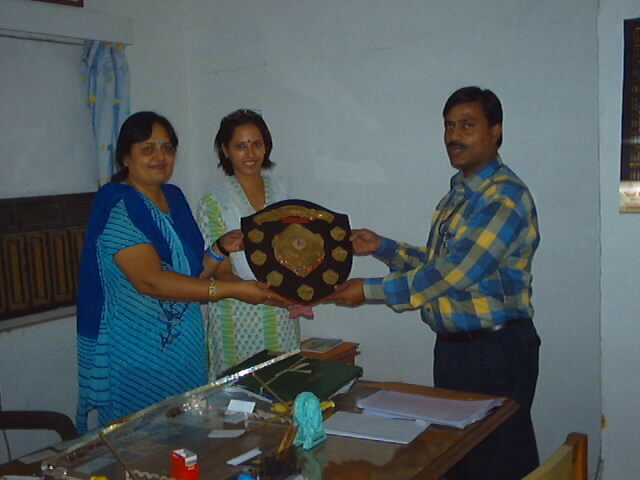 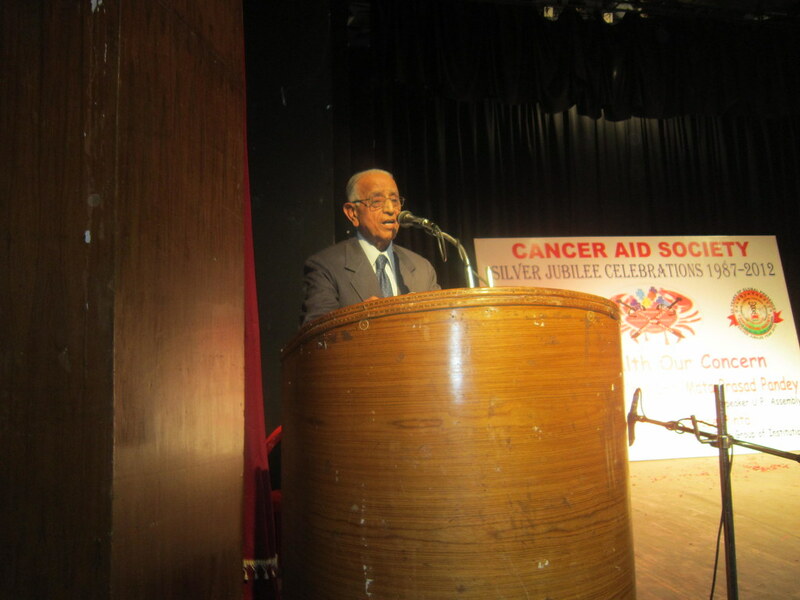 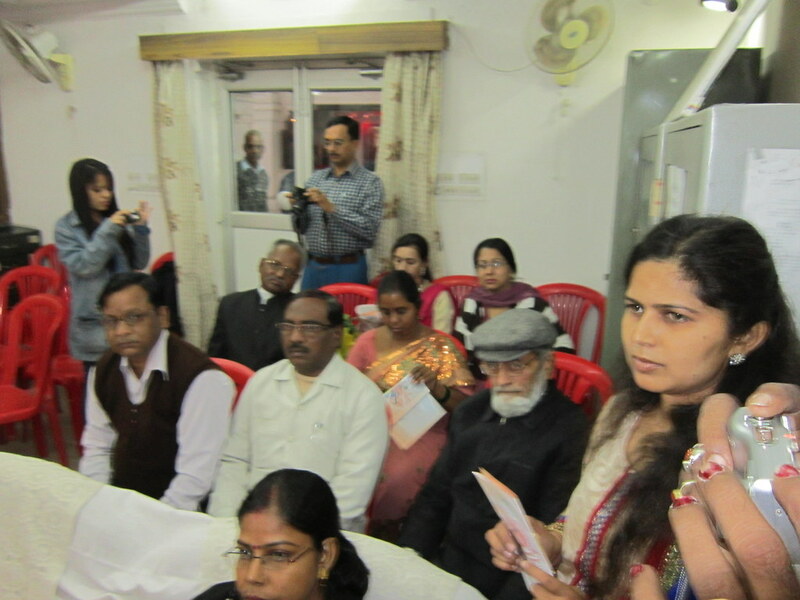 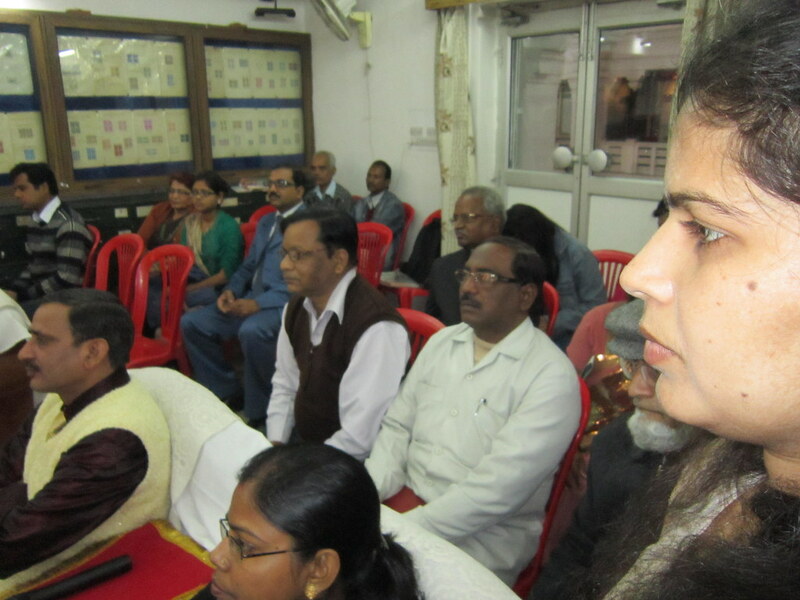 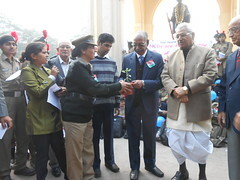 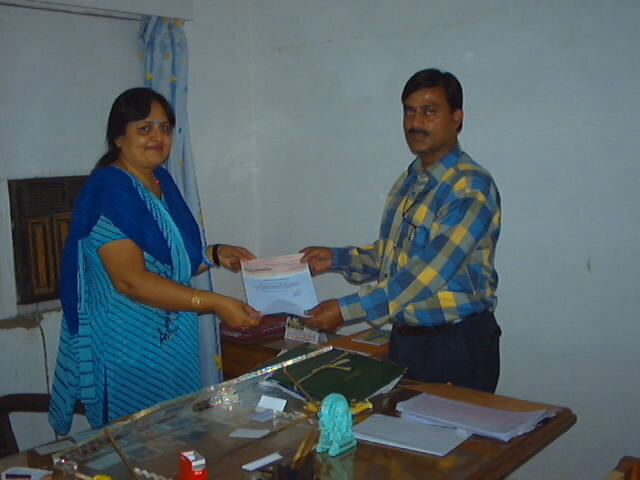 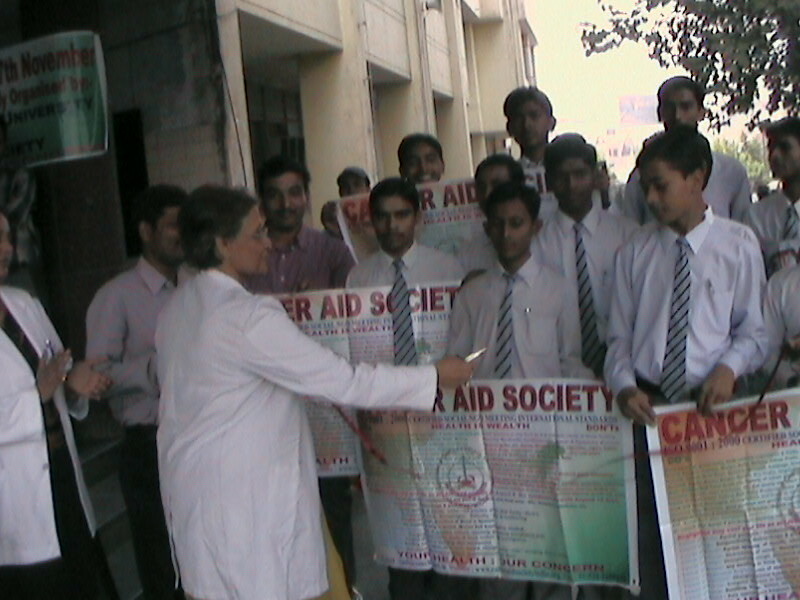 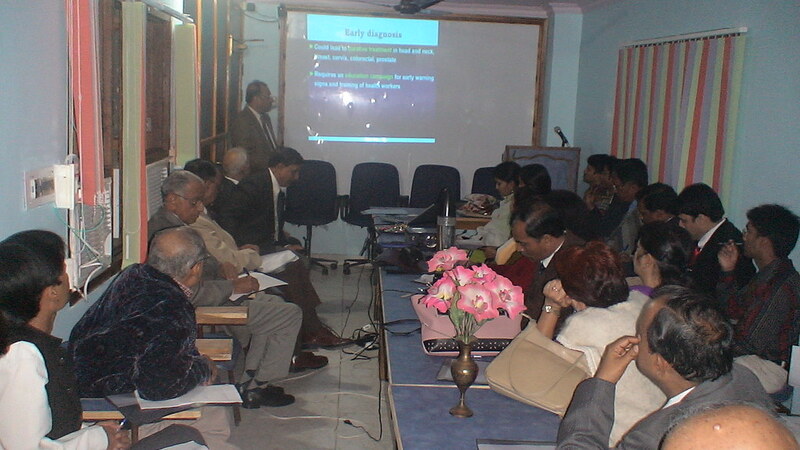 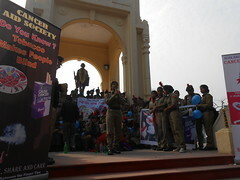 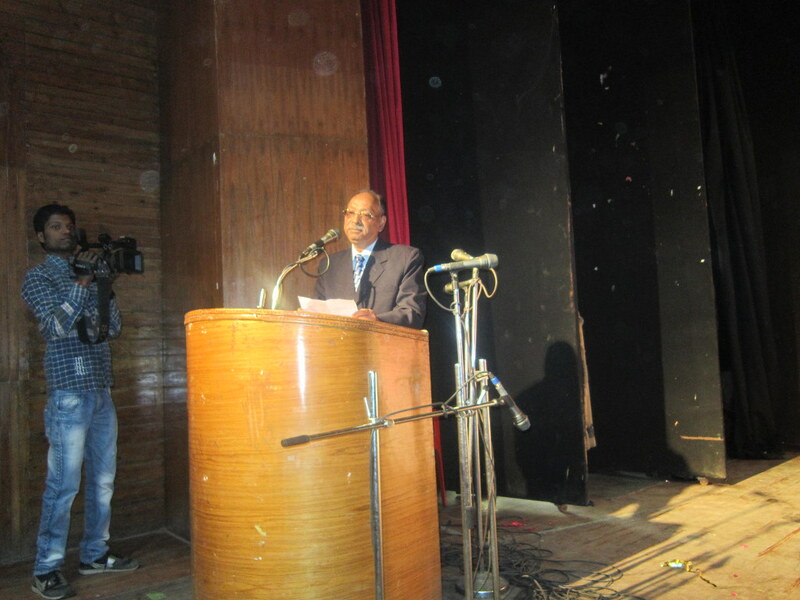 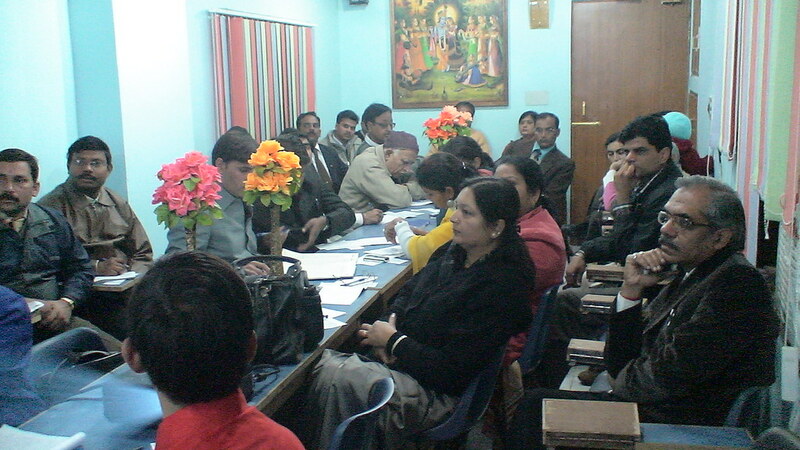 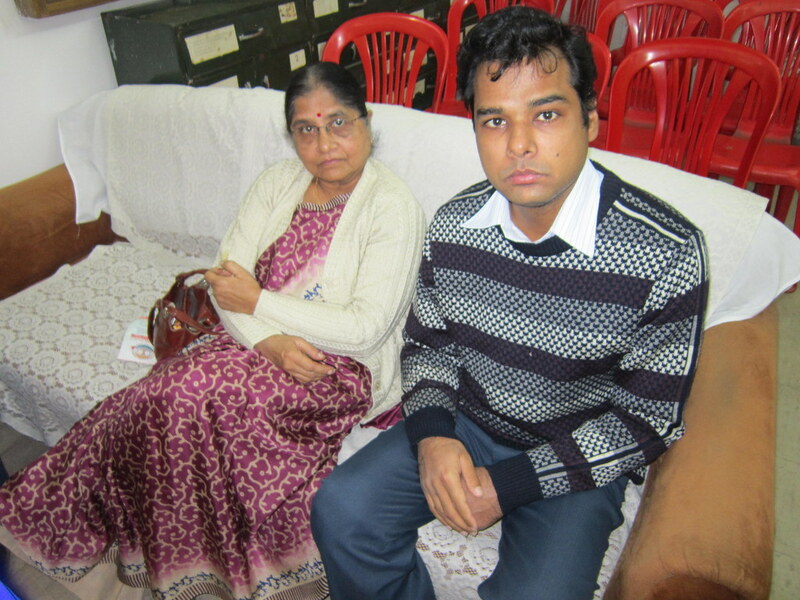 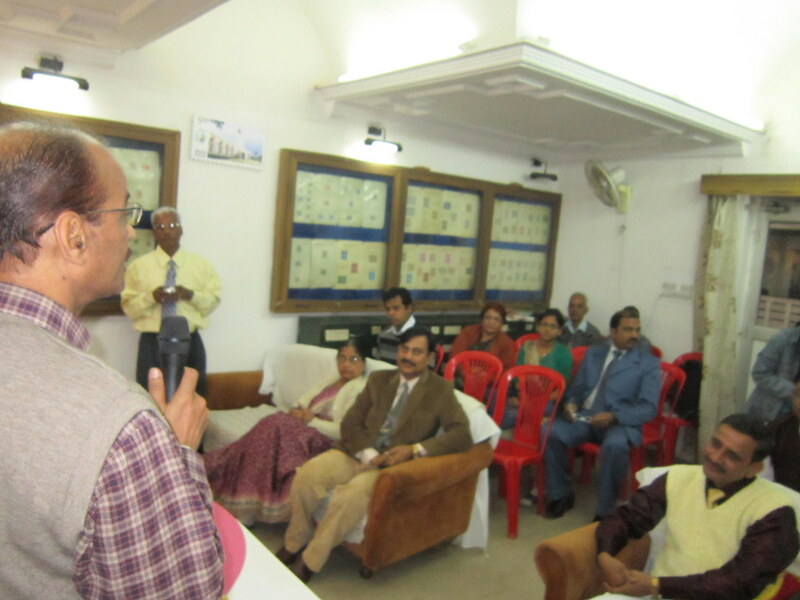 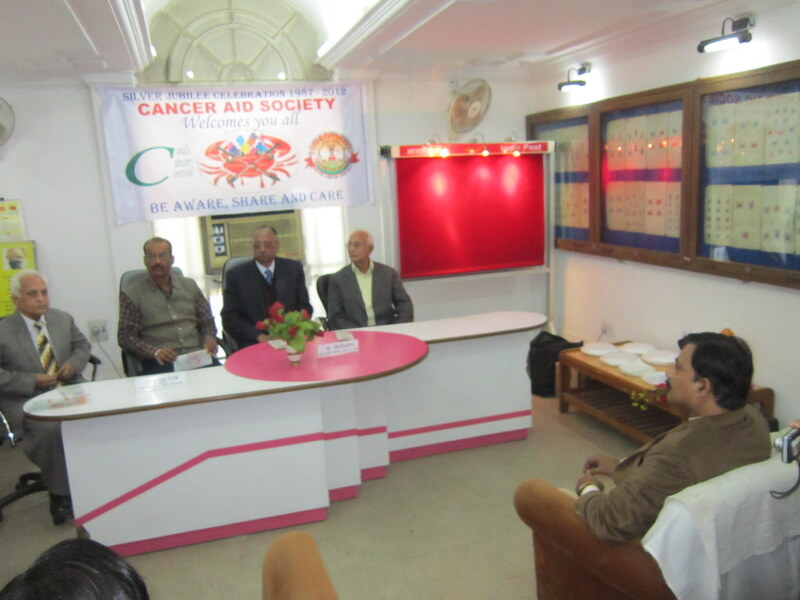 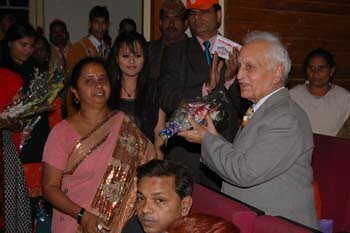 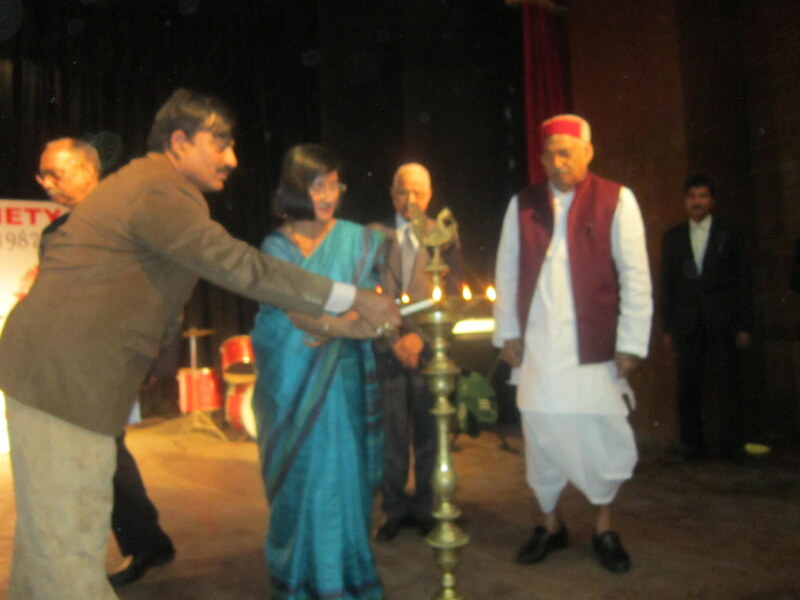 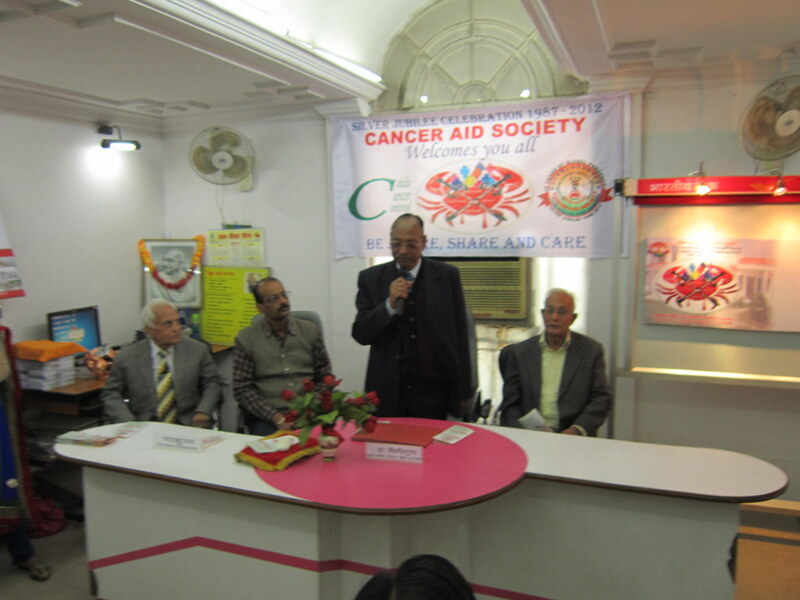 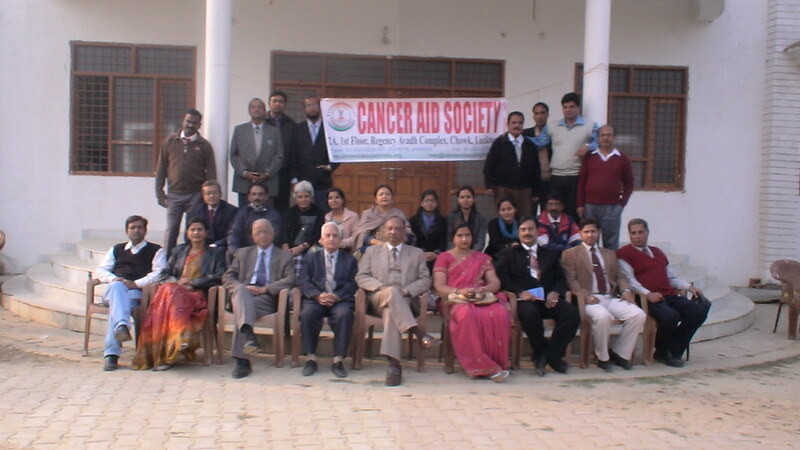 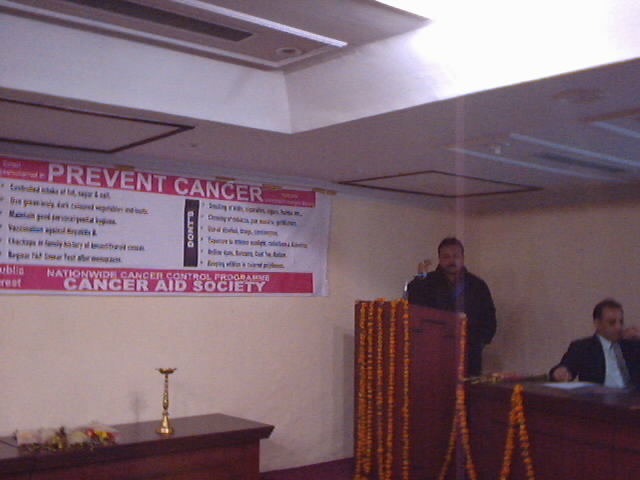 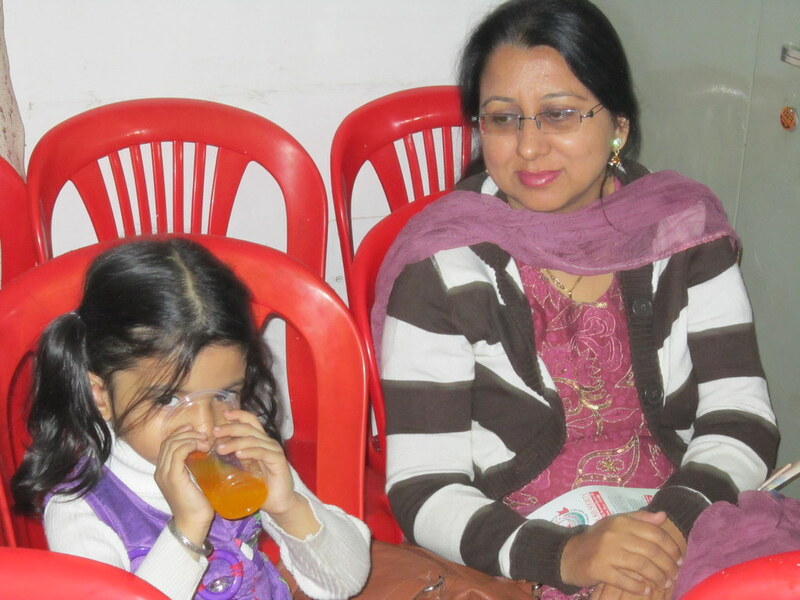 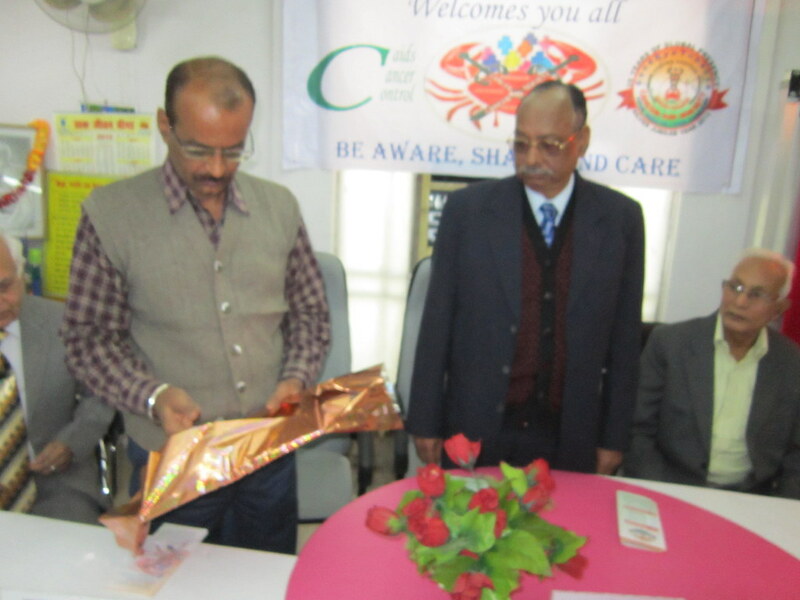 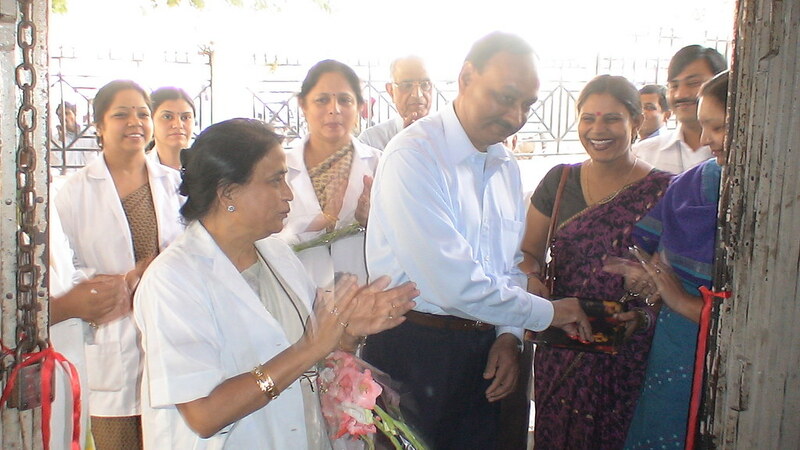 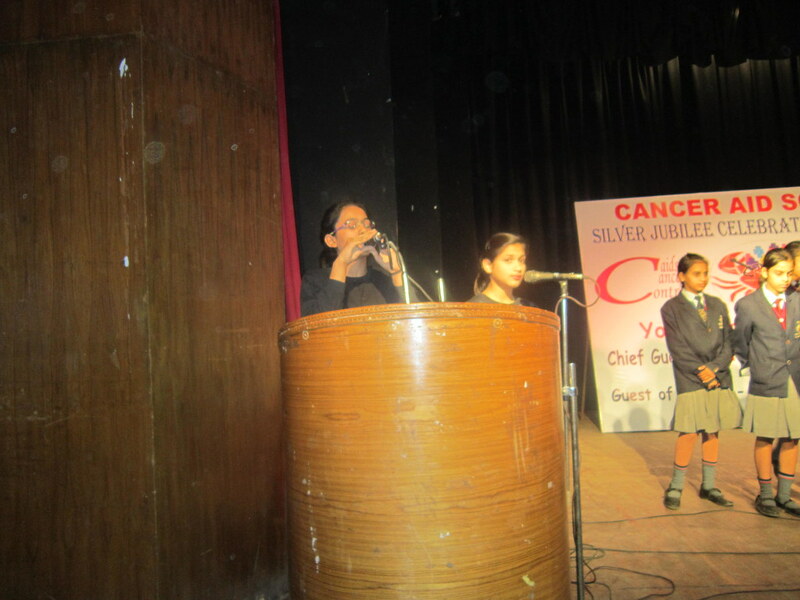 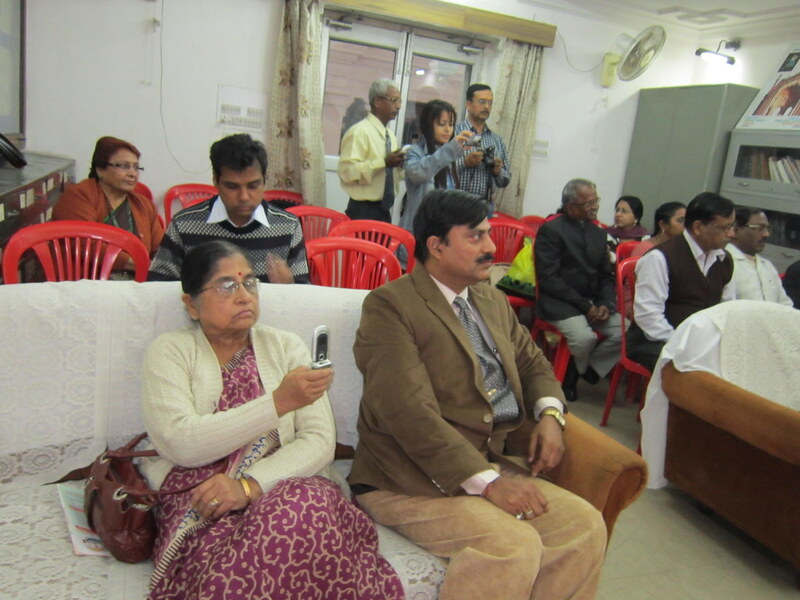 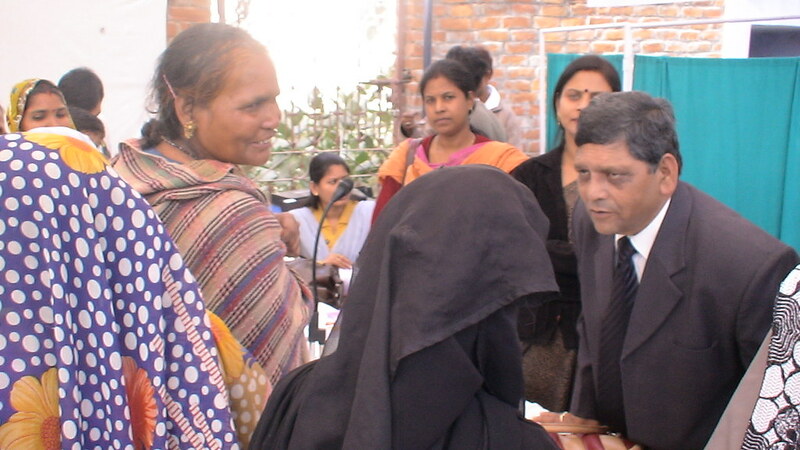 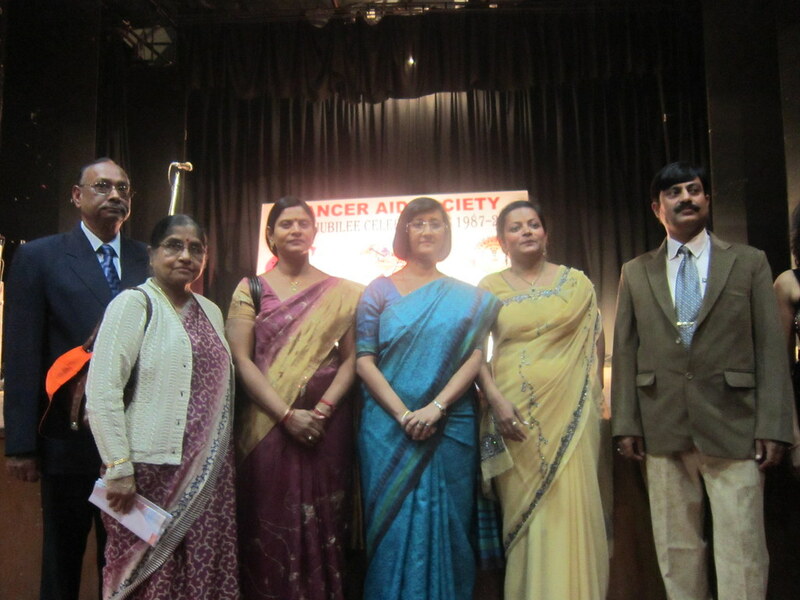 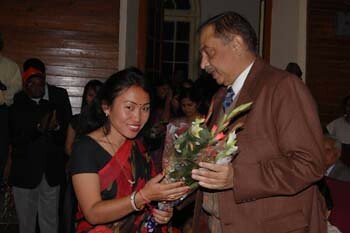 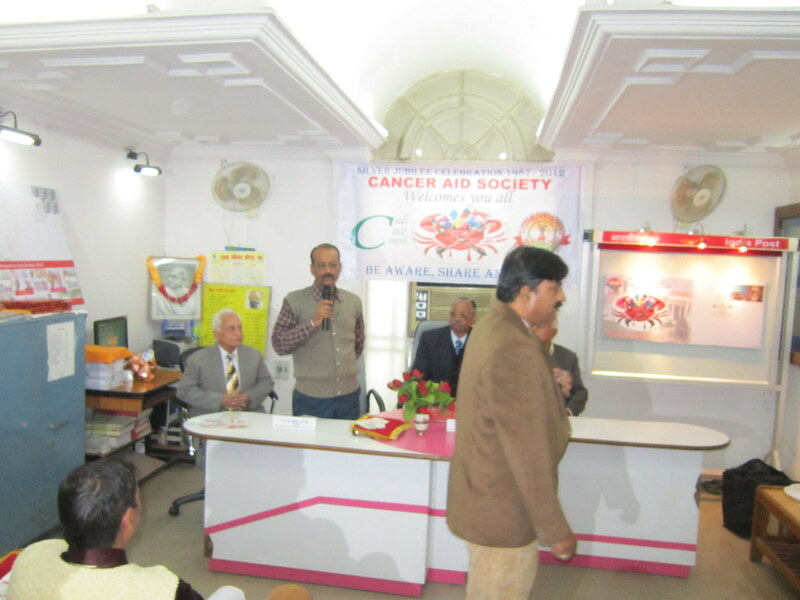 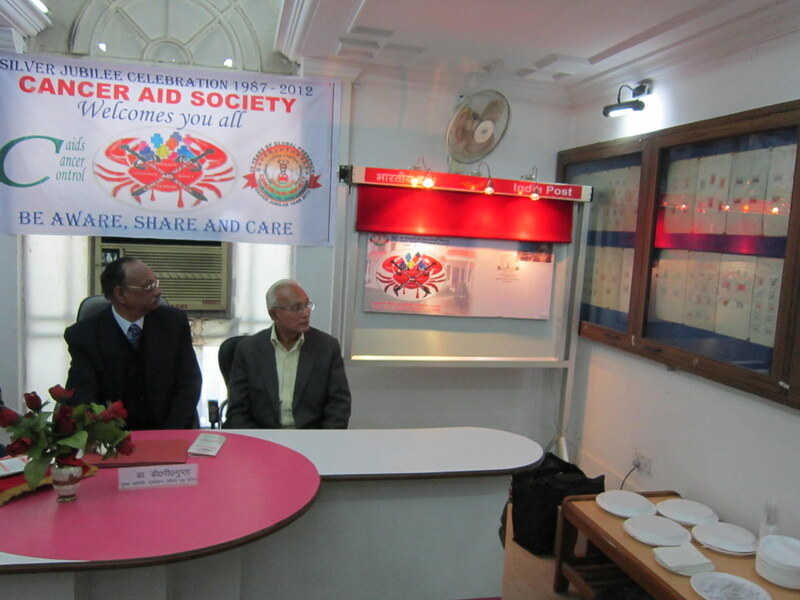 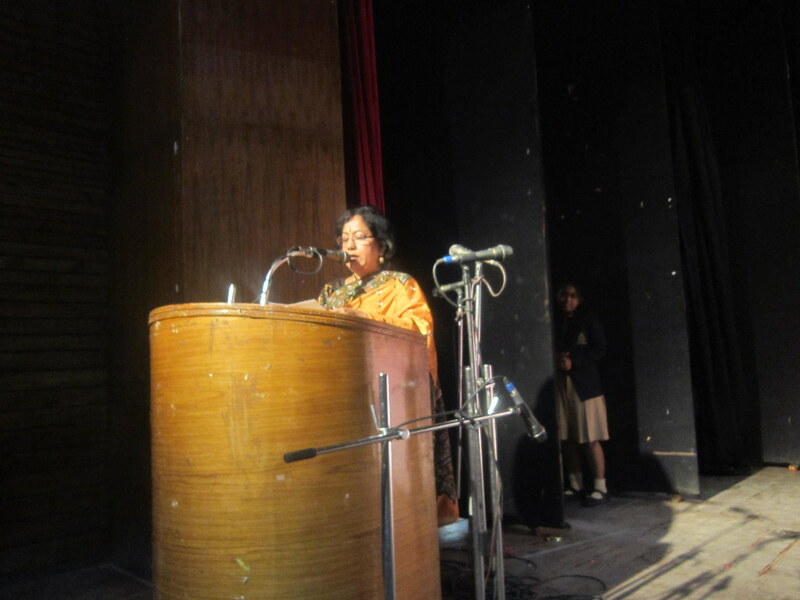 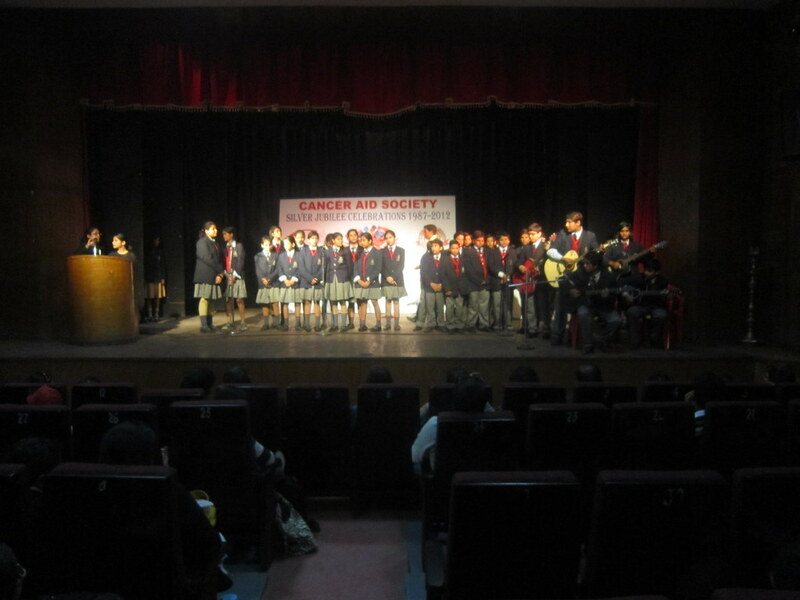 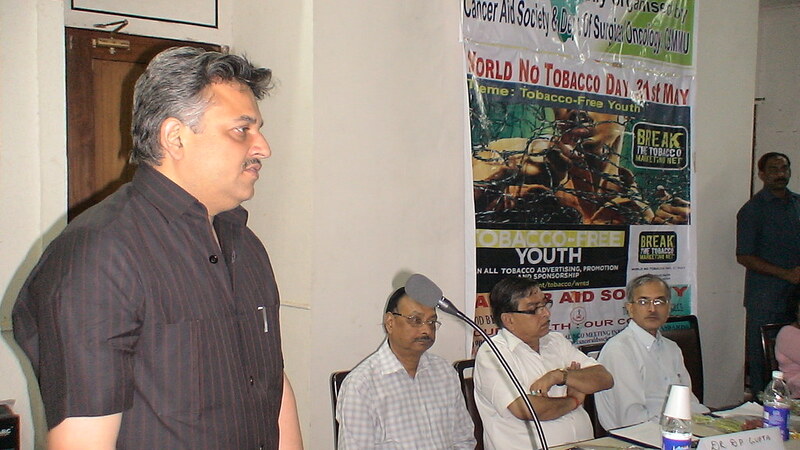 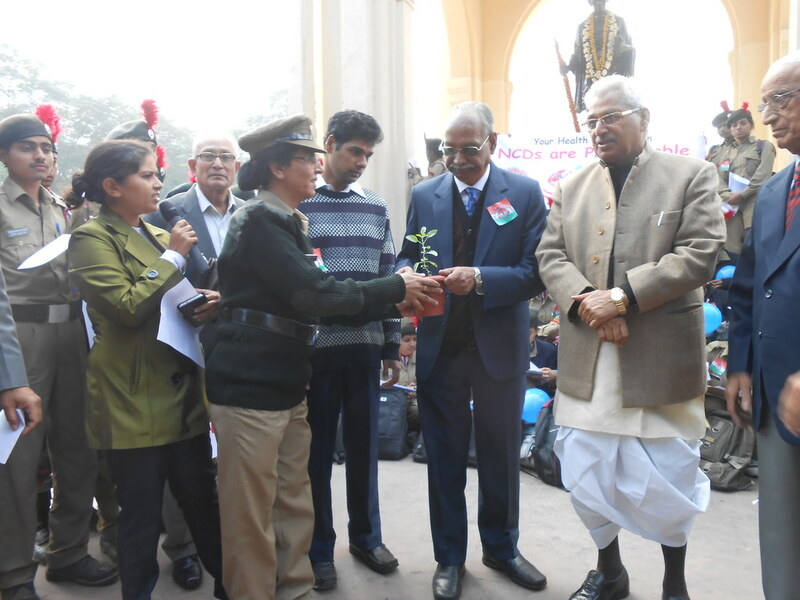 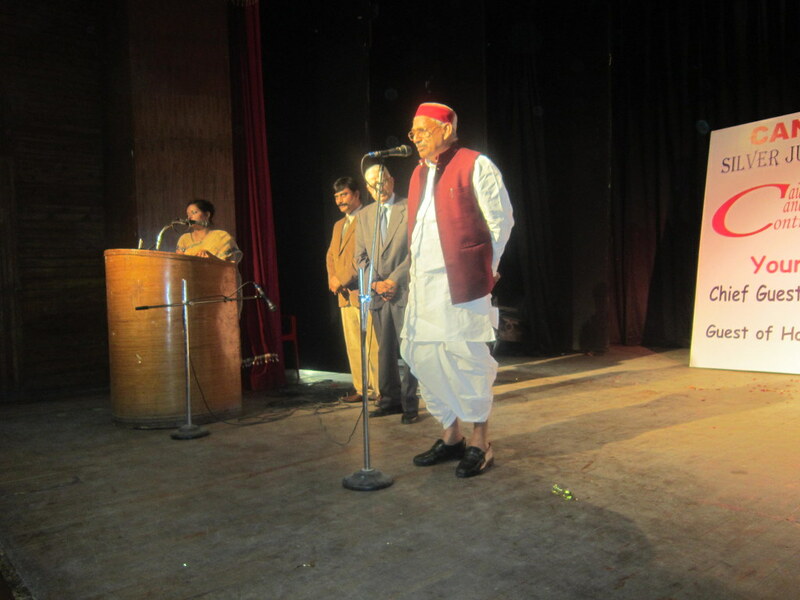 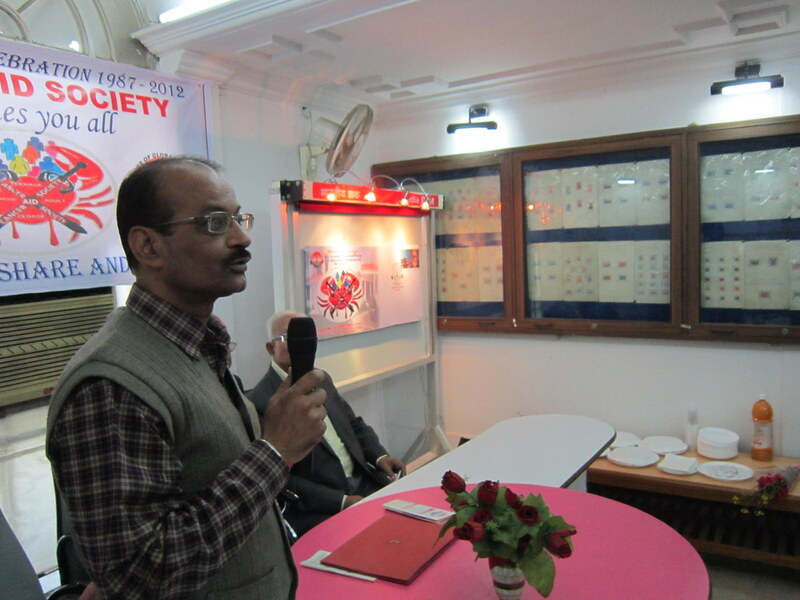 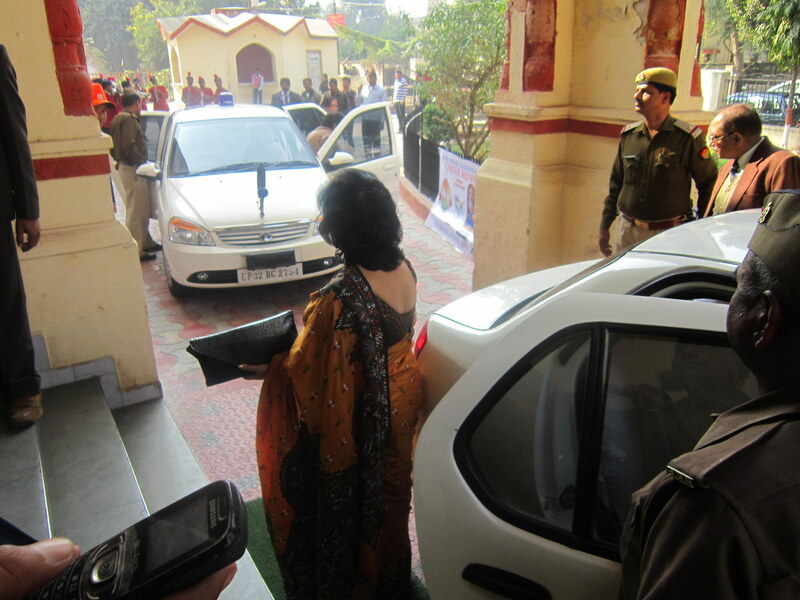 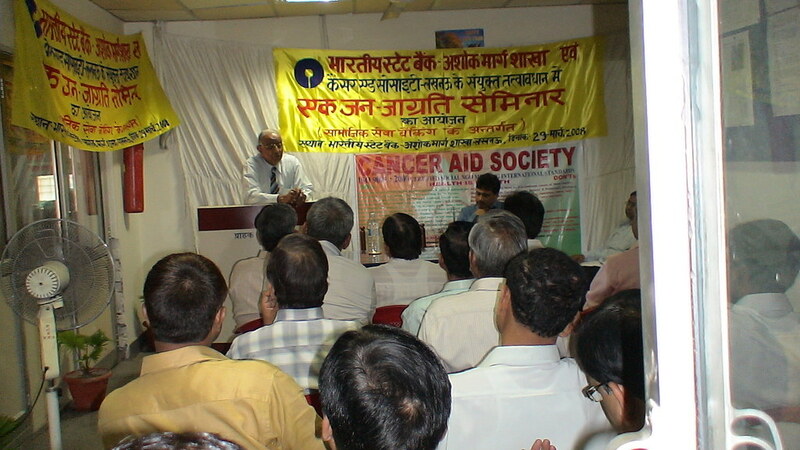 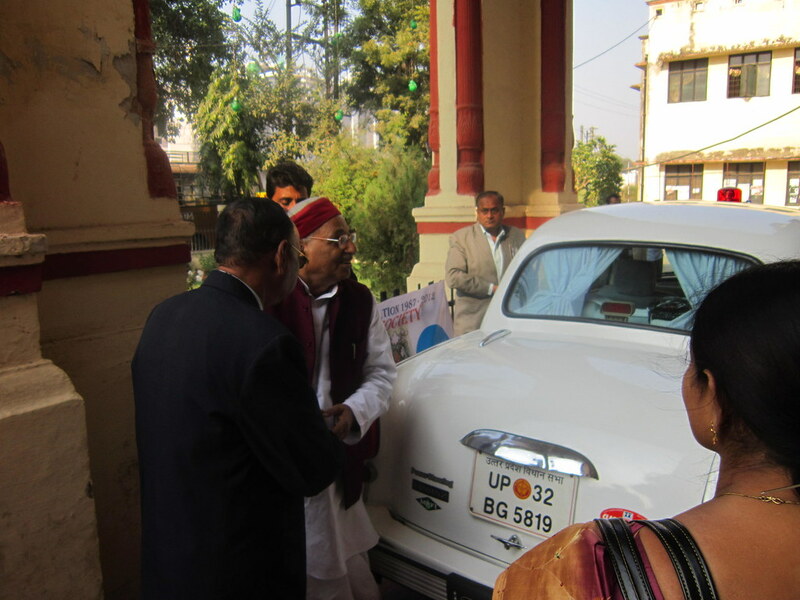 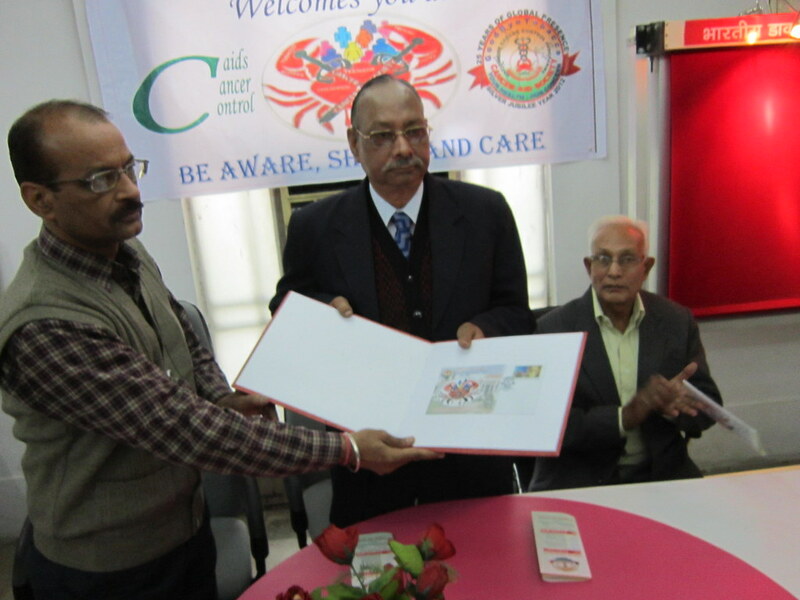 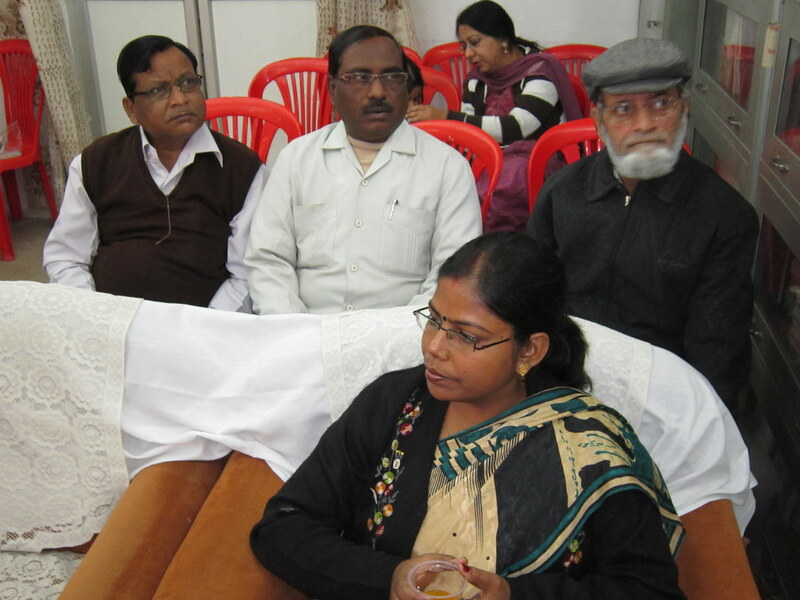 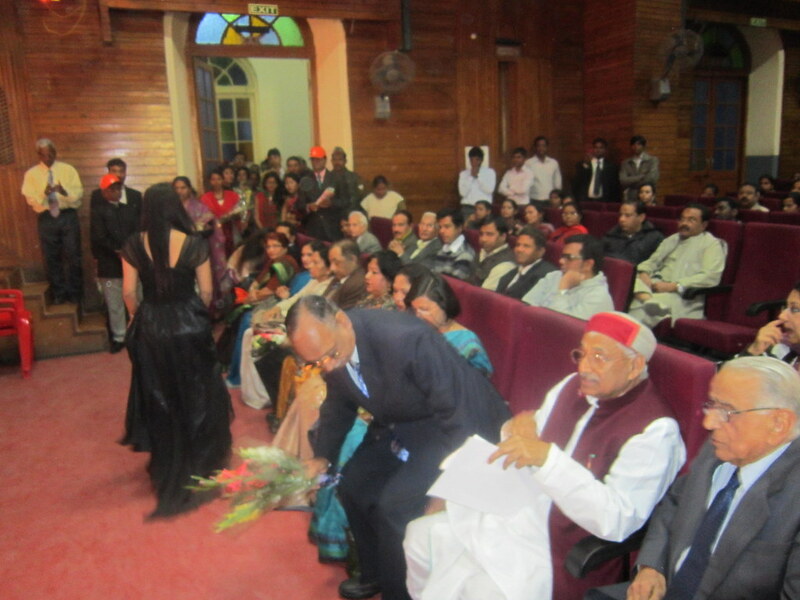 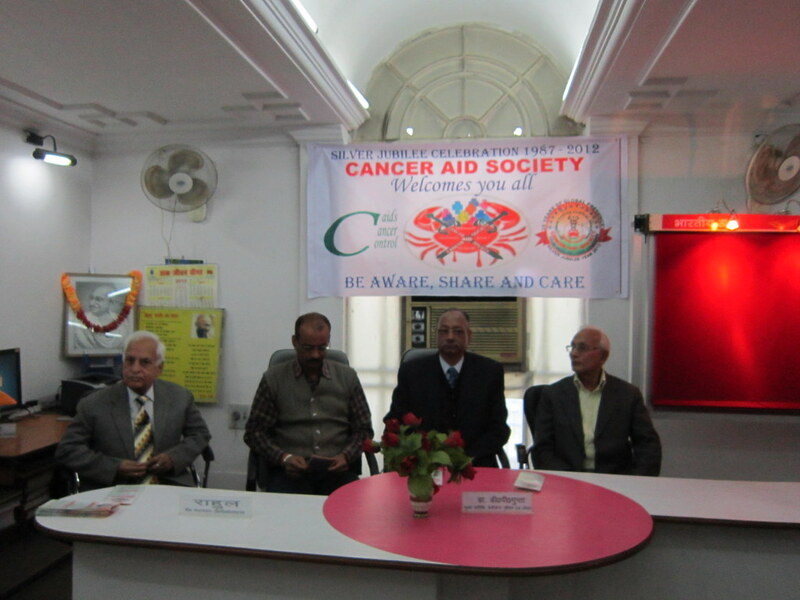 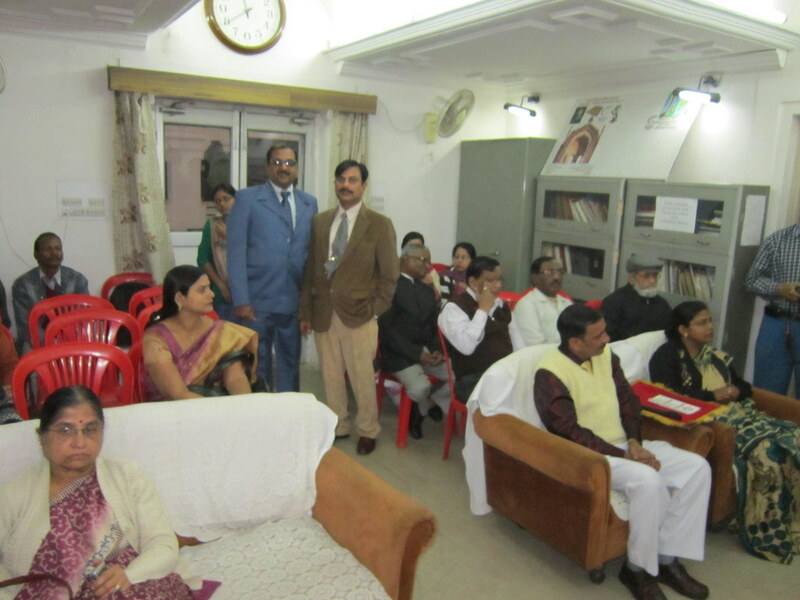 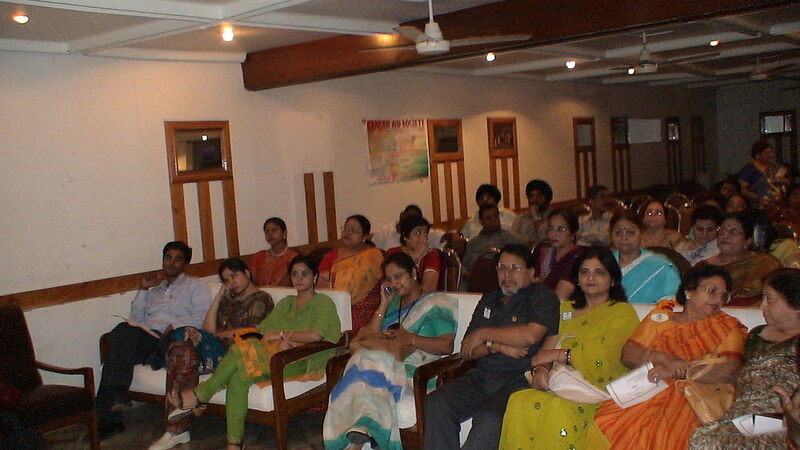 Organised a series of Lectures for the Doctors of SGPGIMS, CSMMU and Social Workers of Cancer Aid Society at Lucknow by Dr. Mhoira Leng, Medical Director, Cairdeas International Palliative Care Trust, UK on February 2nd 2010. 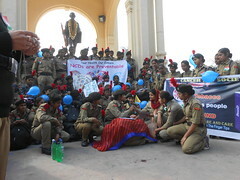 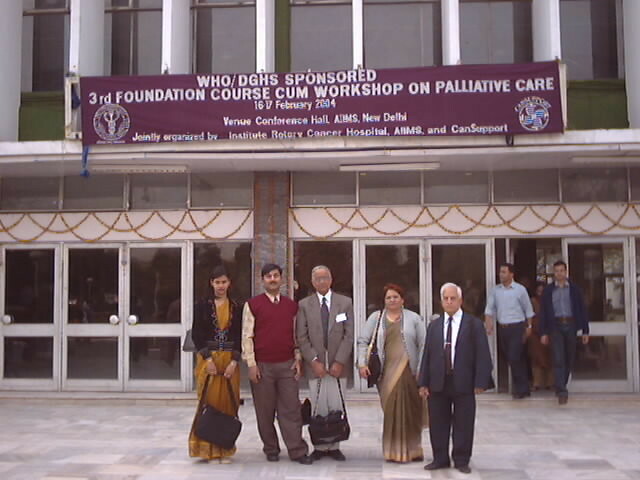 Organised a five day Toolkit Training in Palliative Care from 21st to 25th June 2010 at SGPGIMS Lucknow where over 40 participants coming across U.P. 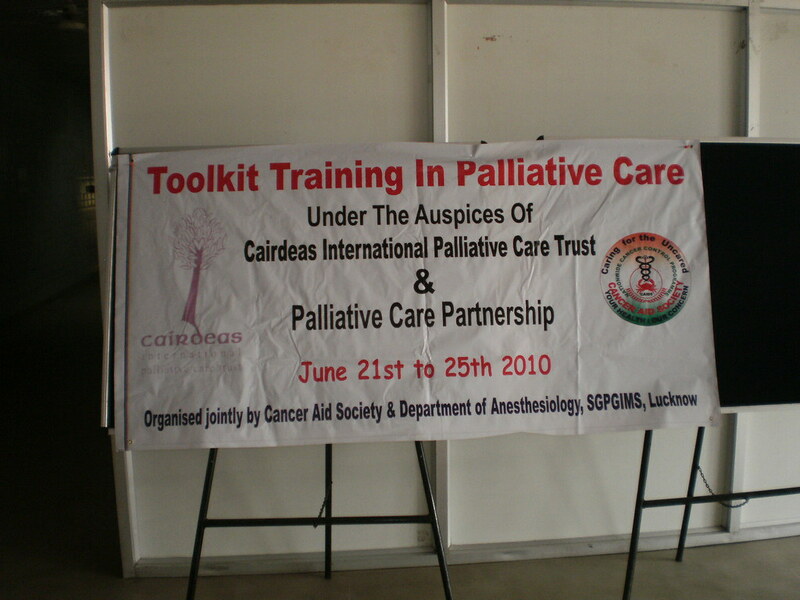 were trained including Doctors, Nurses and Social Workers were trained on the various aspects of Palliative Care by Faculty from UK and Uganda in collaboration with Cairdeas International Palliative Care Trust and Palliative Care Partnership – UK. 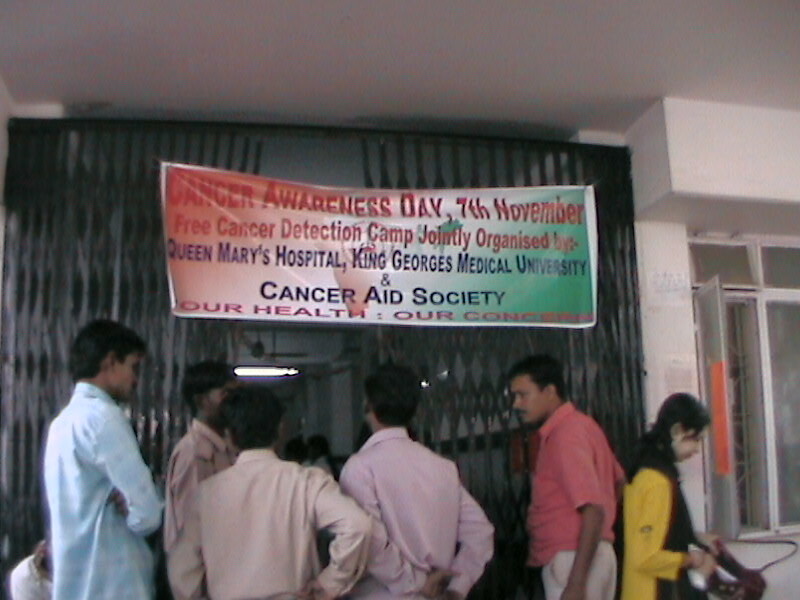 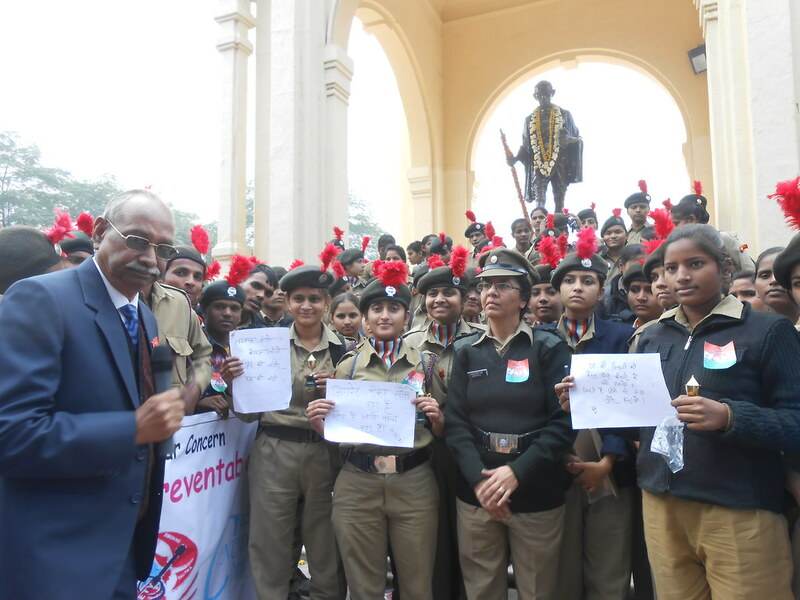 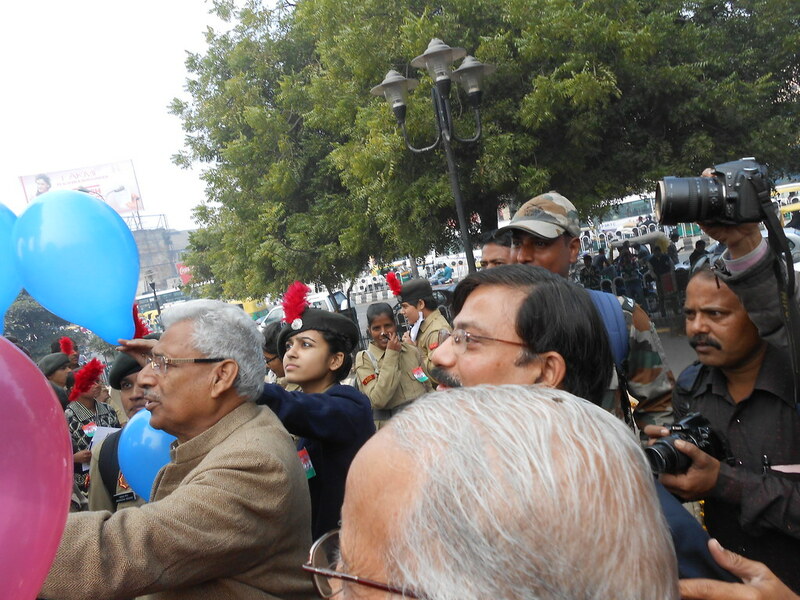 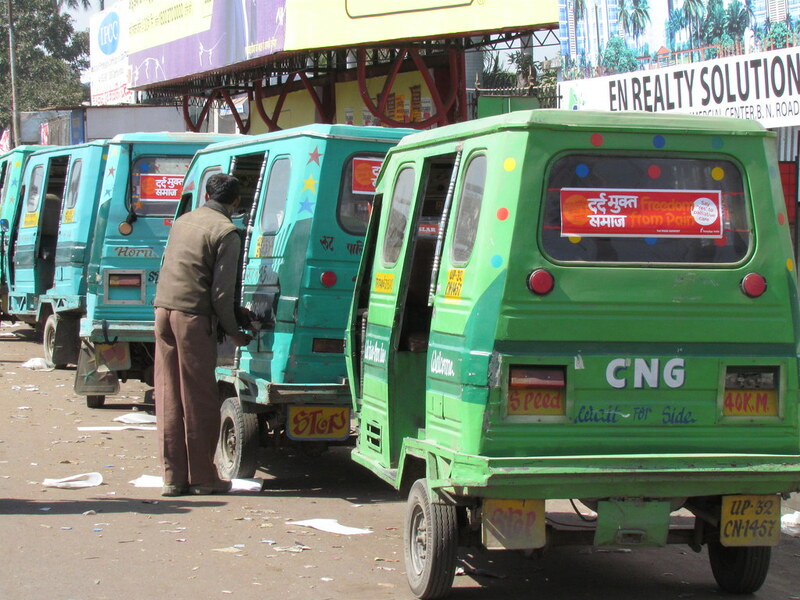 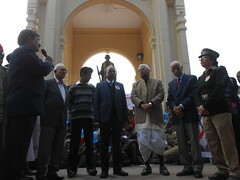 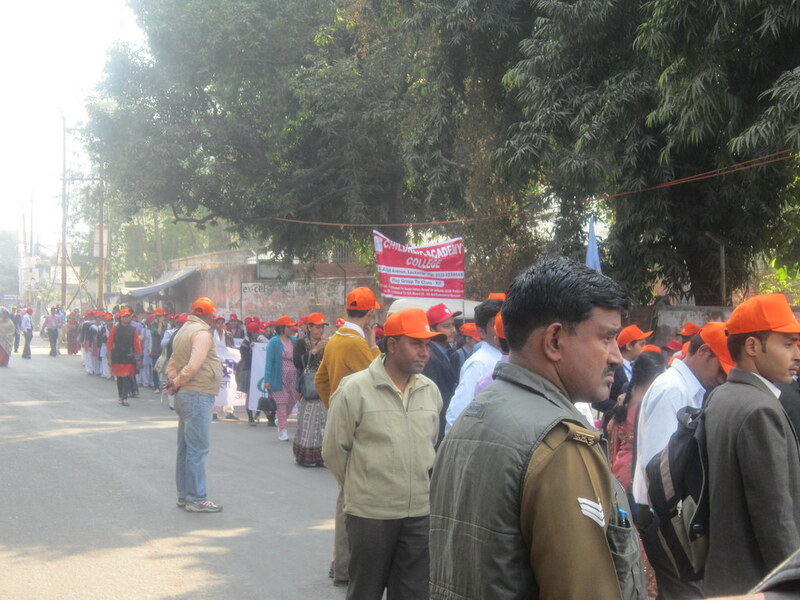 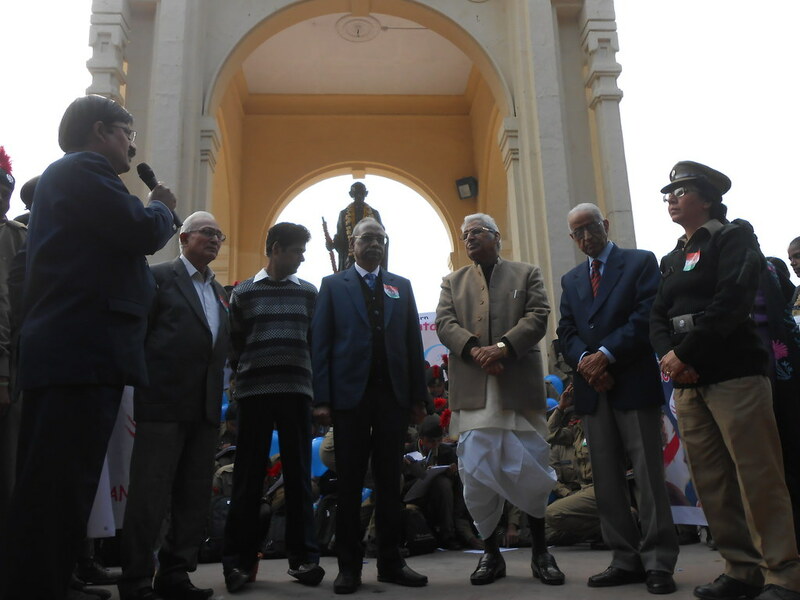 It ended with a Helpline for Cancer Patients. 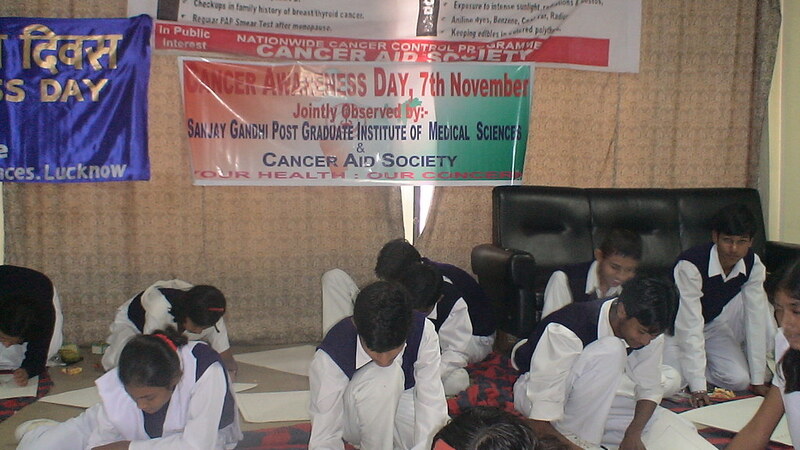 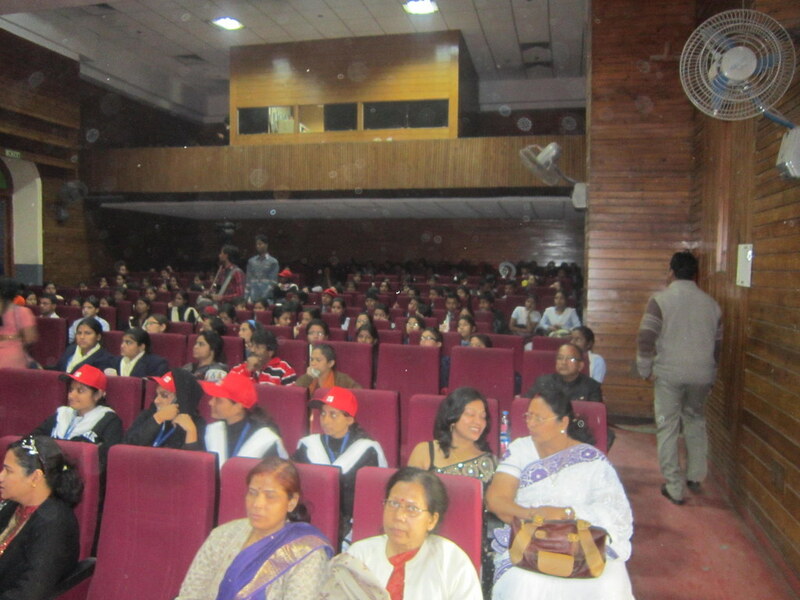 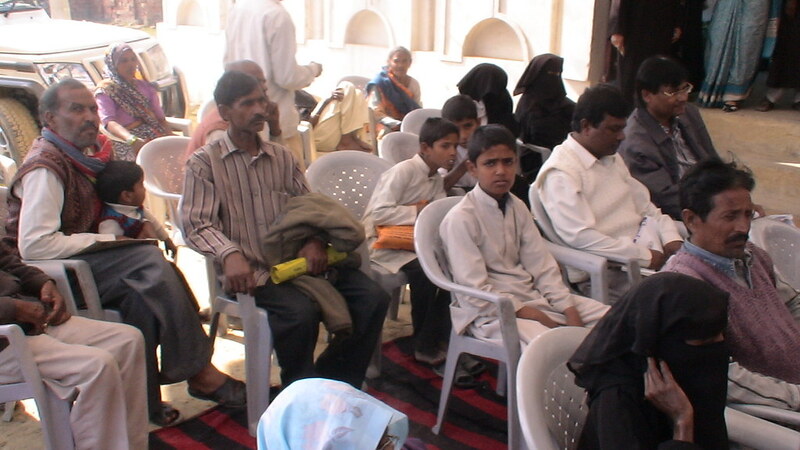 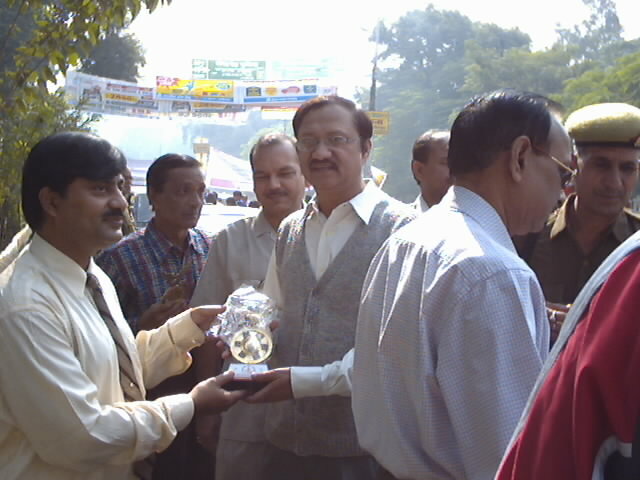 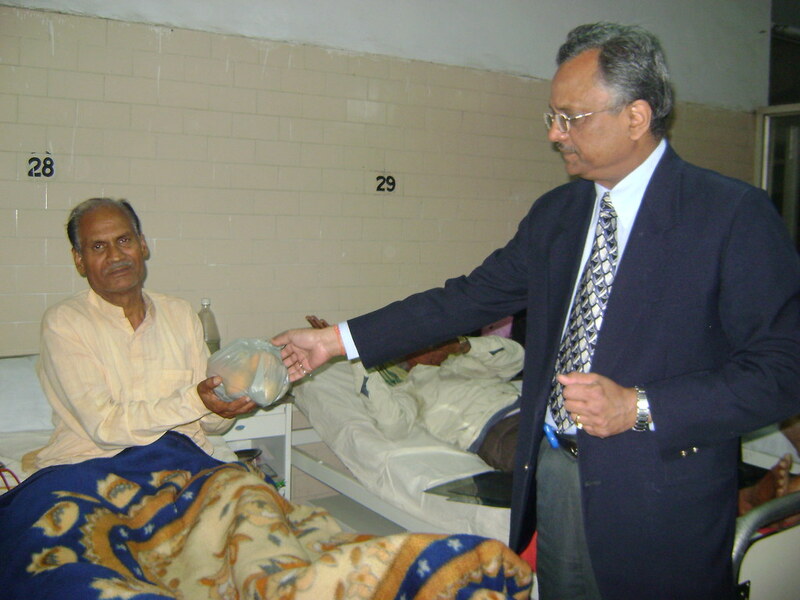 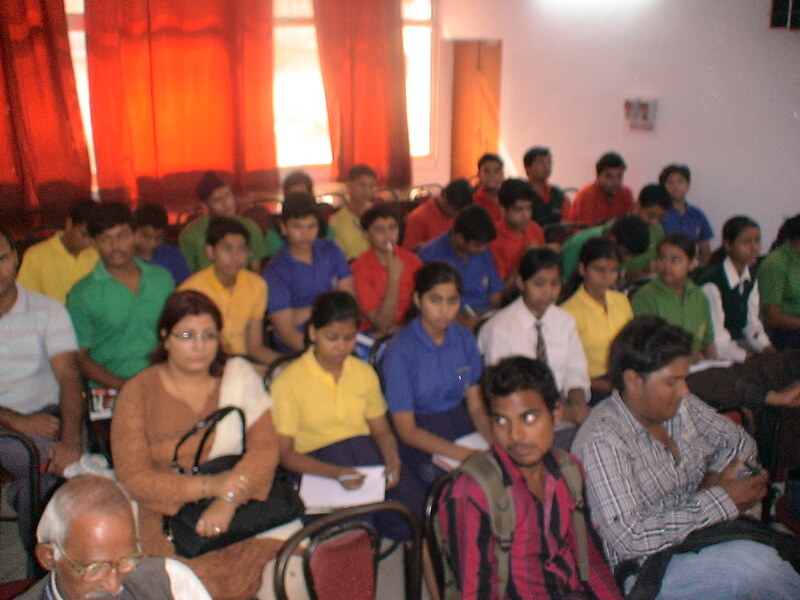 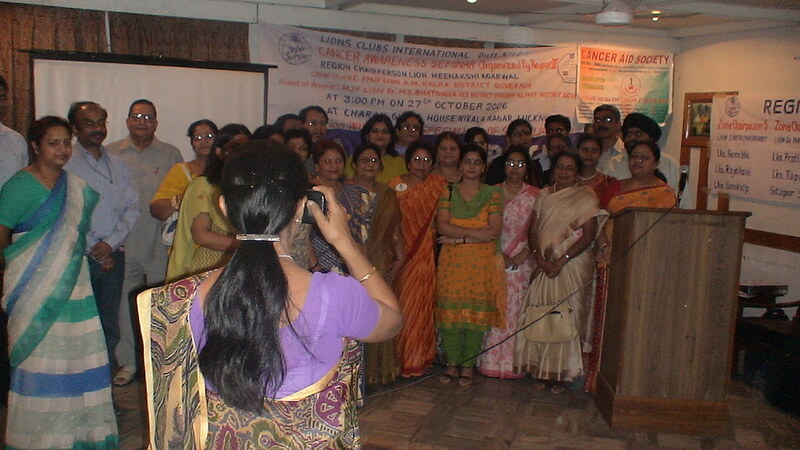 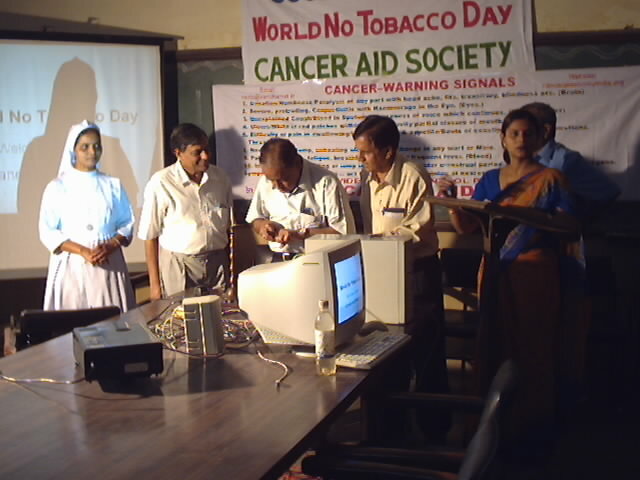 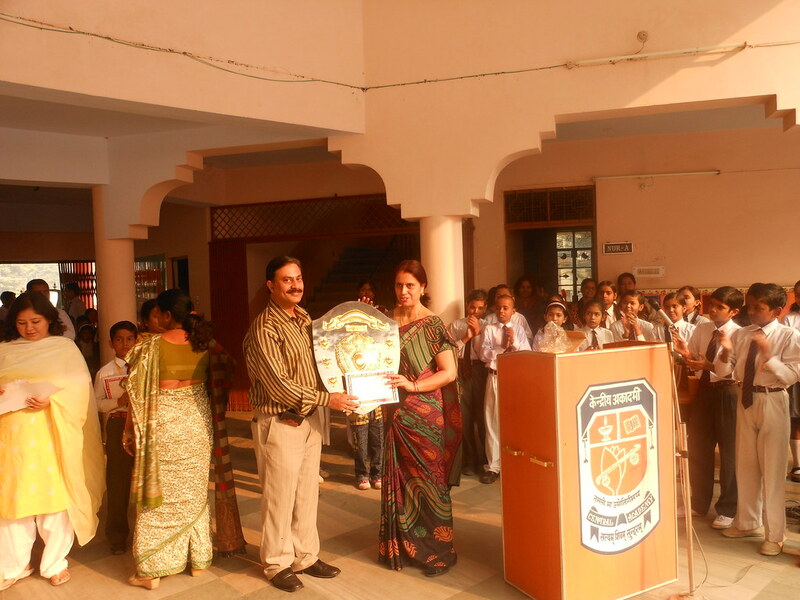 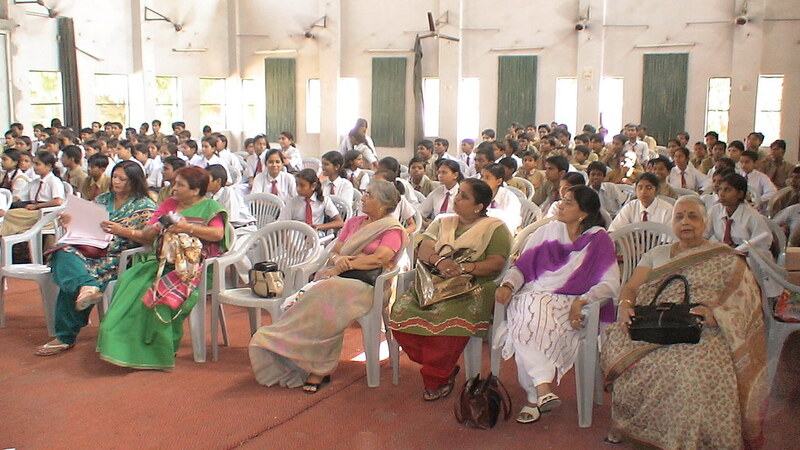 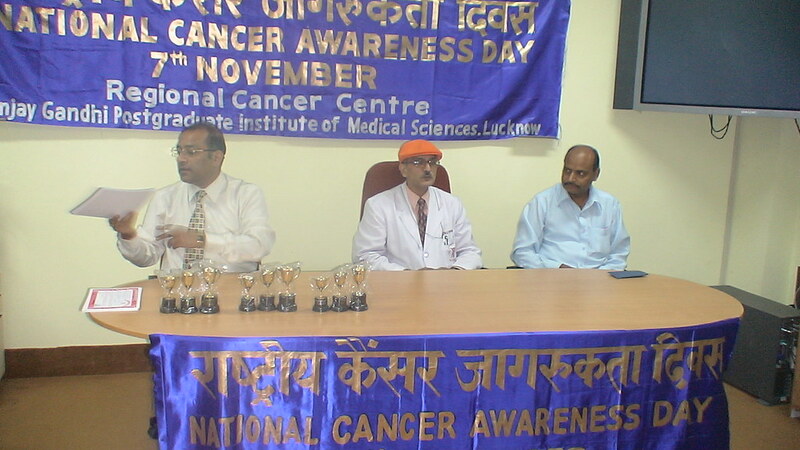 Organised Palliative Care Workshop at Patna Medical College on October 23rd, 2010, under the auspices of American Cancer Society. 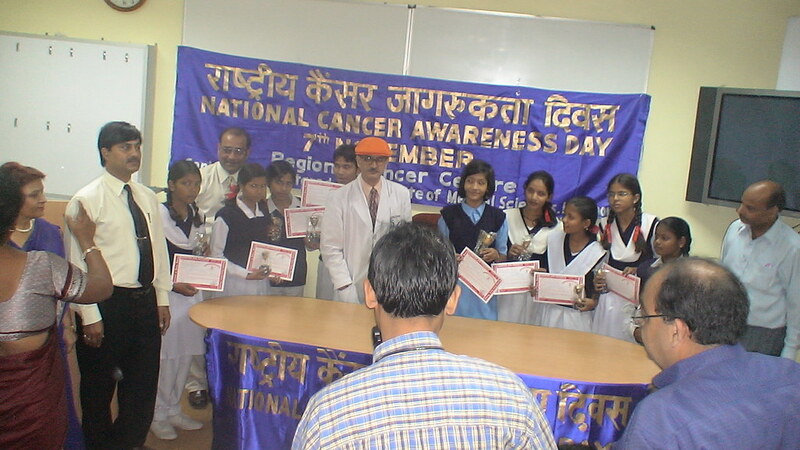 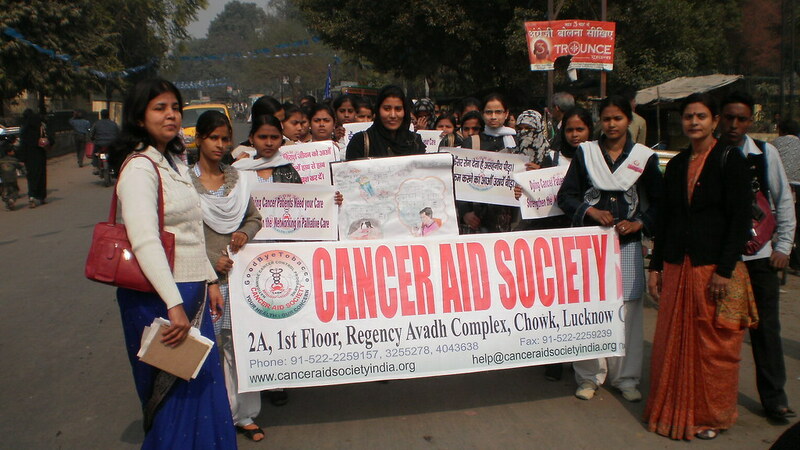 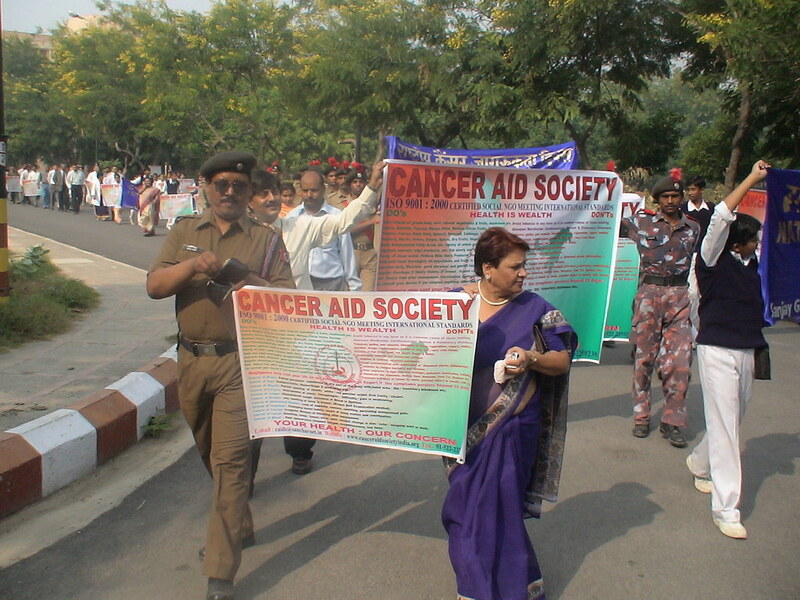 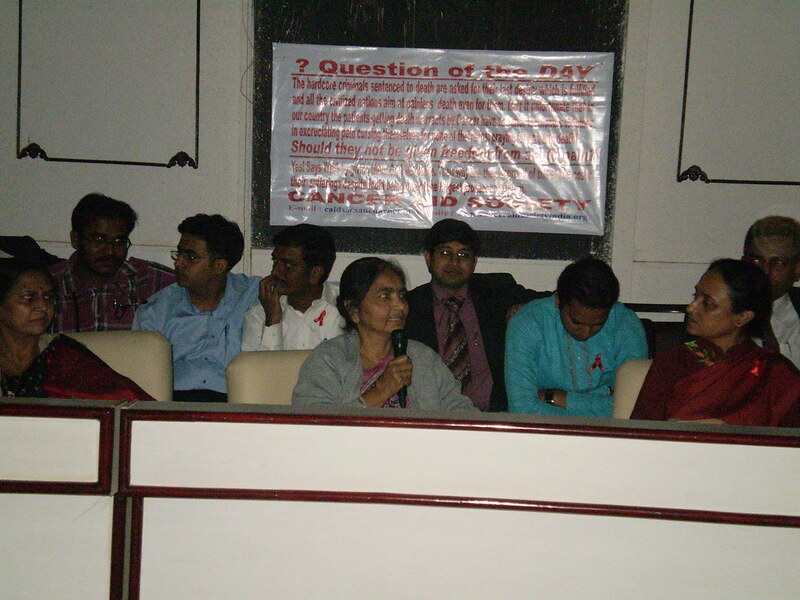 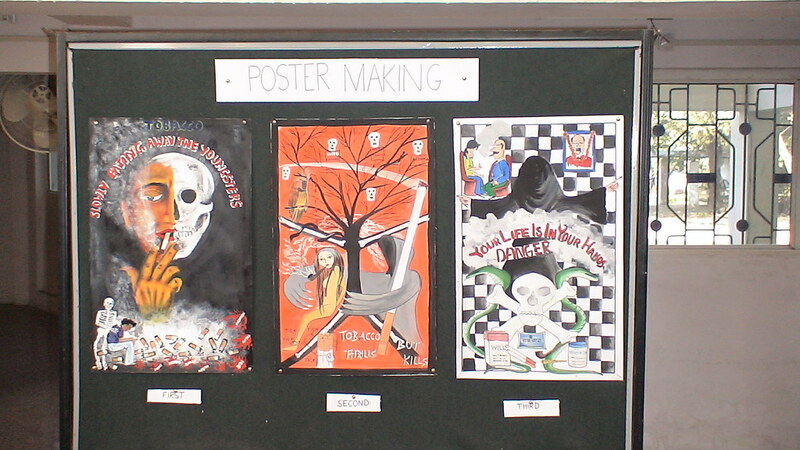 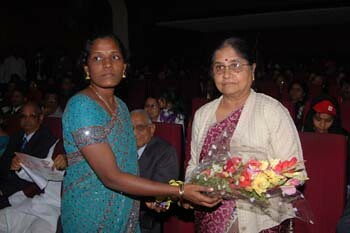 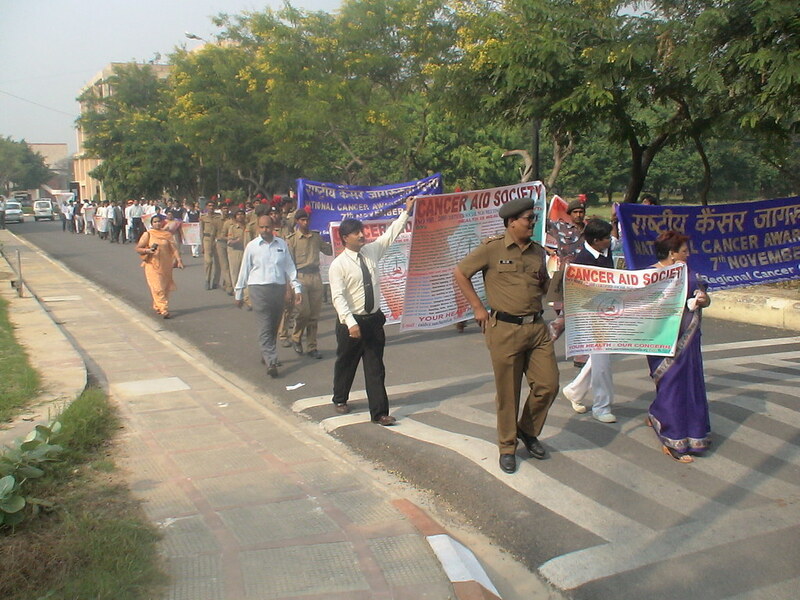 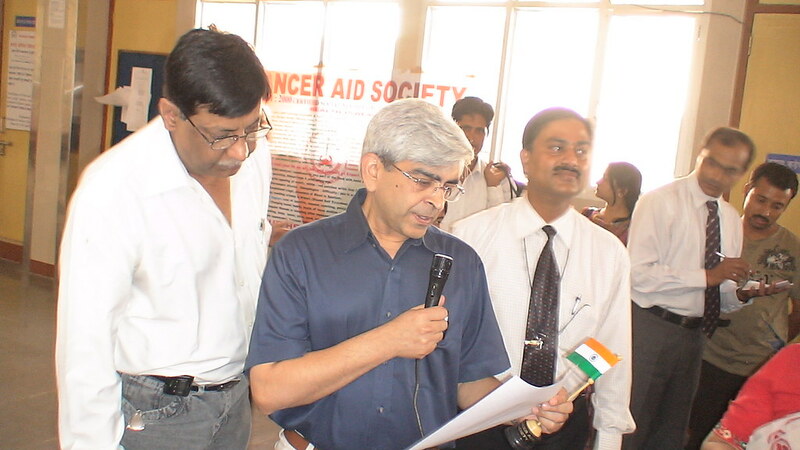 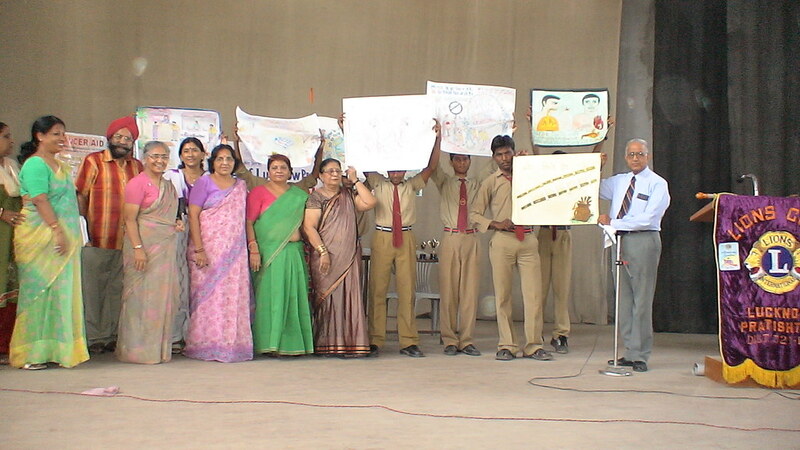 Organised Palliative Care Workshop at Raipur Medical College on October 30th, 2010, under the auspices of American Cancer Society. 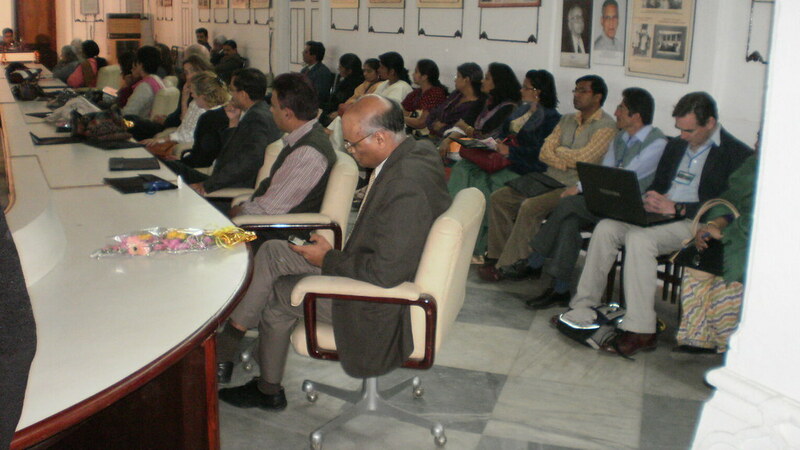 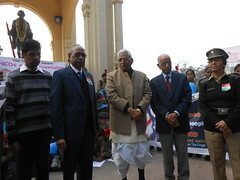 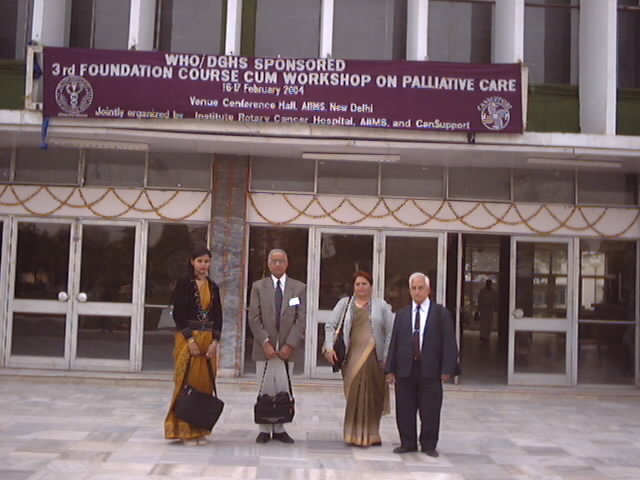 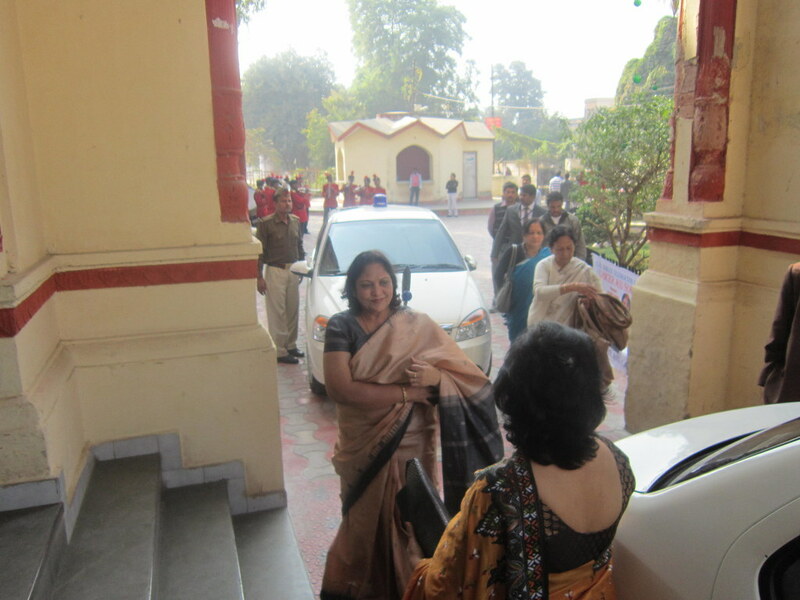 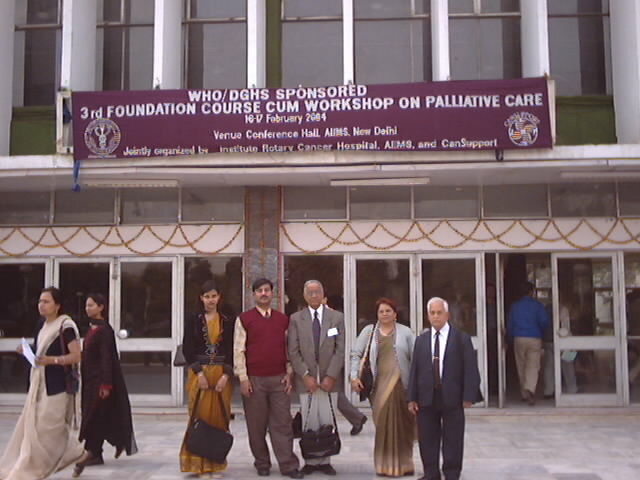 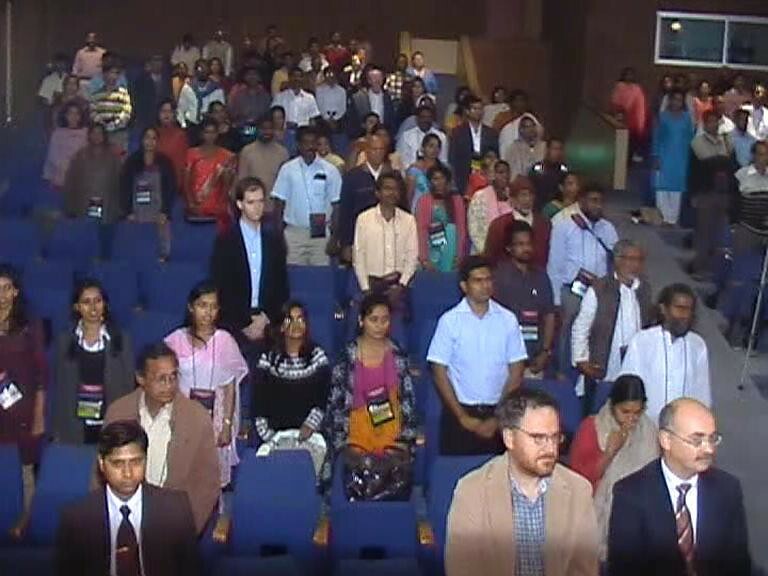 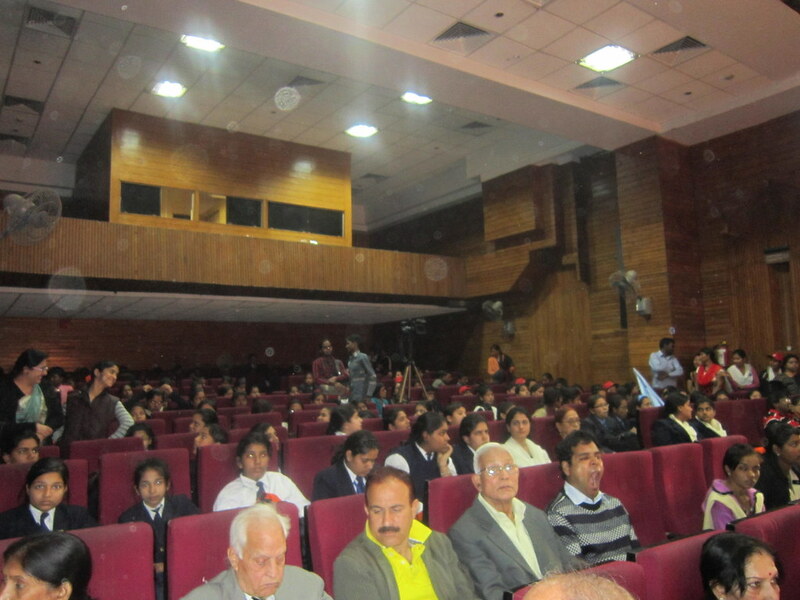 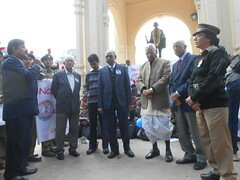 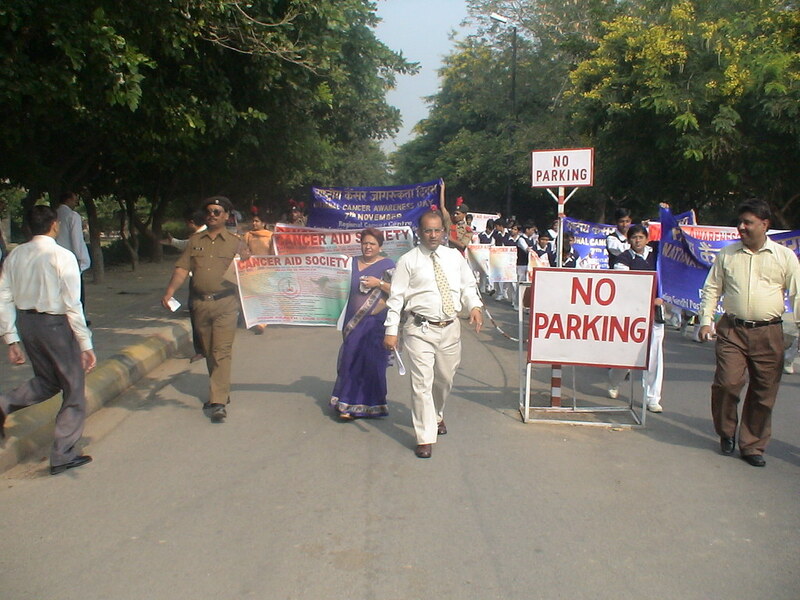 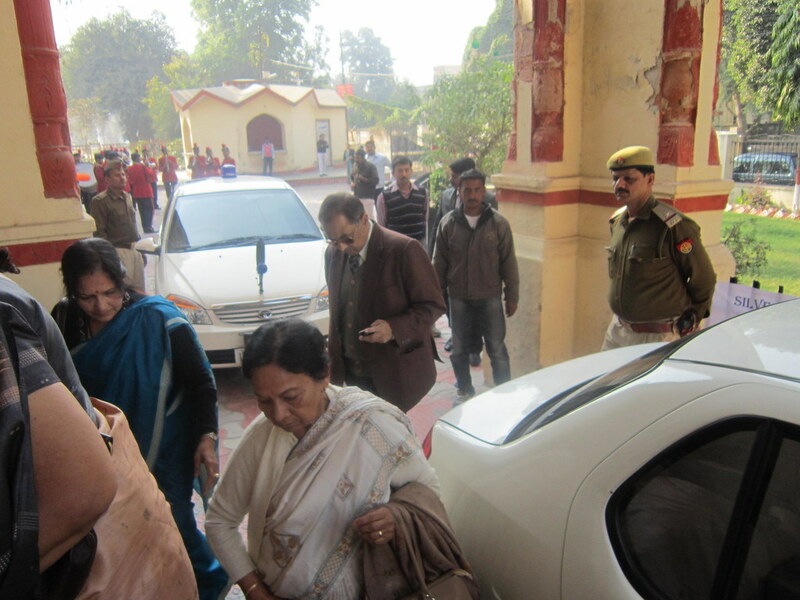 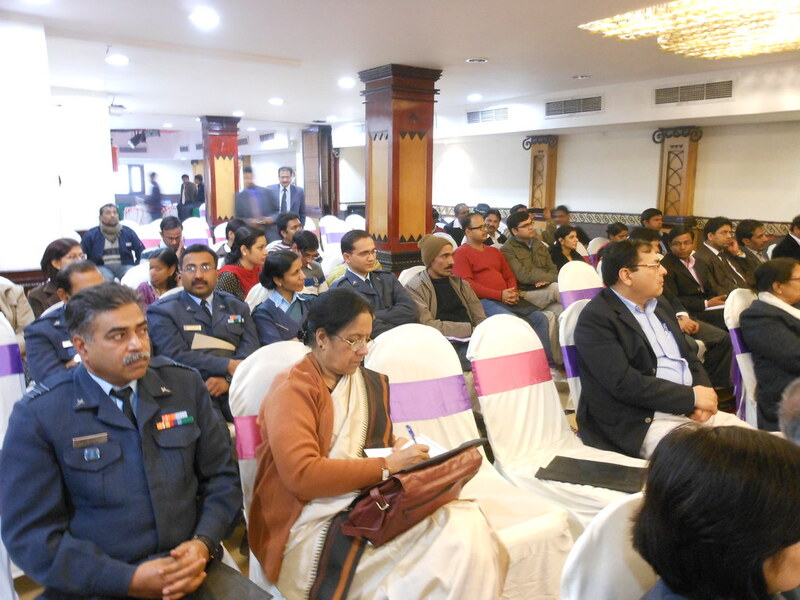 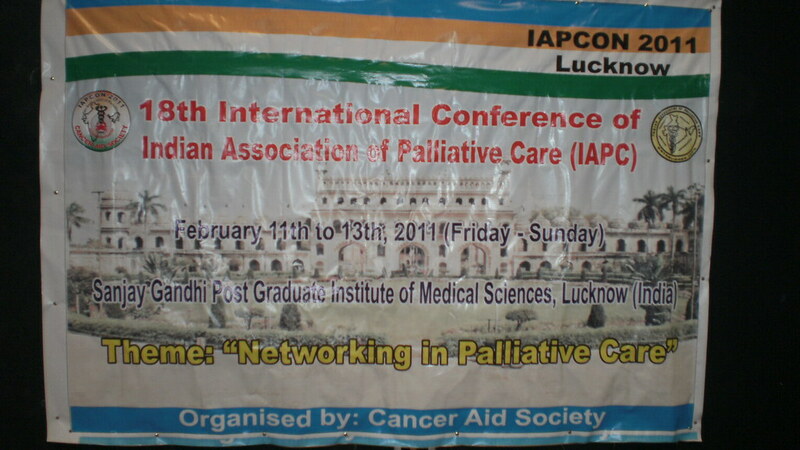 Organised the 18th International Conference of Indian Association of Palliative Care from 11th to 13th of February 2011 at SGPGIMS Lucknow, and Preconference workshop at CSMMU which was attended by 400 Palliative Care Professionals coming from all over the World and India. 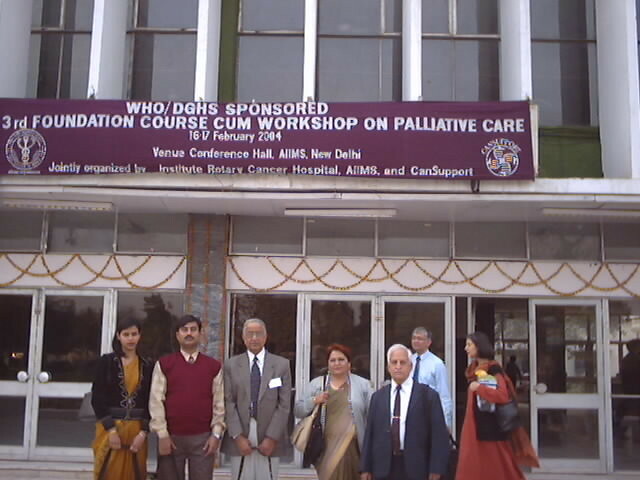 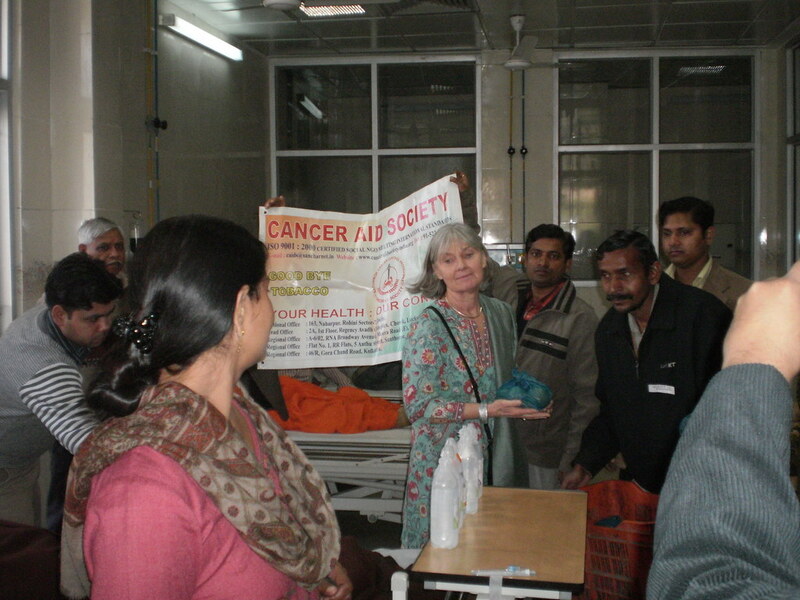 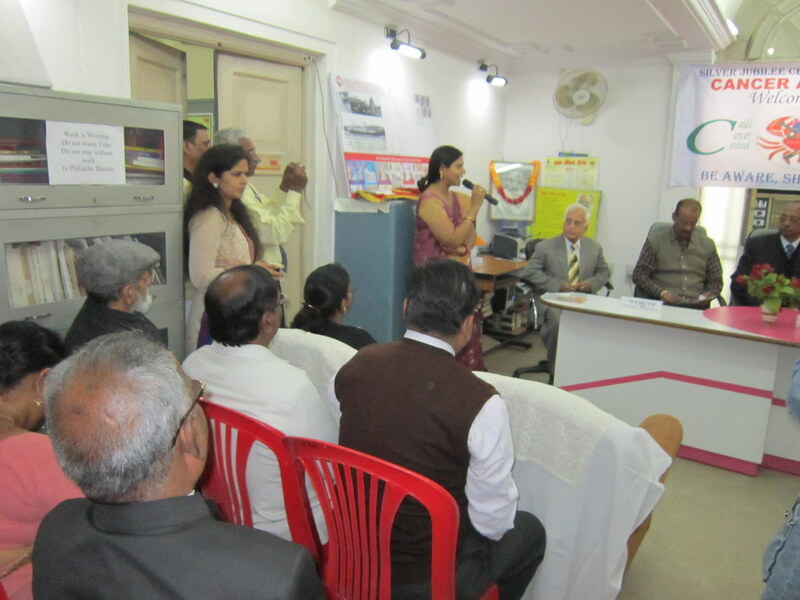 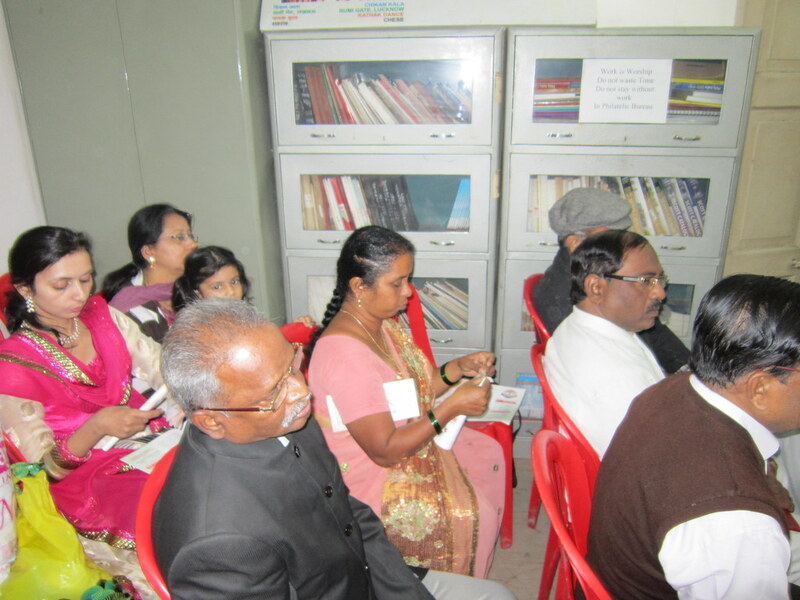 Organised Palliative Care Workshop at Rajendra Institute of Medical Sciences, Ranchi on March 26th 2011, under the auspices of American Cancer Society. 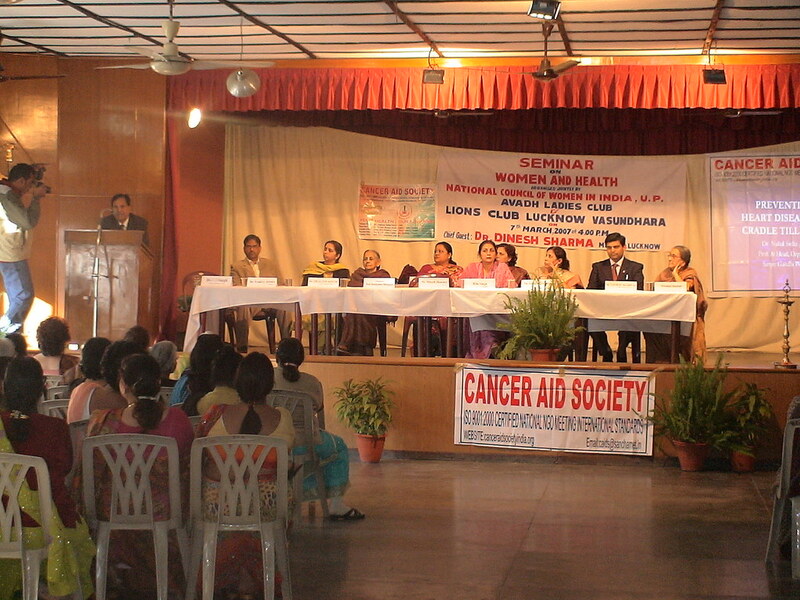 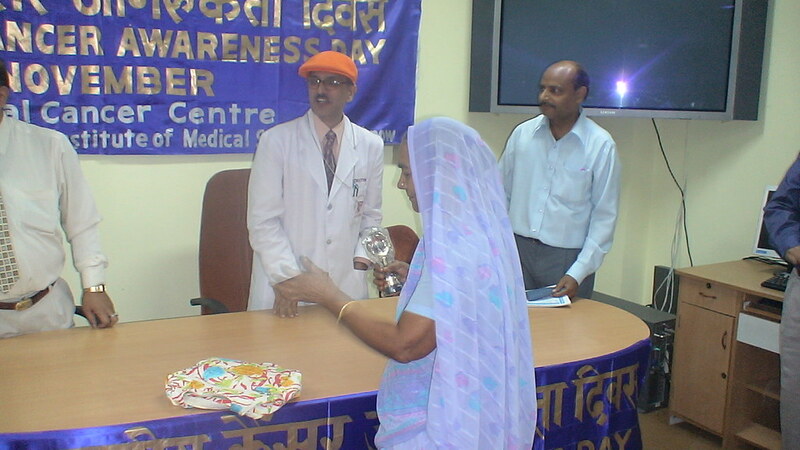 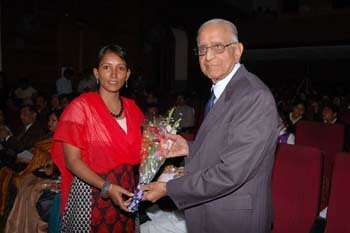 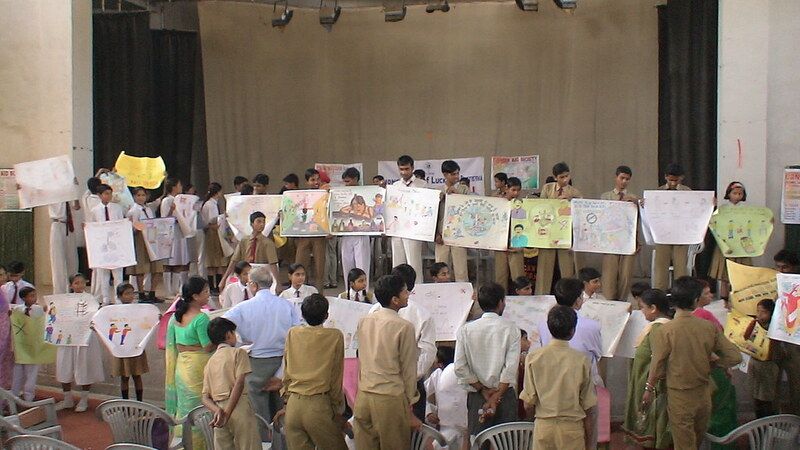 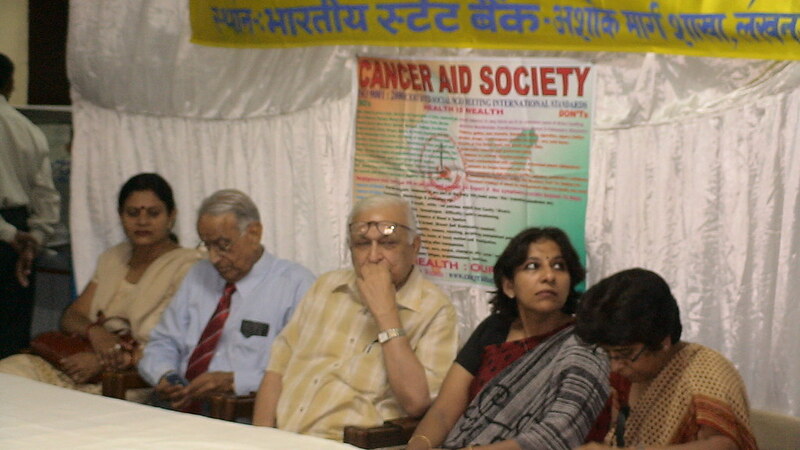 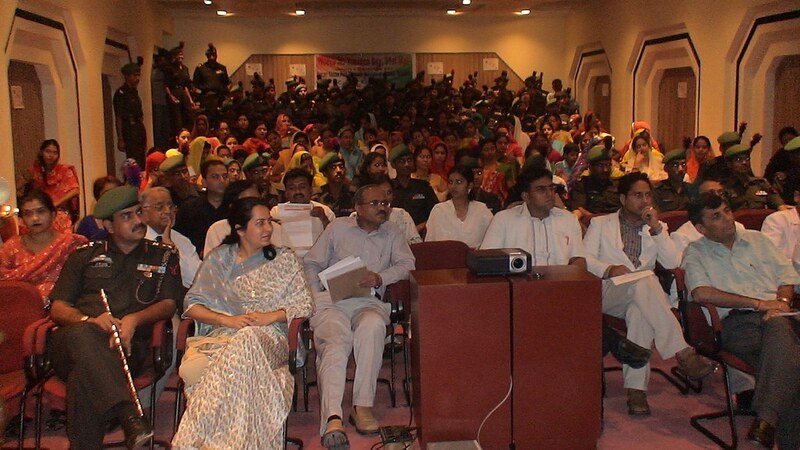 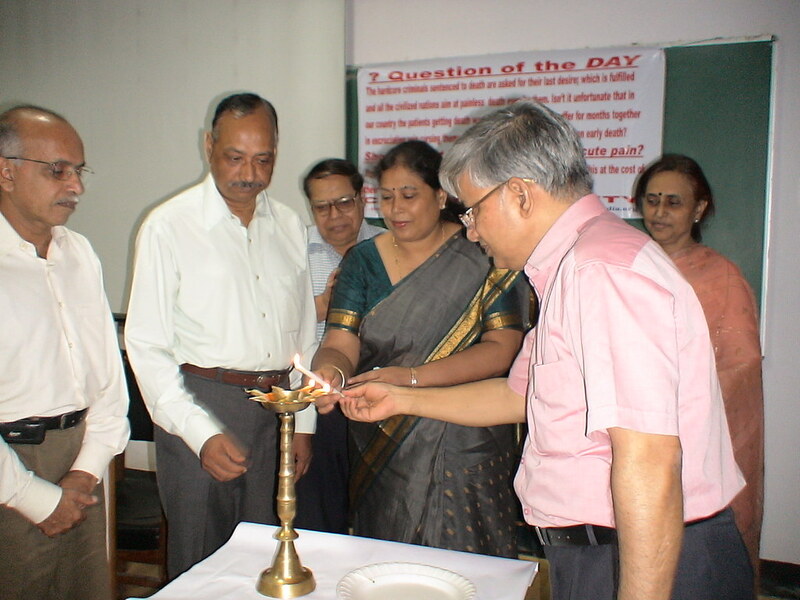 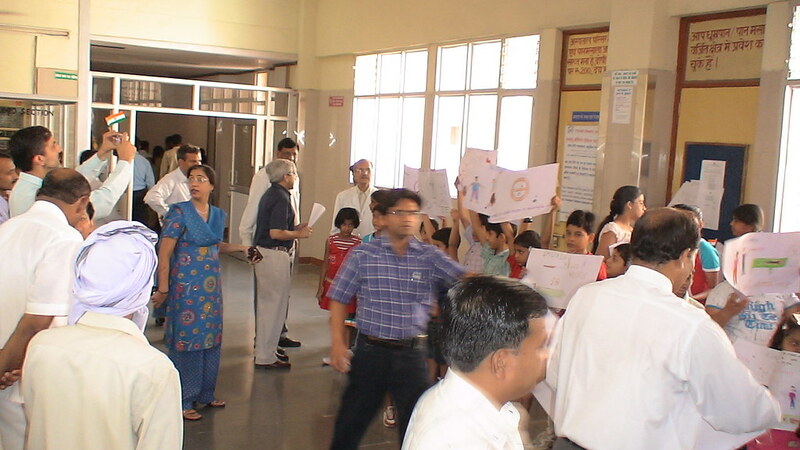 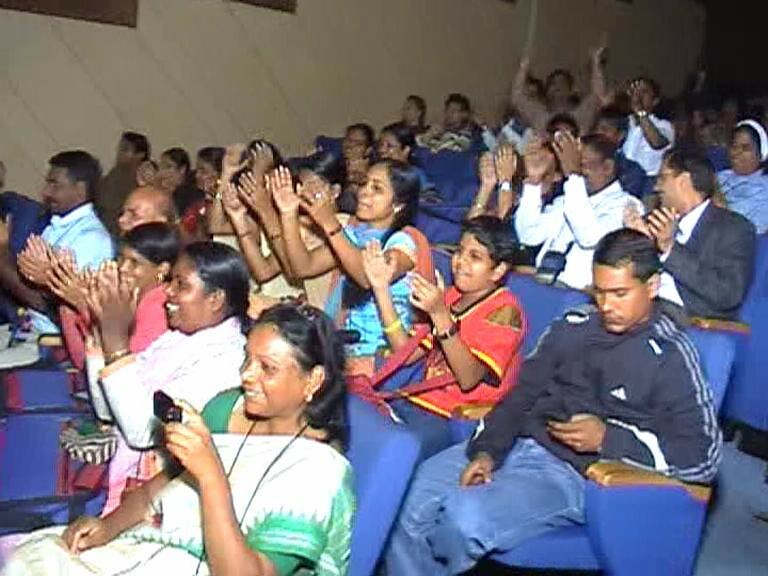 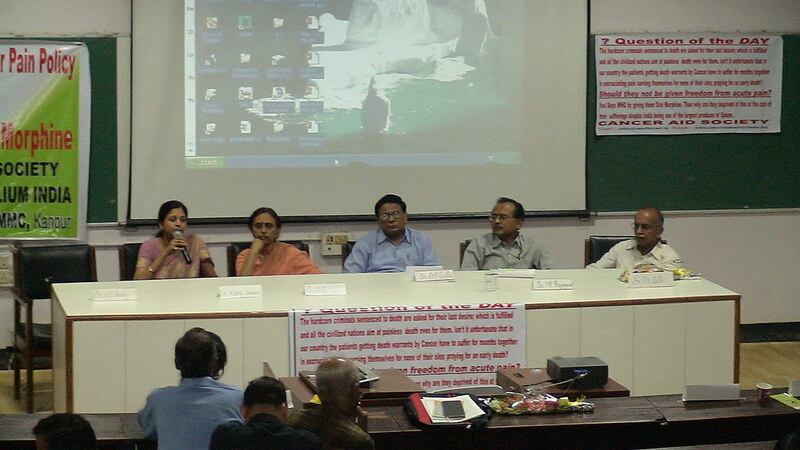 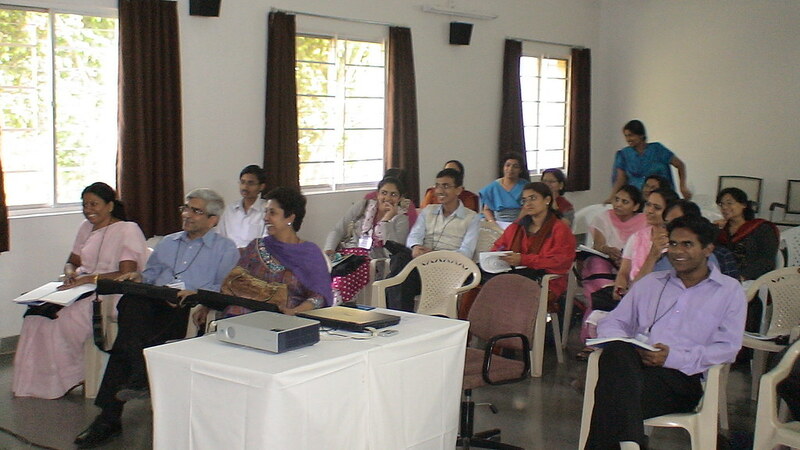 Organised Palliative Care Workshop at Gandhi Medical College, Bhopal on September 12th 2011, under the auspices of American Cancer Society. 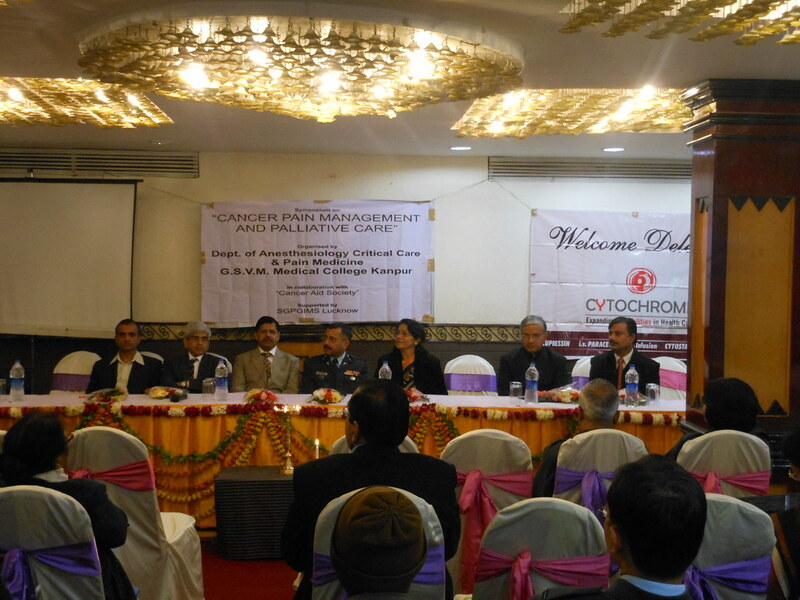 Organised Palliative Care Workshop at Hotel Bliss Kanpur in Collaboration with GSVM Medical College Kanpur and SGPGIMS, under the auspices of American Cancer Society.